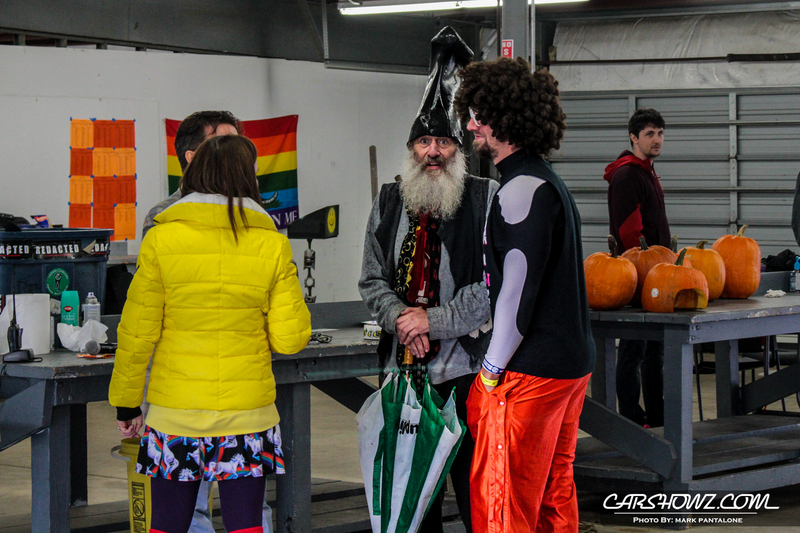 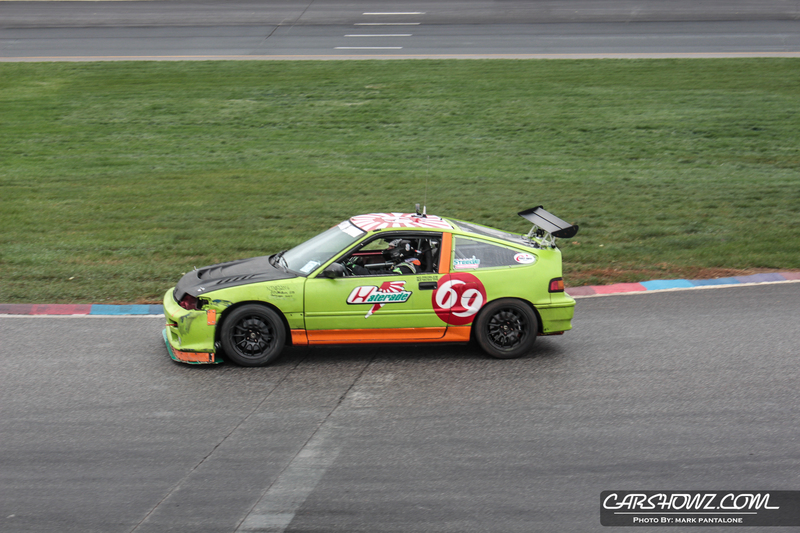 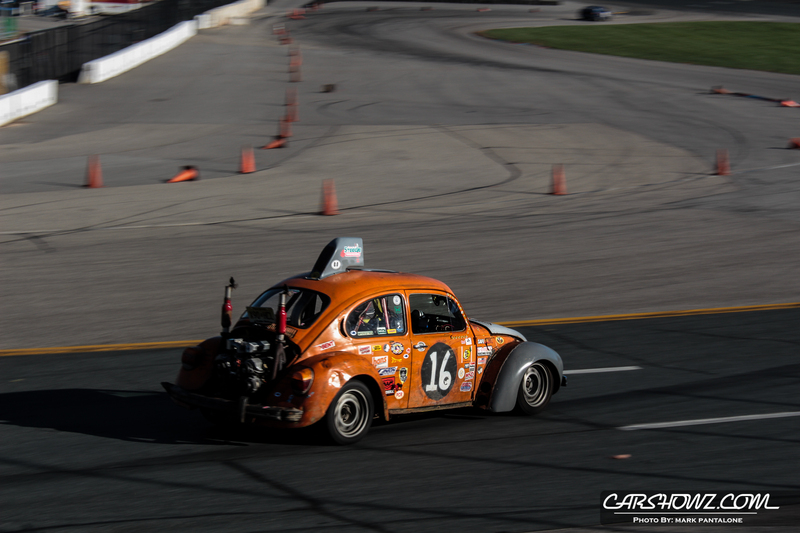 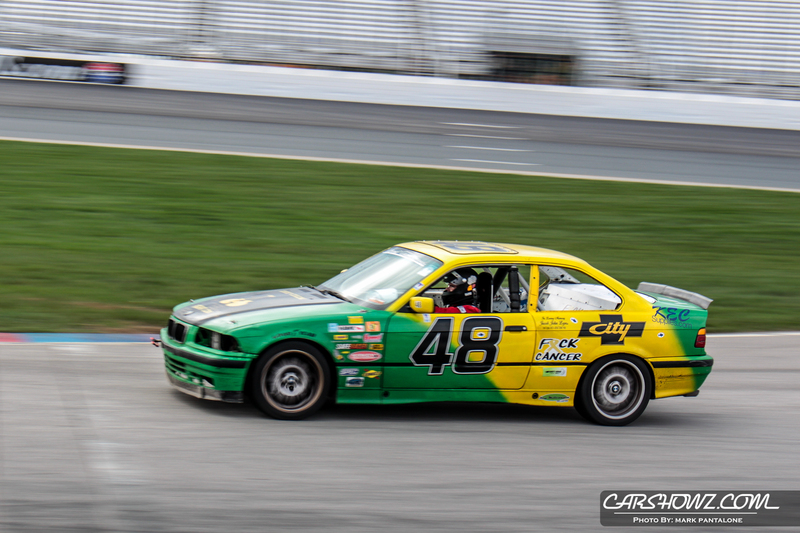 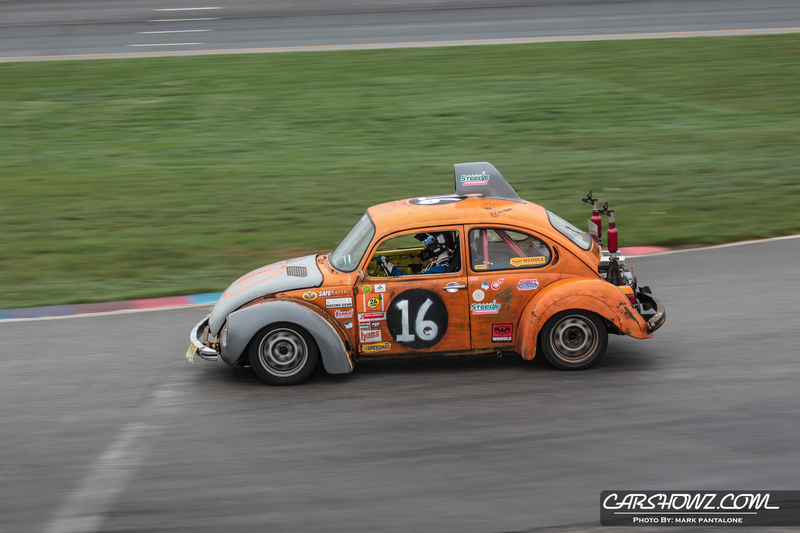 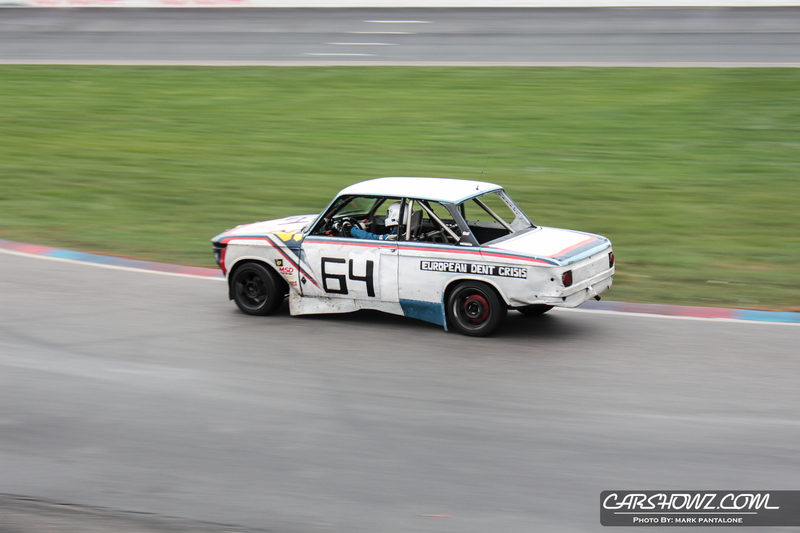 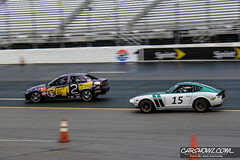 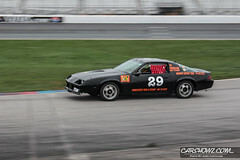 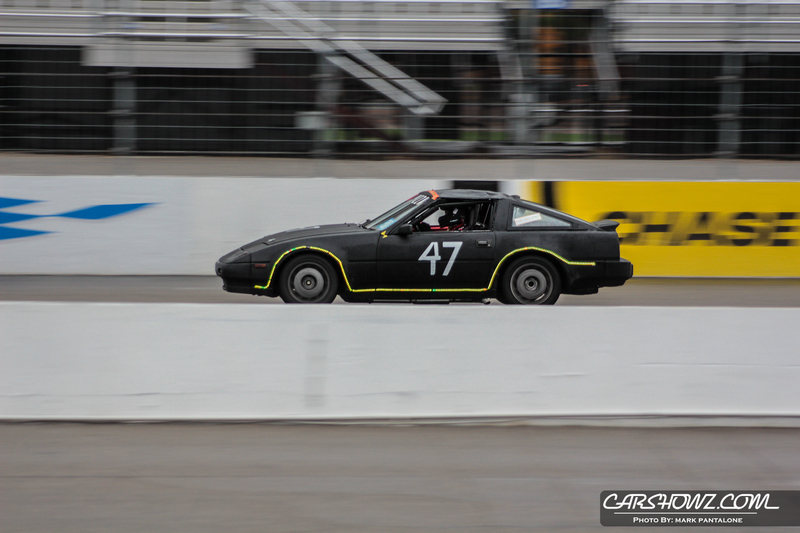 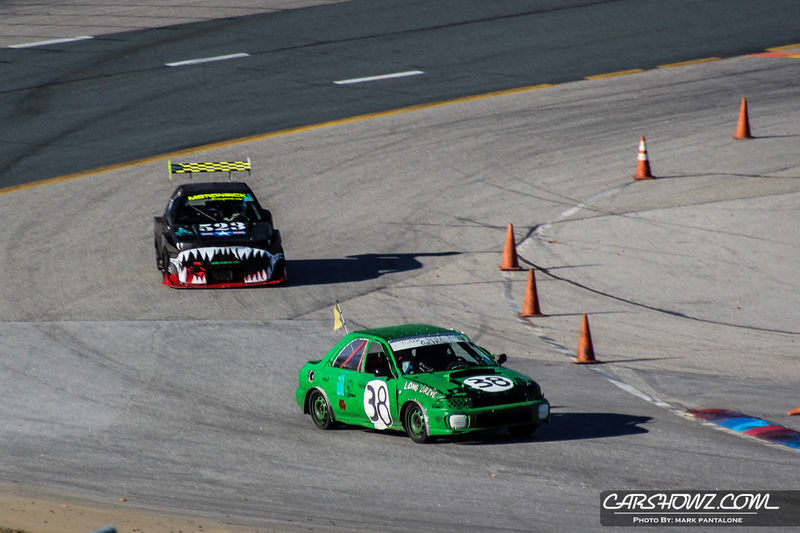 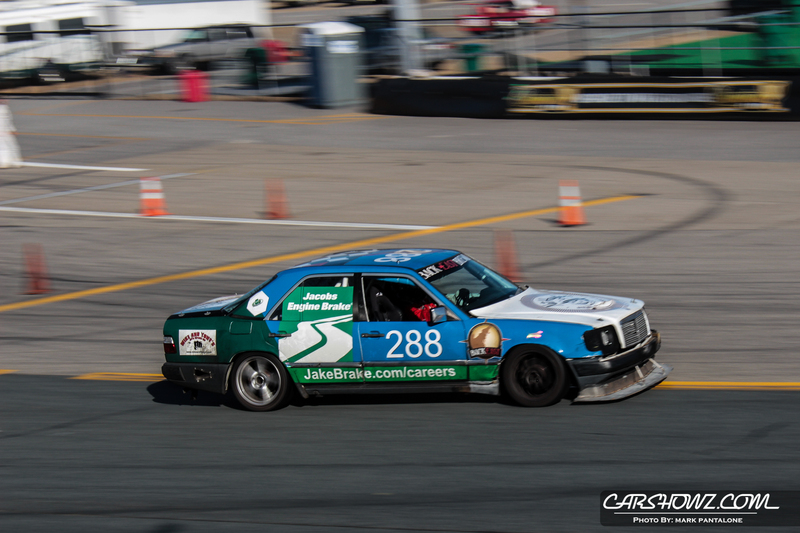 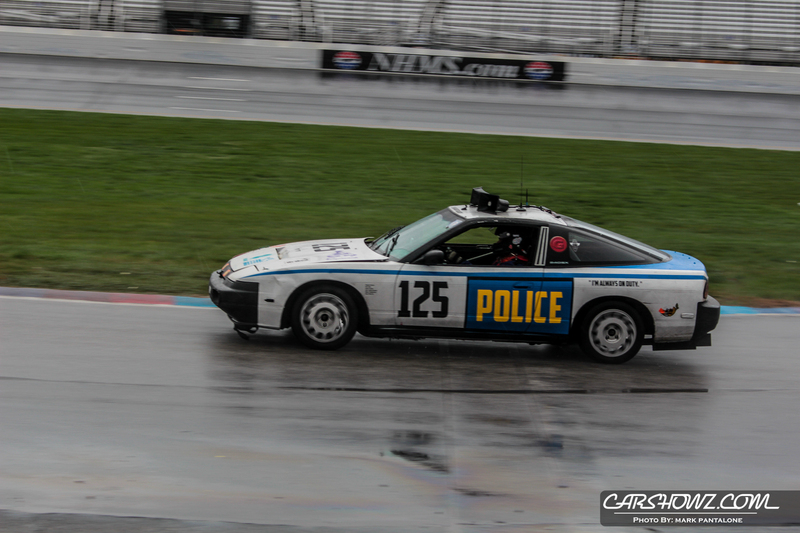 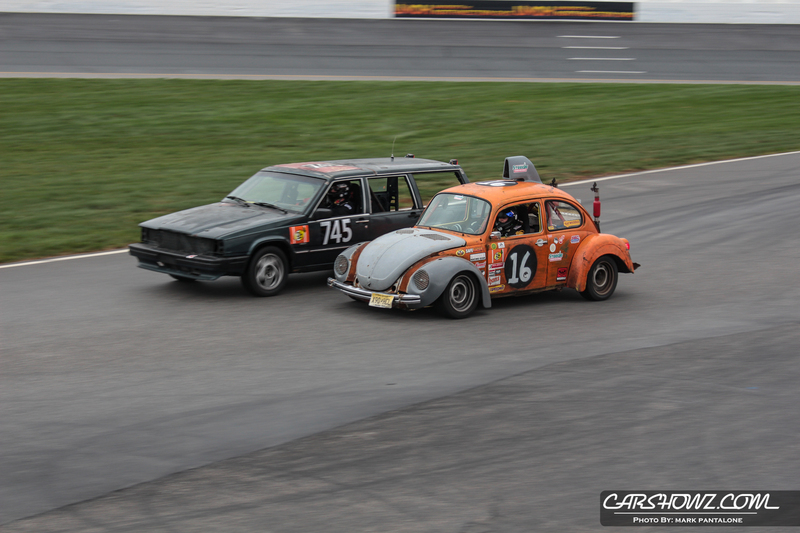 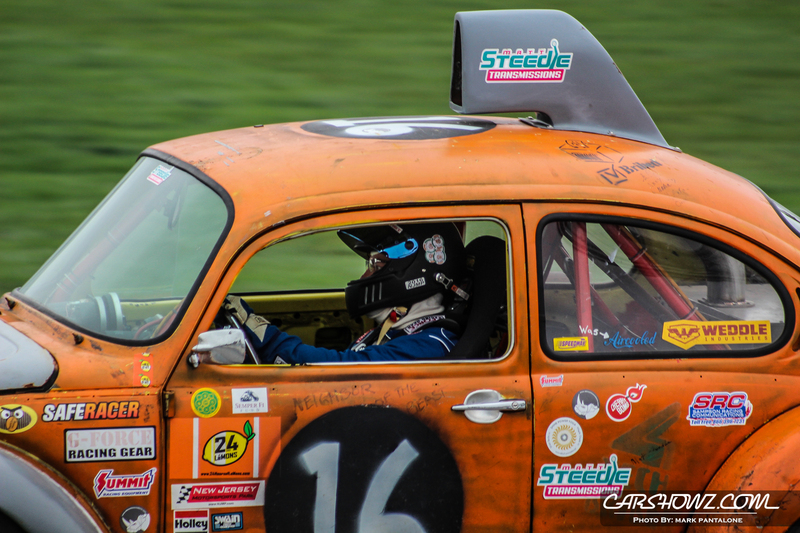 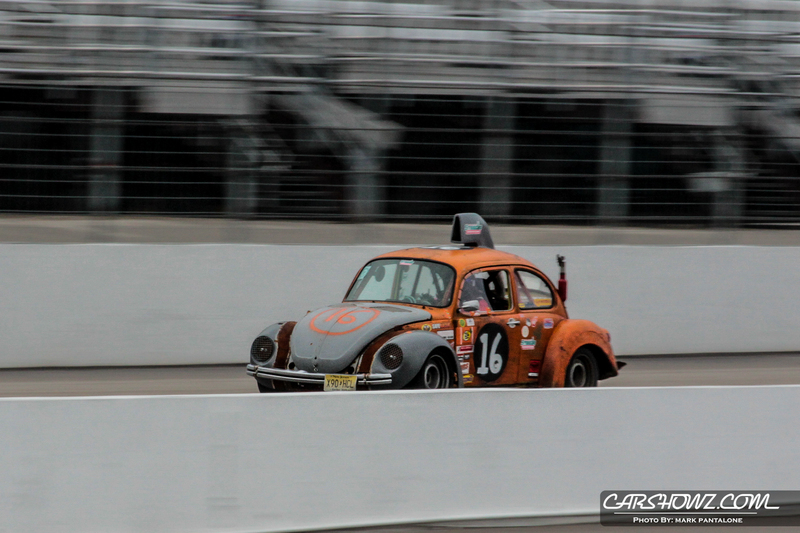 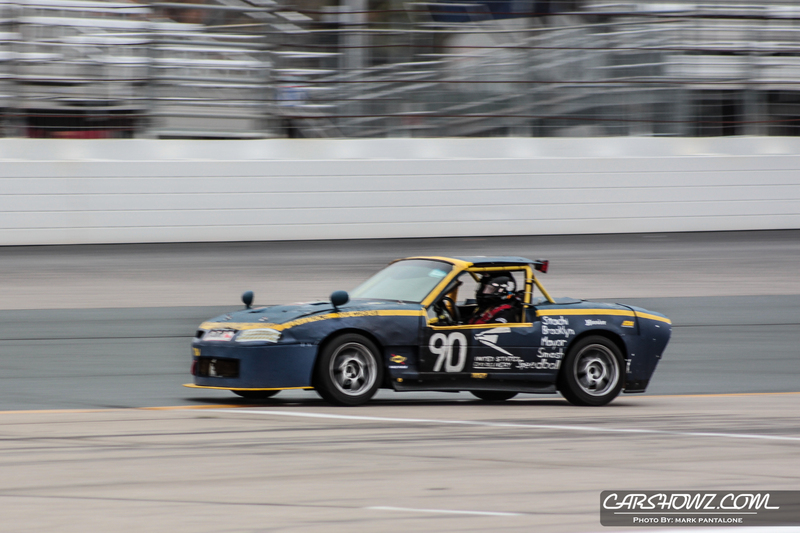 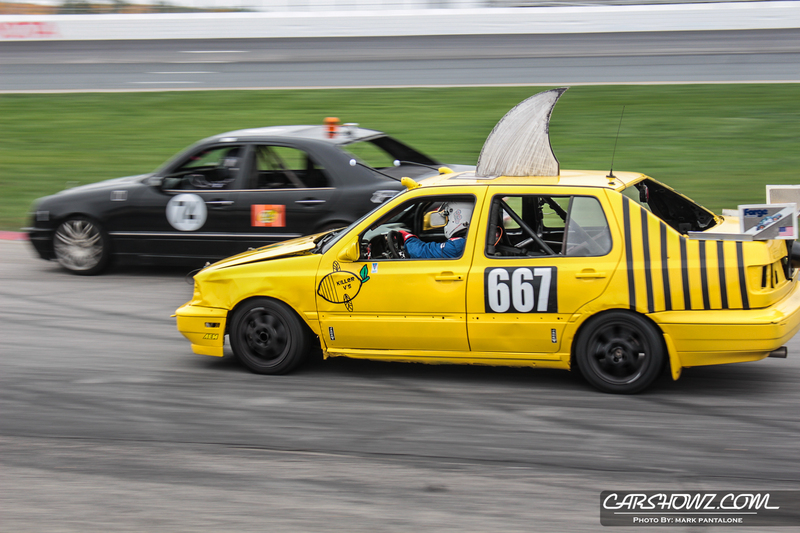 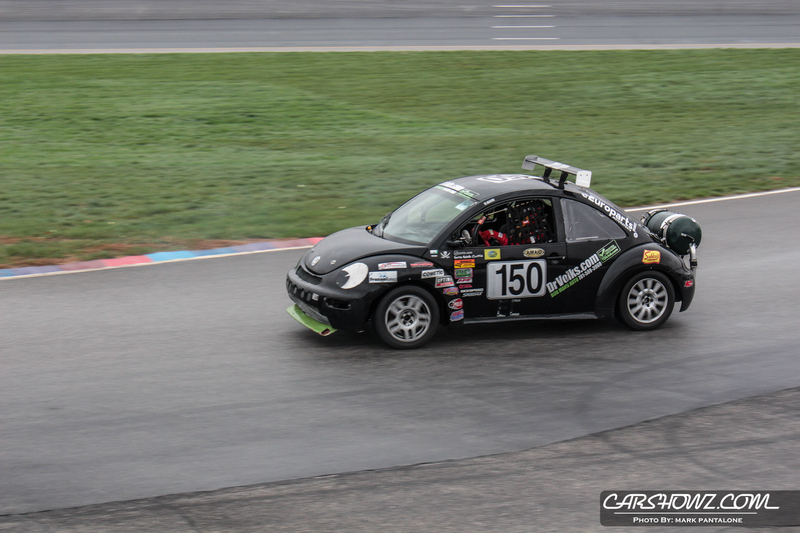 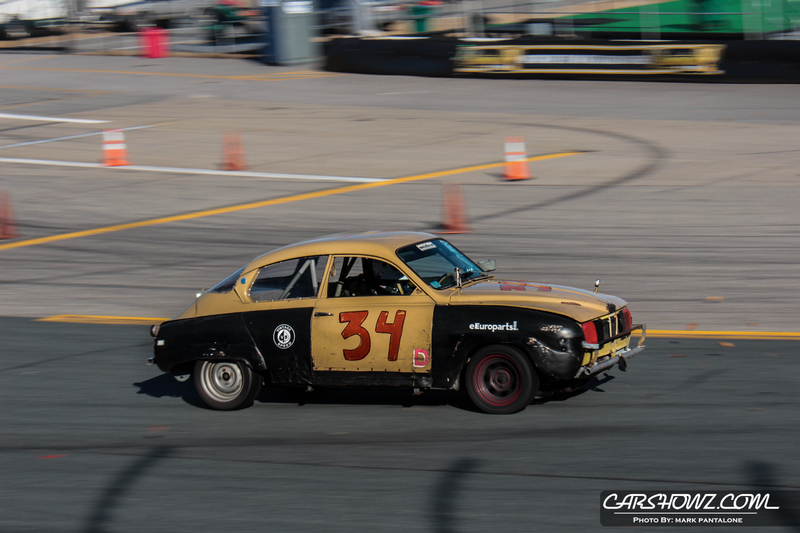 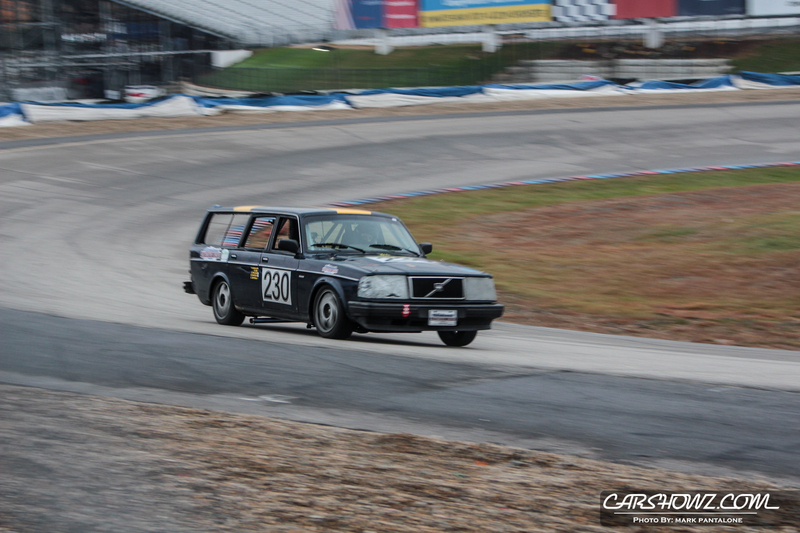 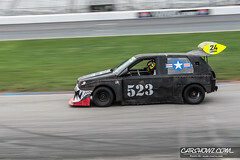 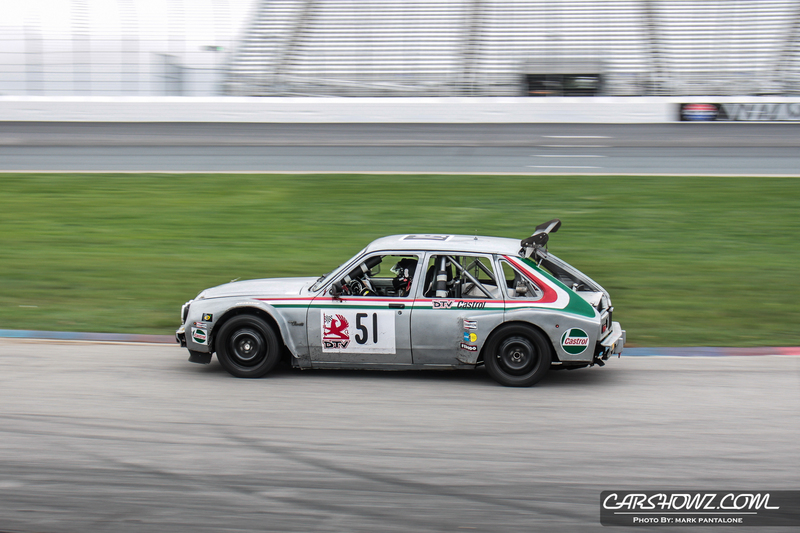 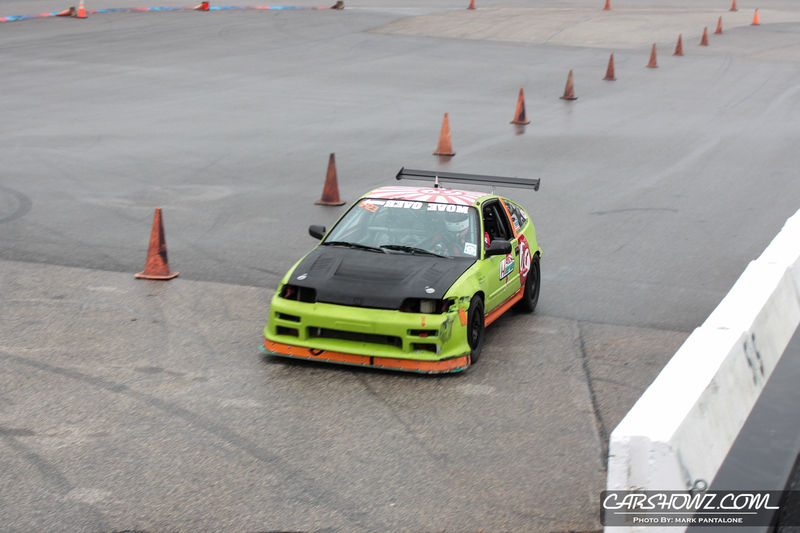 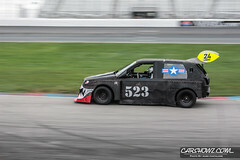 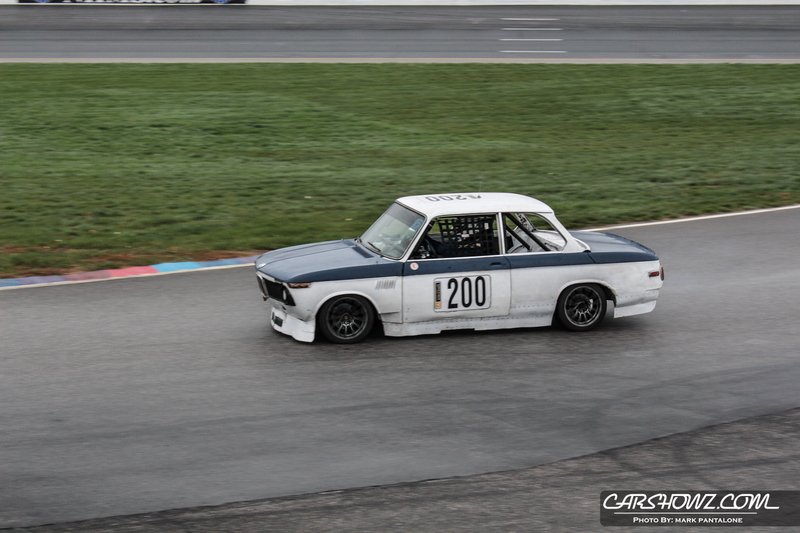 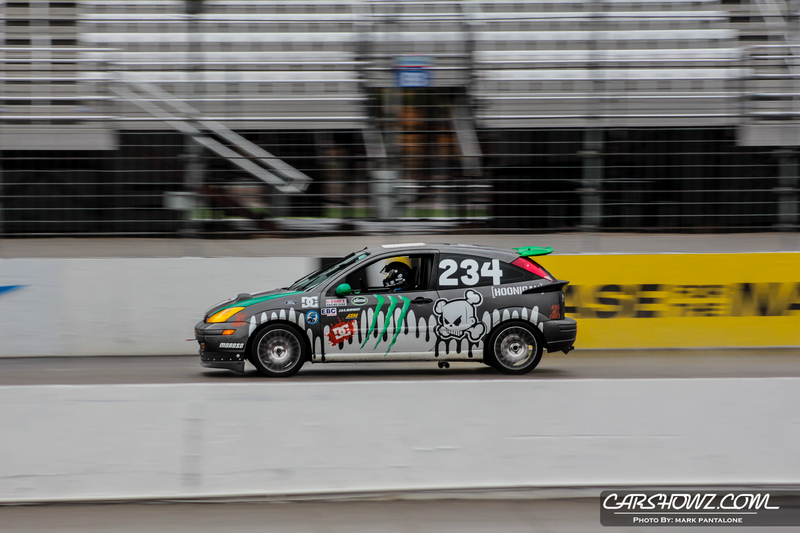 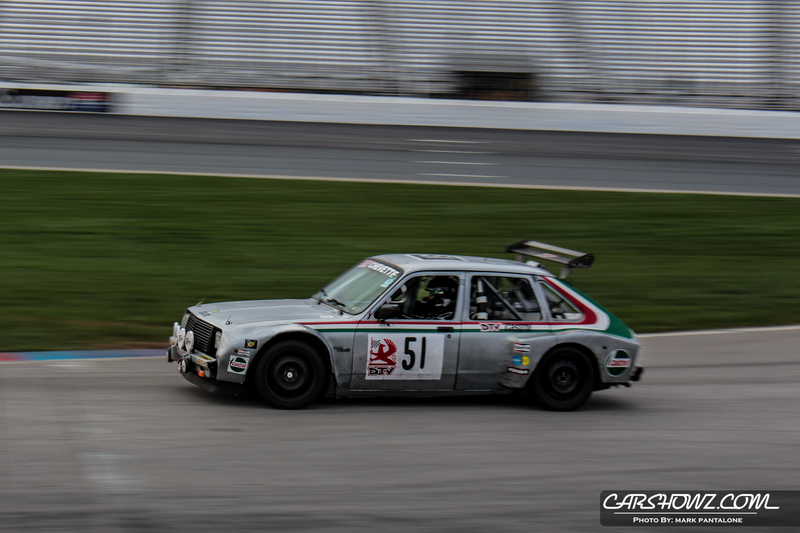 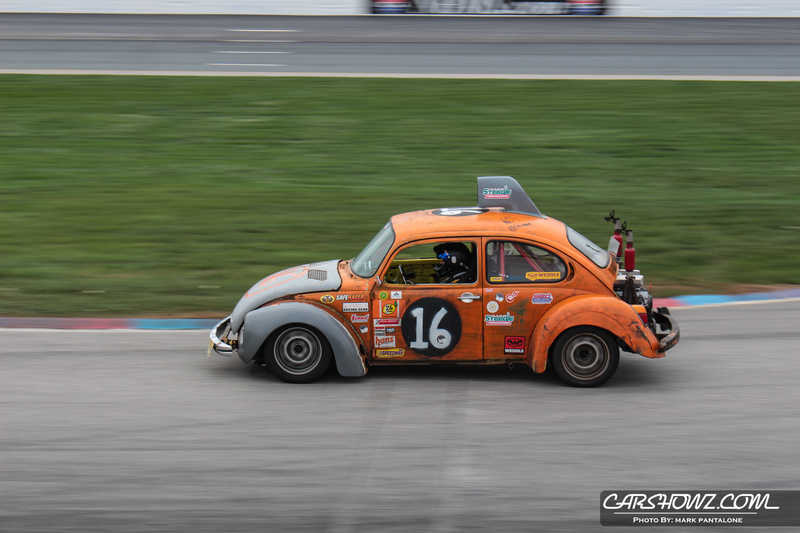 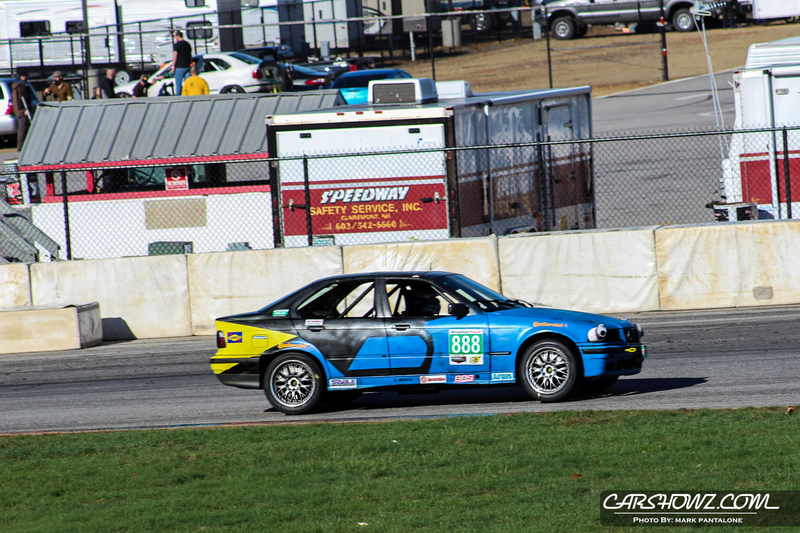 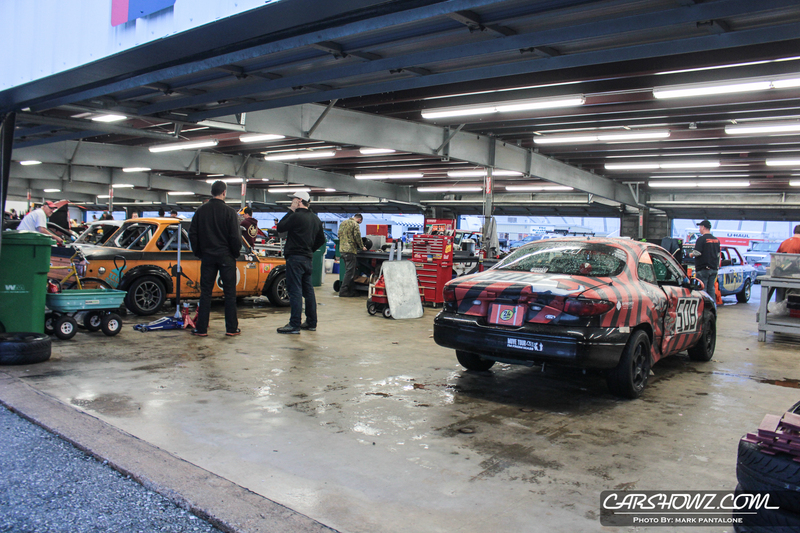 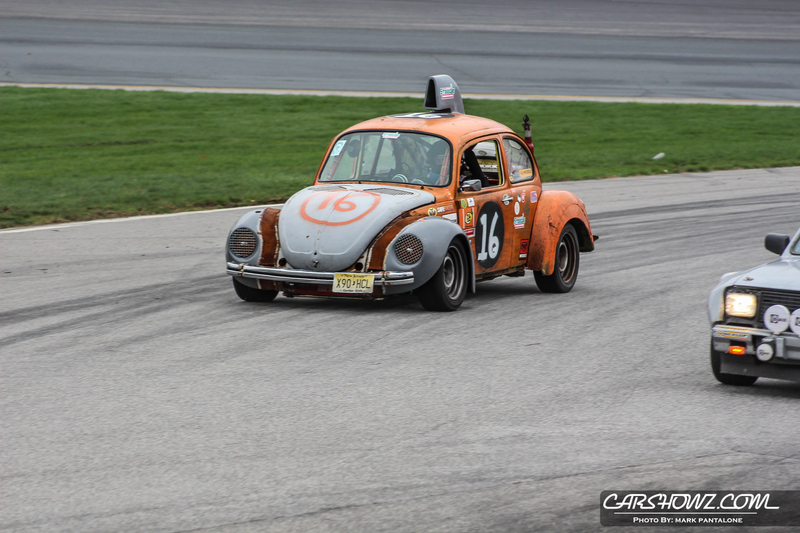 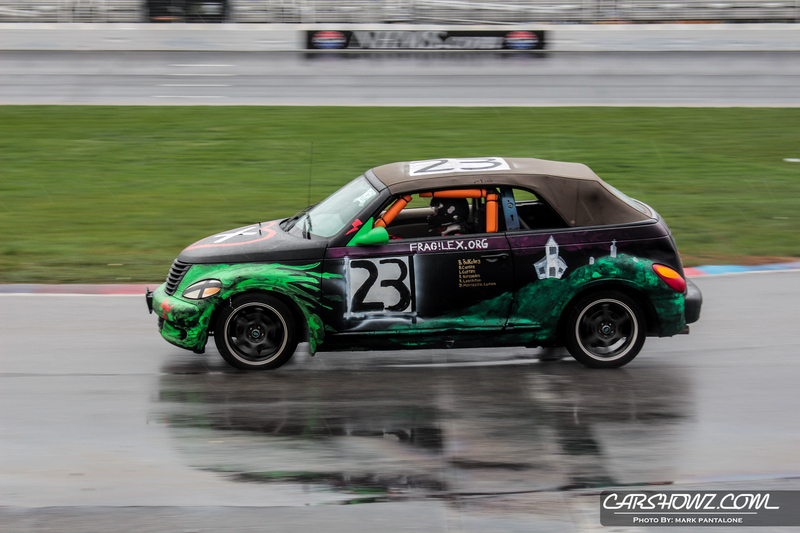 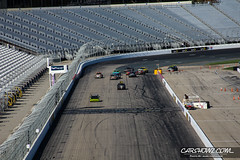 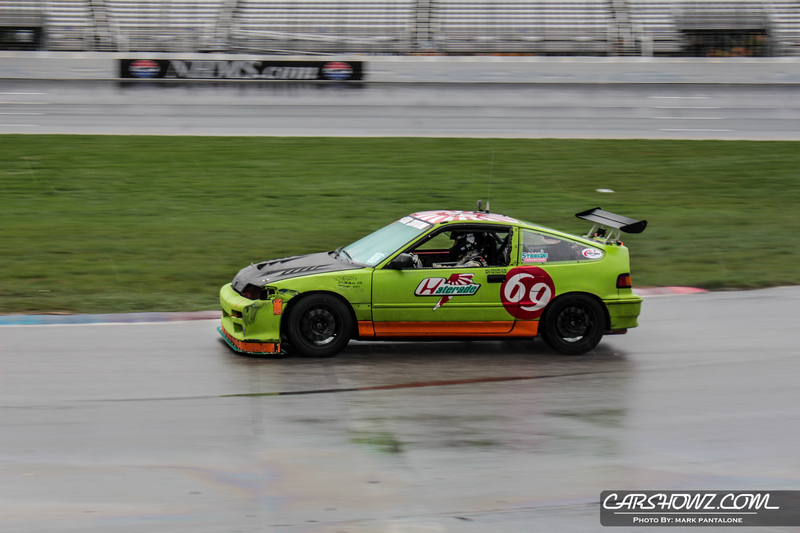 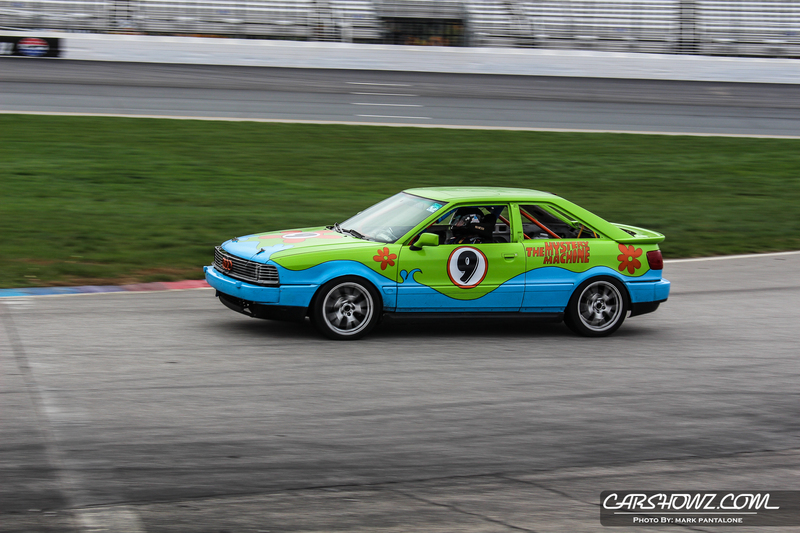 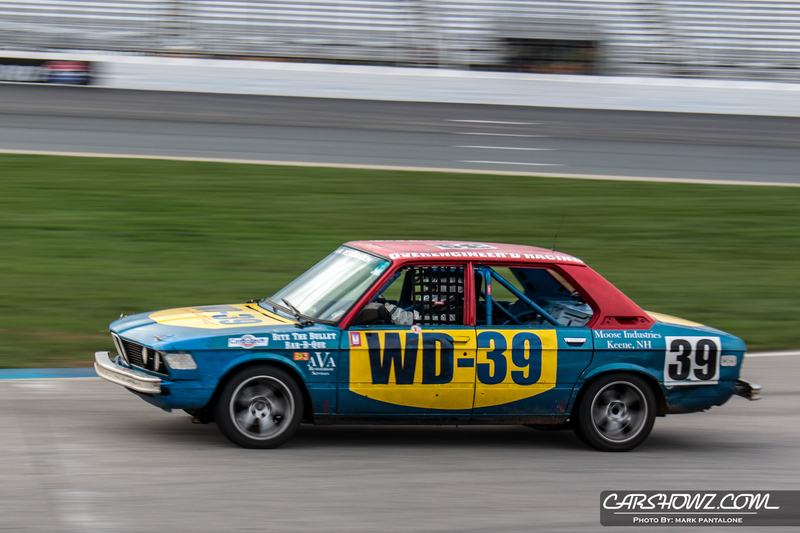 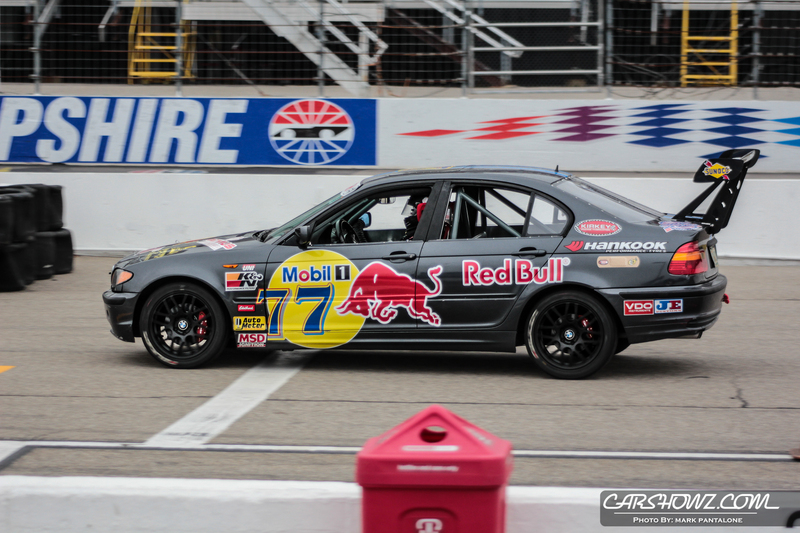 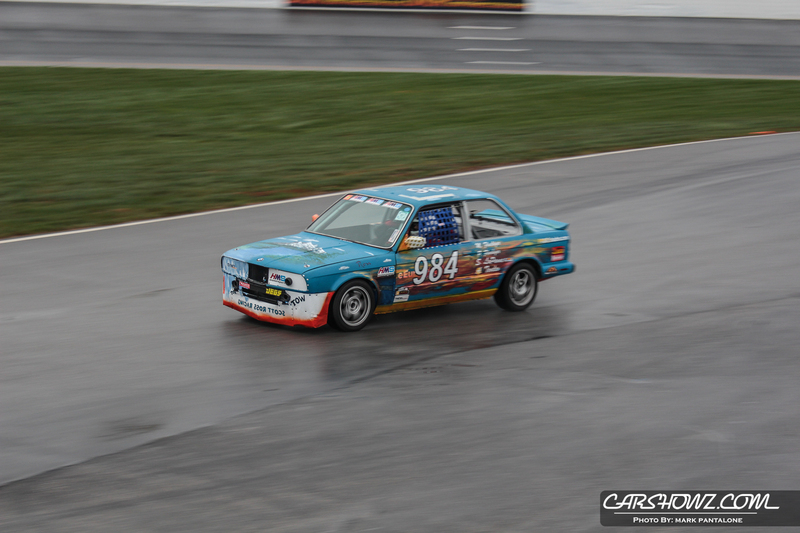 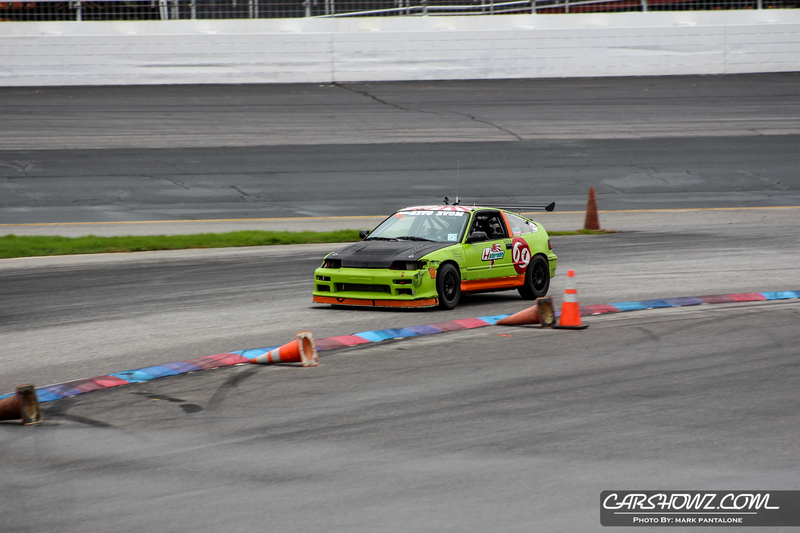 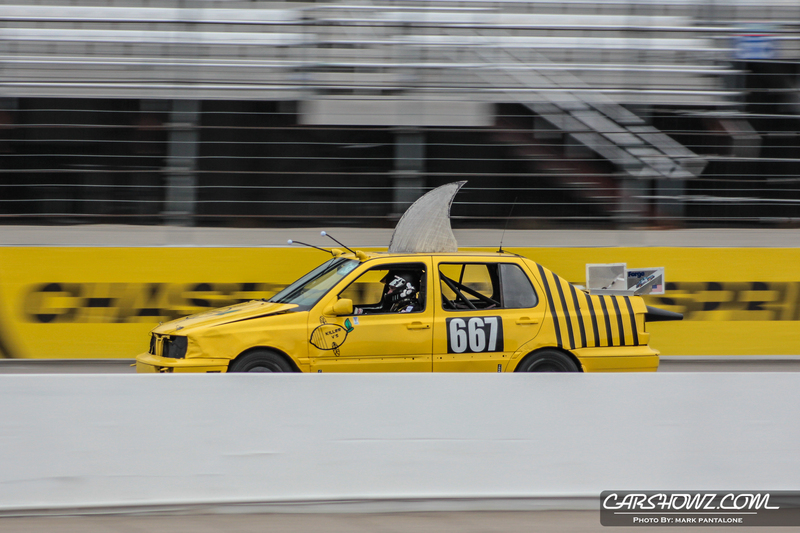 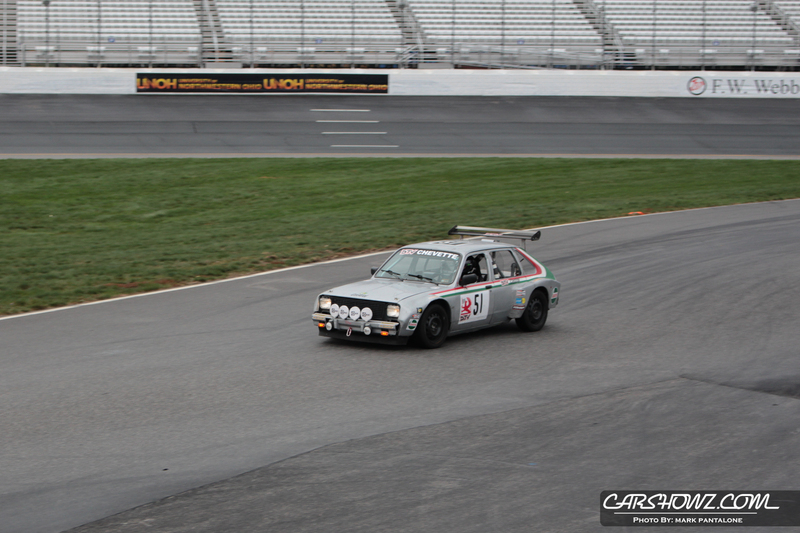 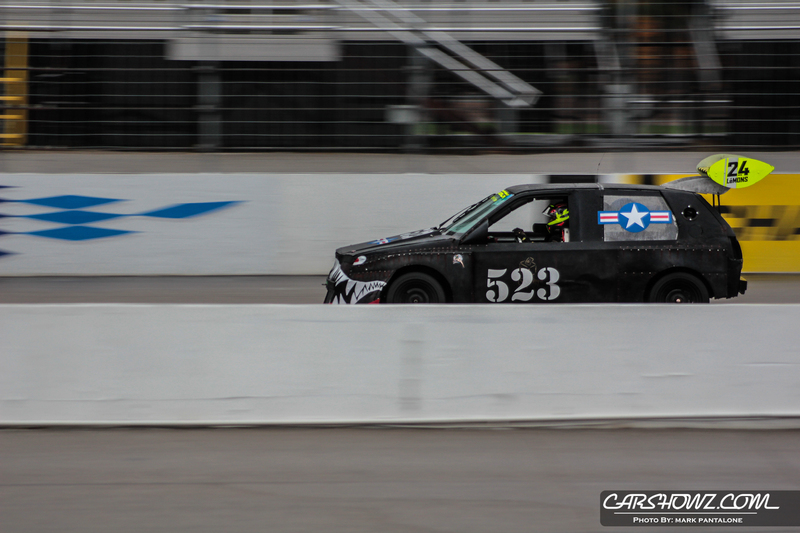 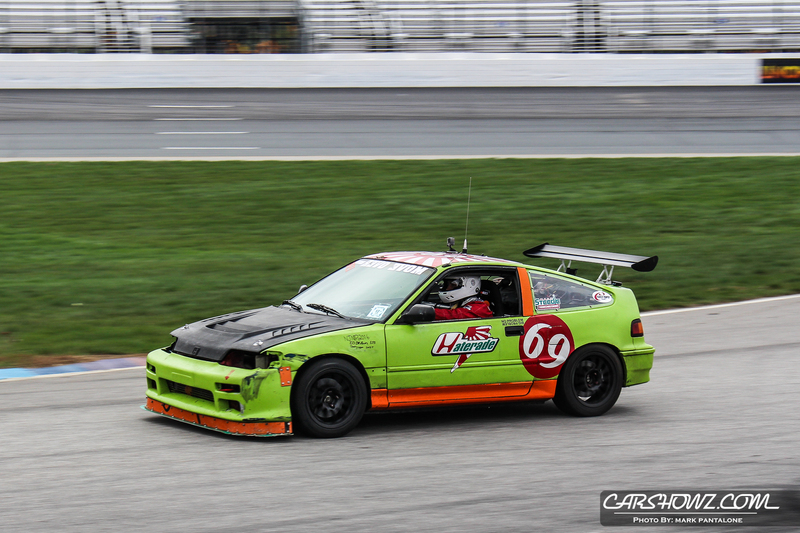 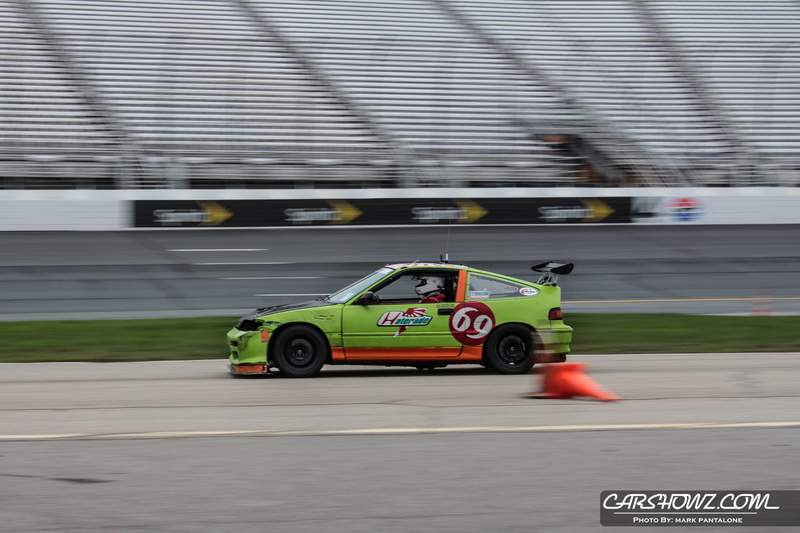 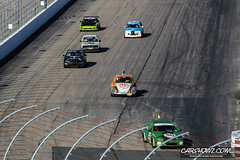 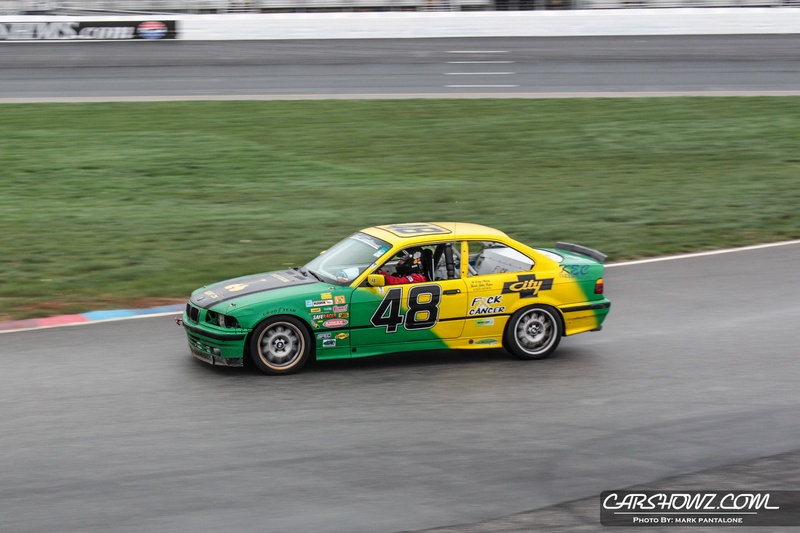 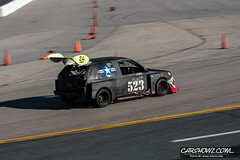 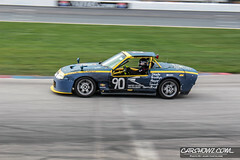 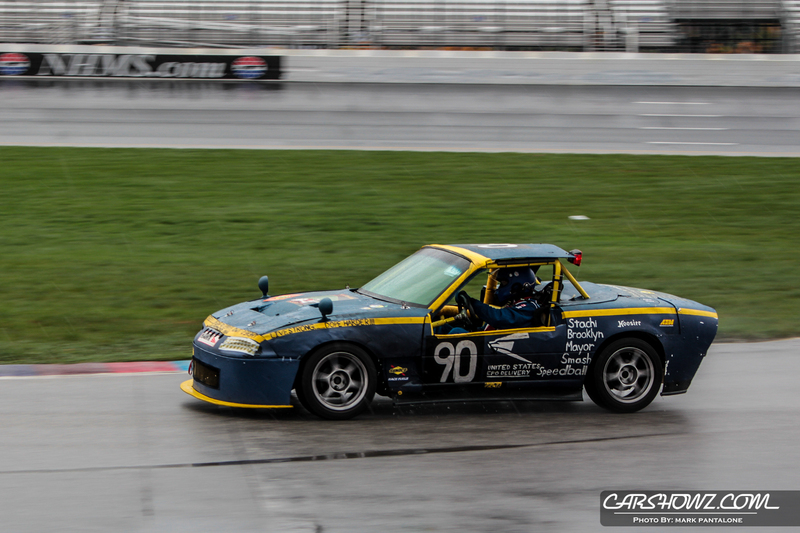 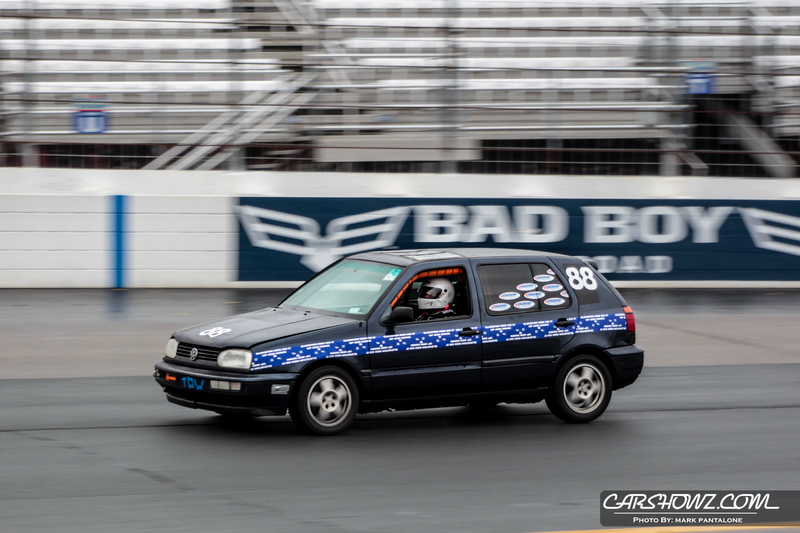 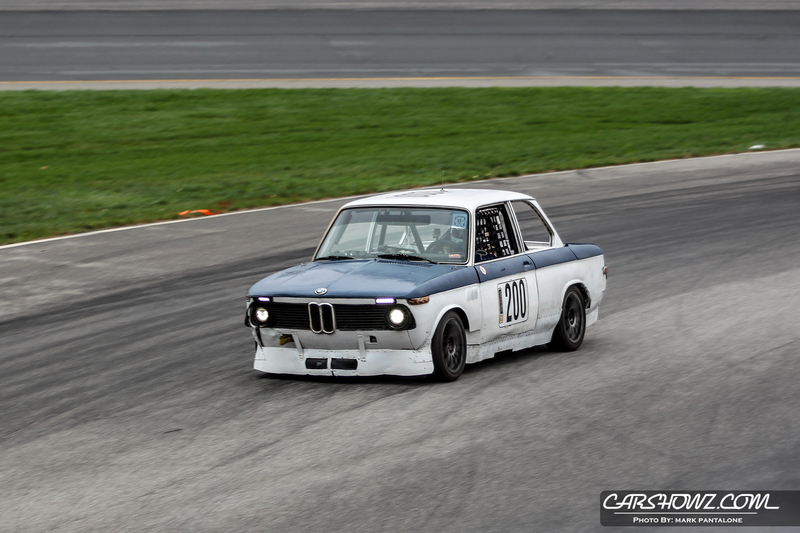 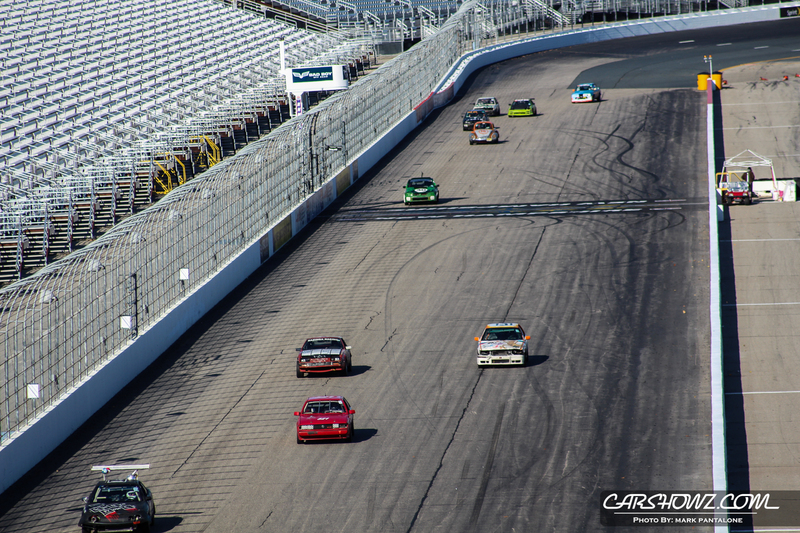 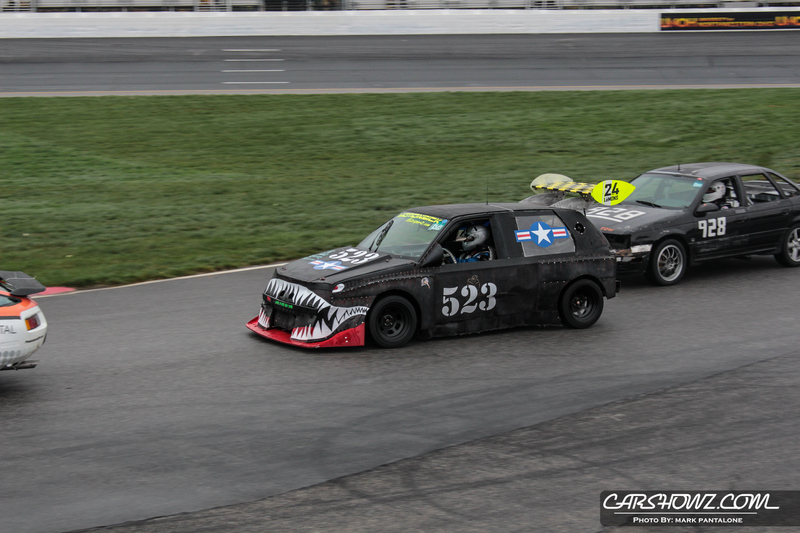 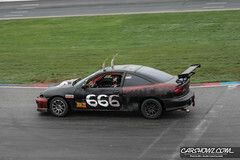 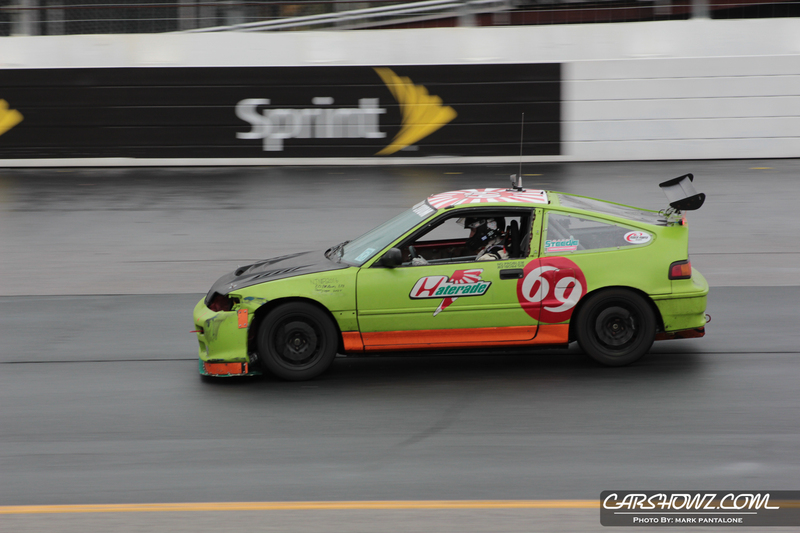 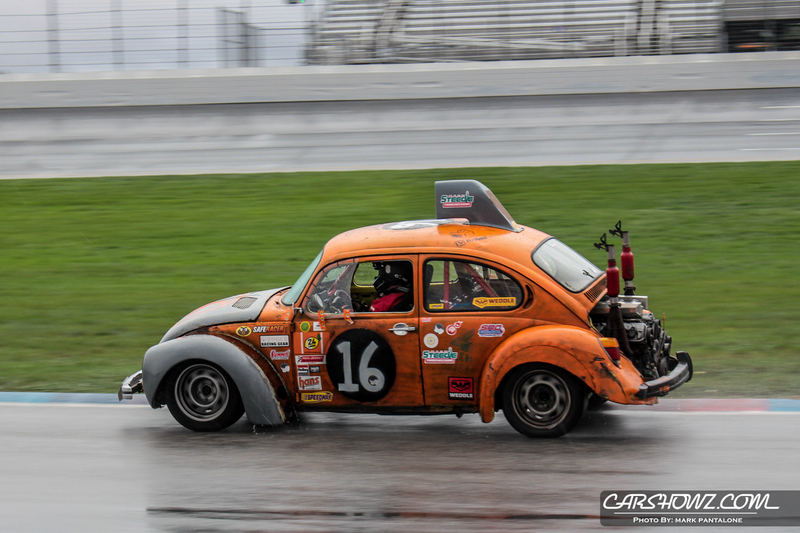 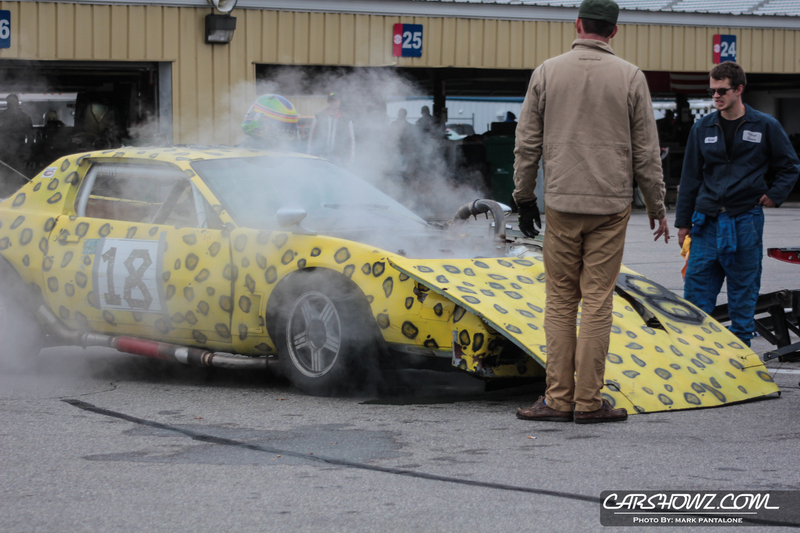 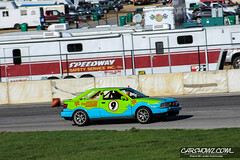 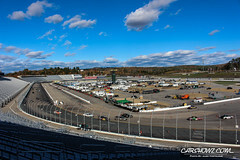 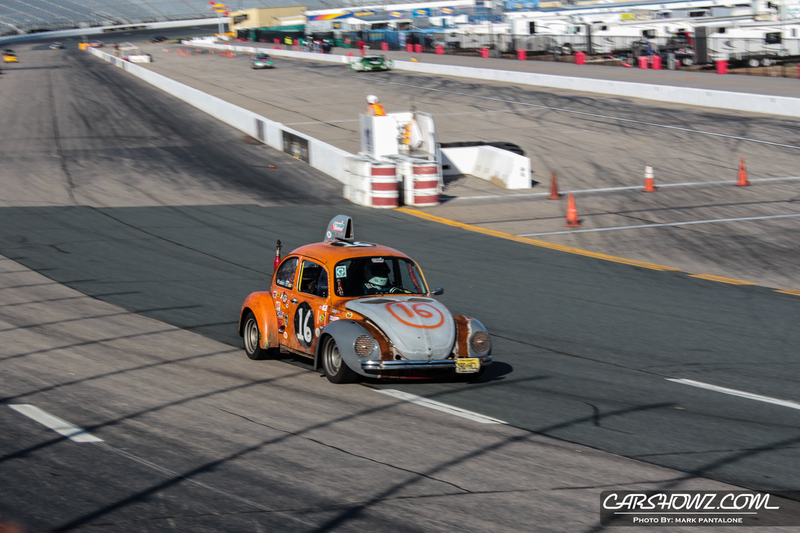 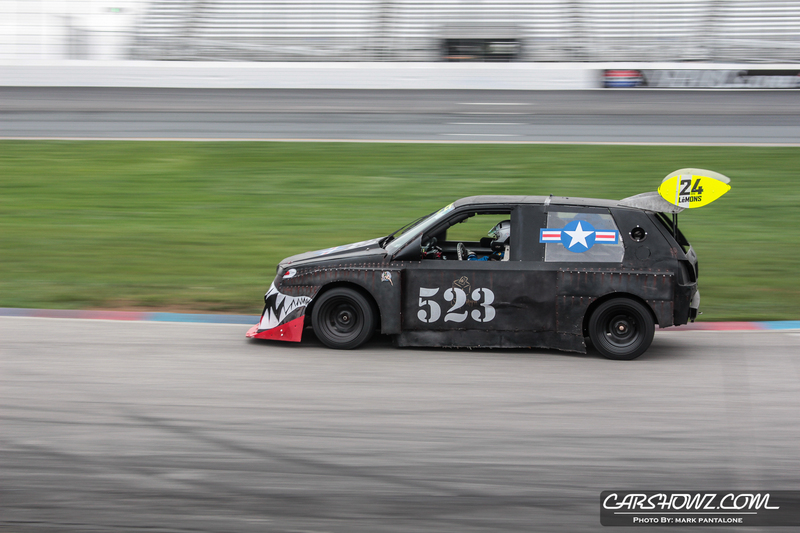 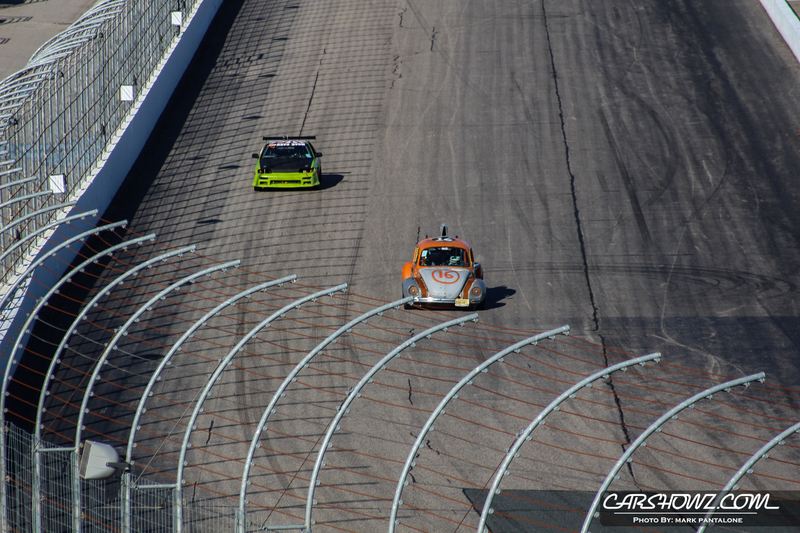 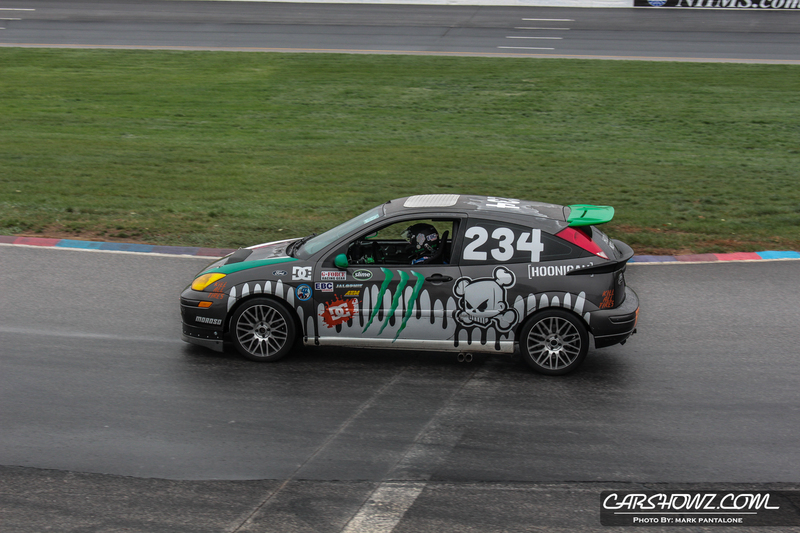 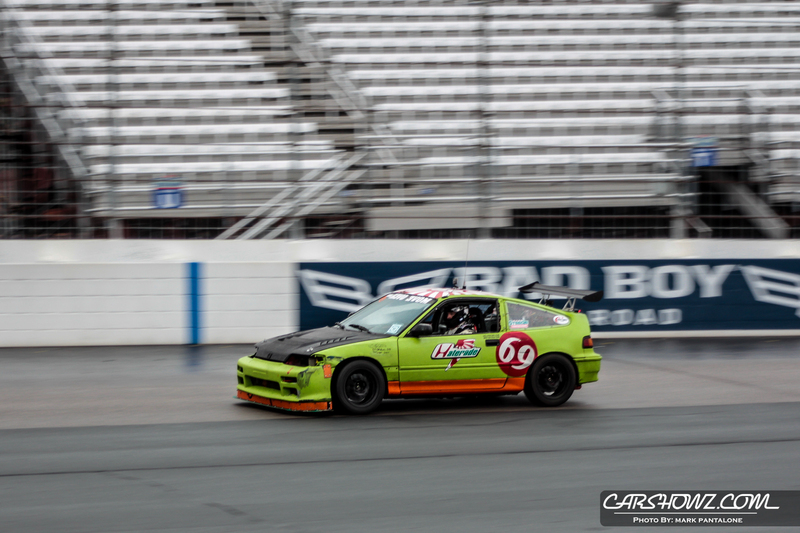 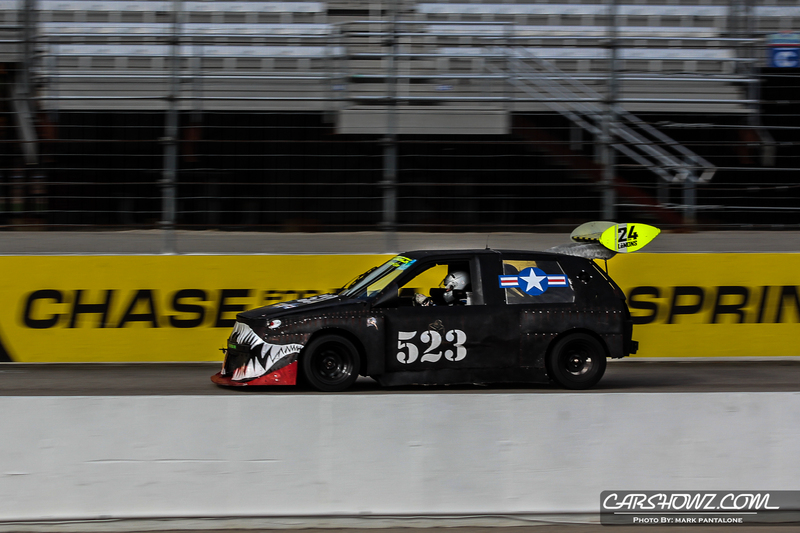 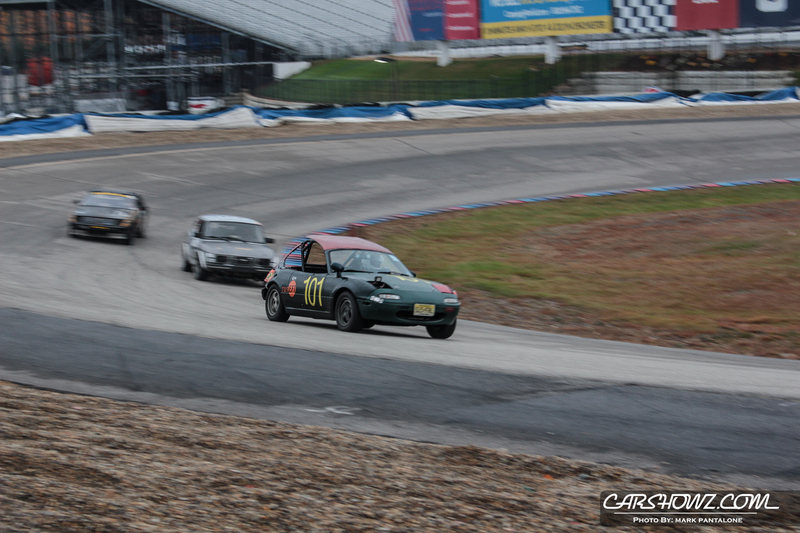 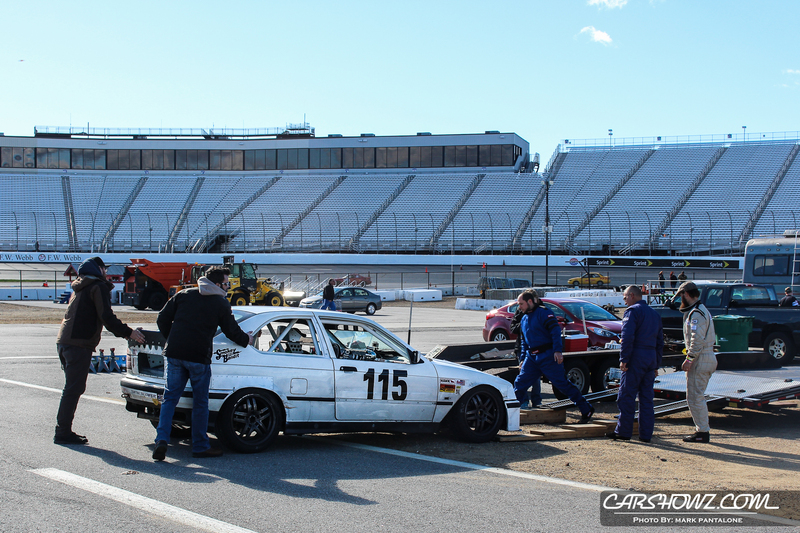 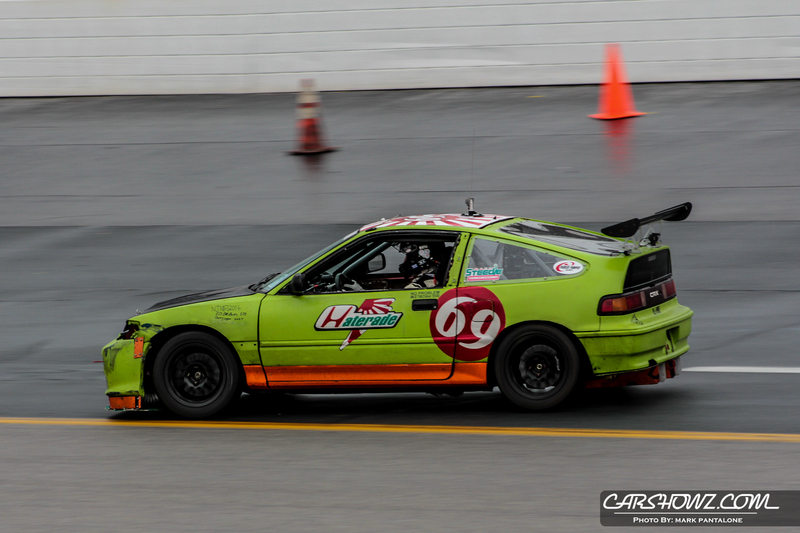 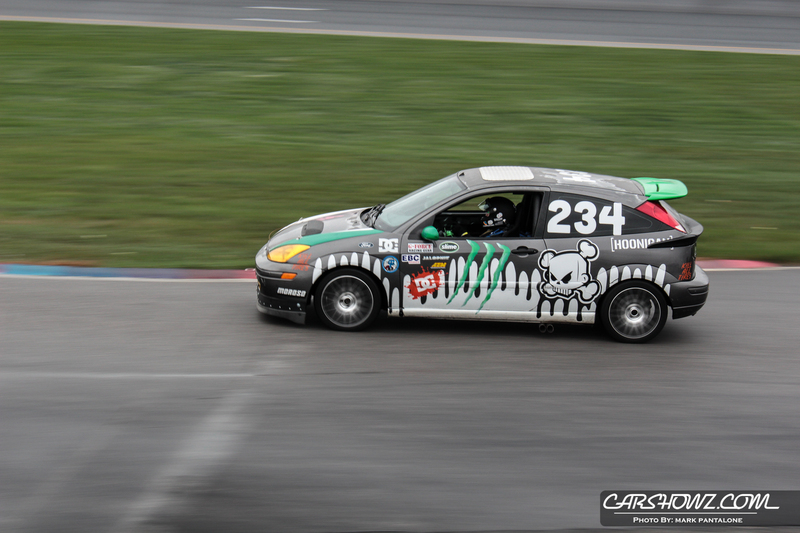 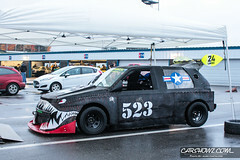 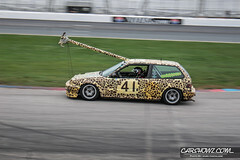 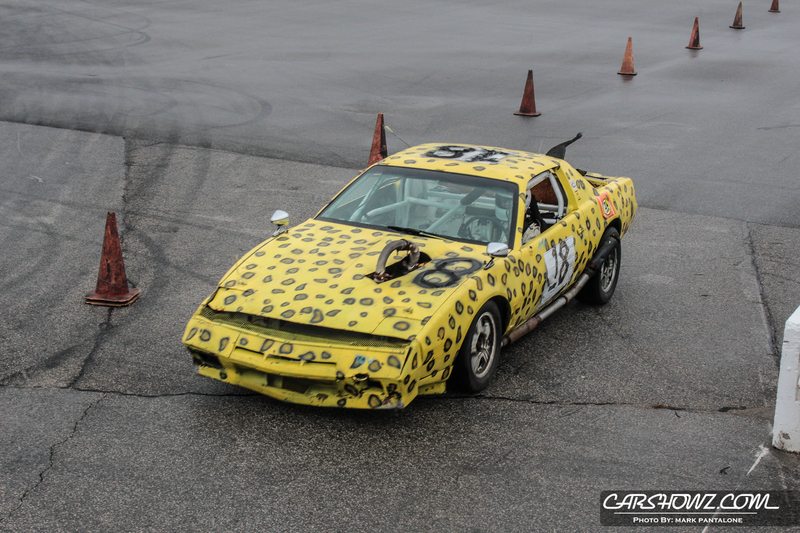 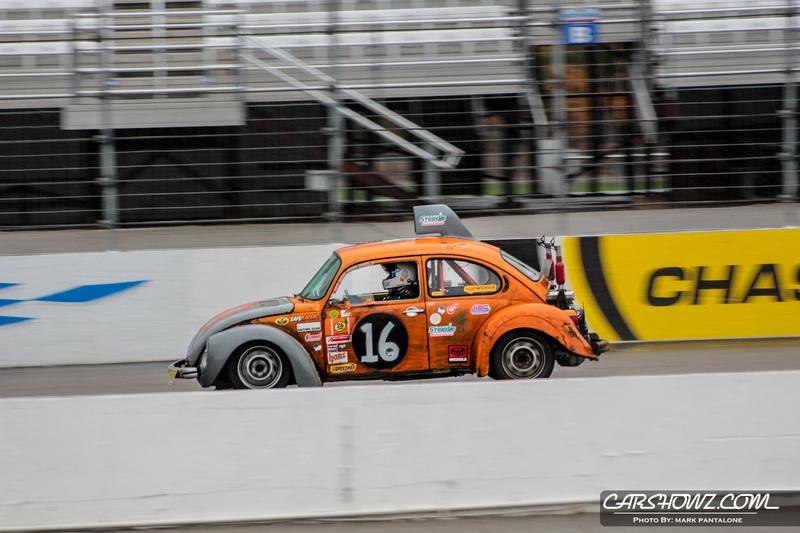 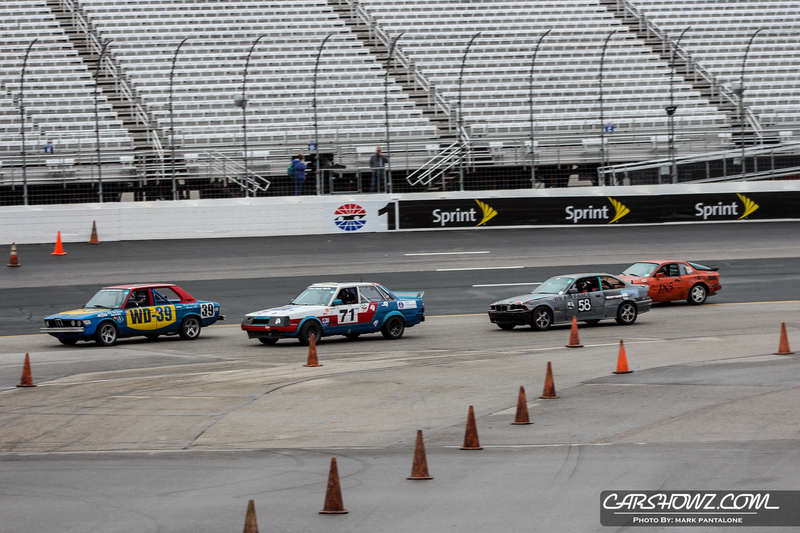 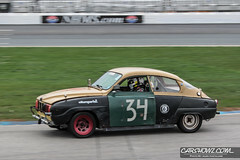 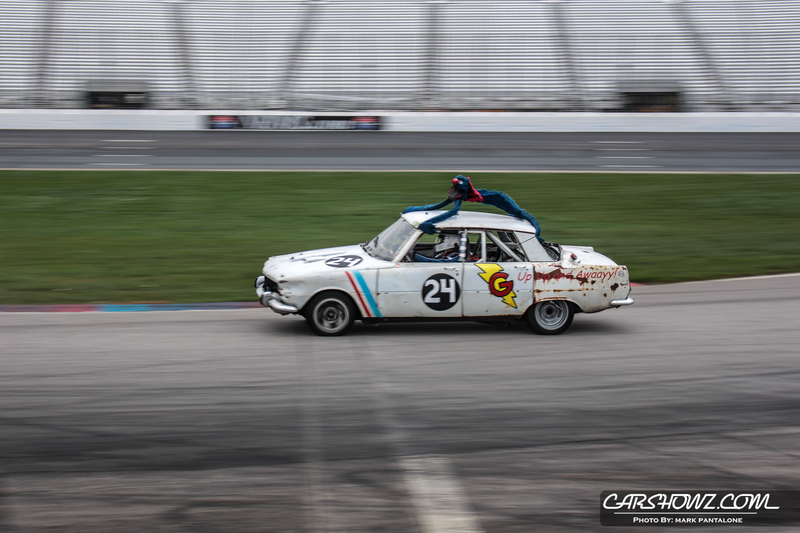 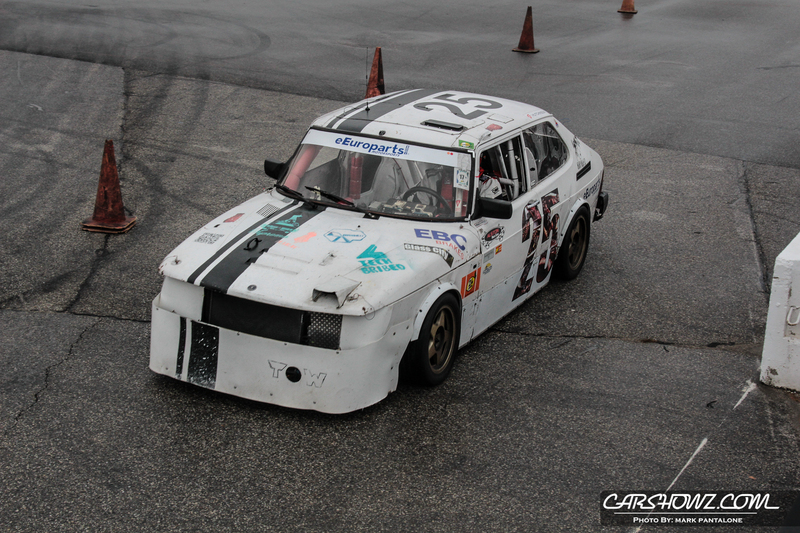 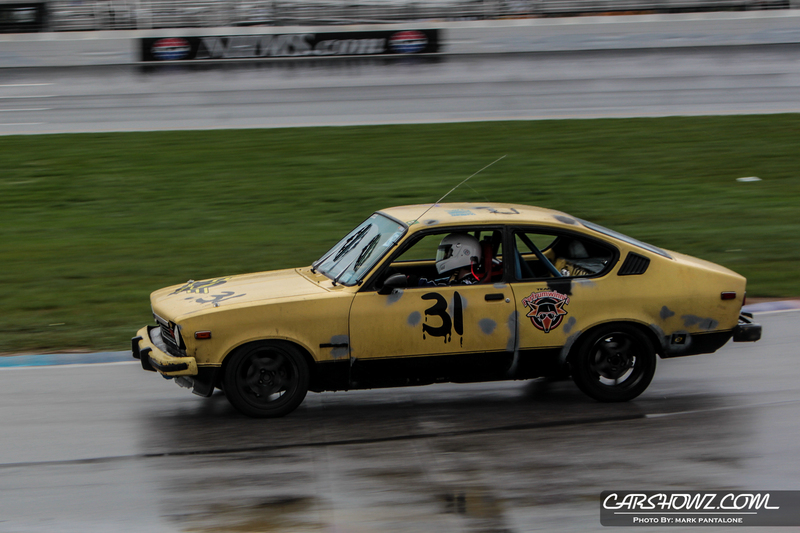 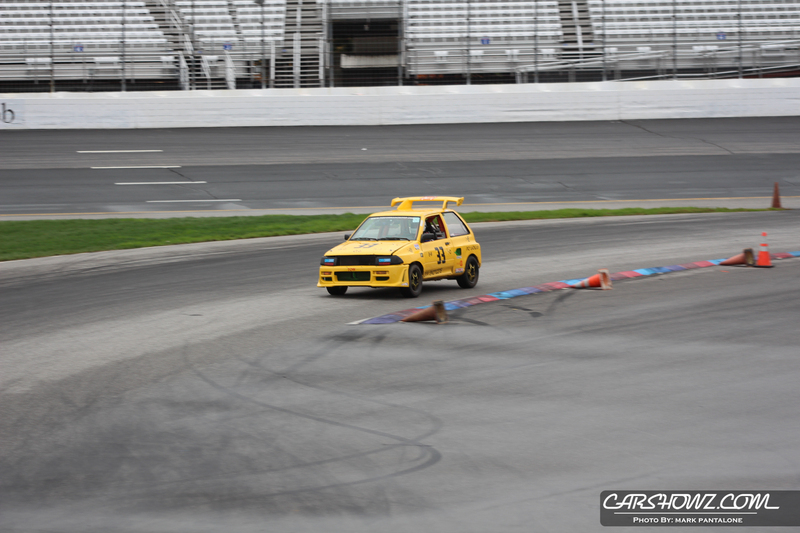 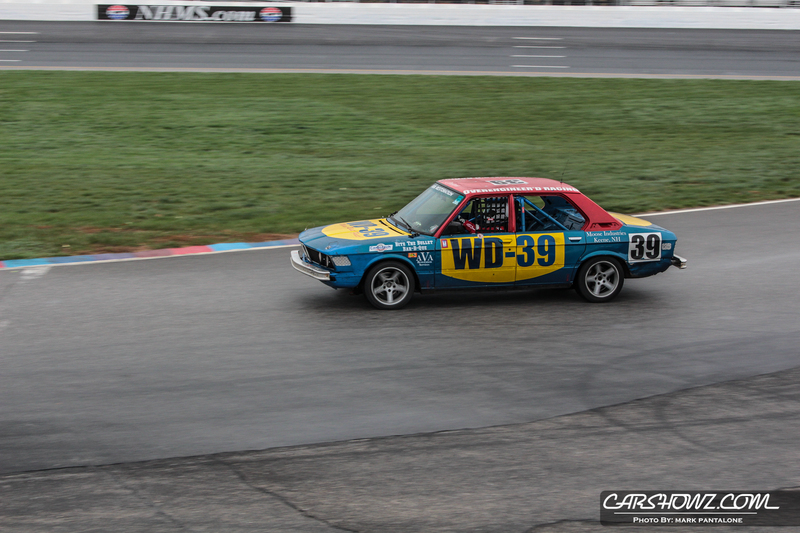 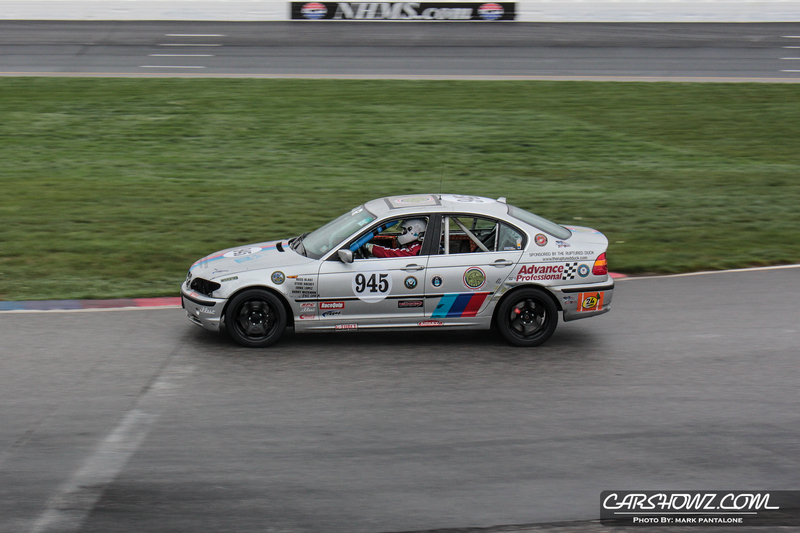 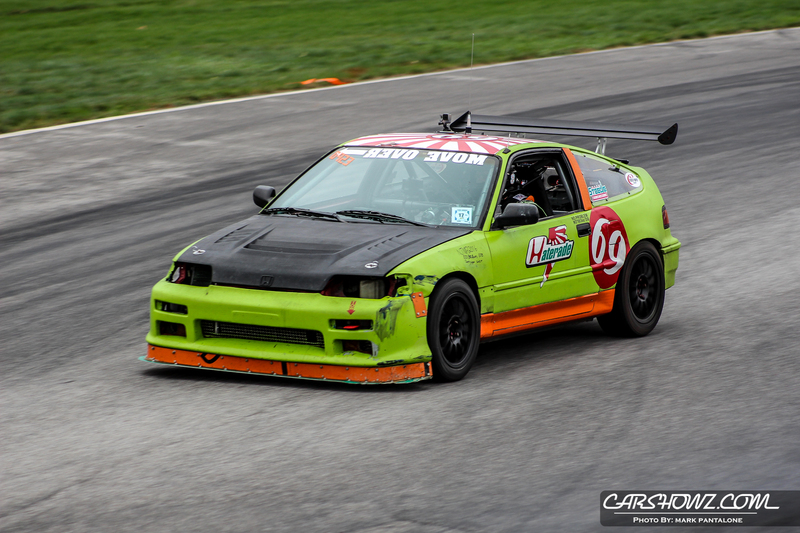 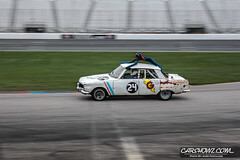 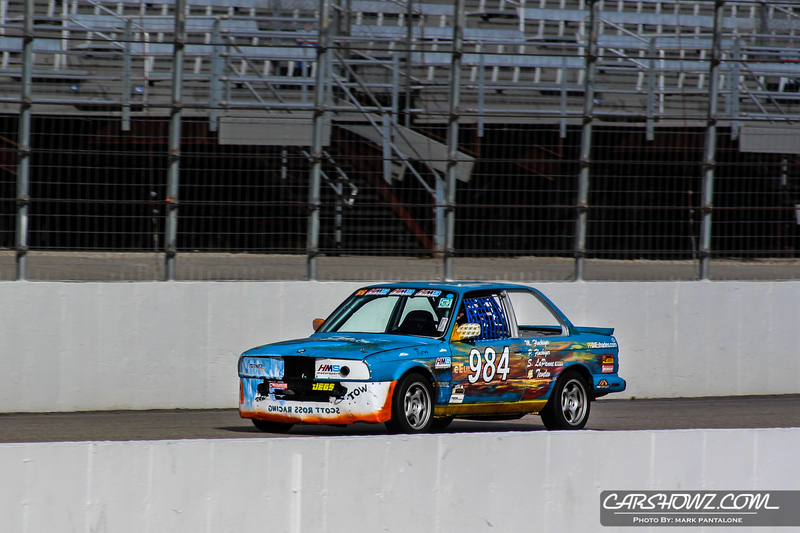 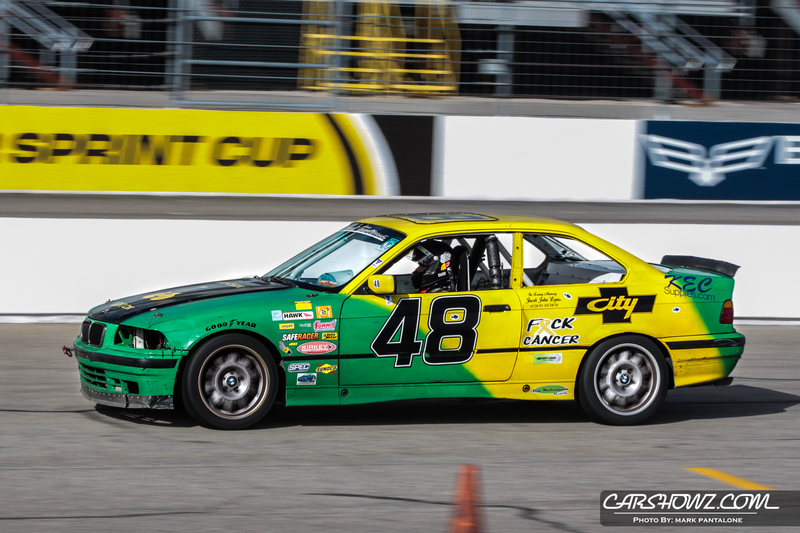 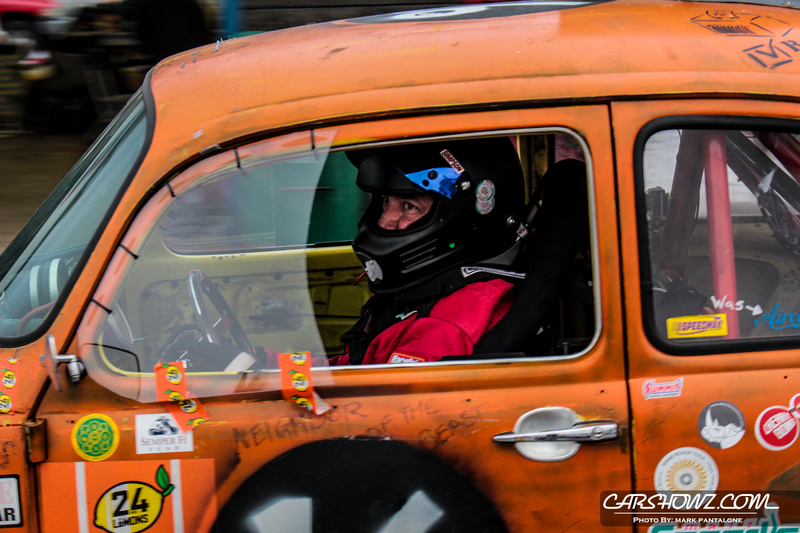 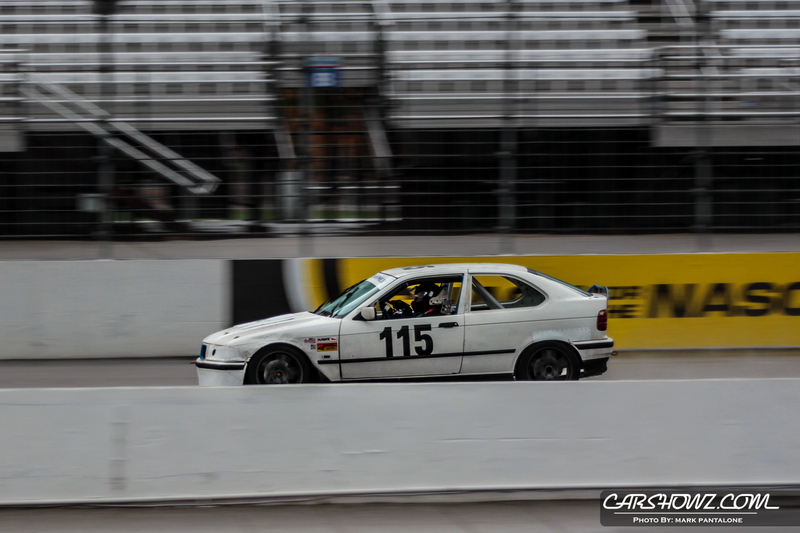 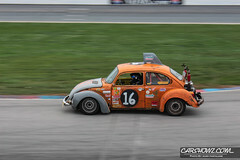 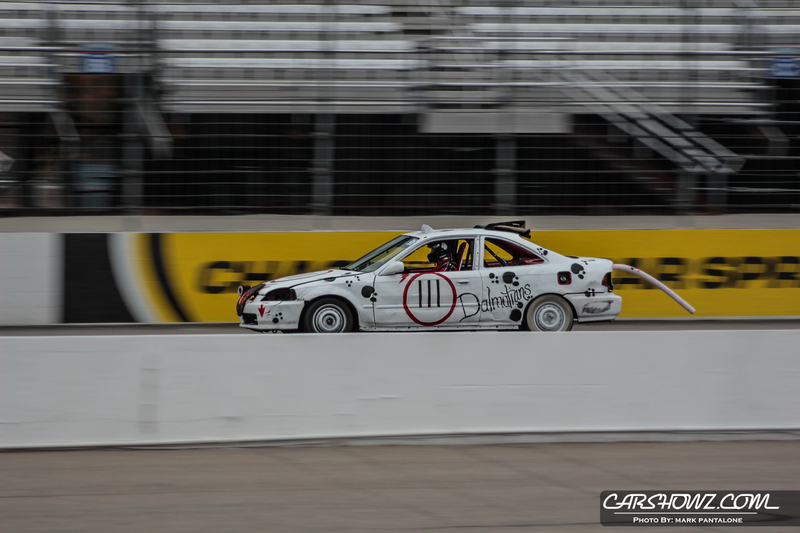 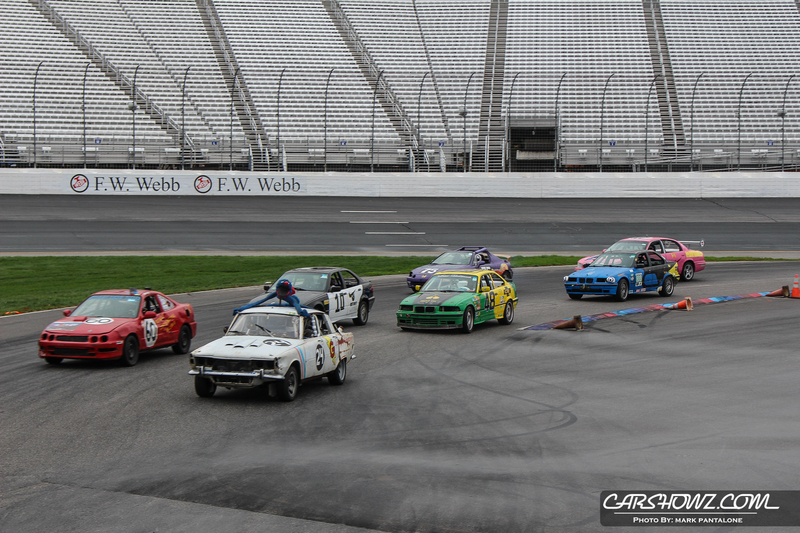 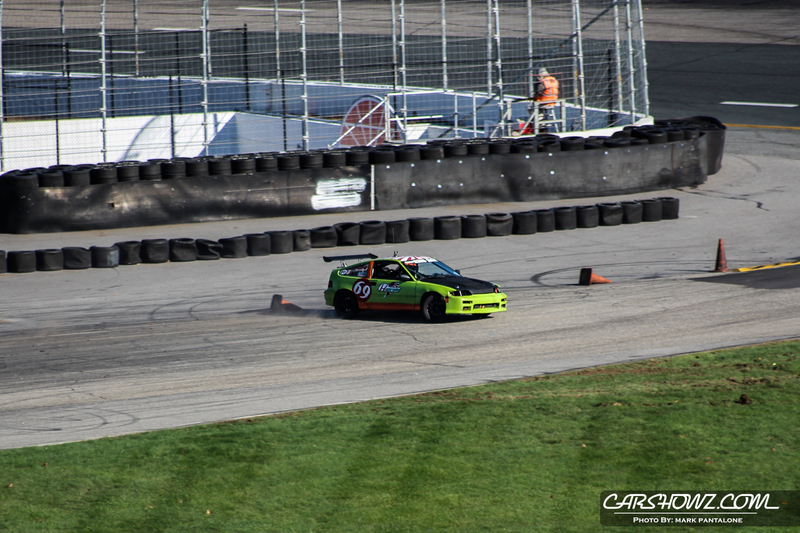 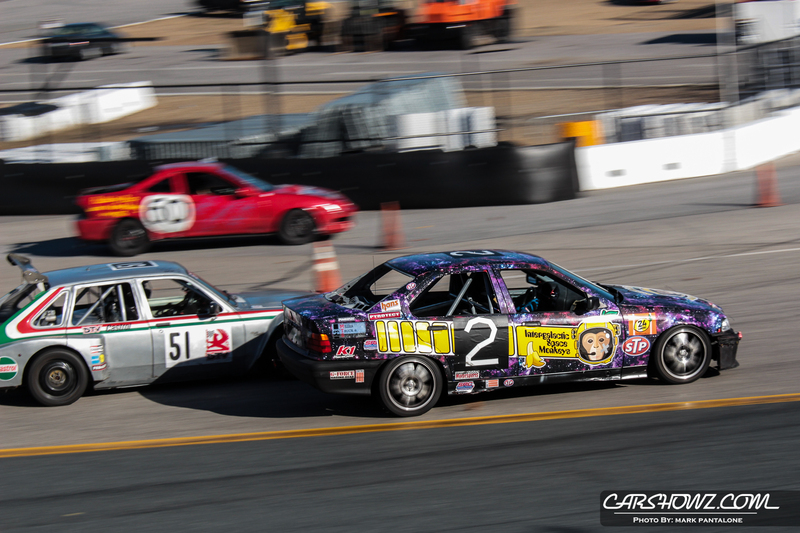 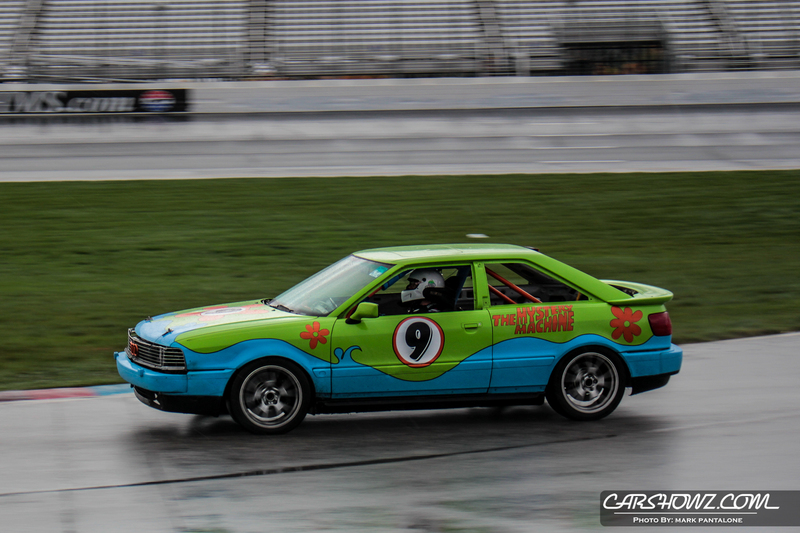 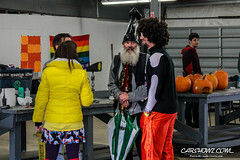 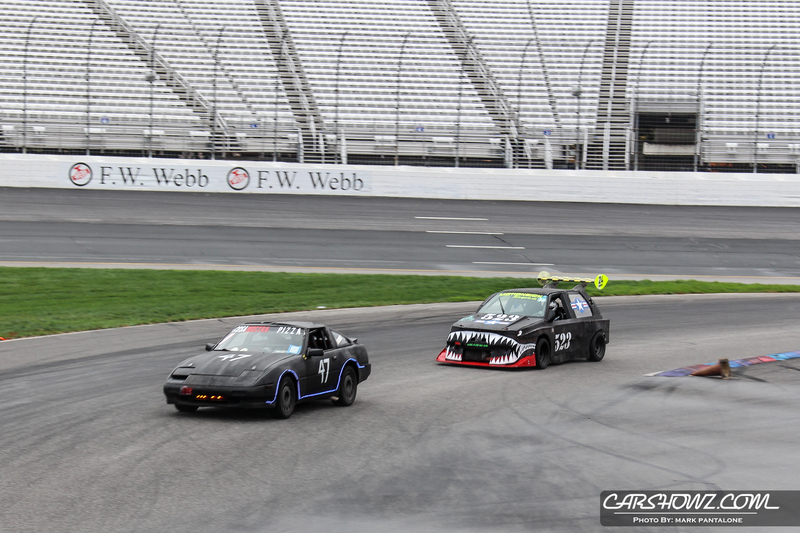 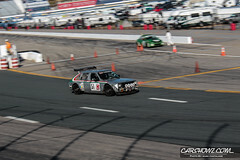 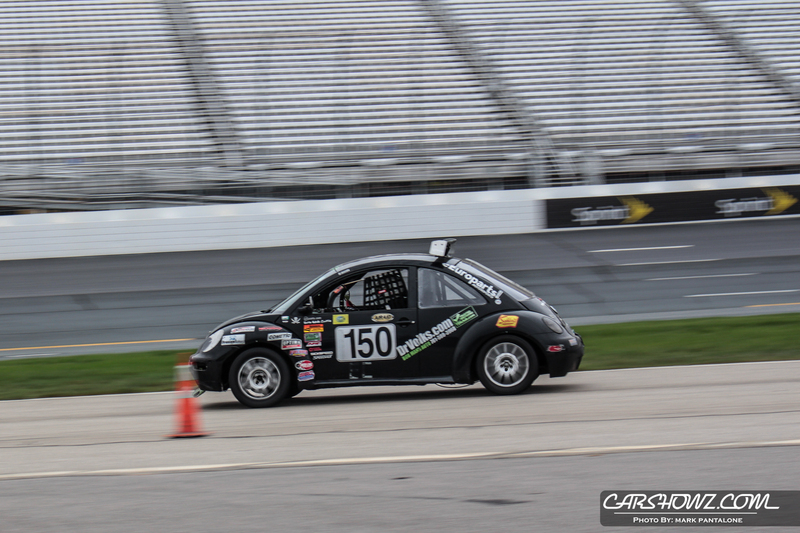 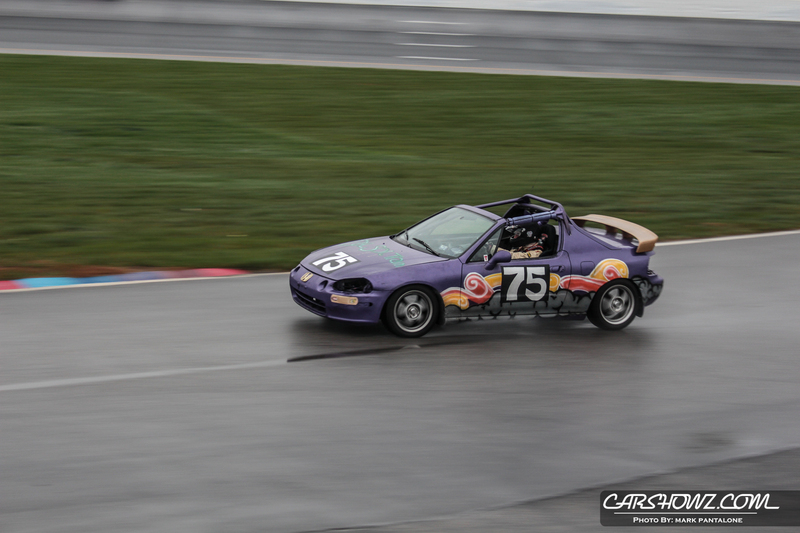 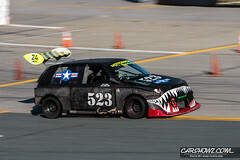 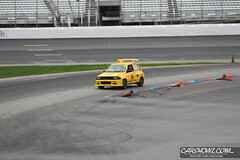 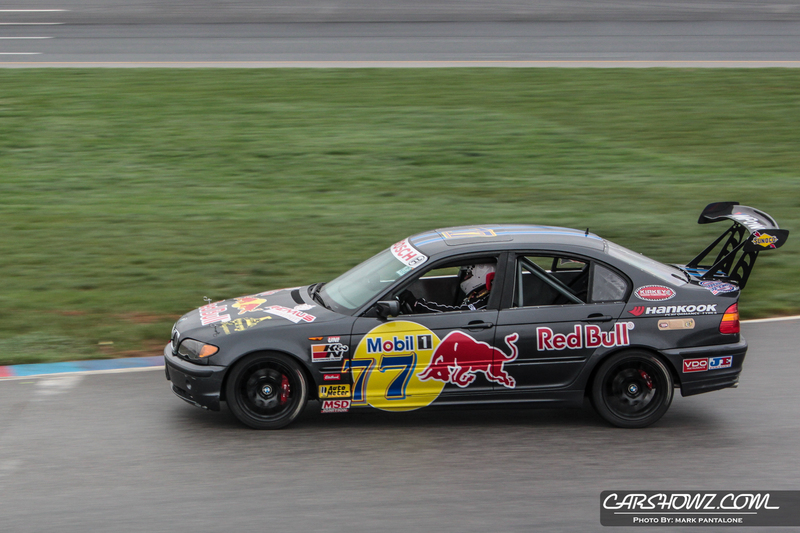 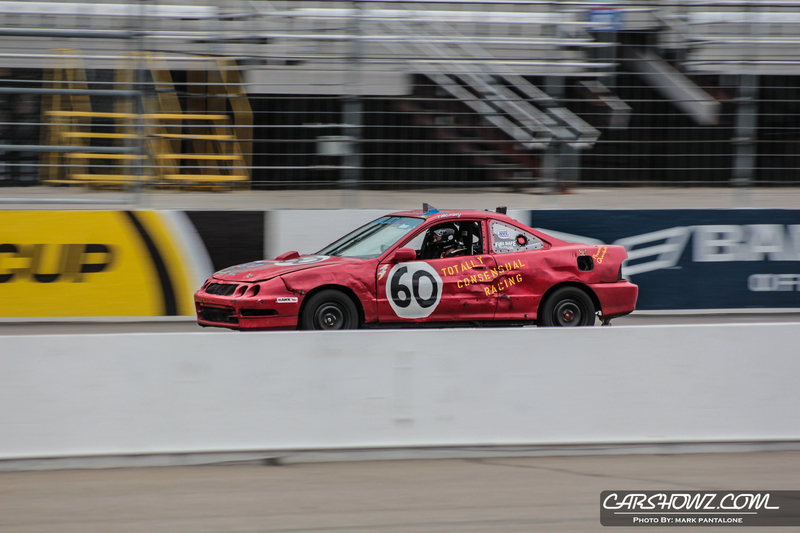 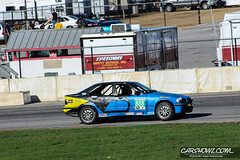 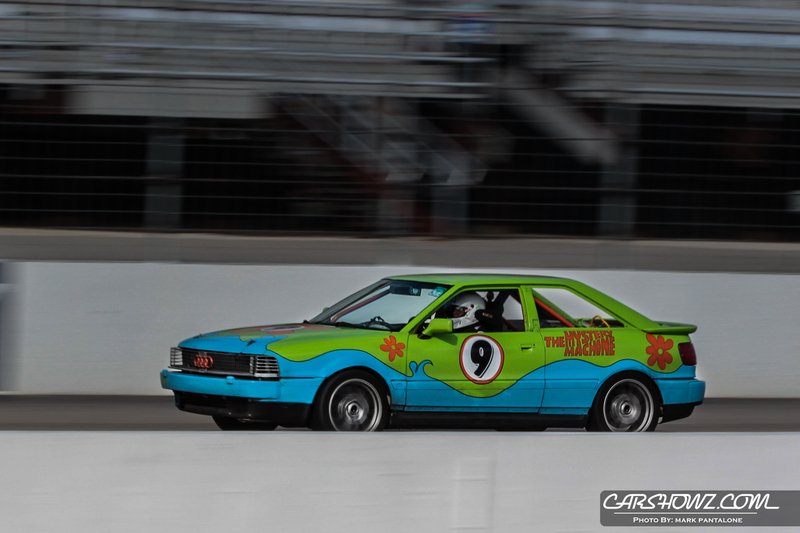 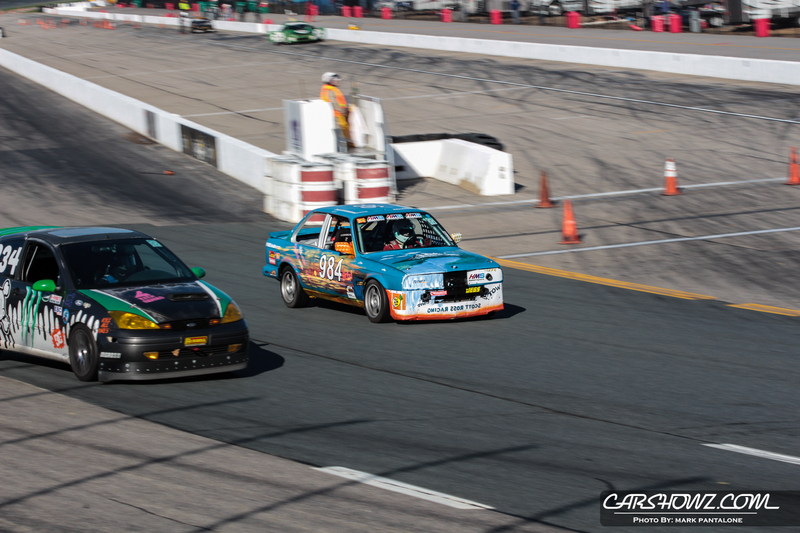 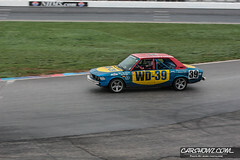 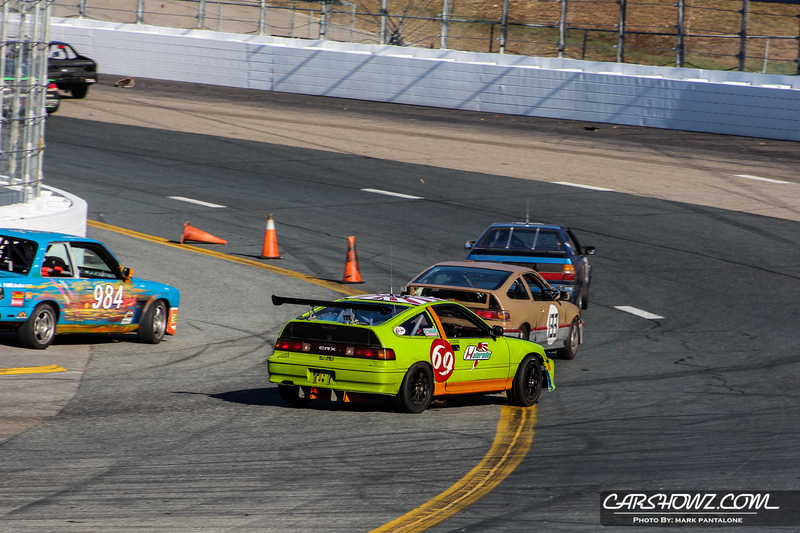 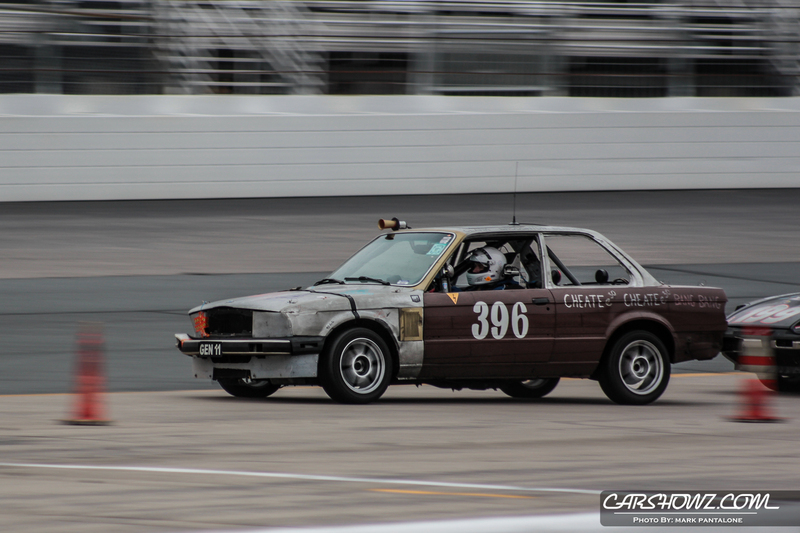 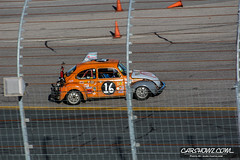 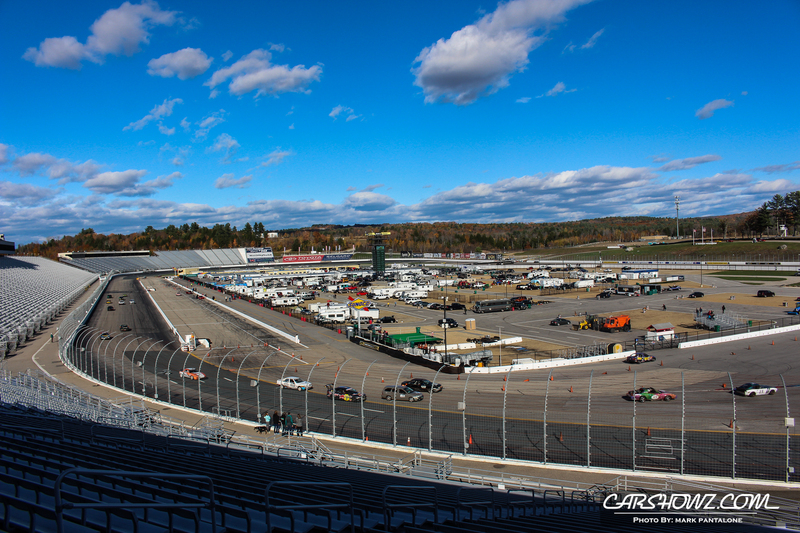 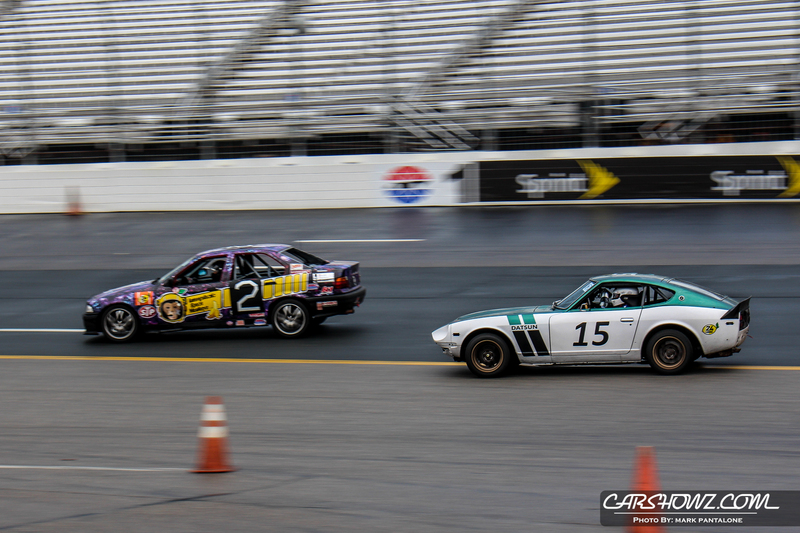 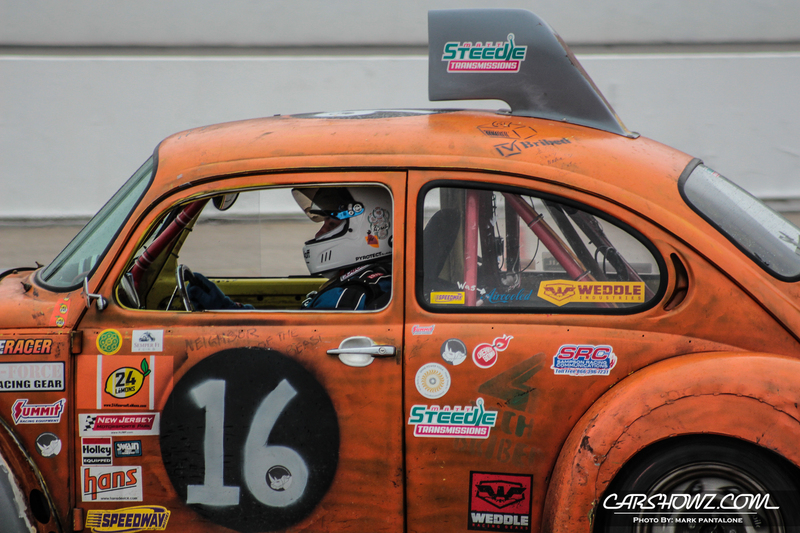 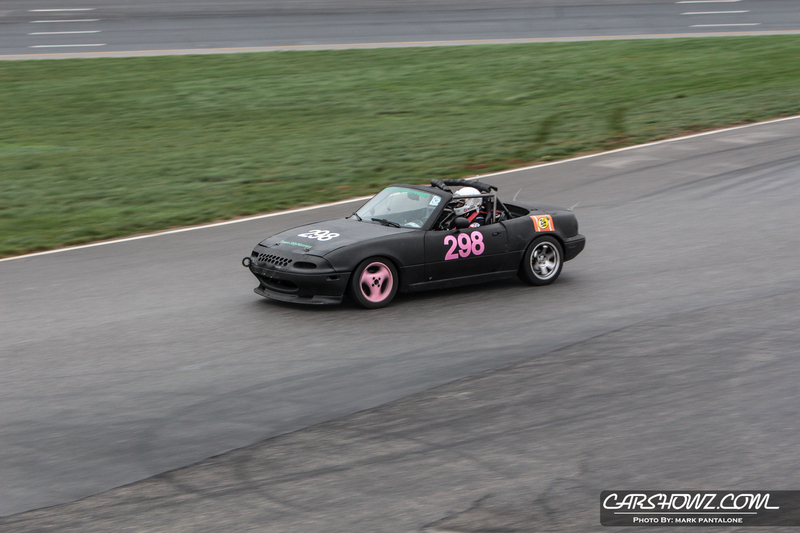 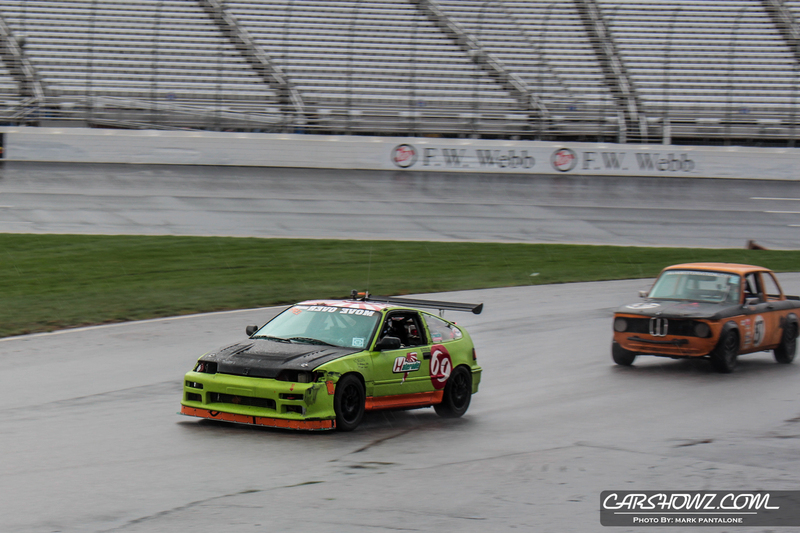 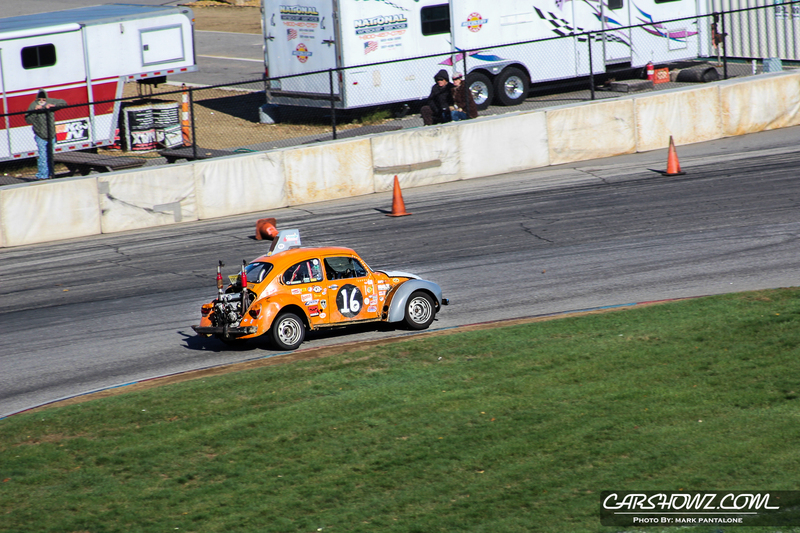 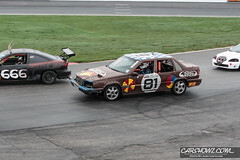 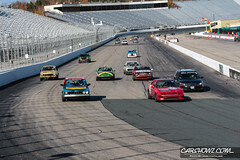 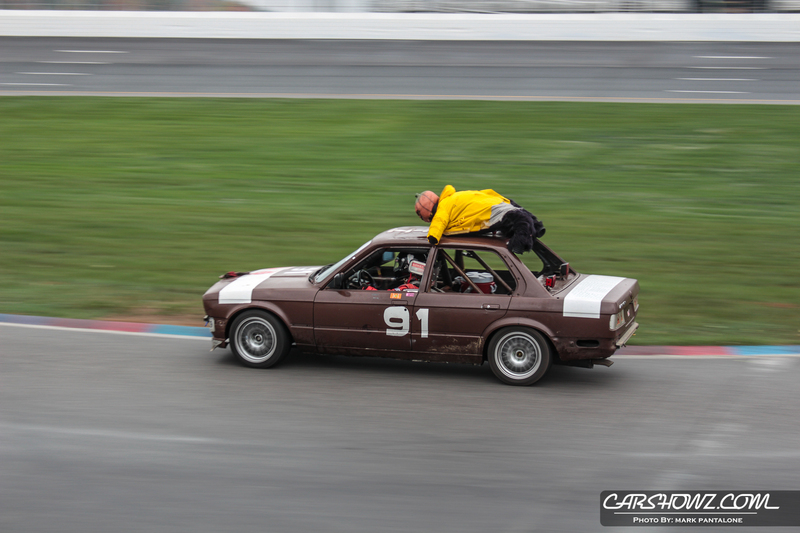 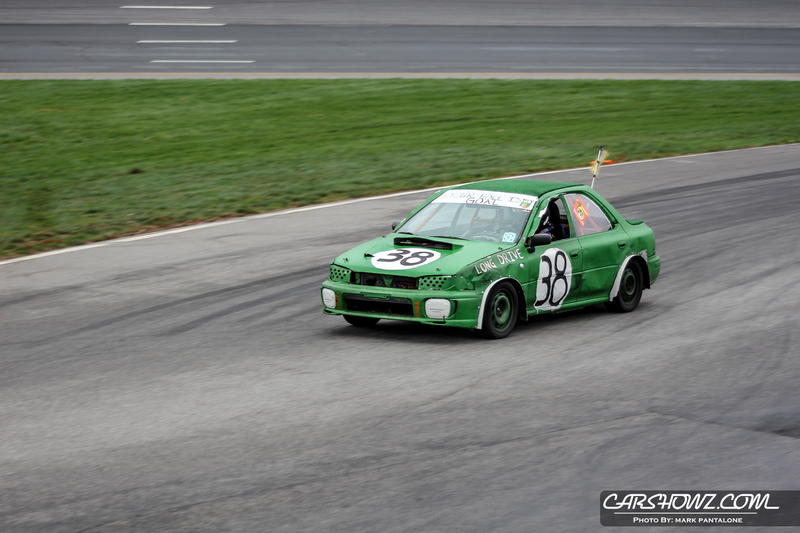 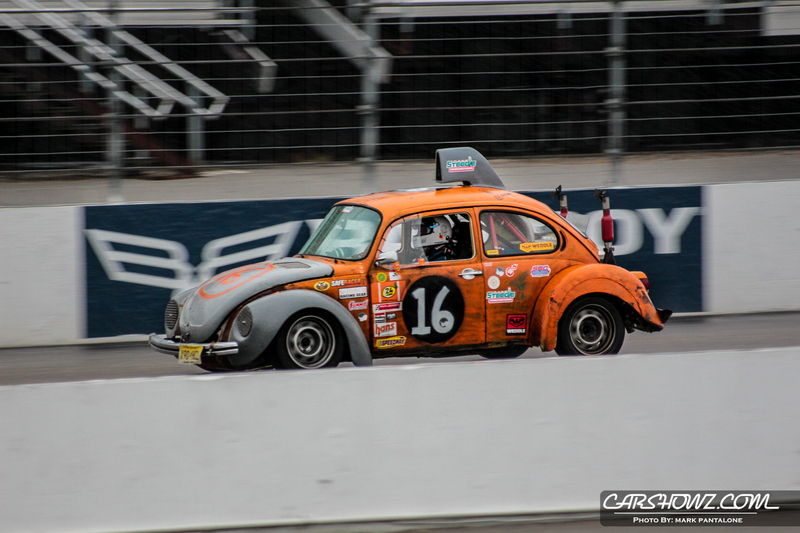 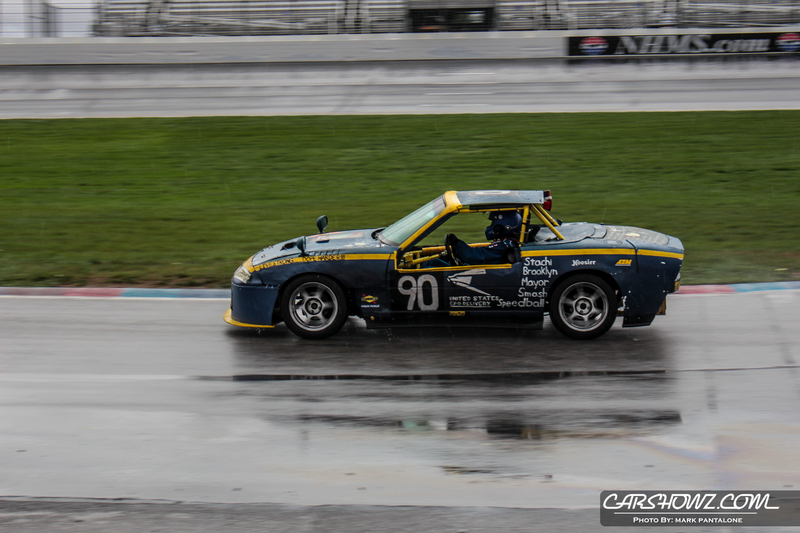 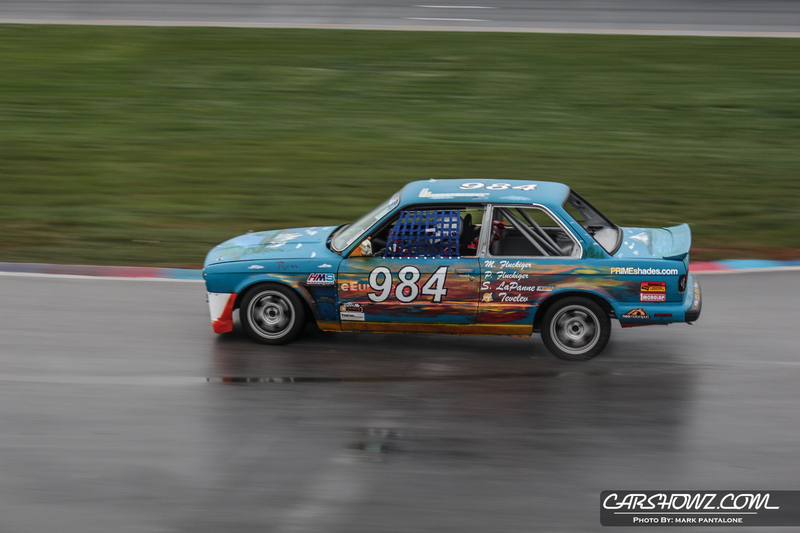 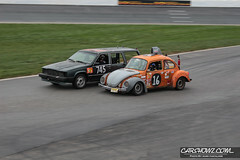 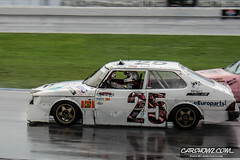 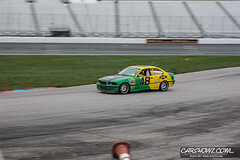 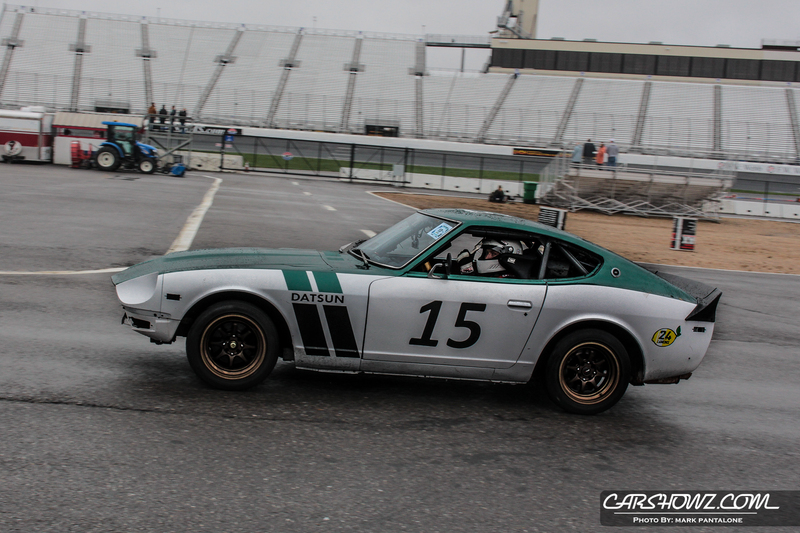 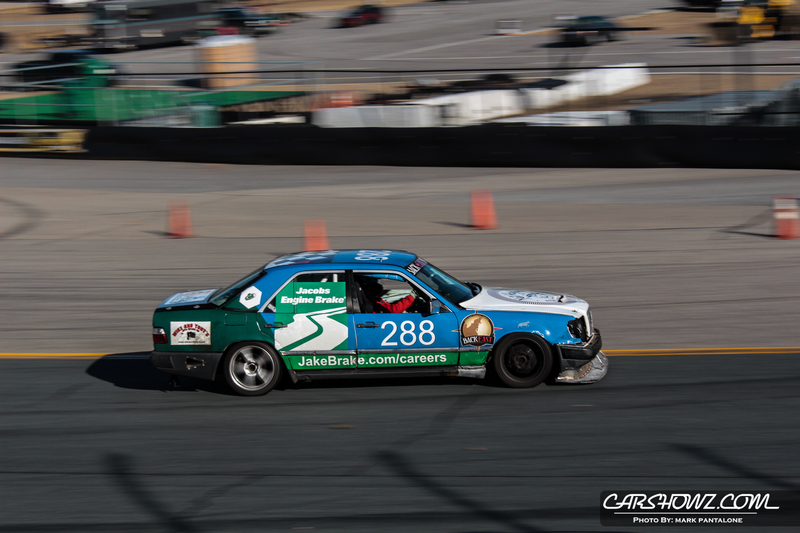 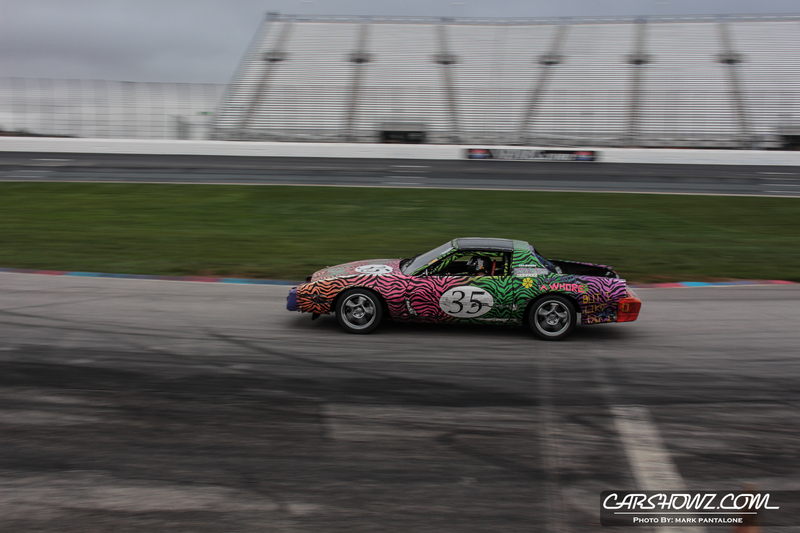 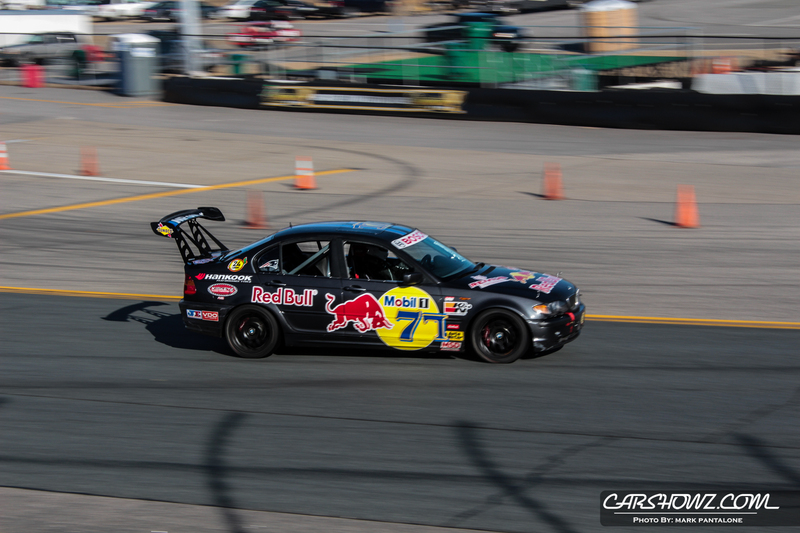 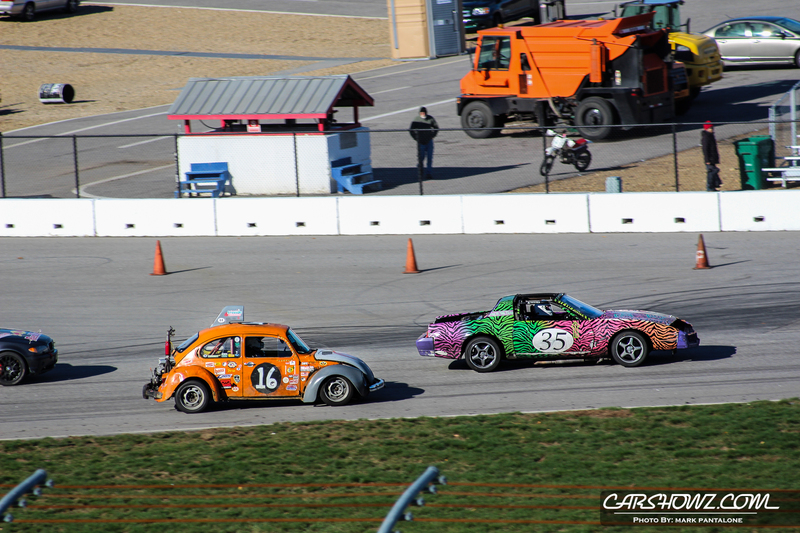 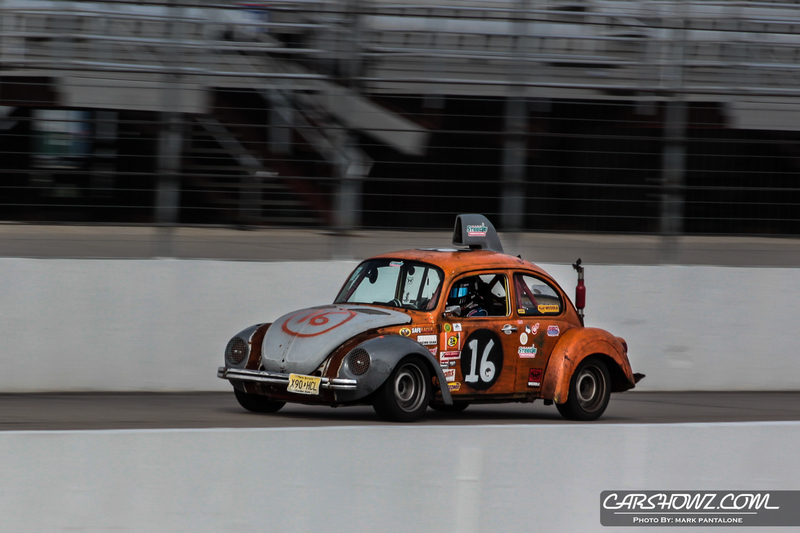 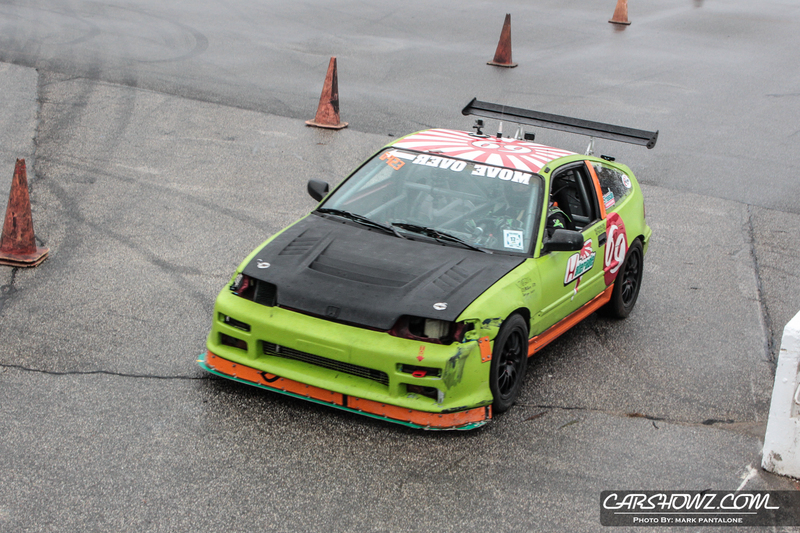 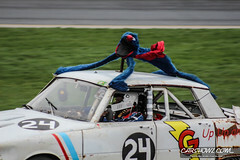 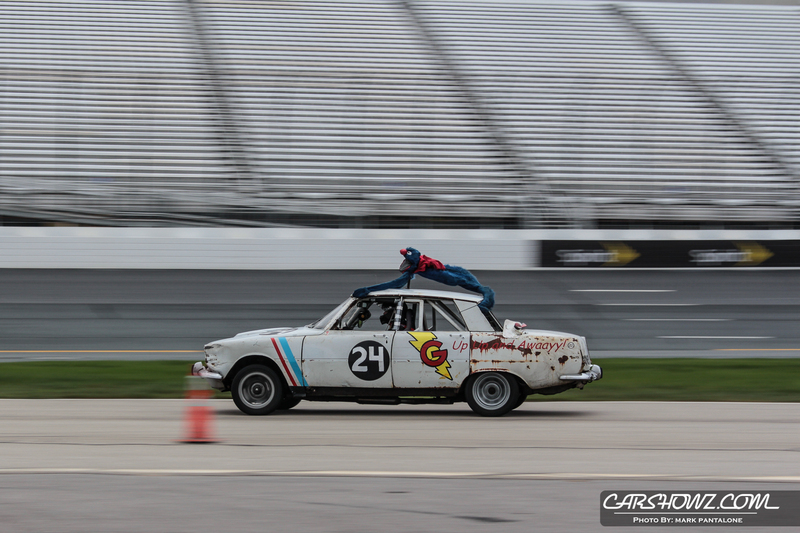 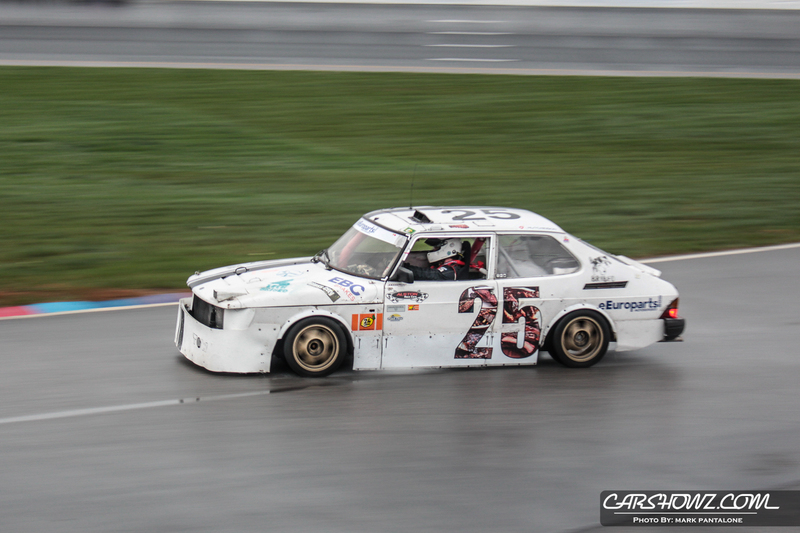 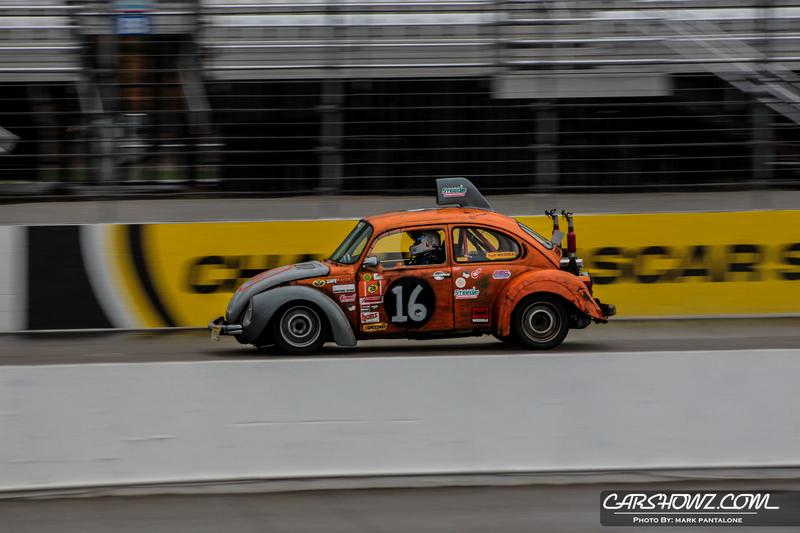 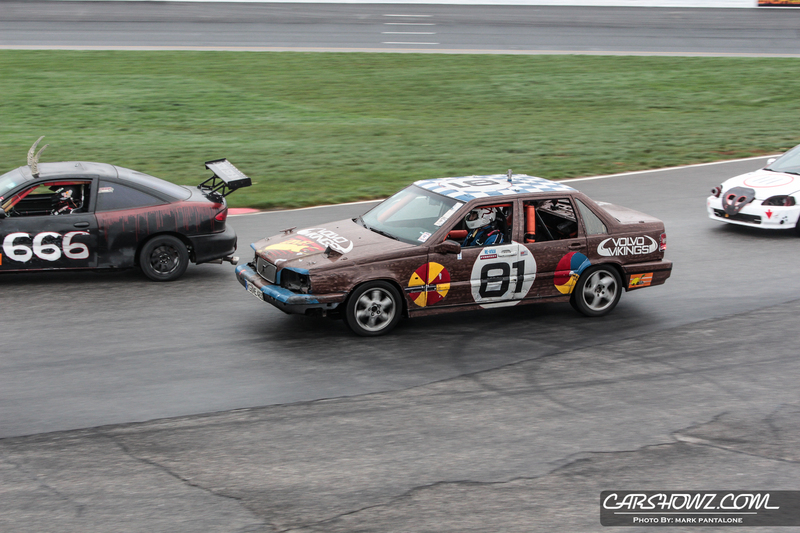 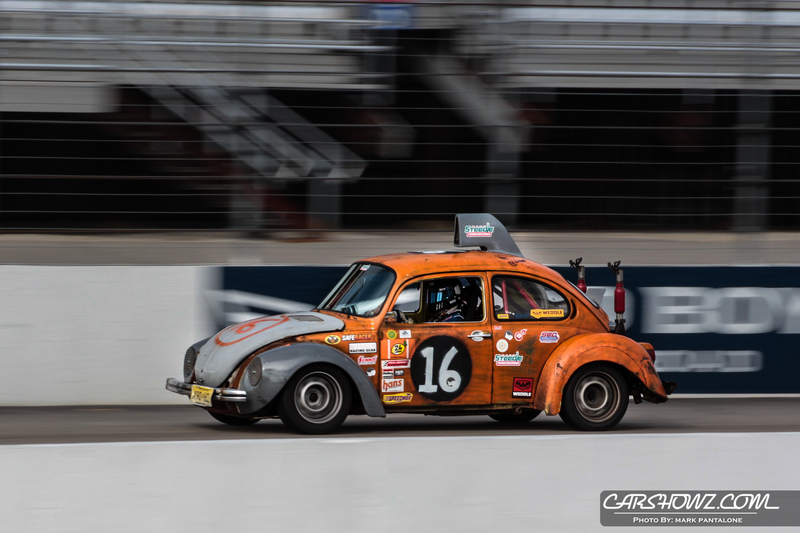 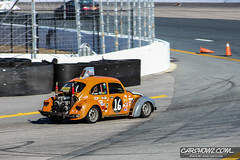 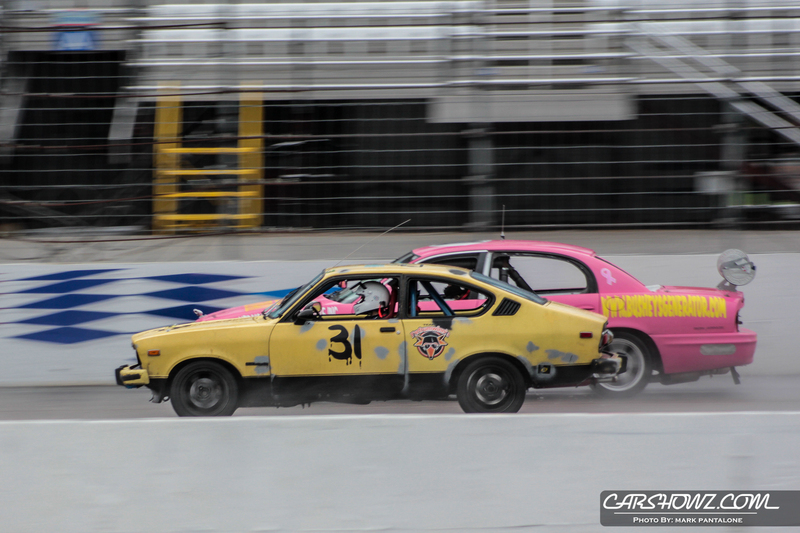 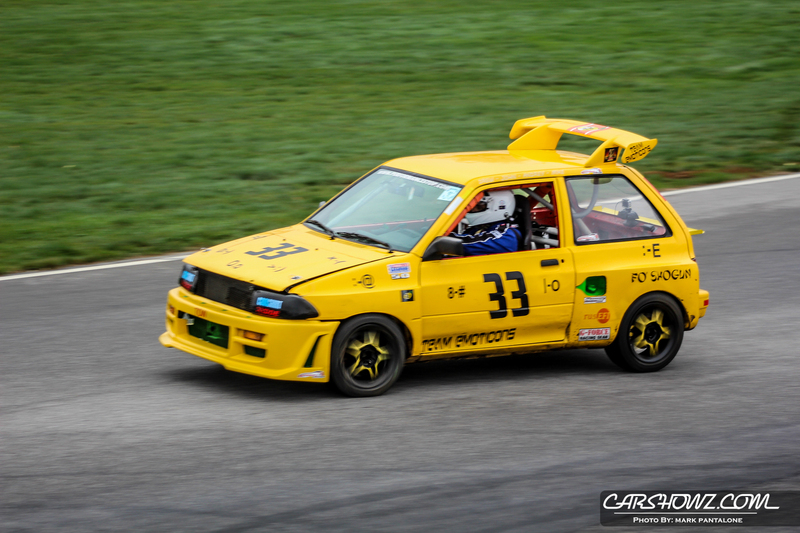 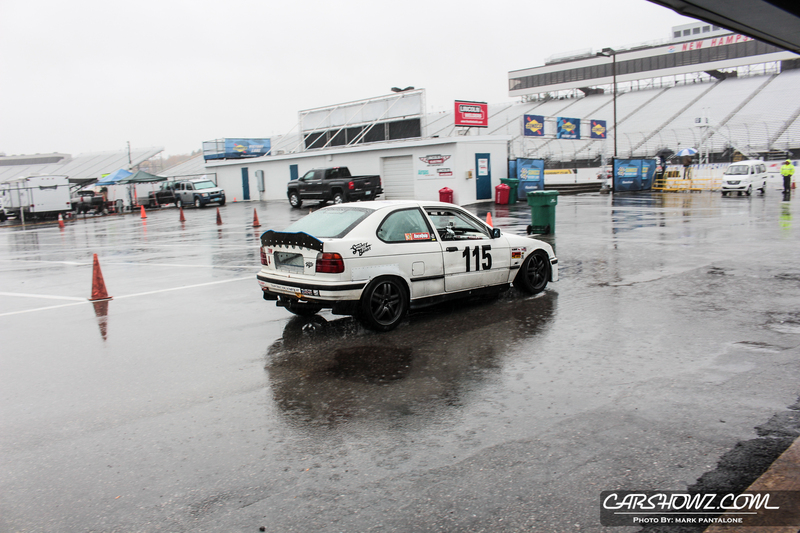 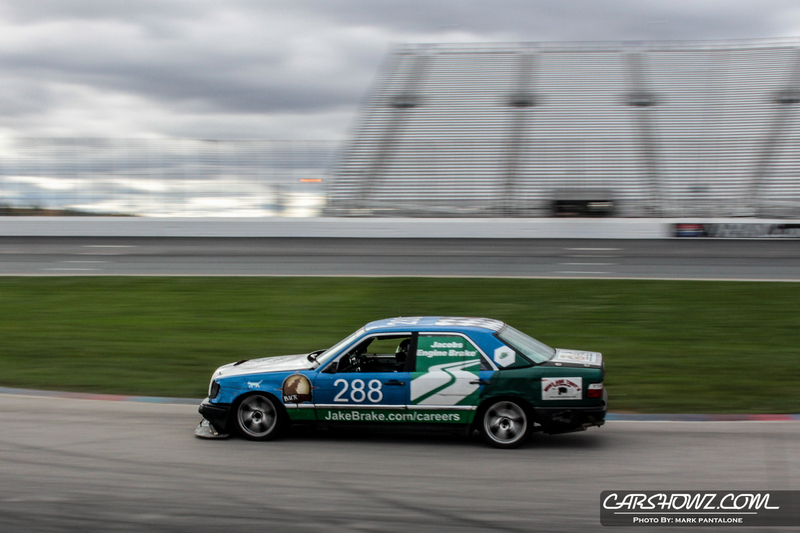 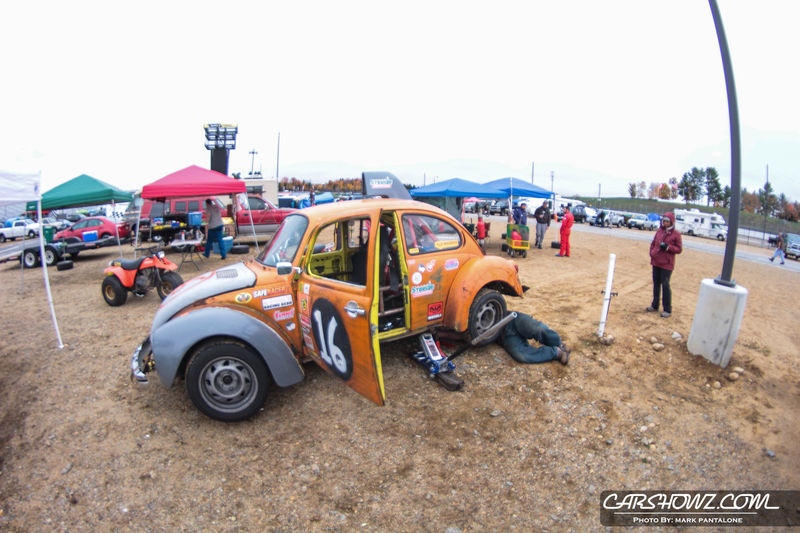 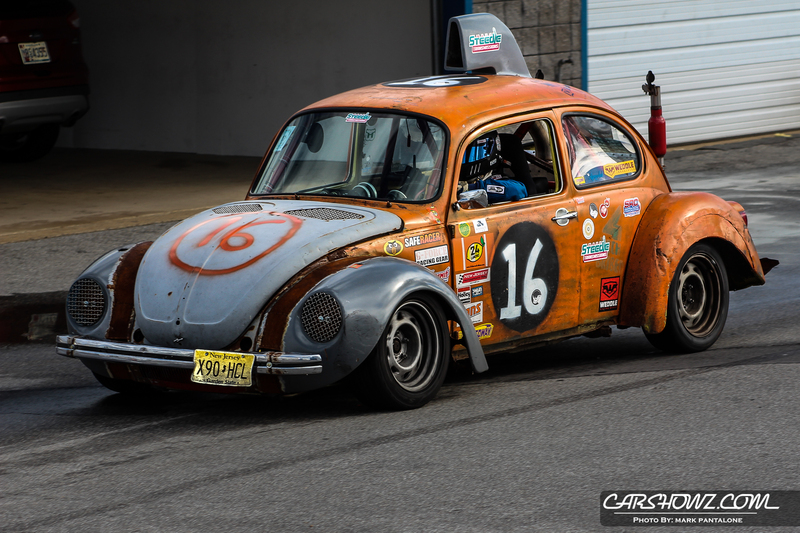 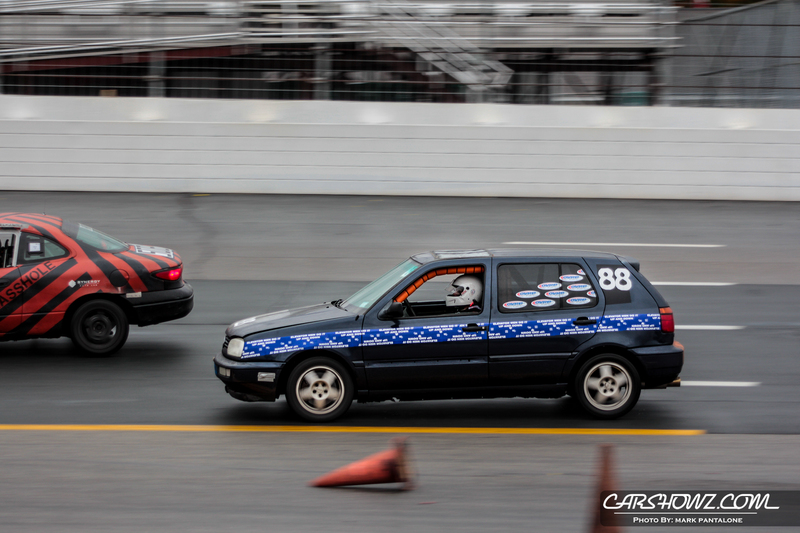 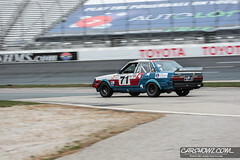 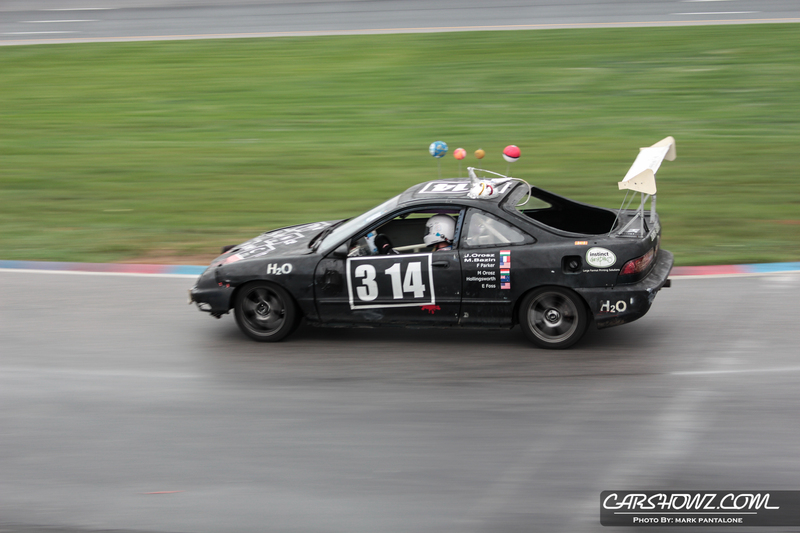 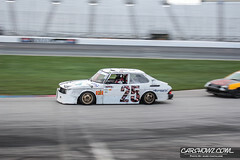 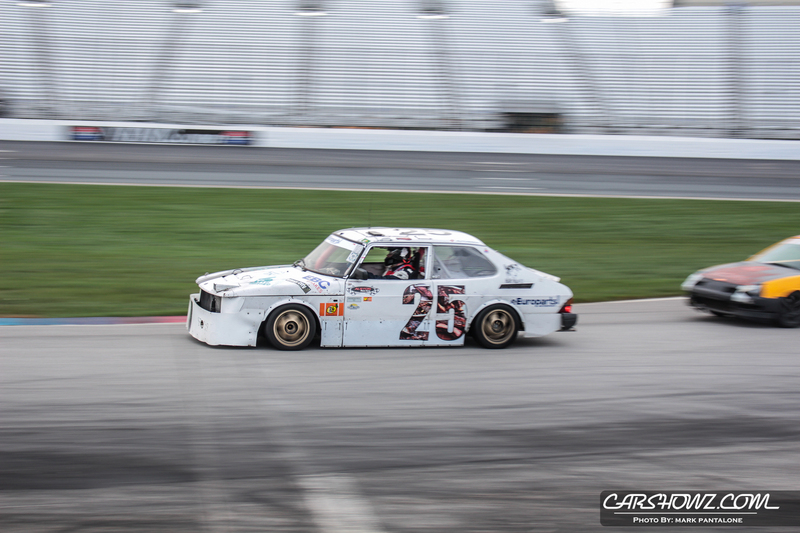 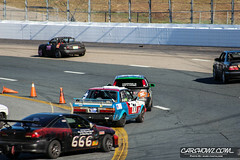 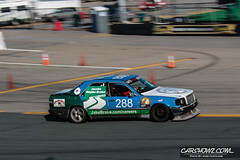 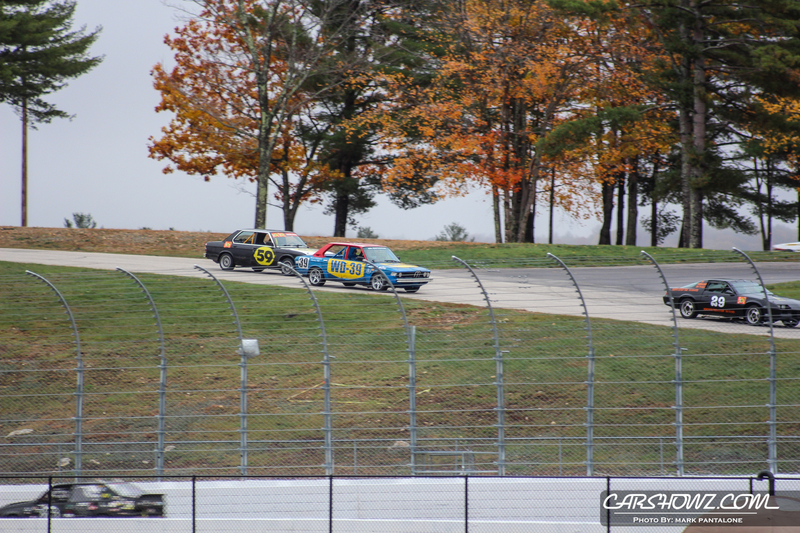 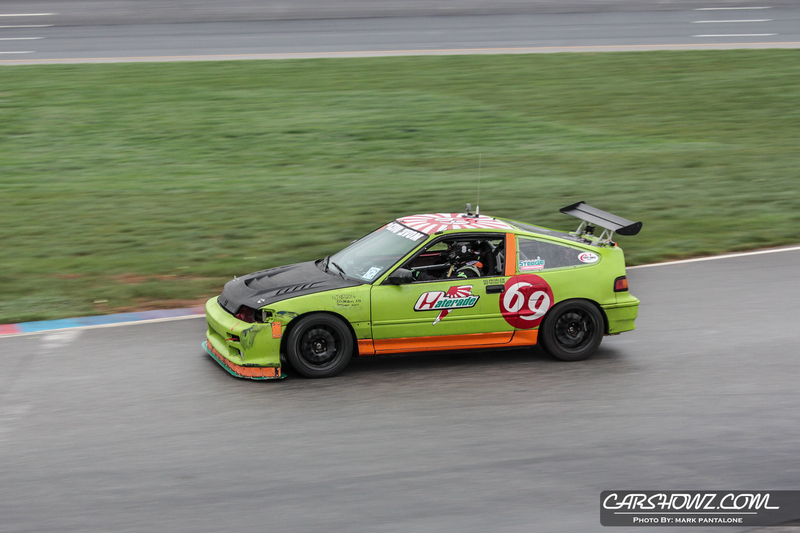 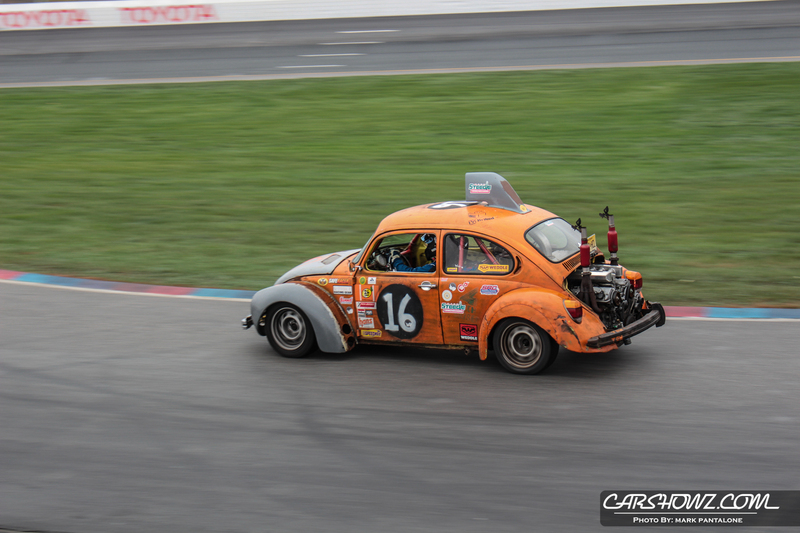 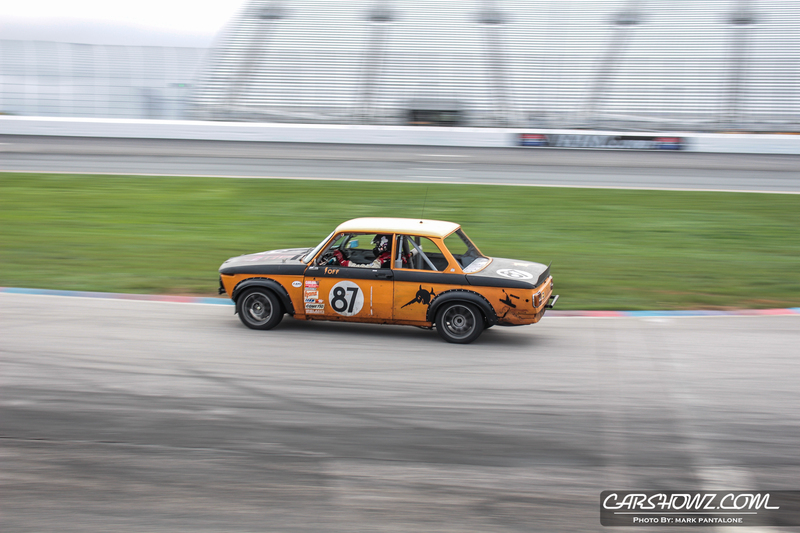 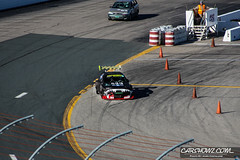 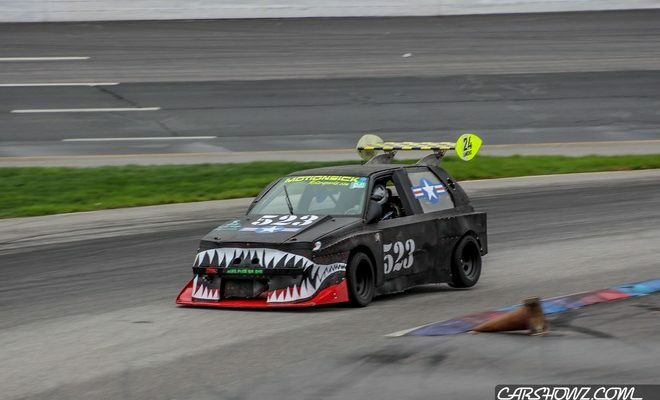 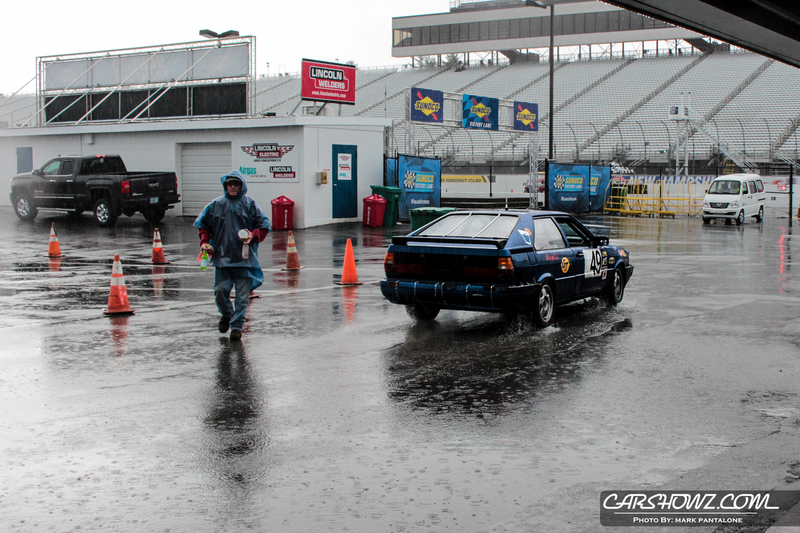 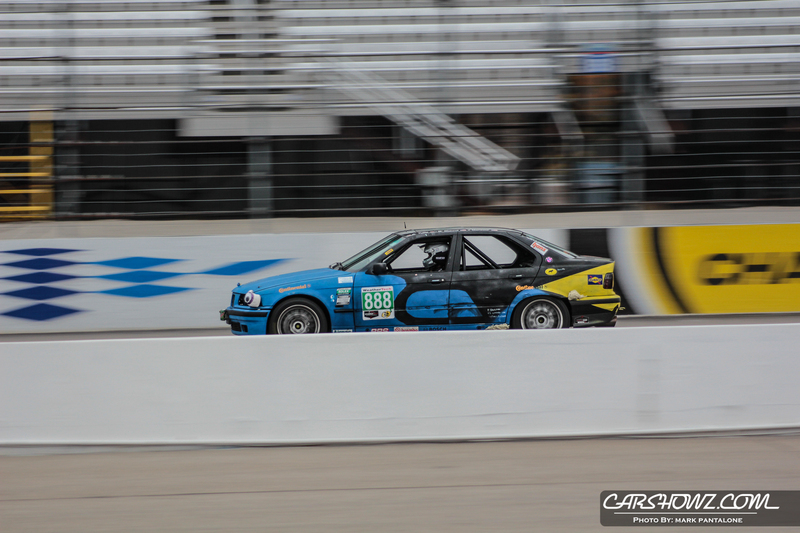 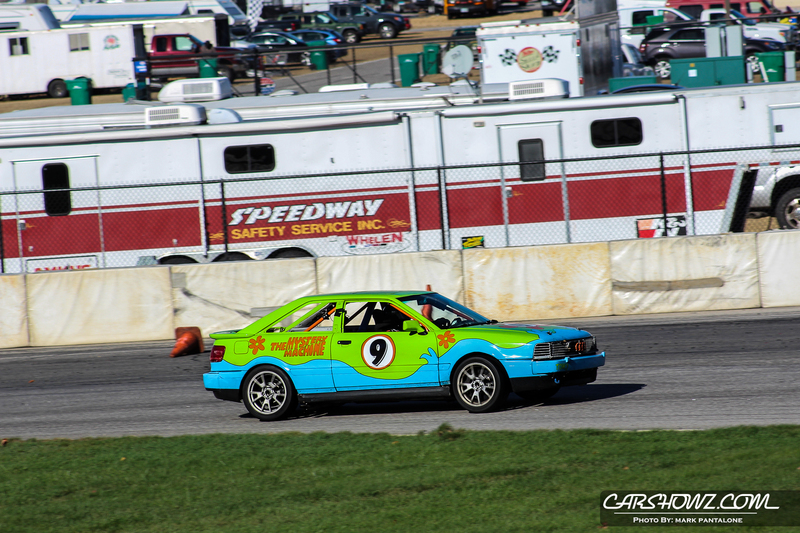 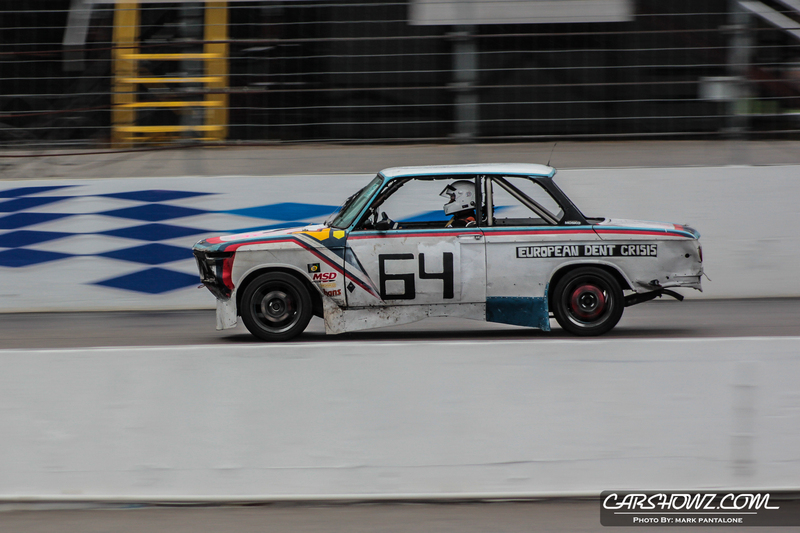 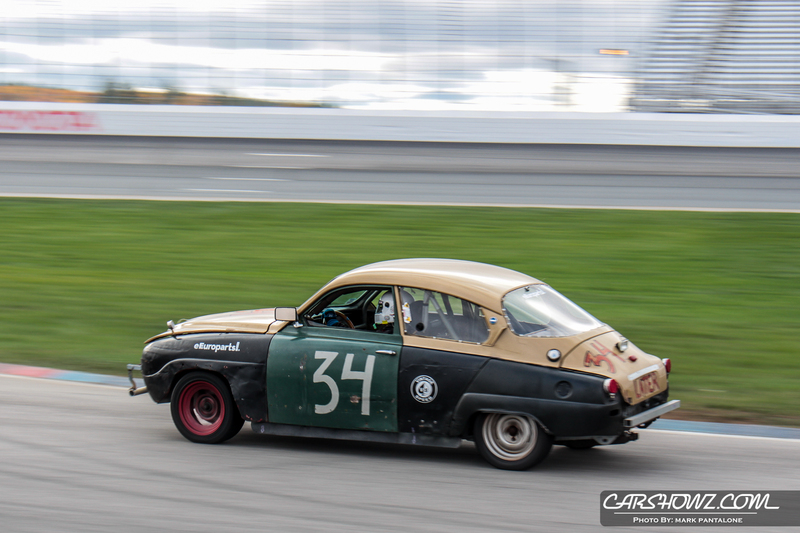 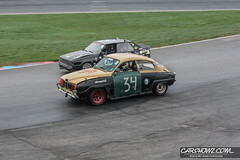 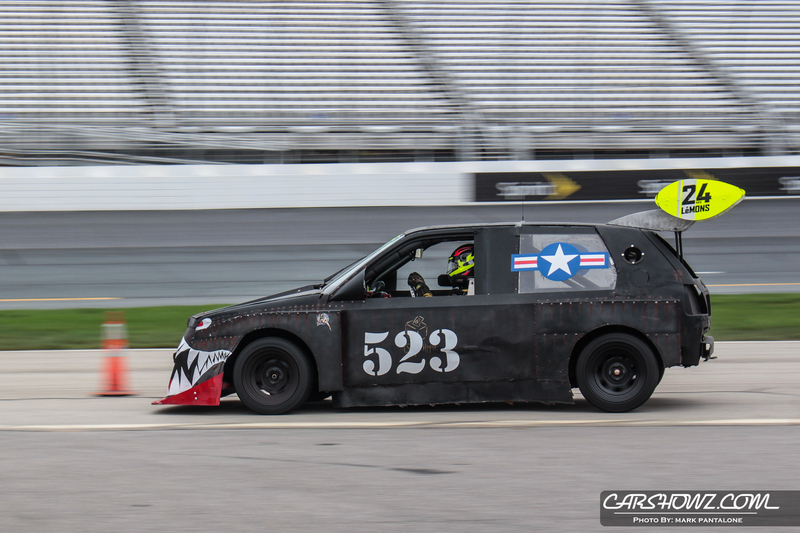 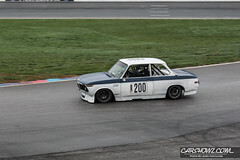 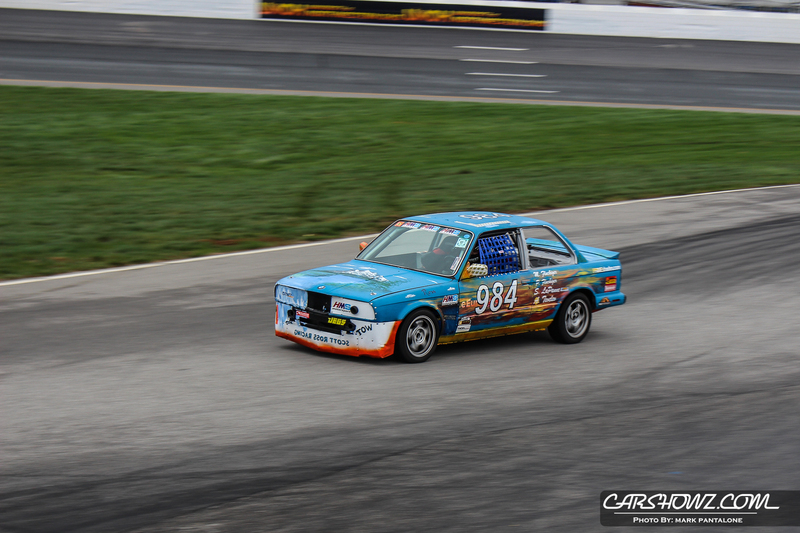 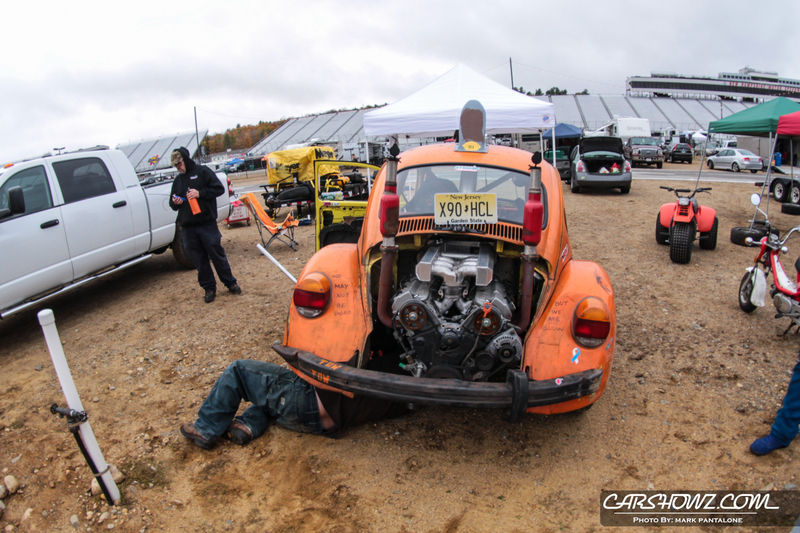 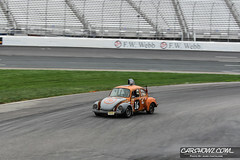 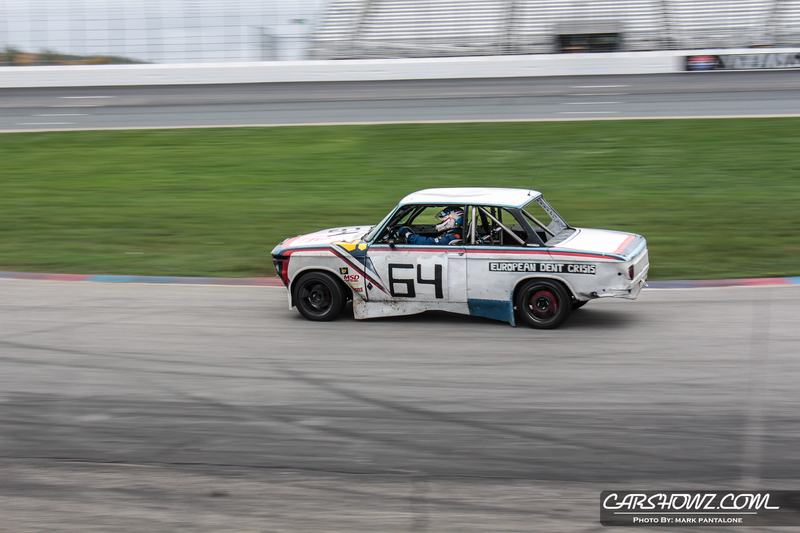 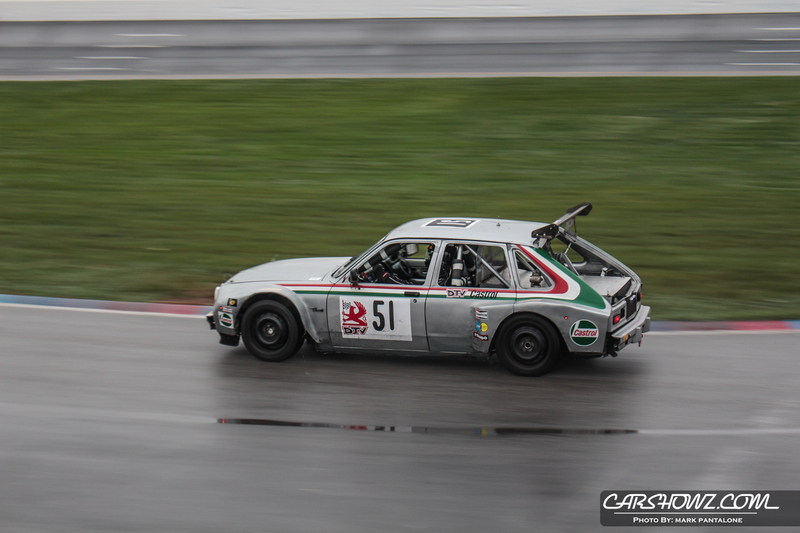 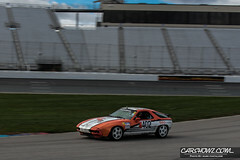 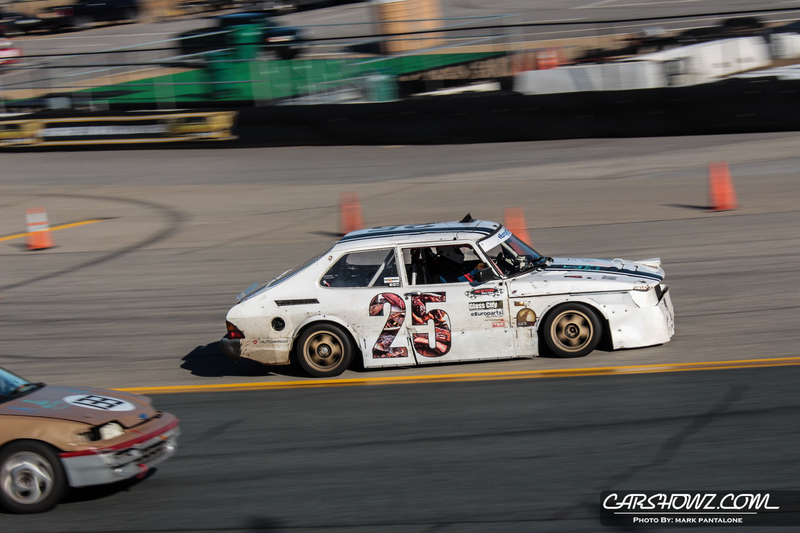 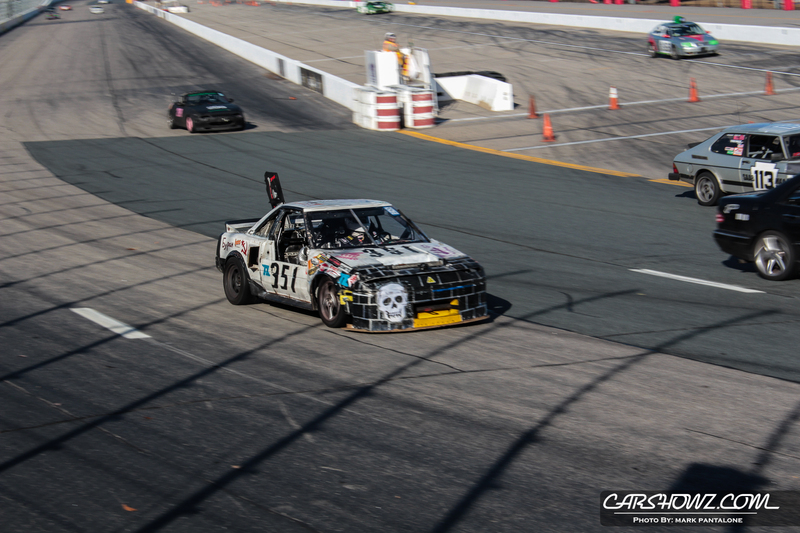 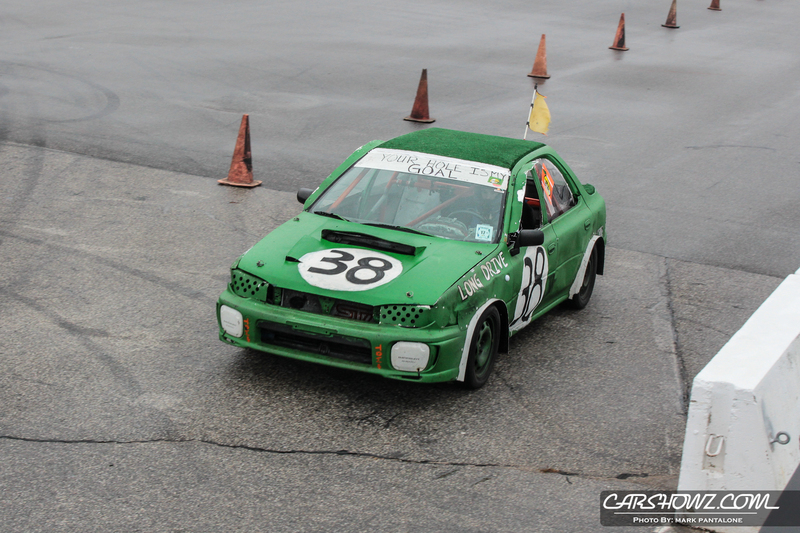 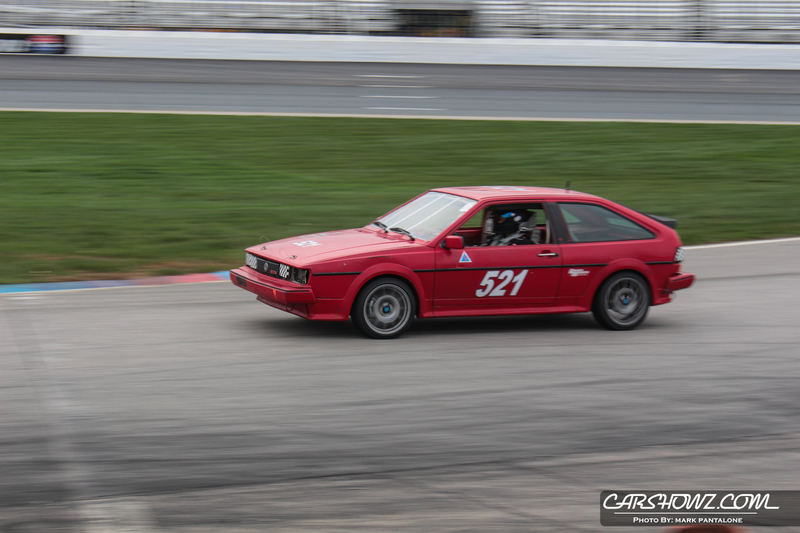 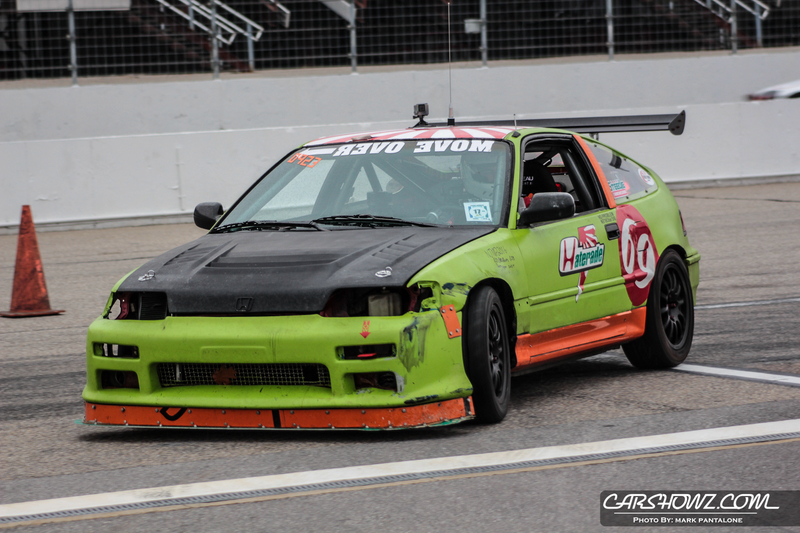 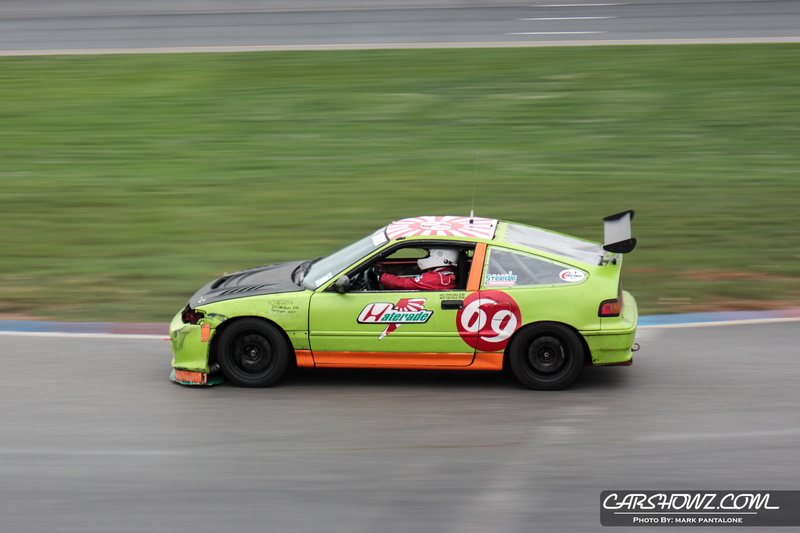 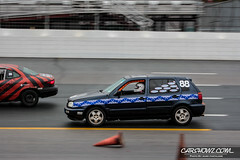 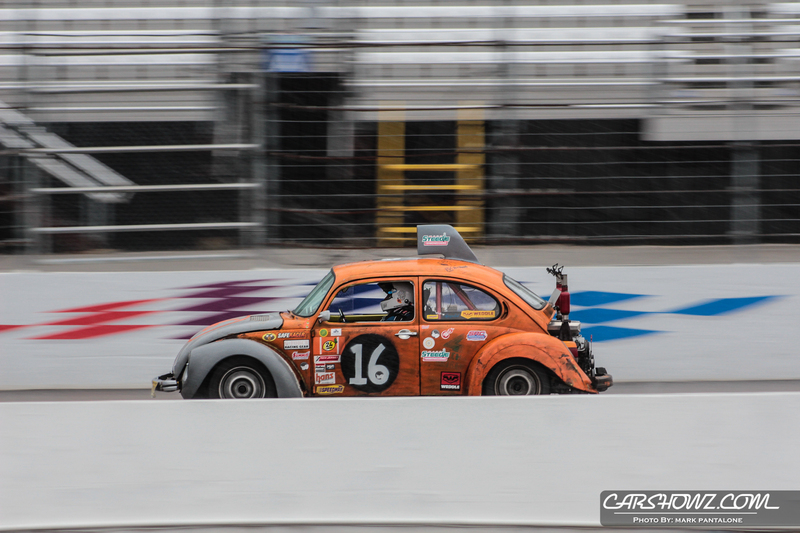 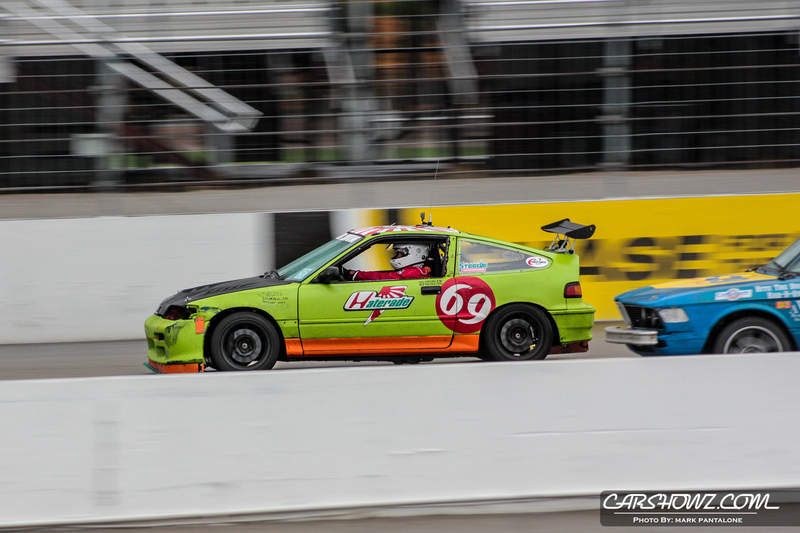 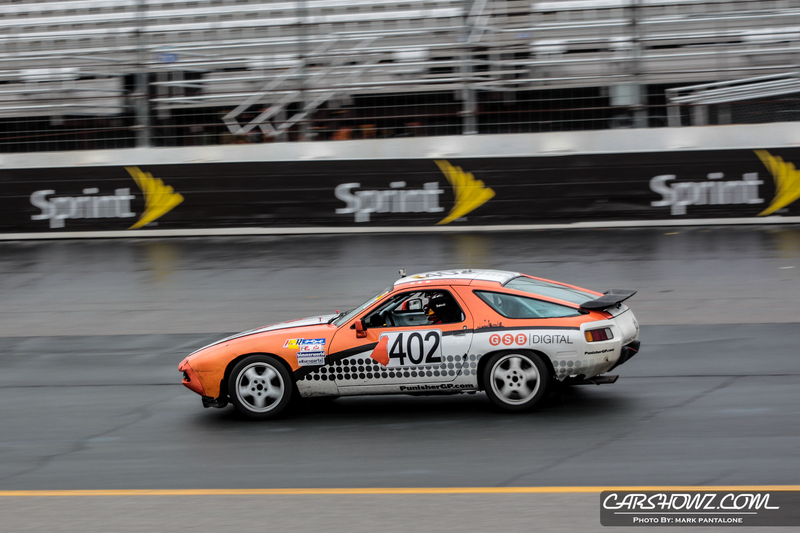 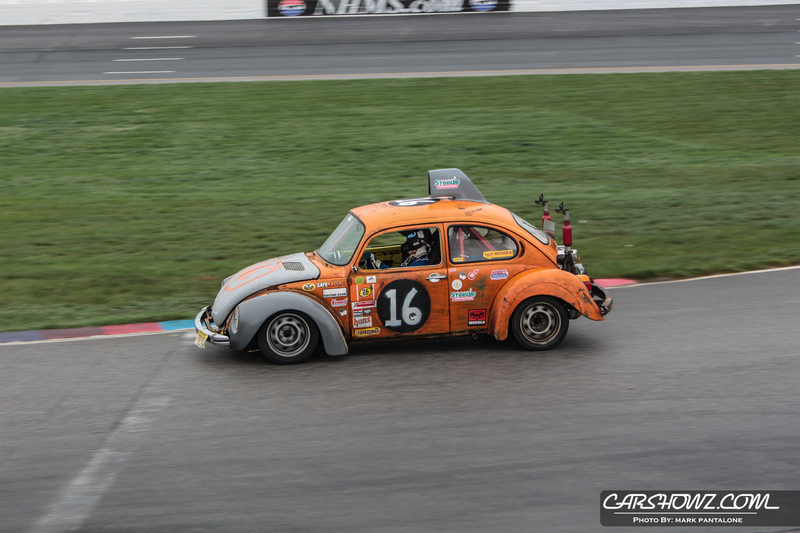 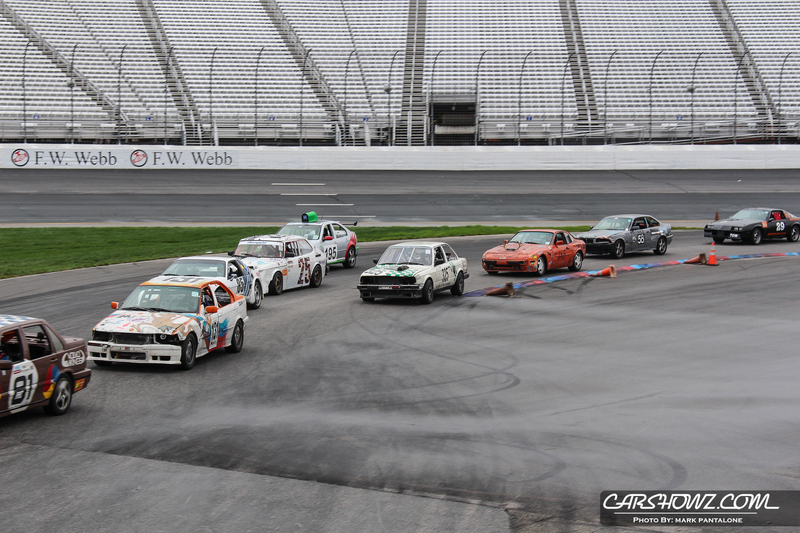 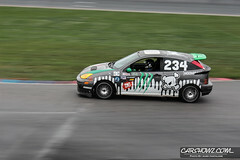 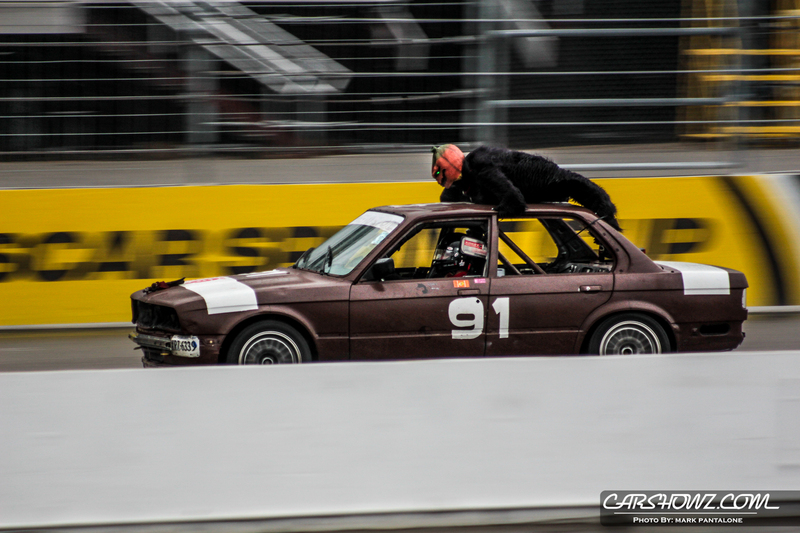 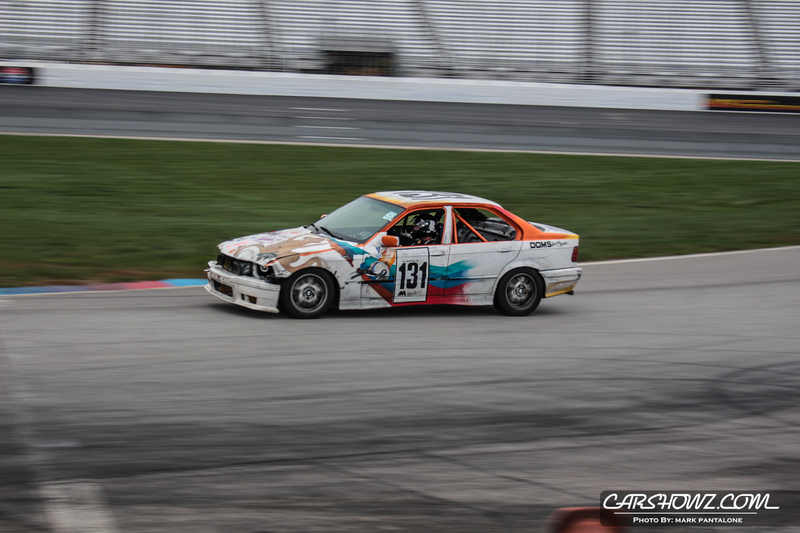 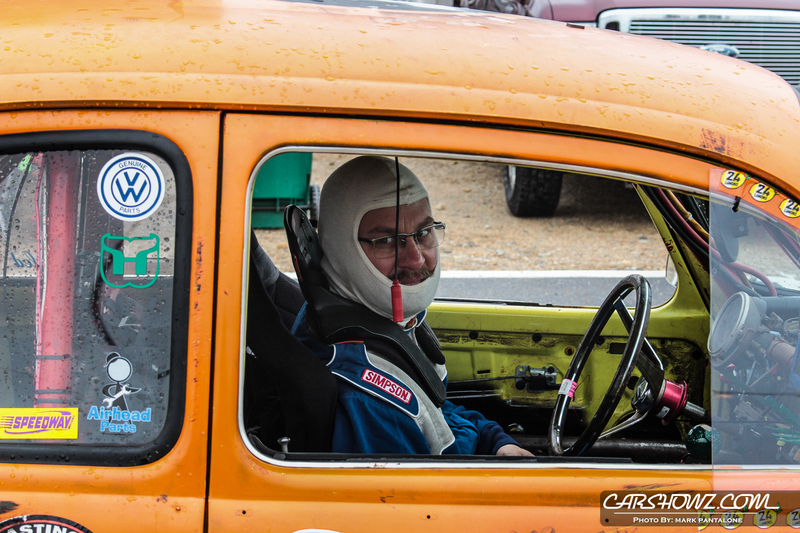 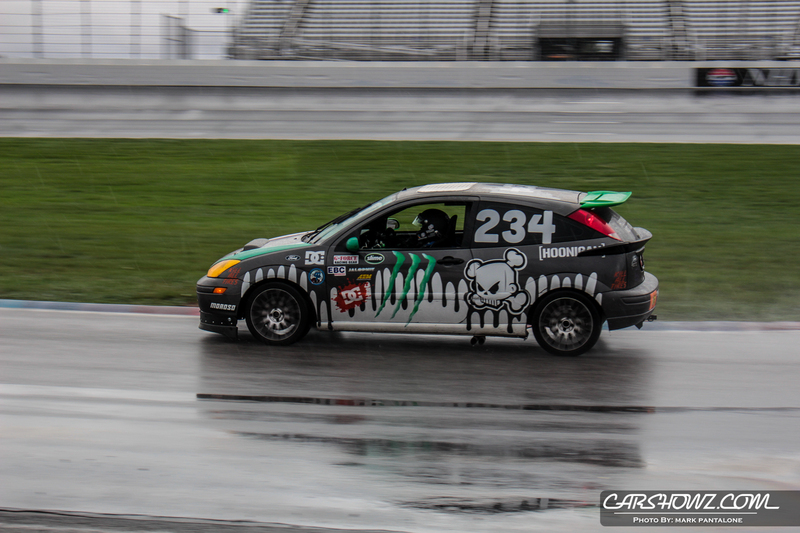 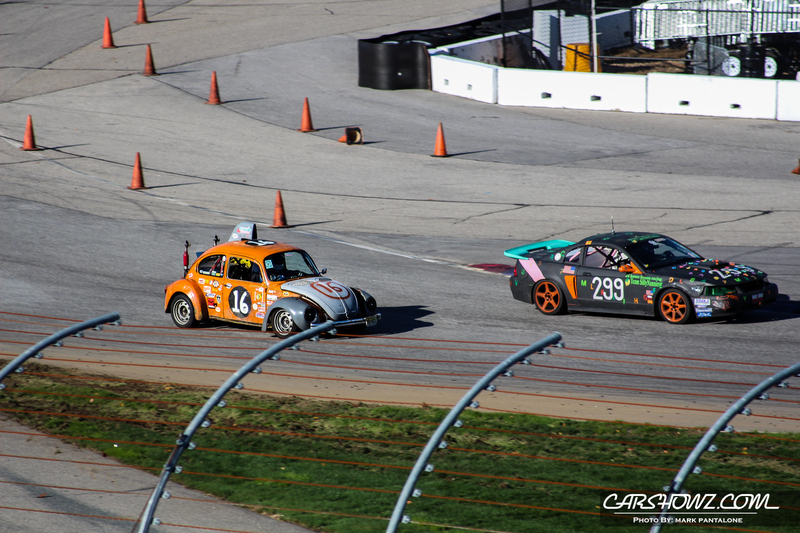 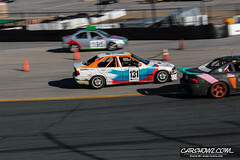 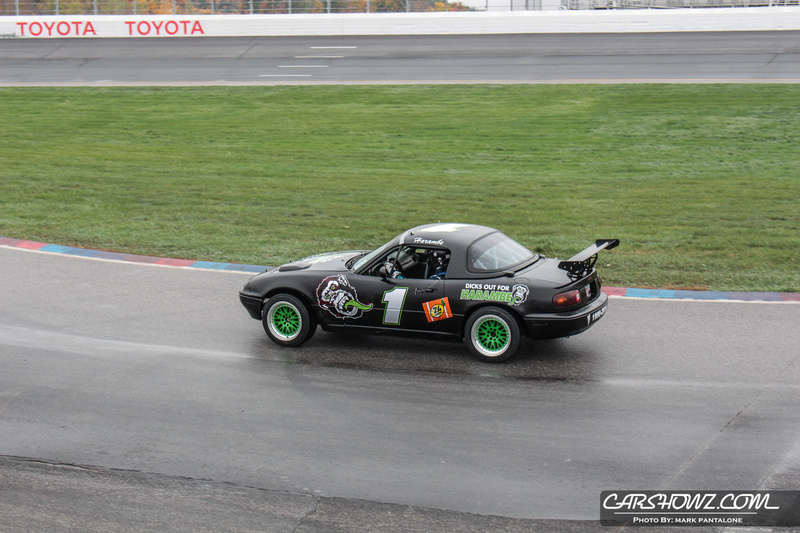 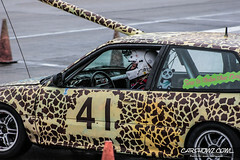 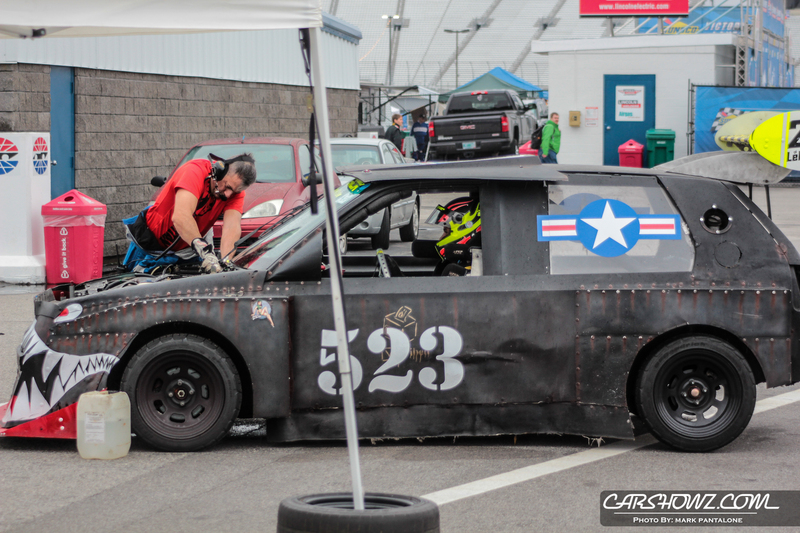 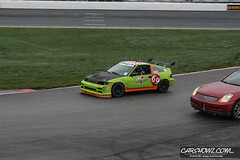 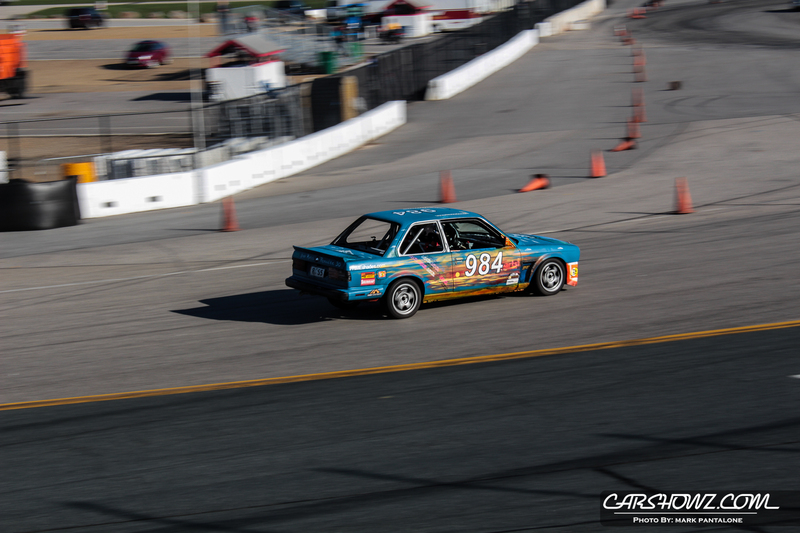 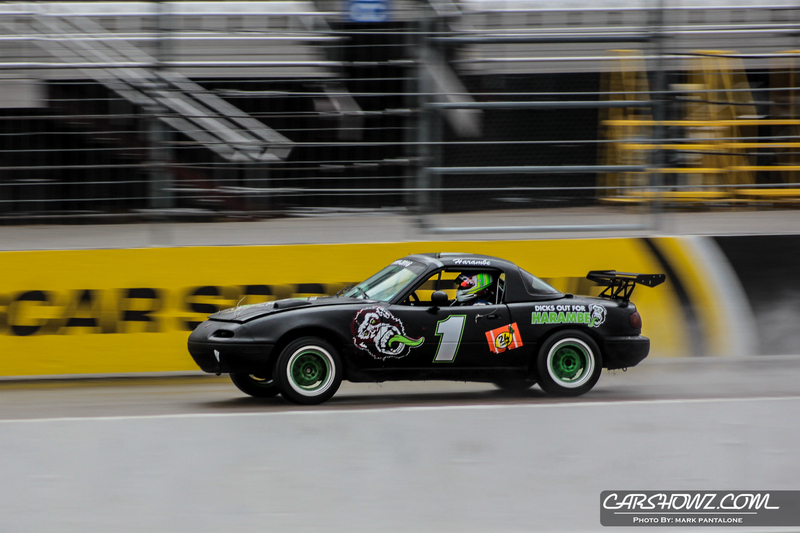 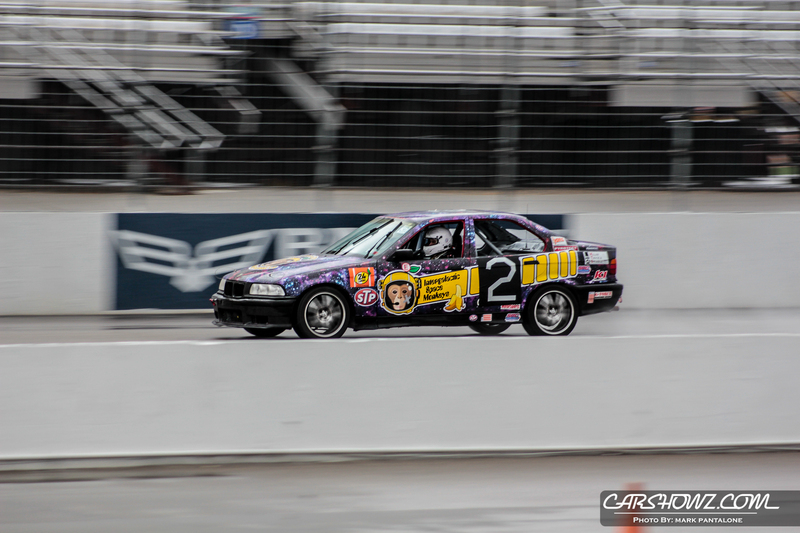 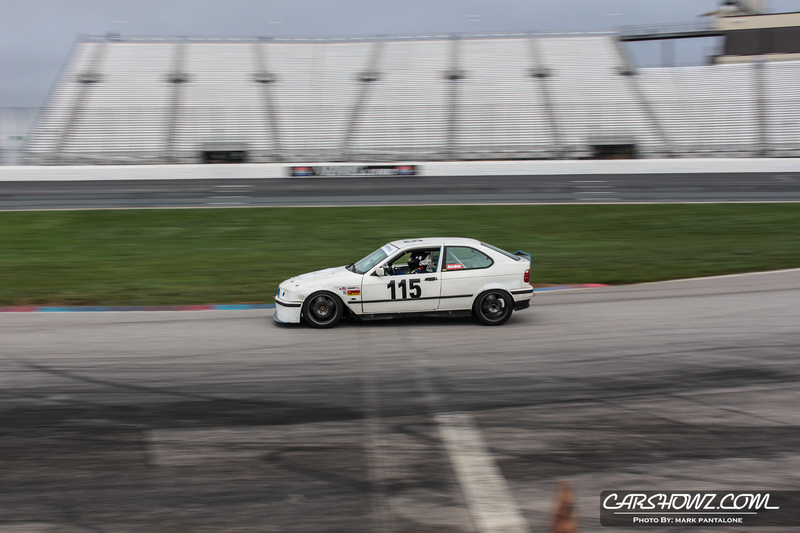 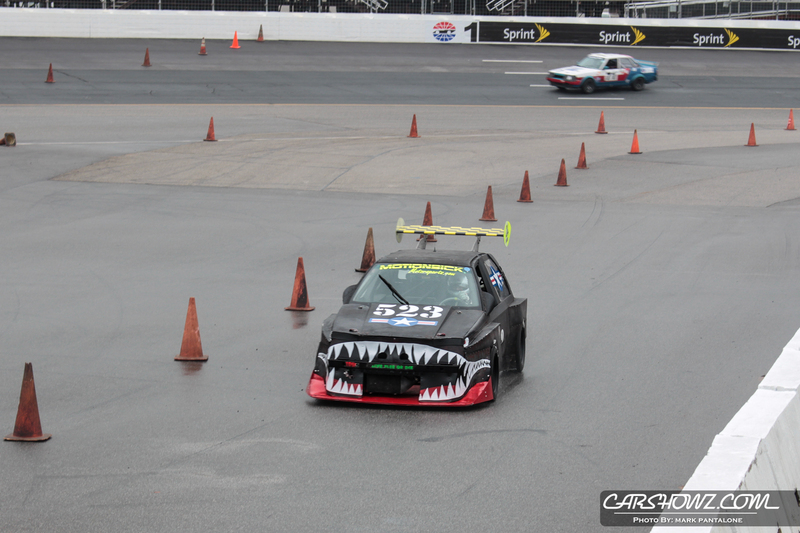 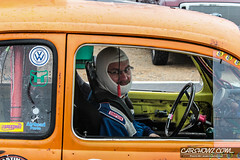 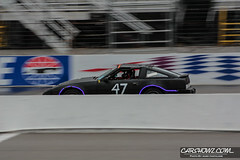 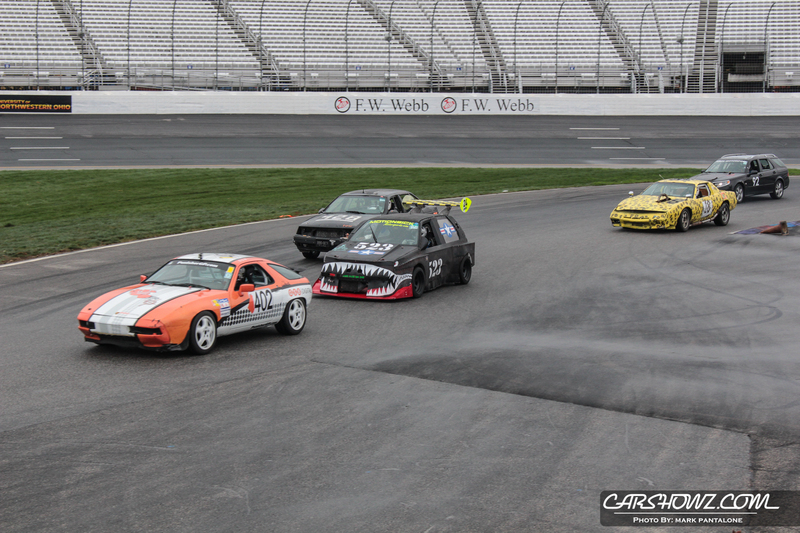 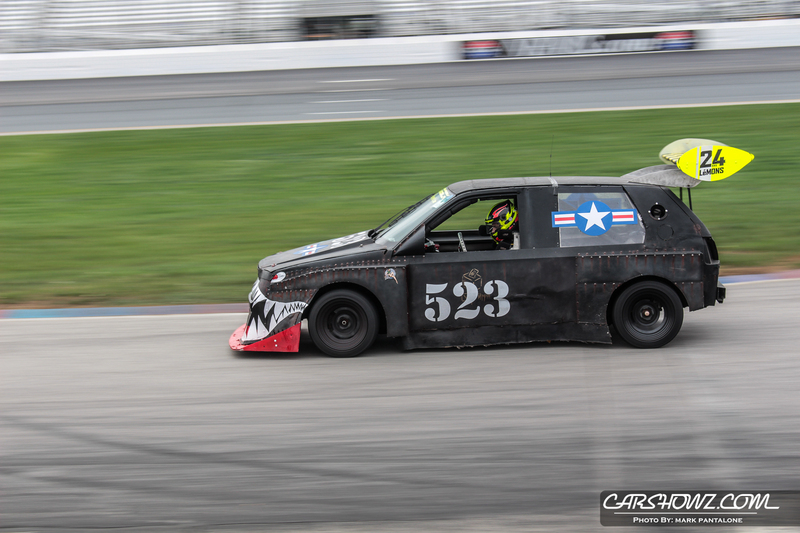 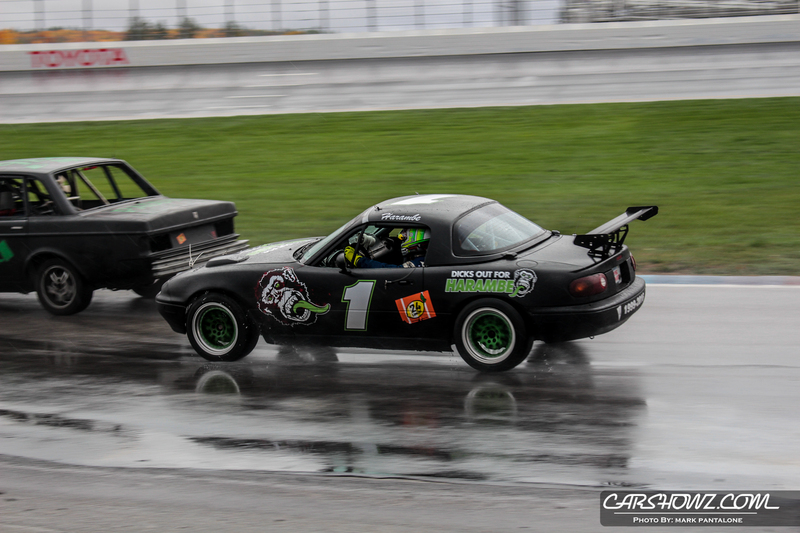 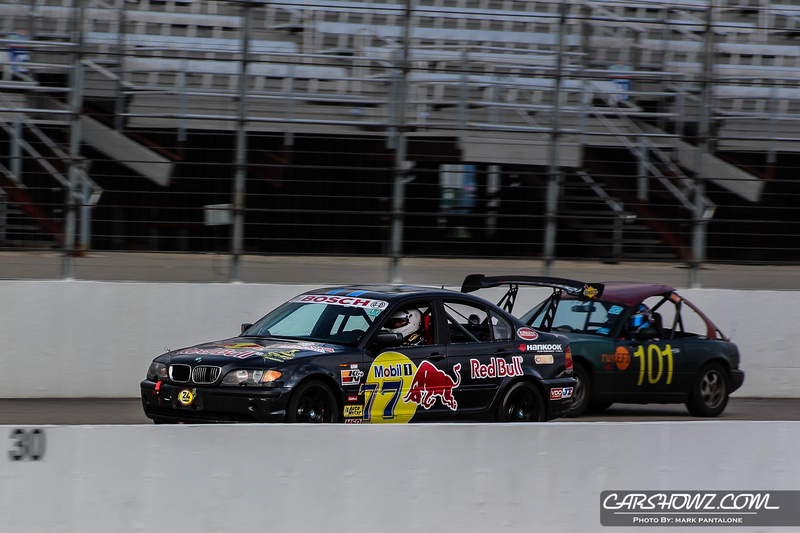 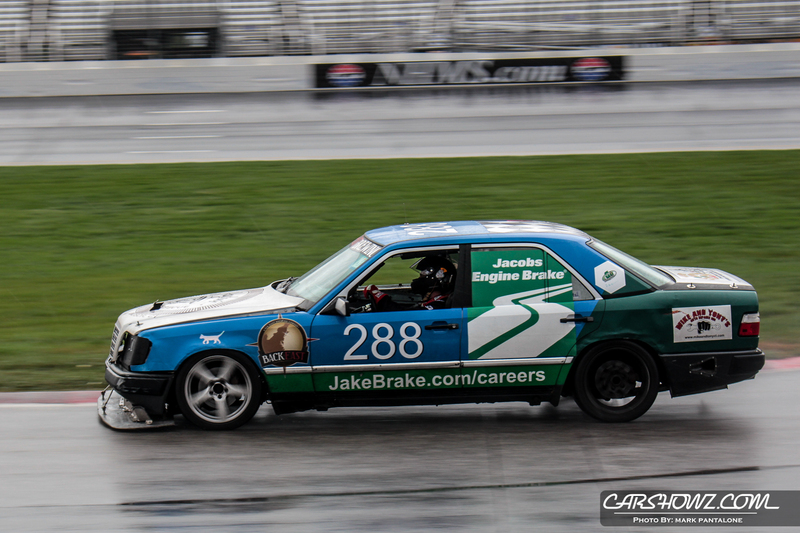 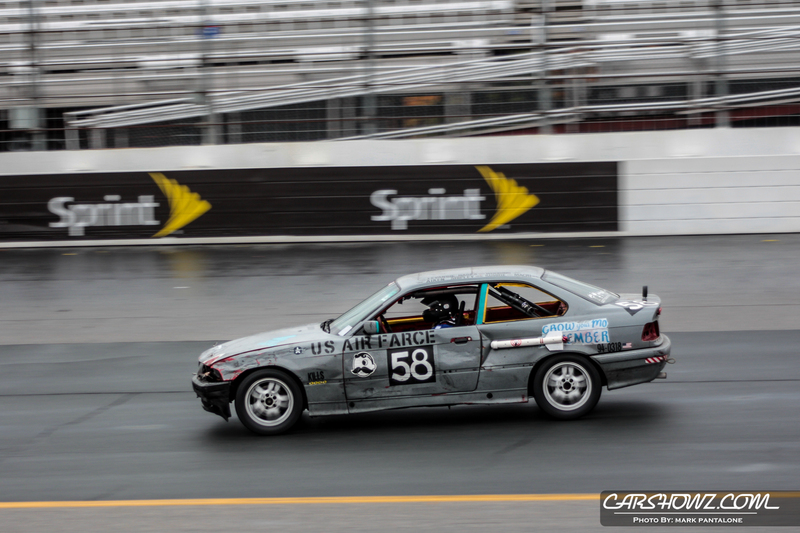 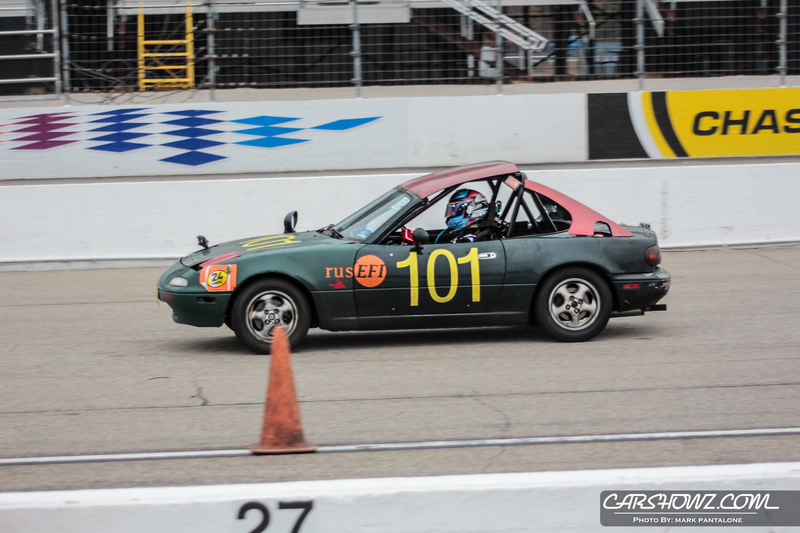 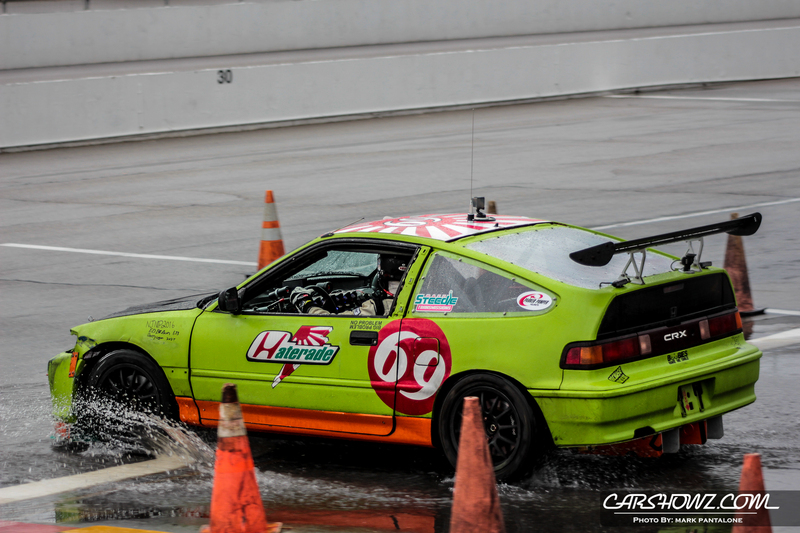 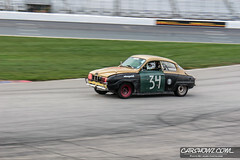 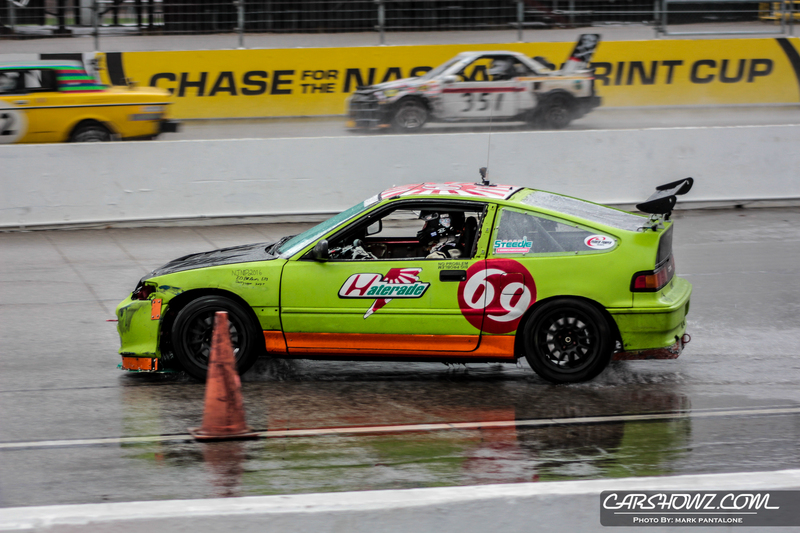 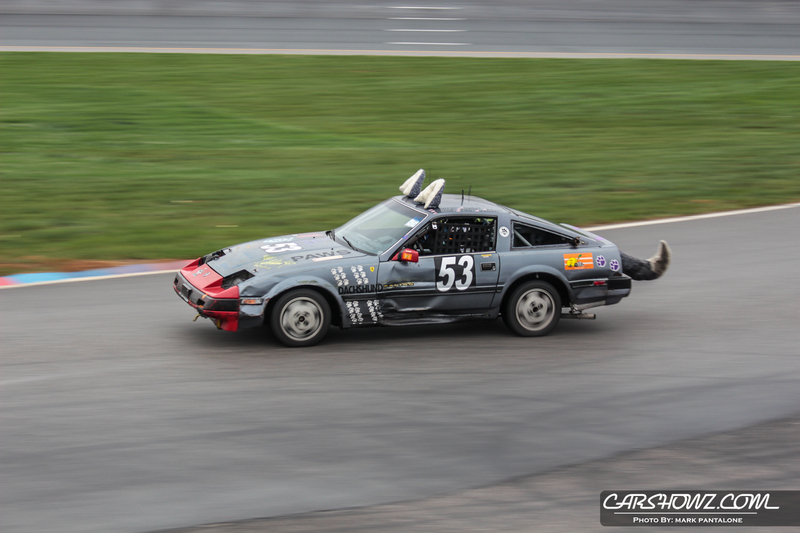 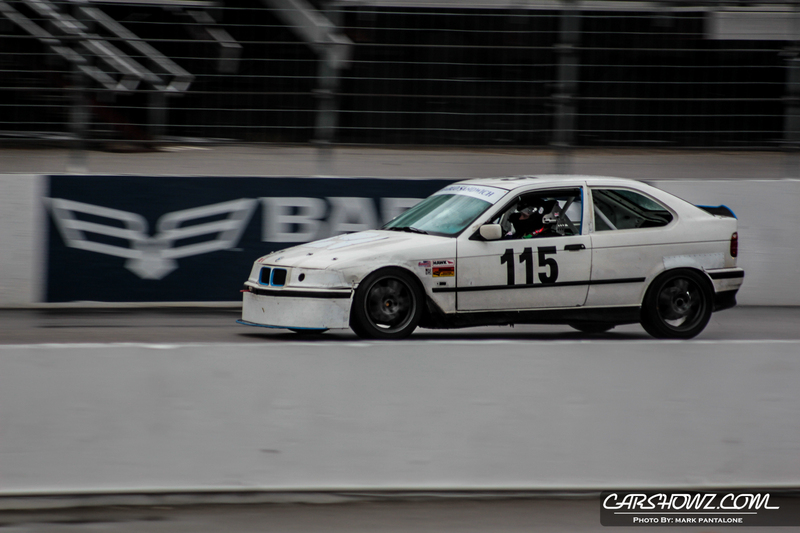 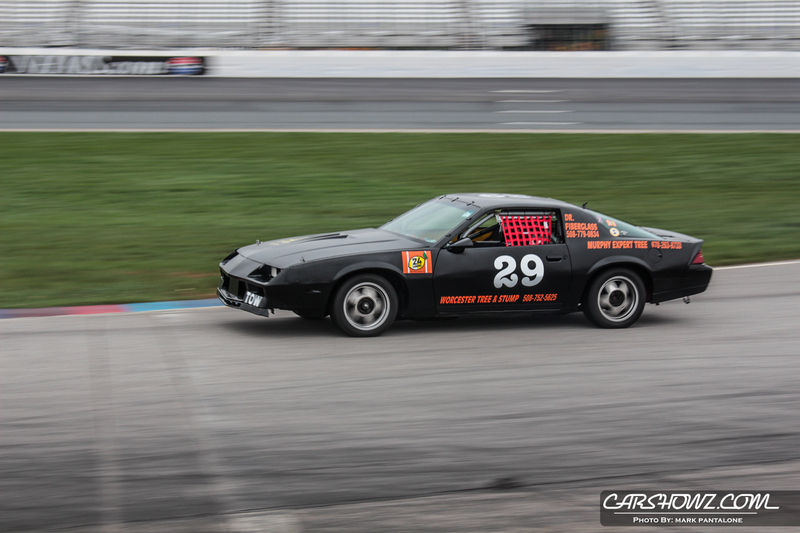 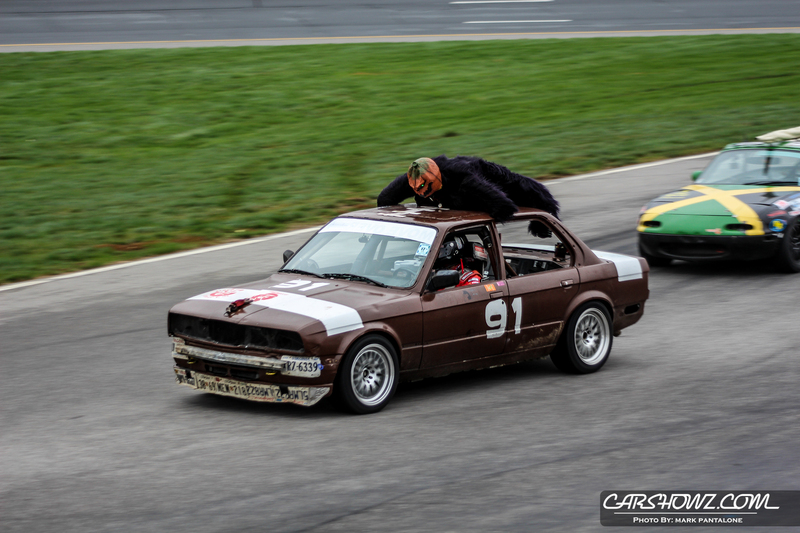 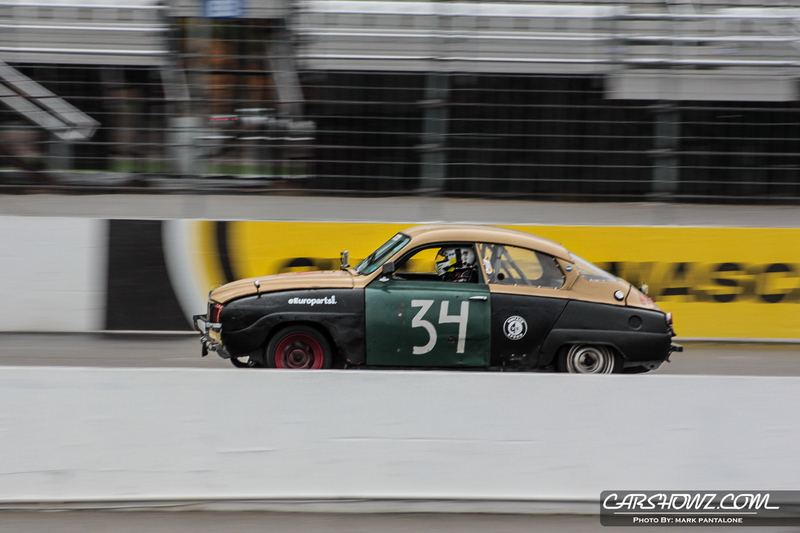 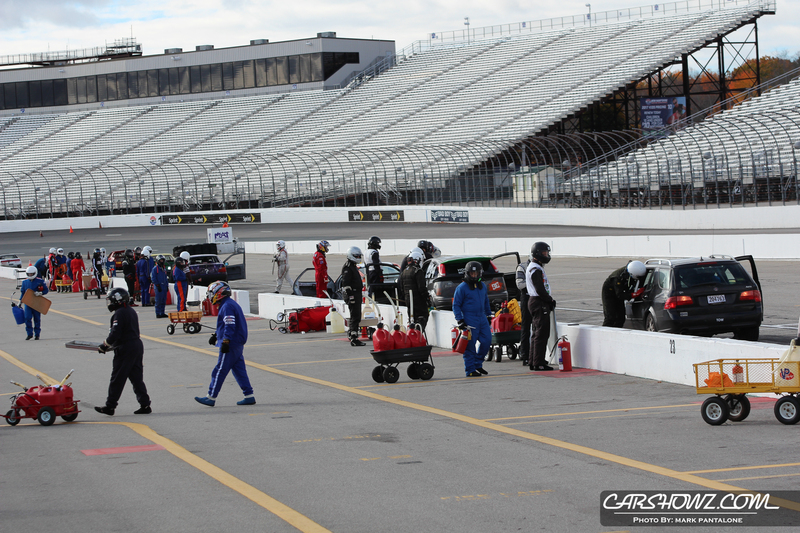 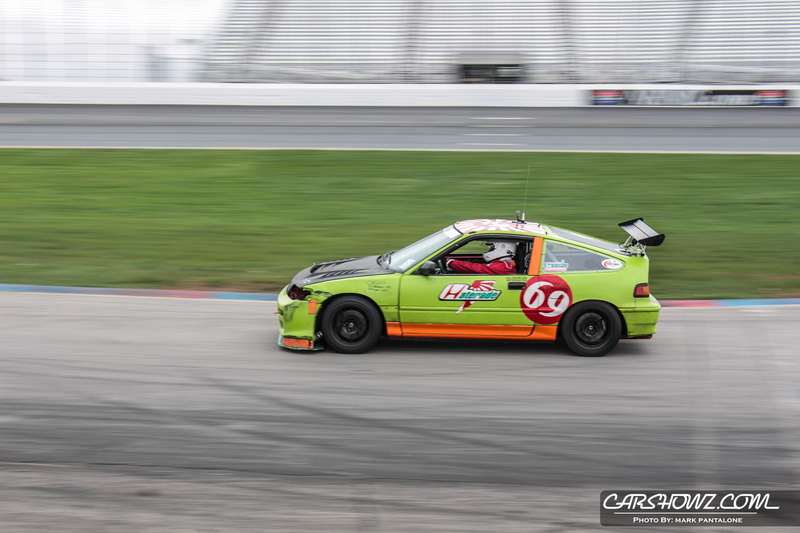 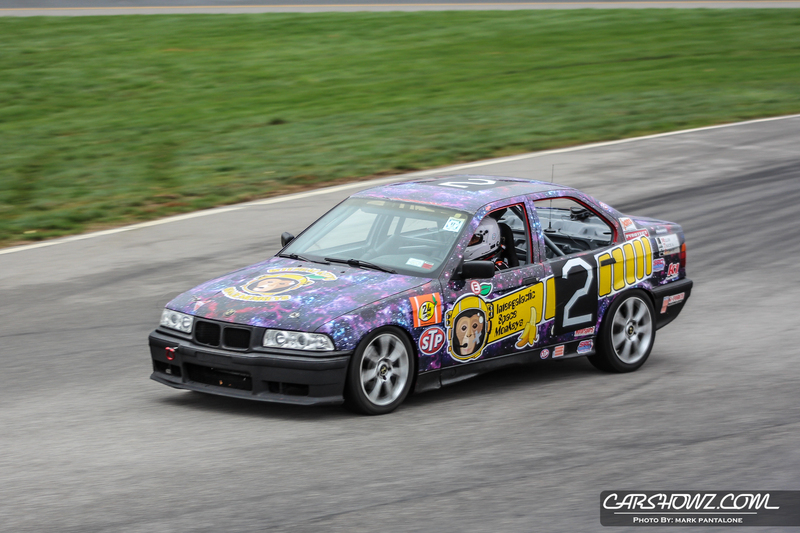 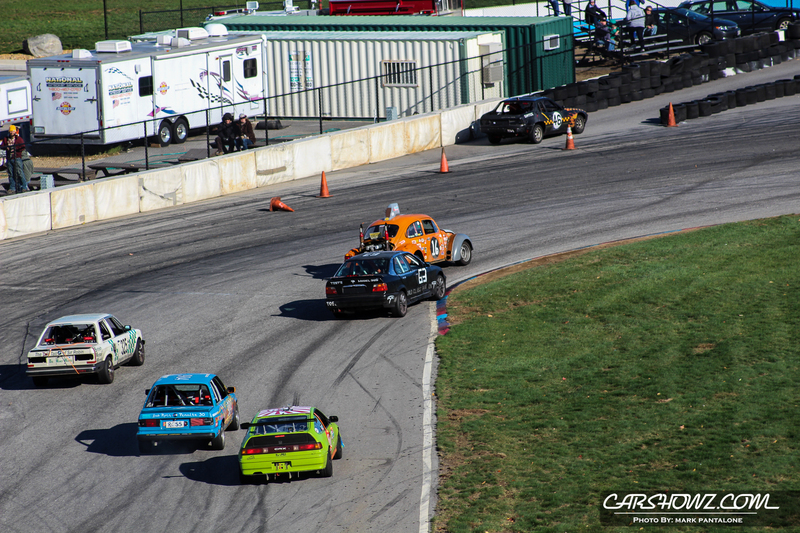 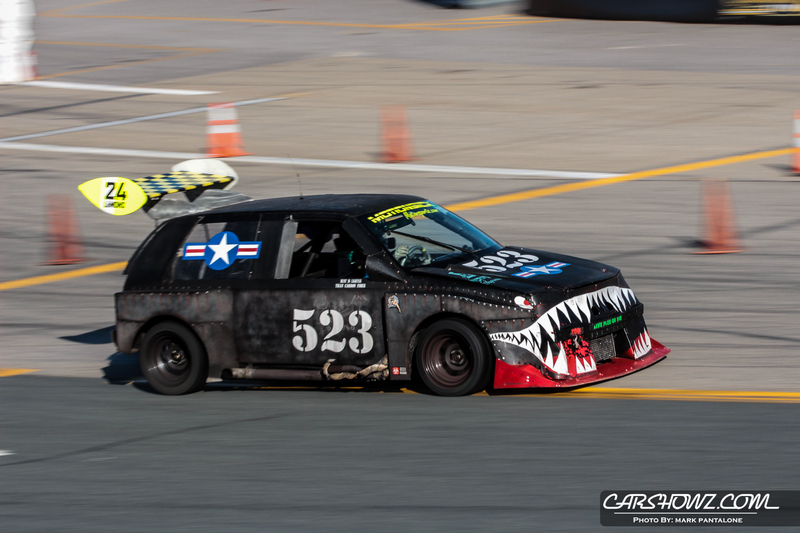 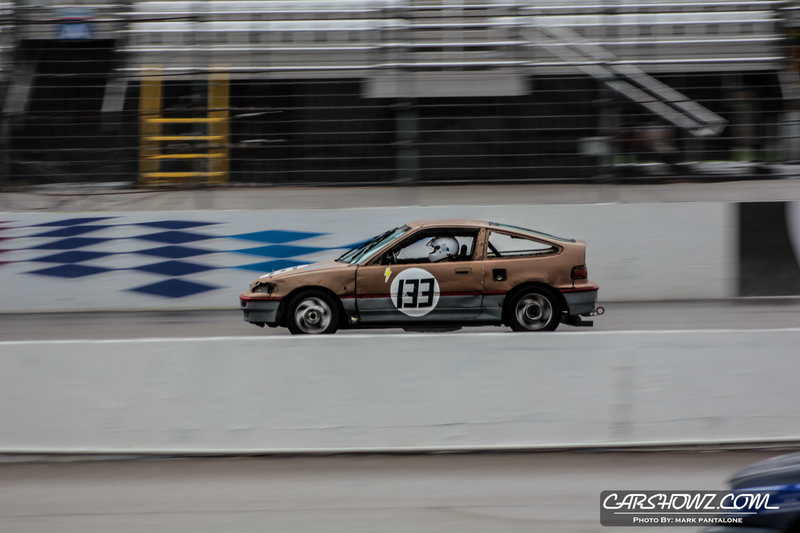 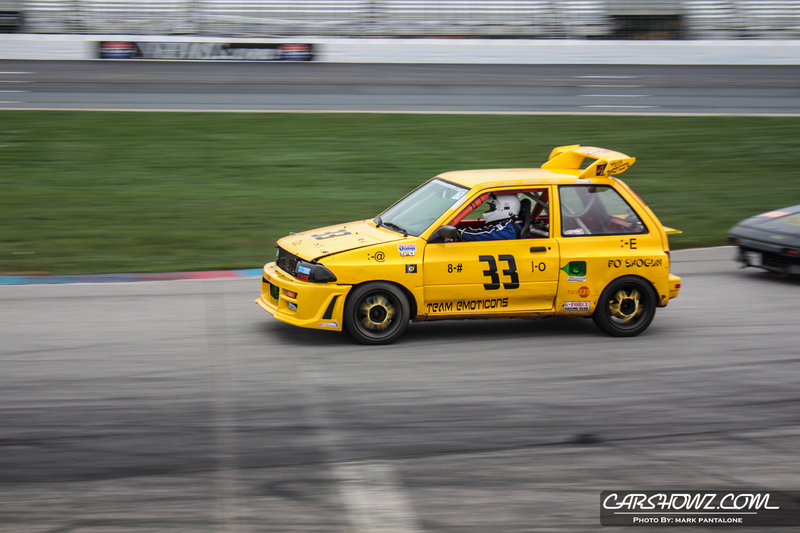 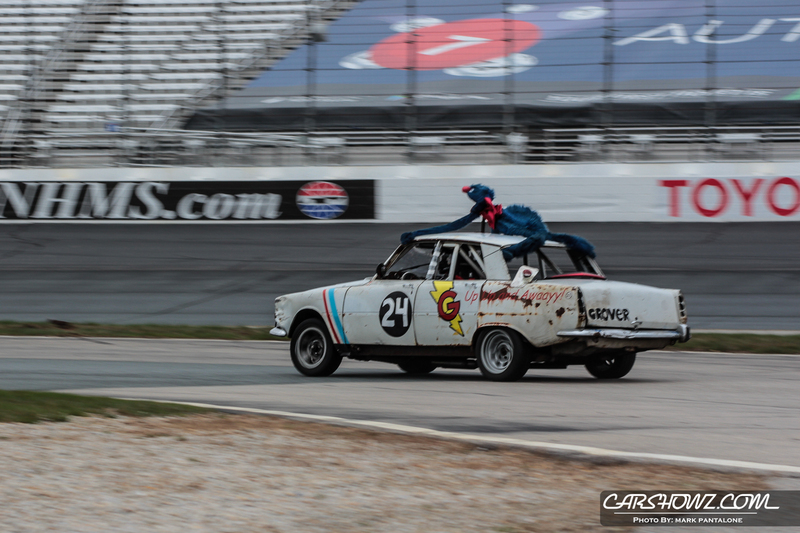 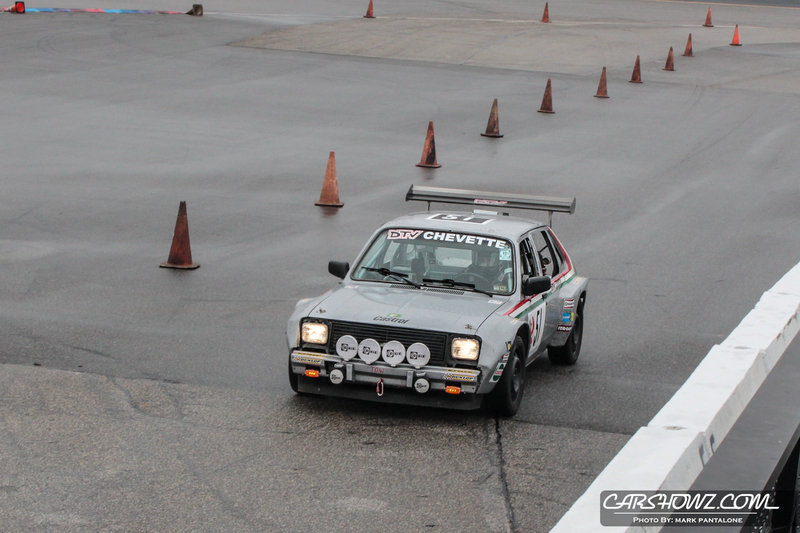 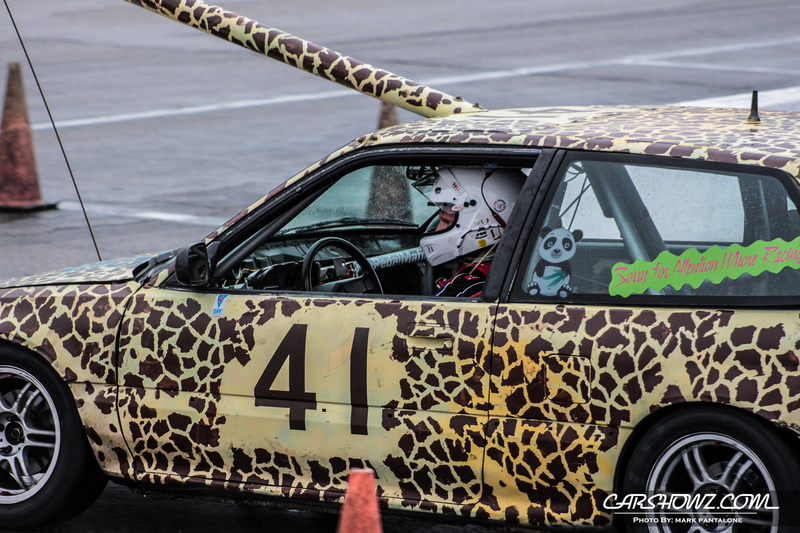 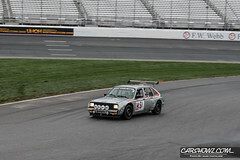 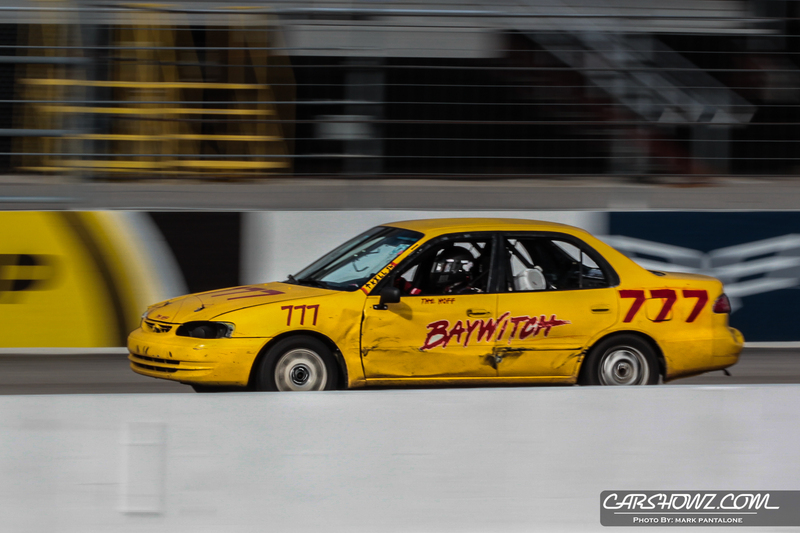 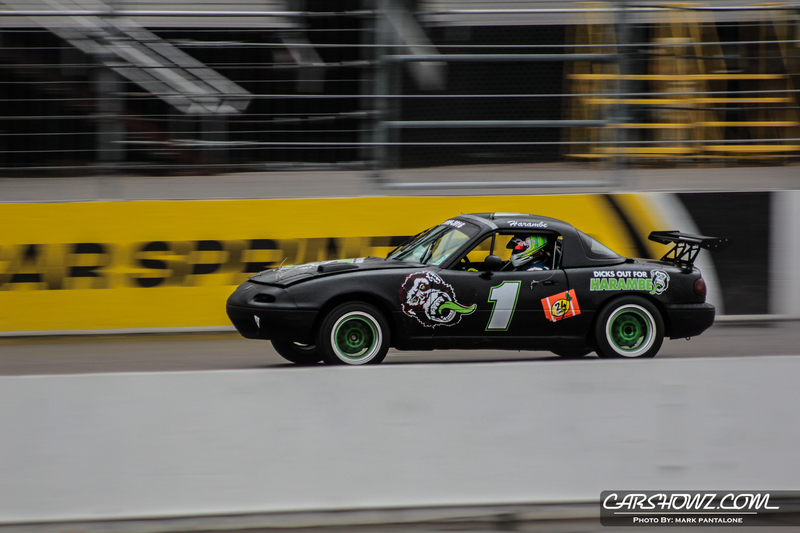 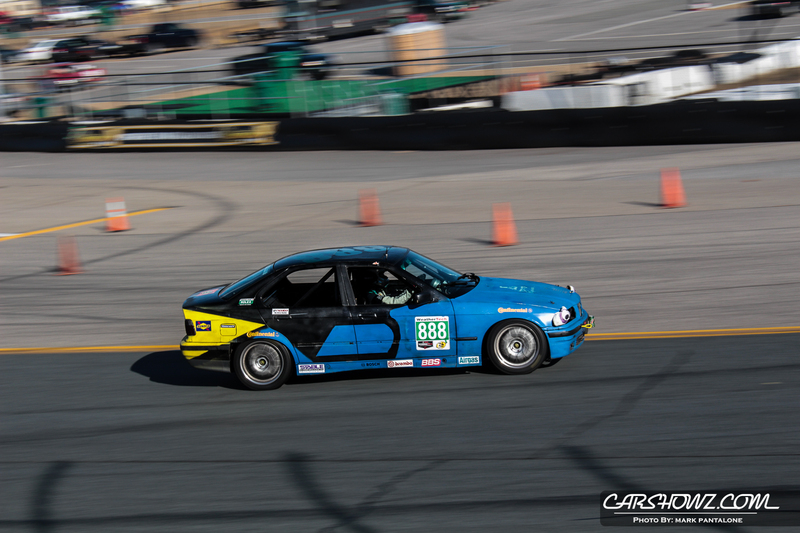 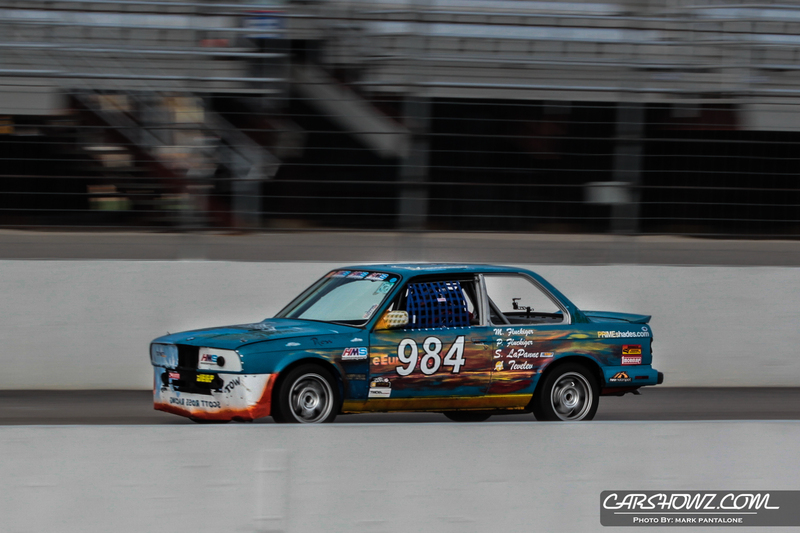 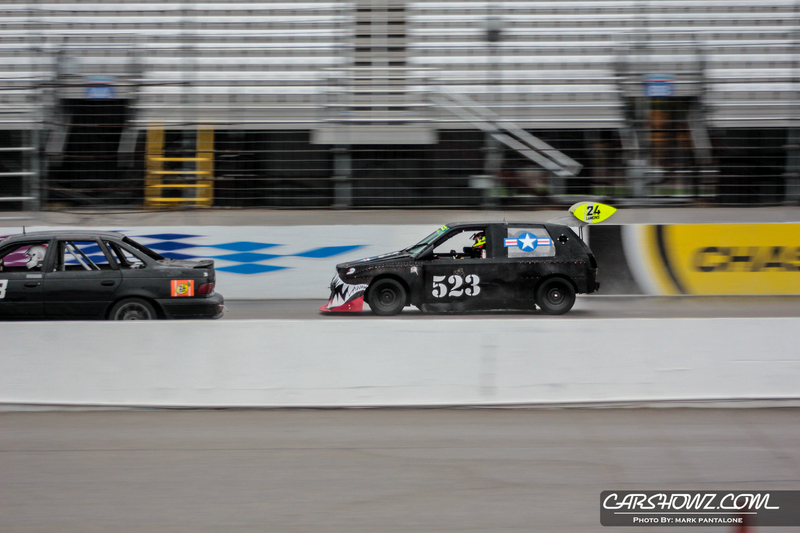 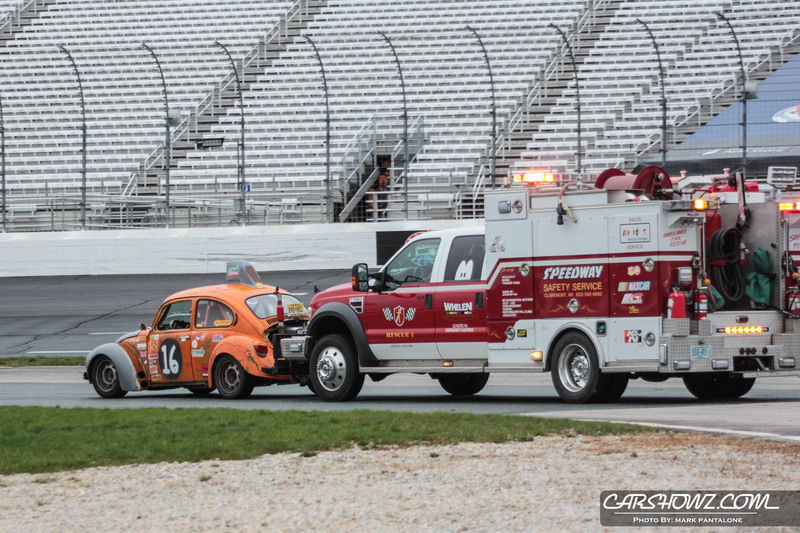 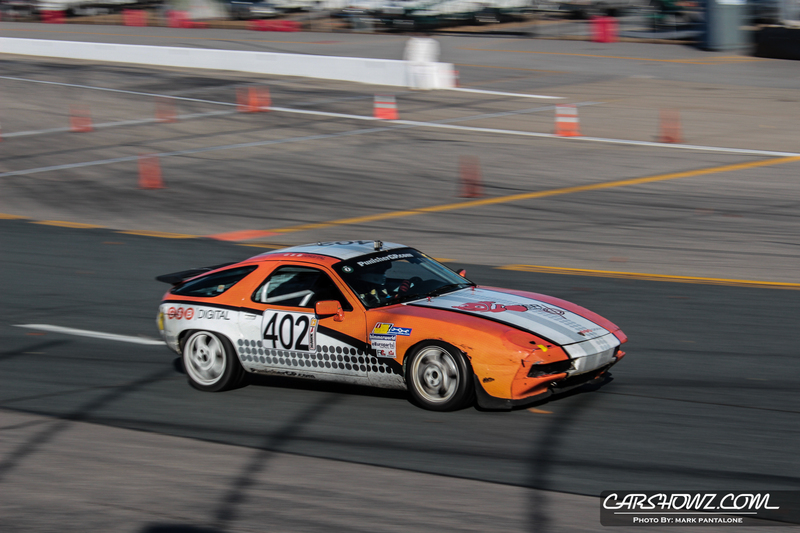 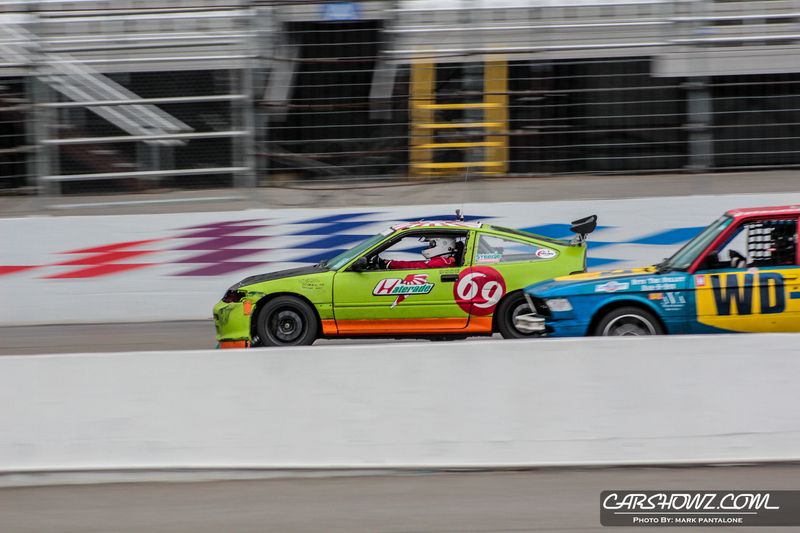 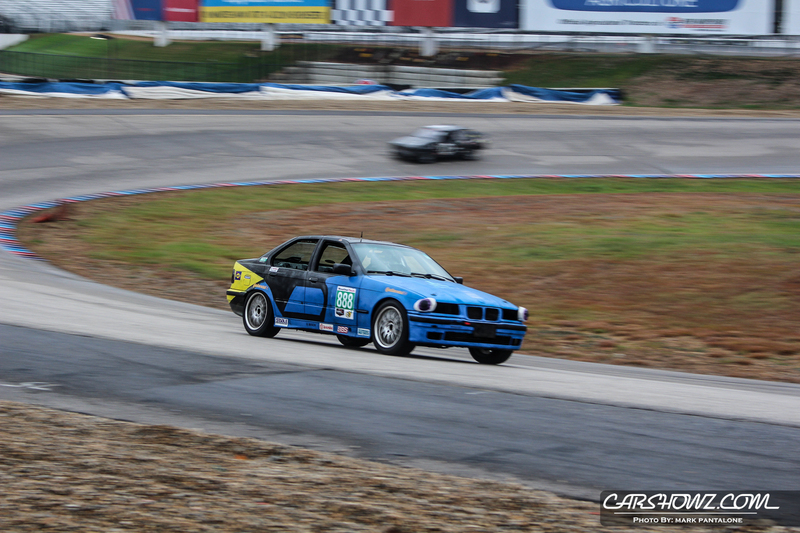 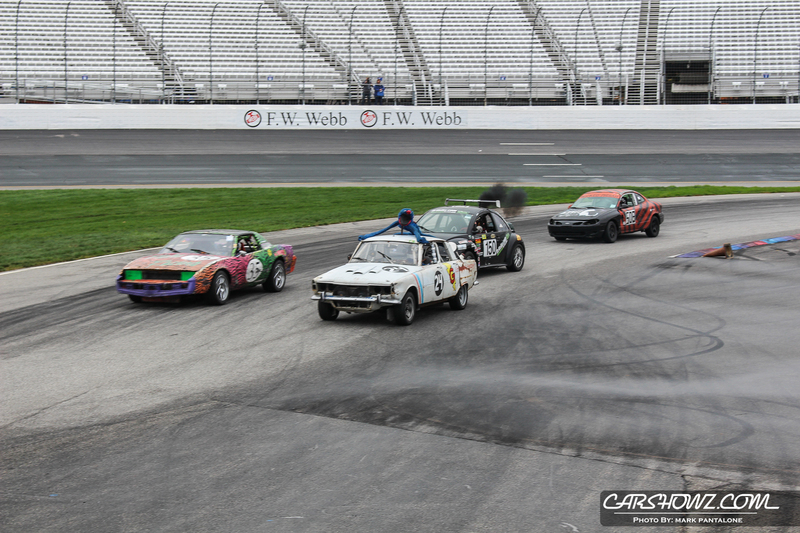 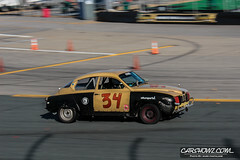 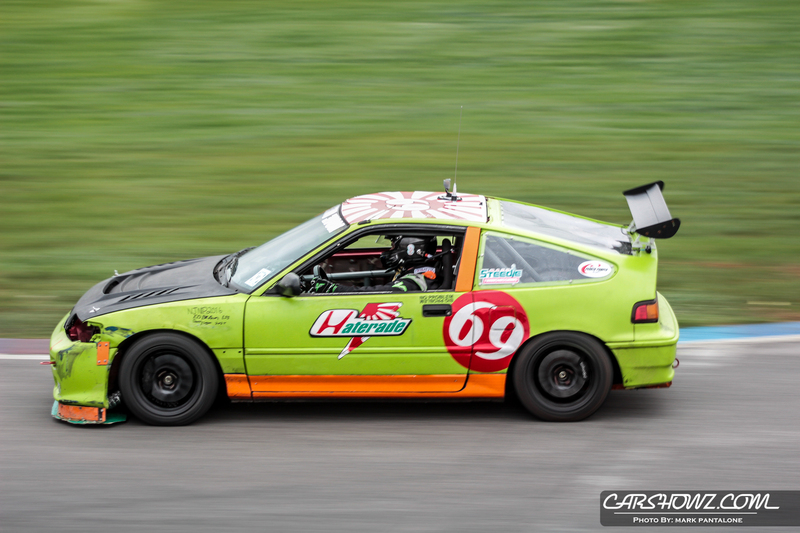 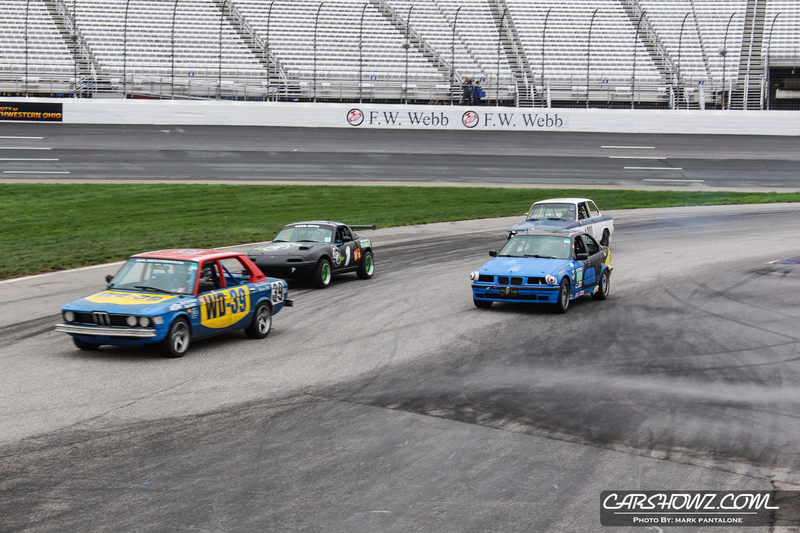 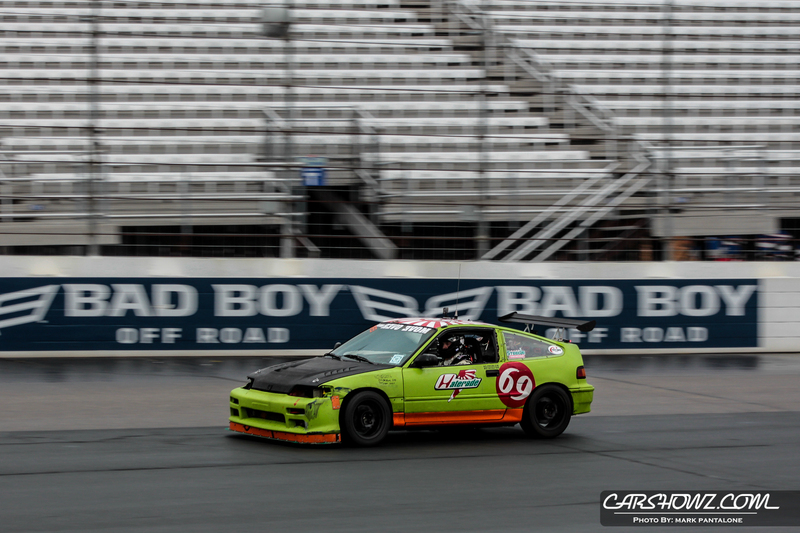 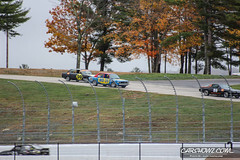 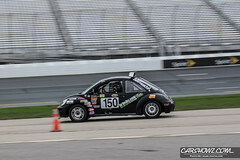 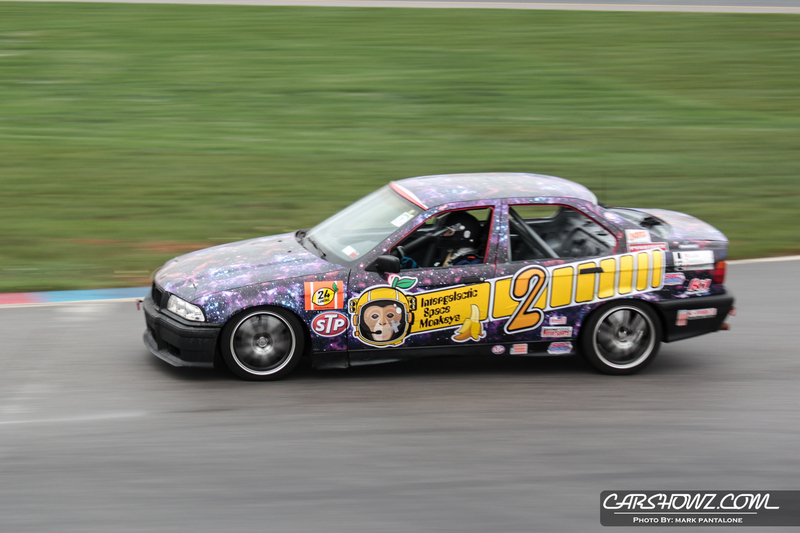 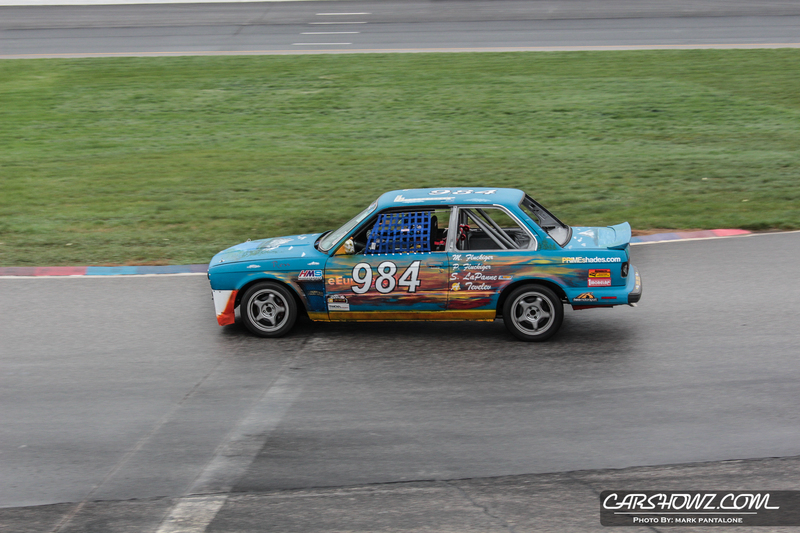 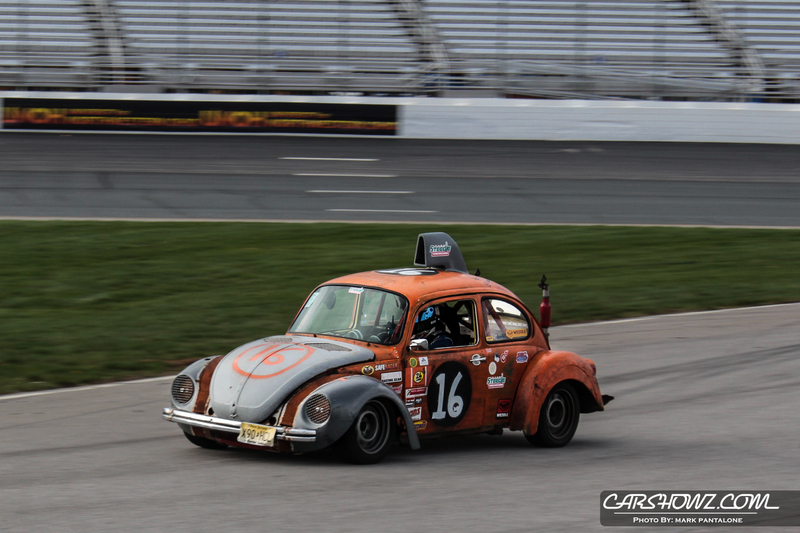 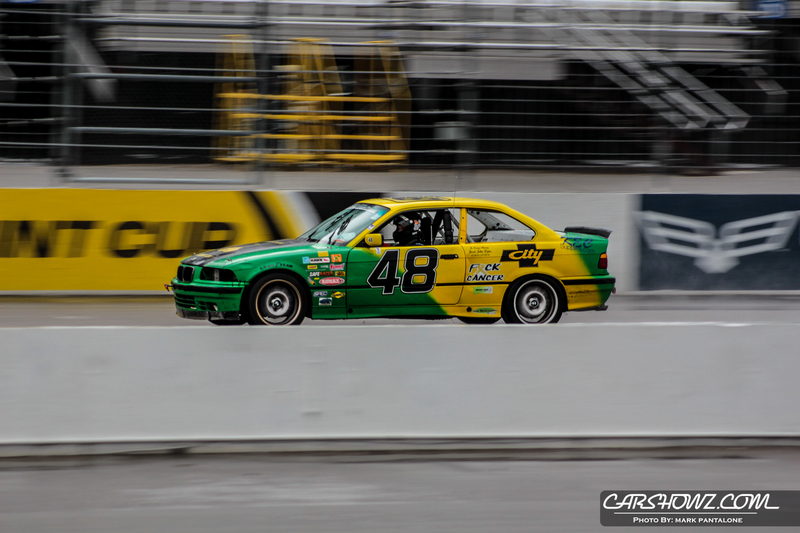 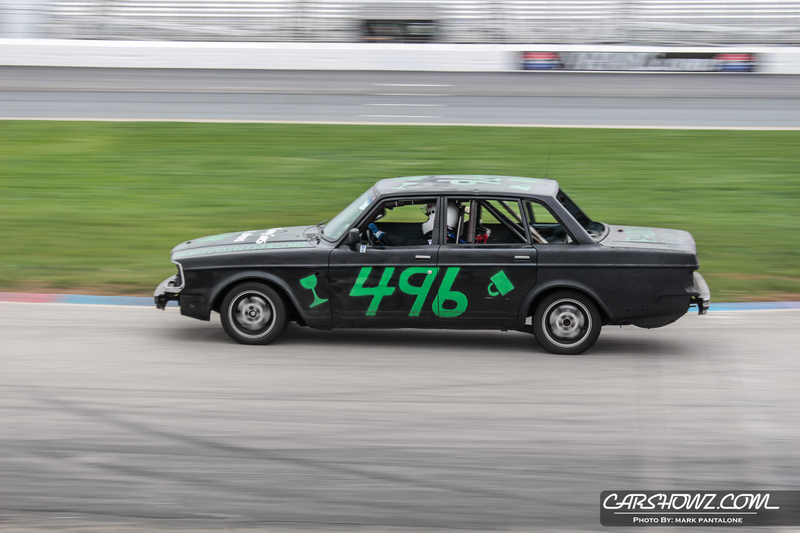 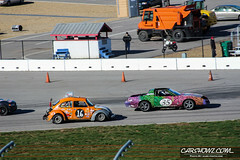 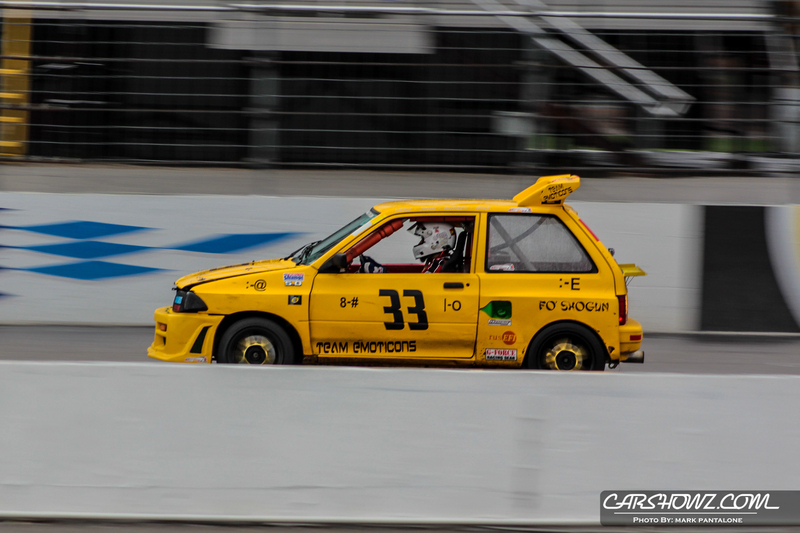 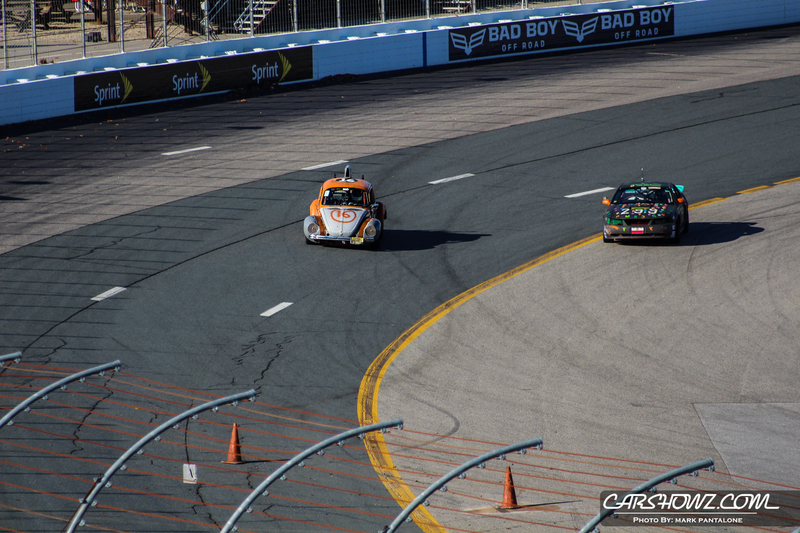 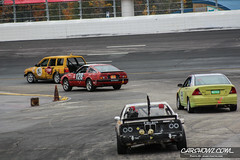 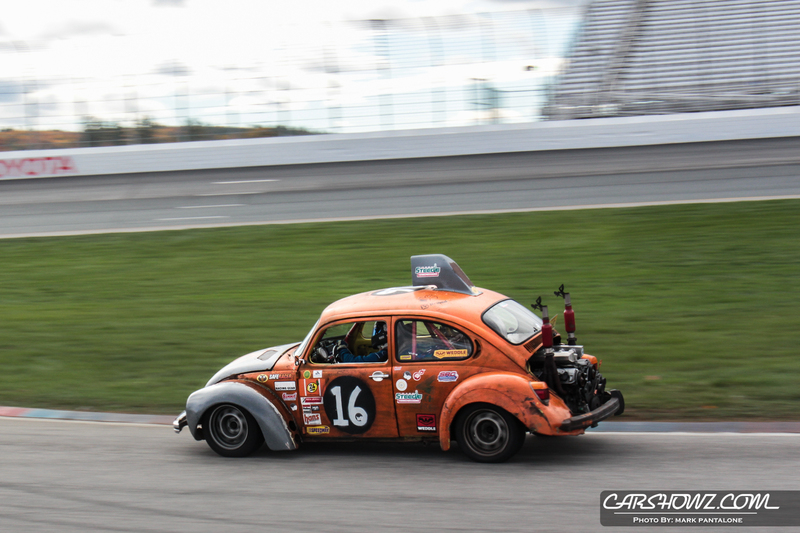 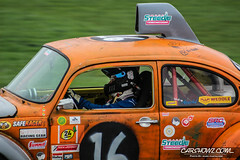 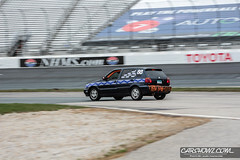 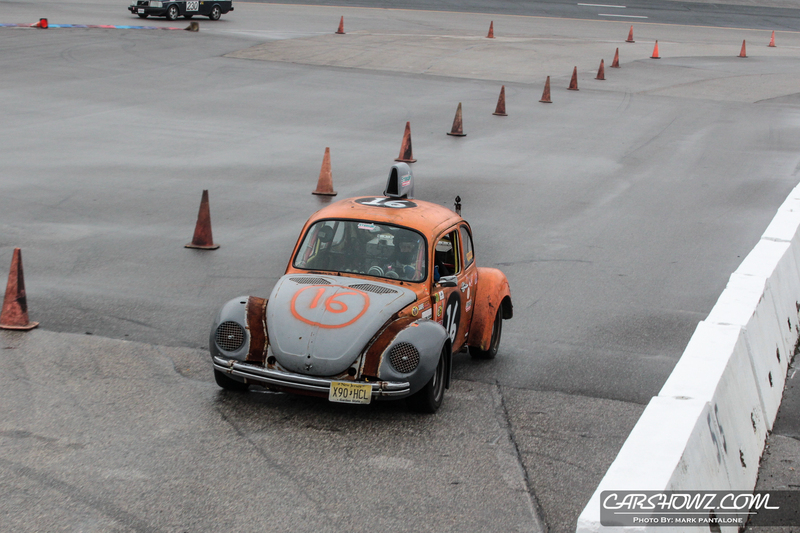 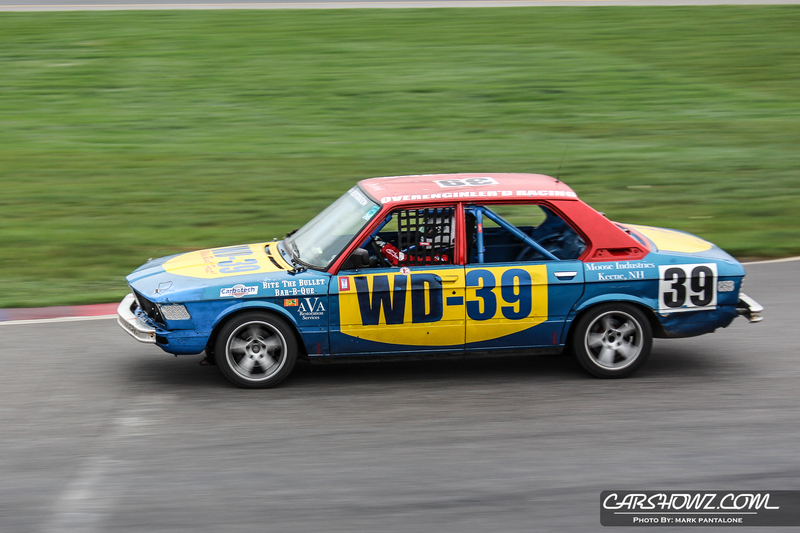 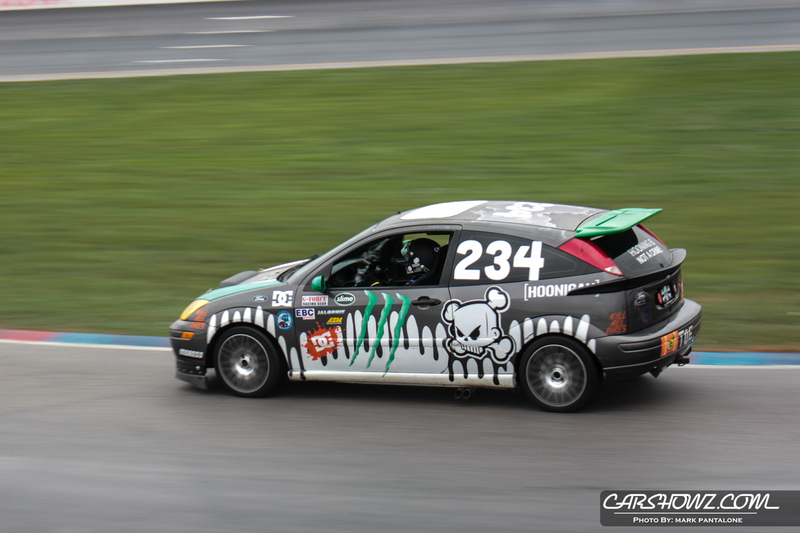 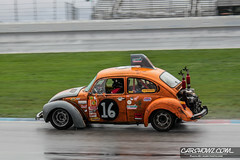 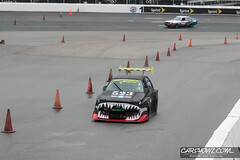 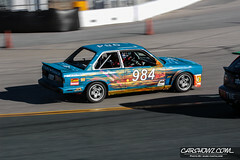 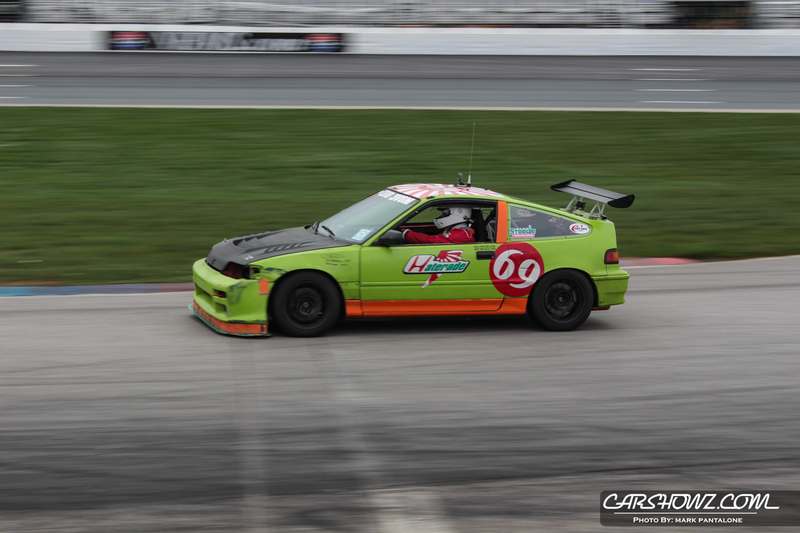 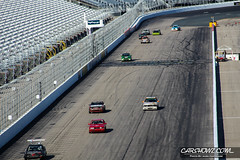 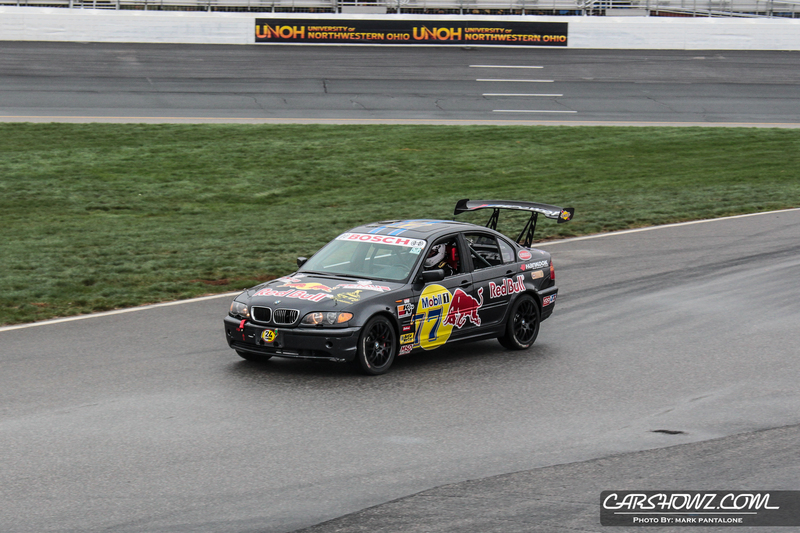 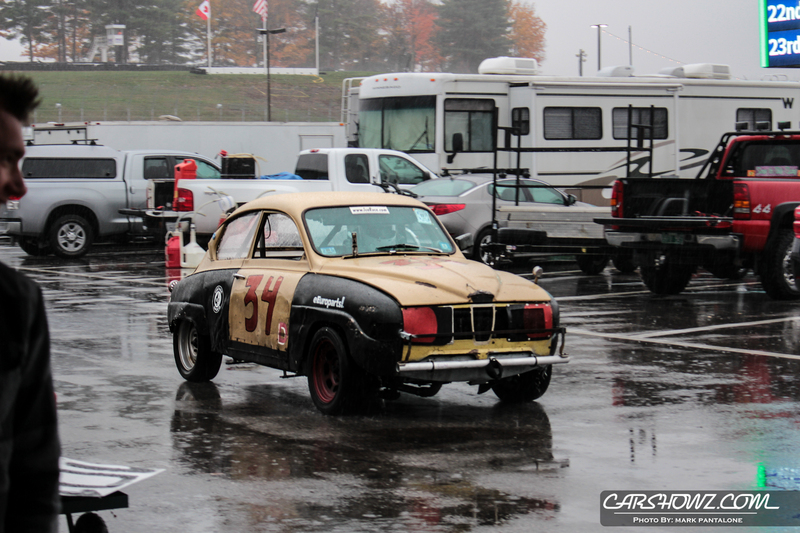 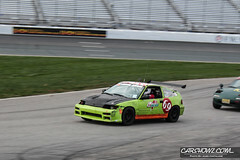 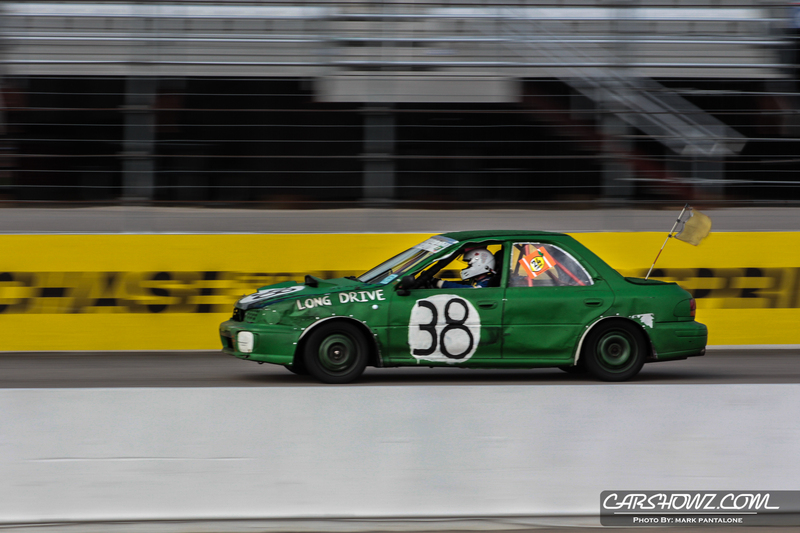 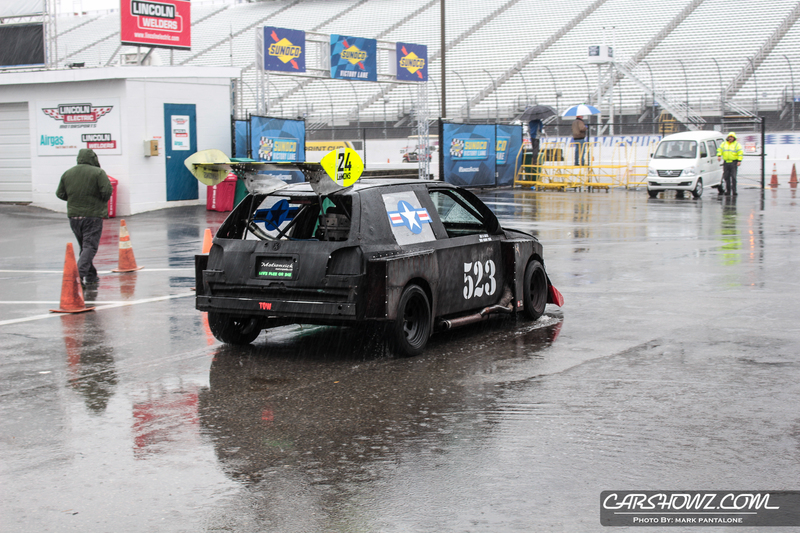 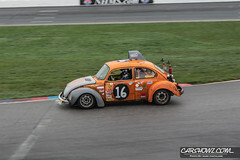 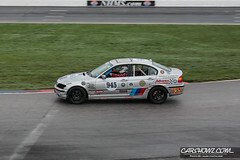 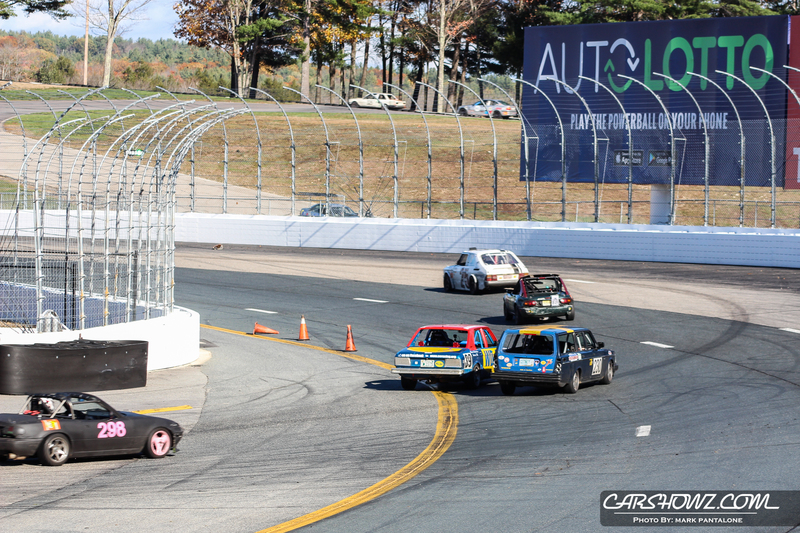 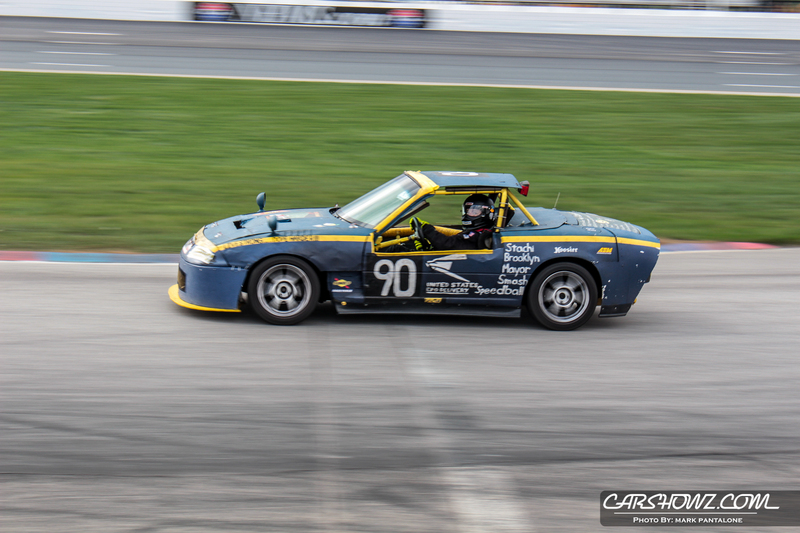 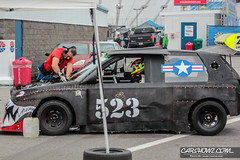 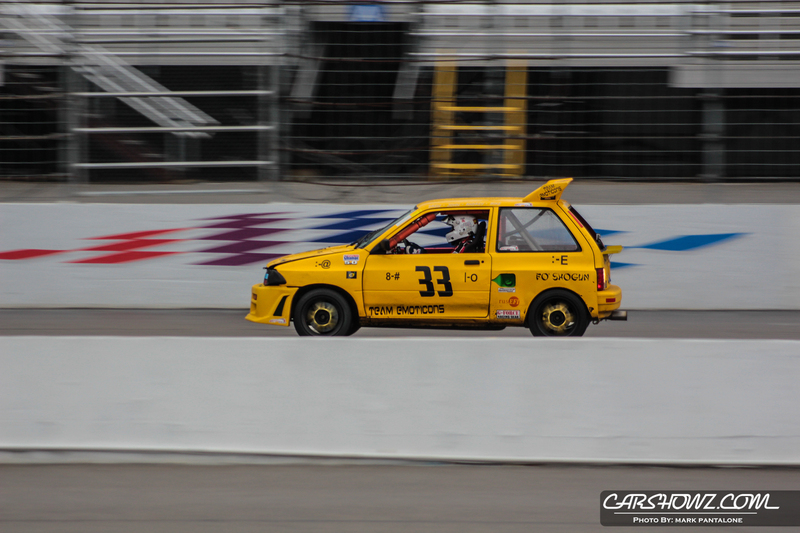 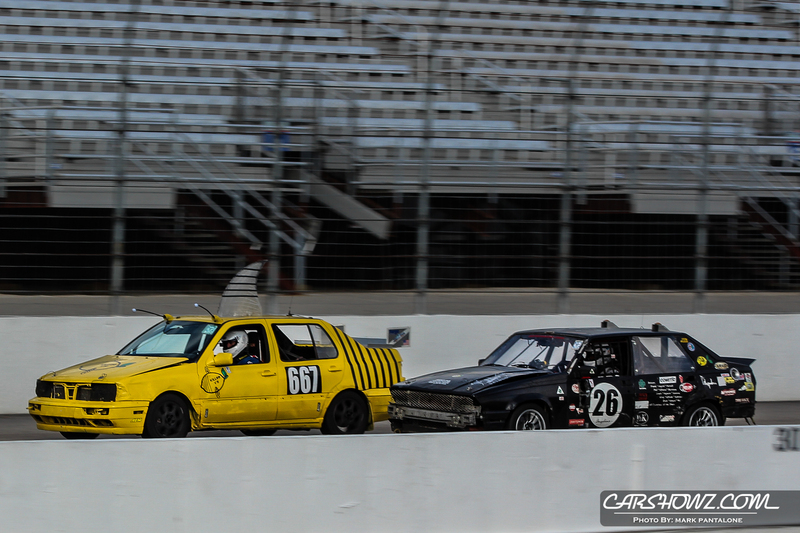 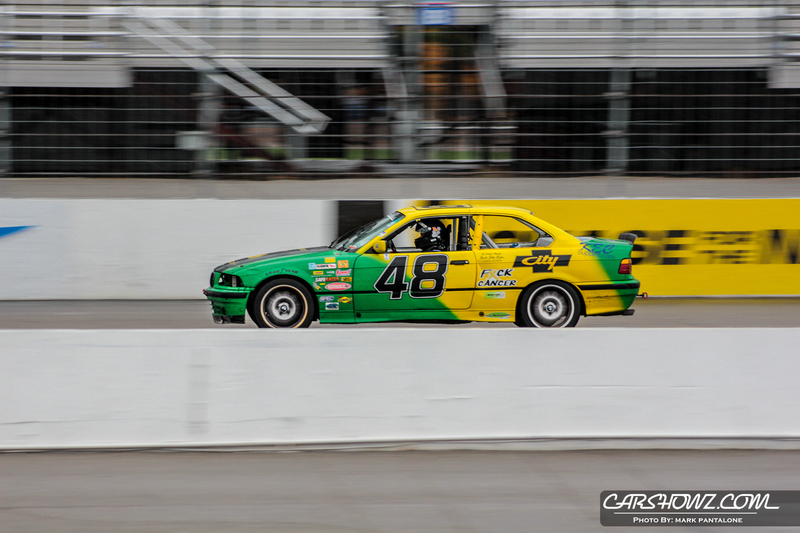 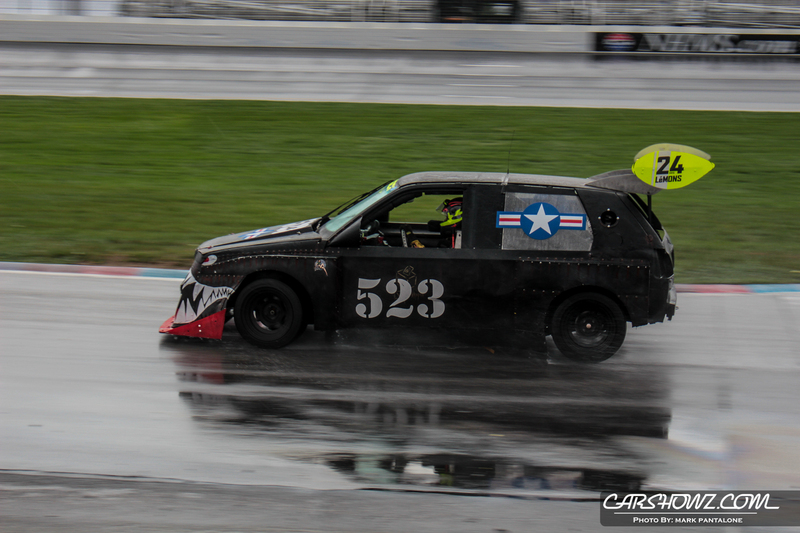 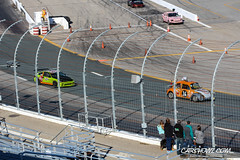 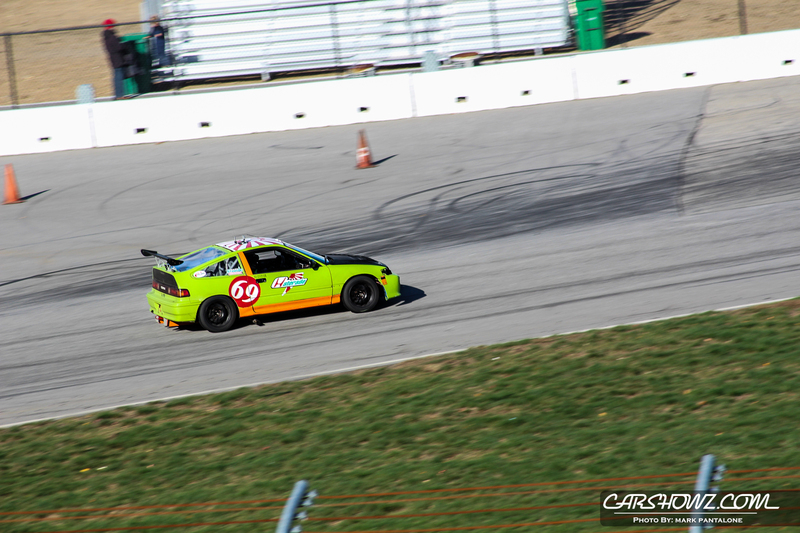 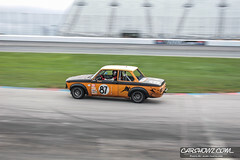 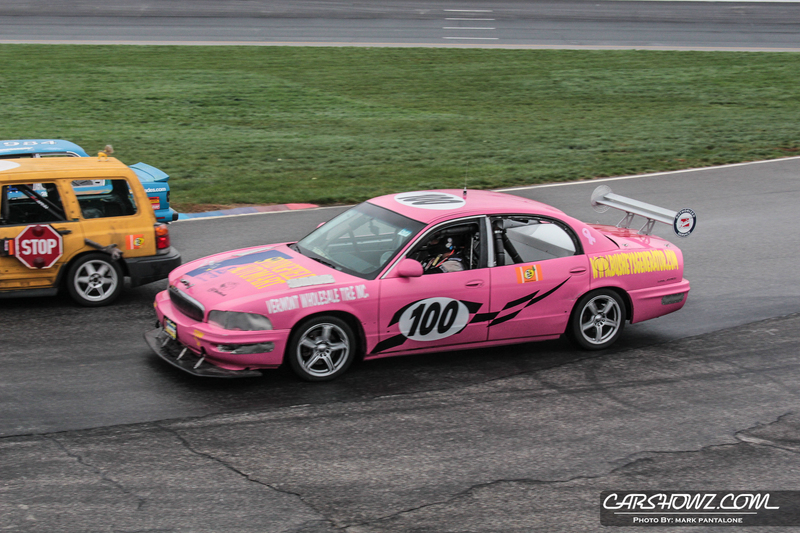 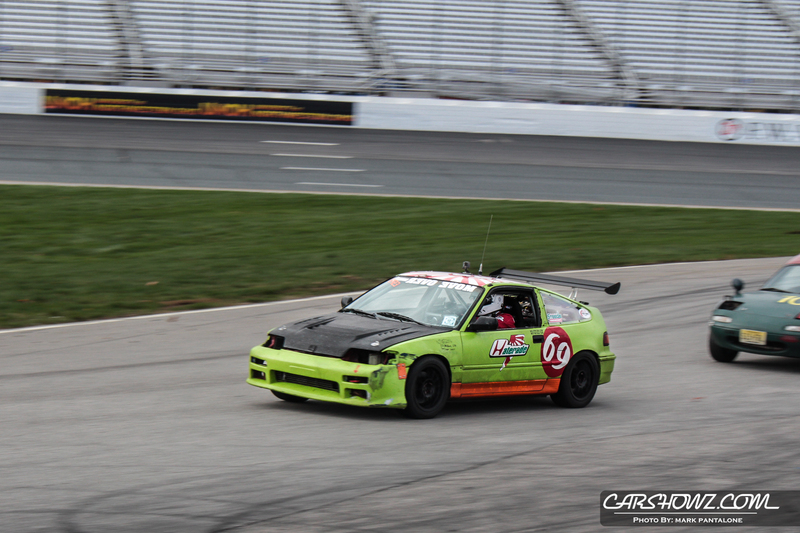 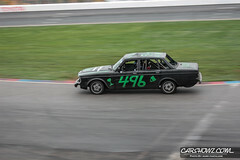 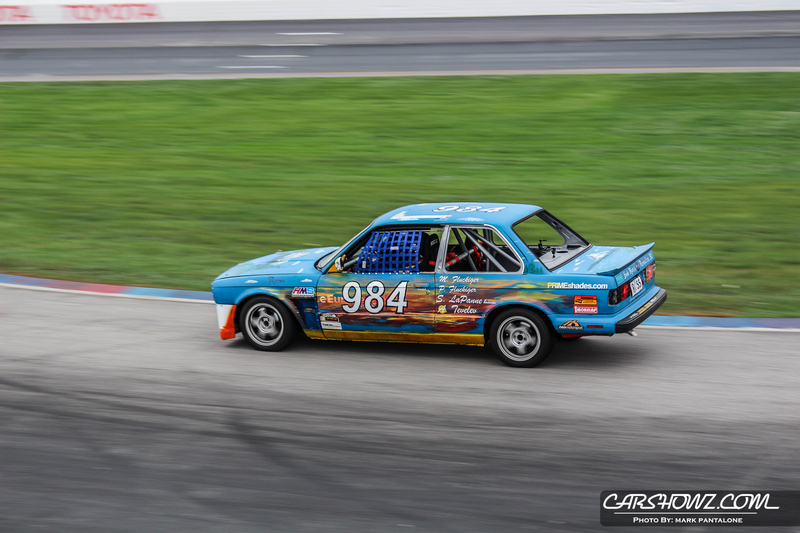 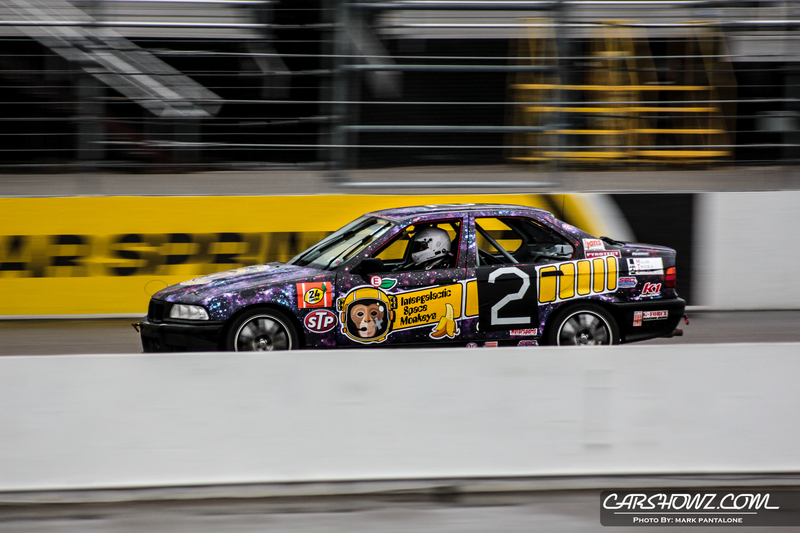 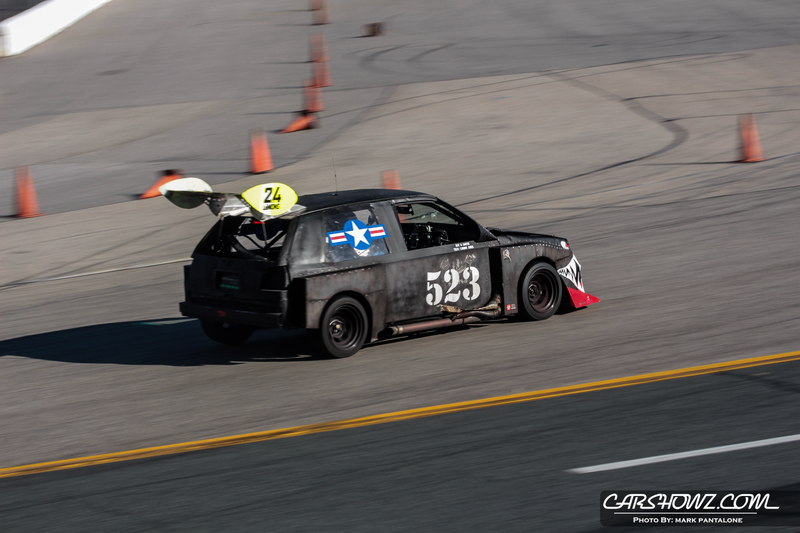 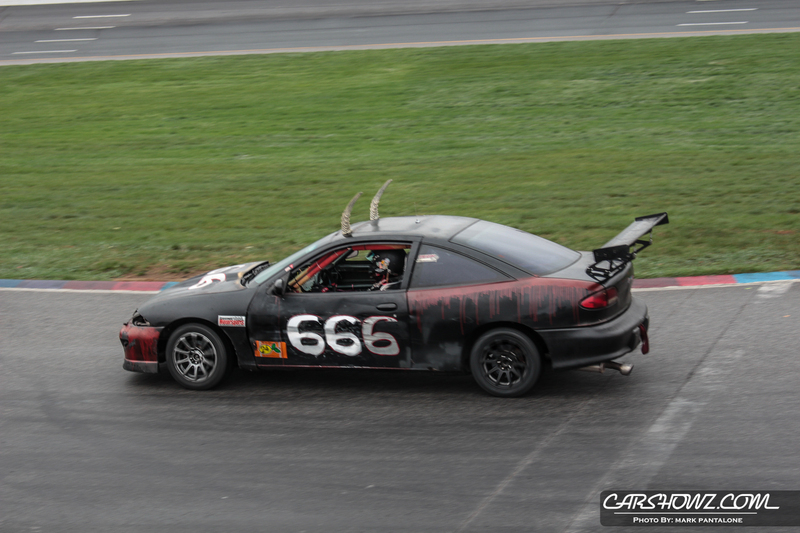 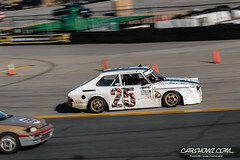 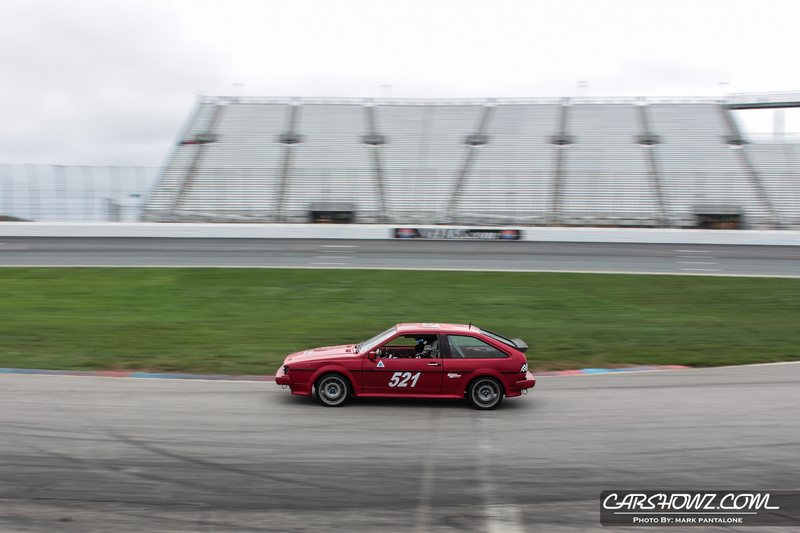 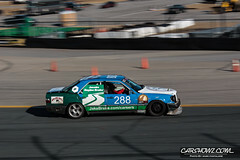 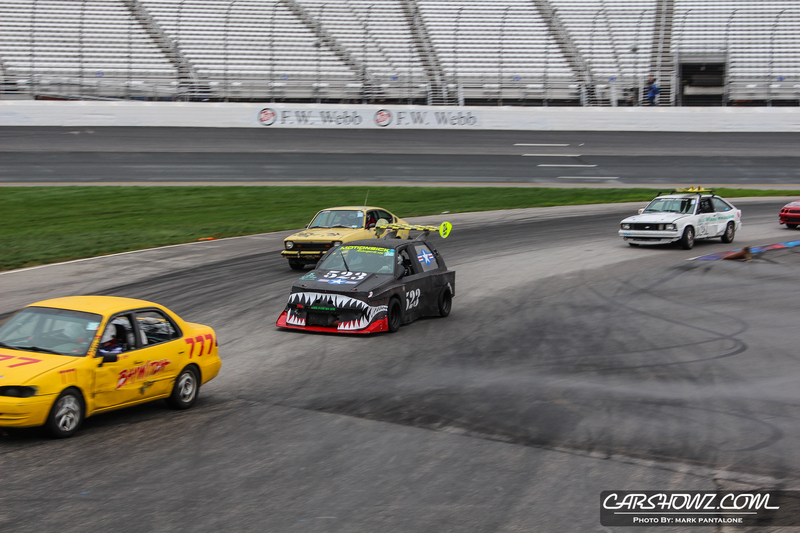 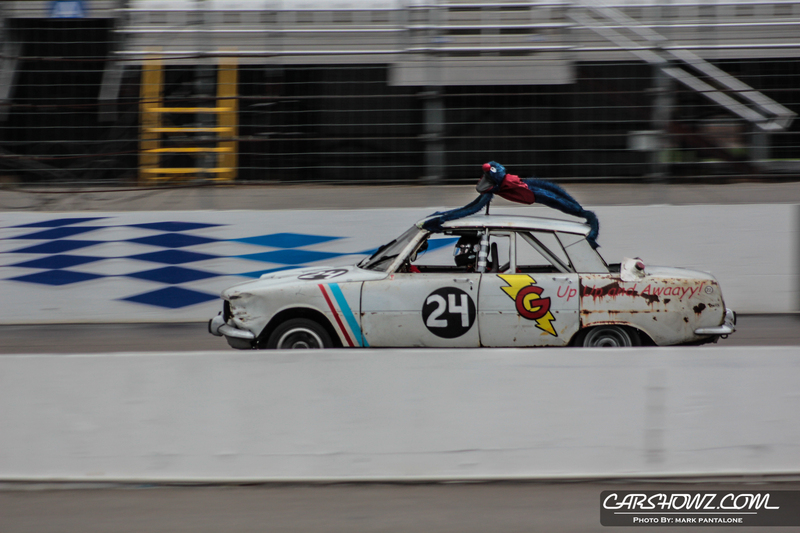 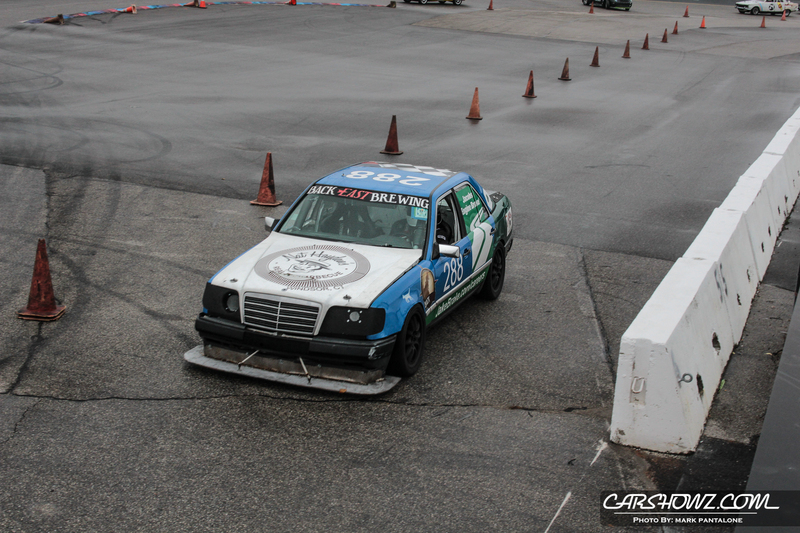 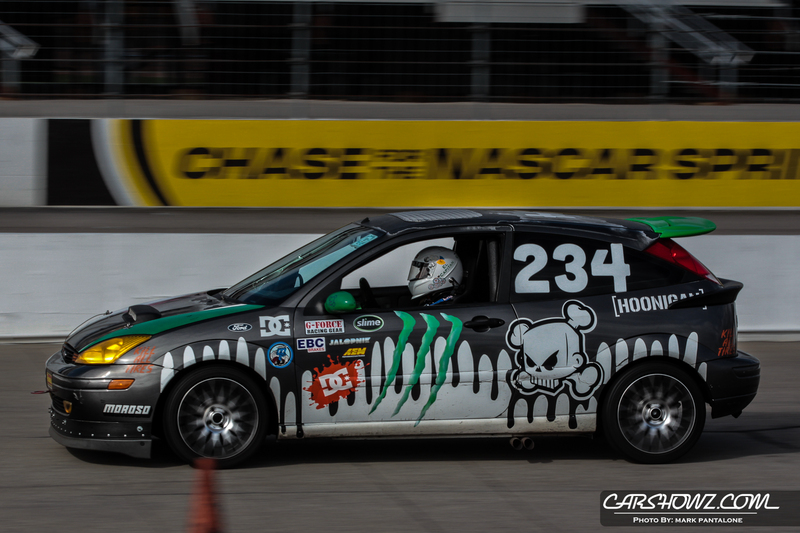 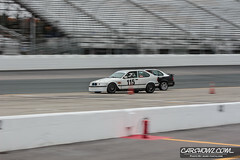 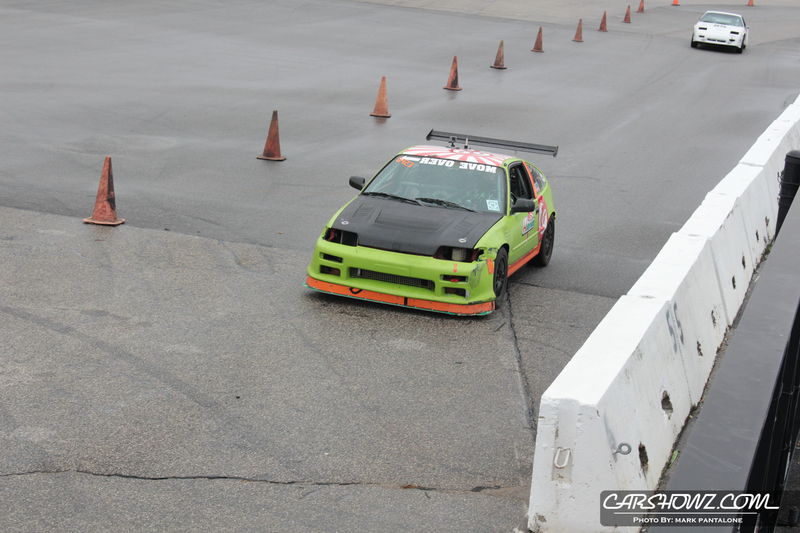 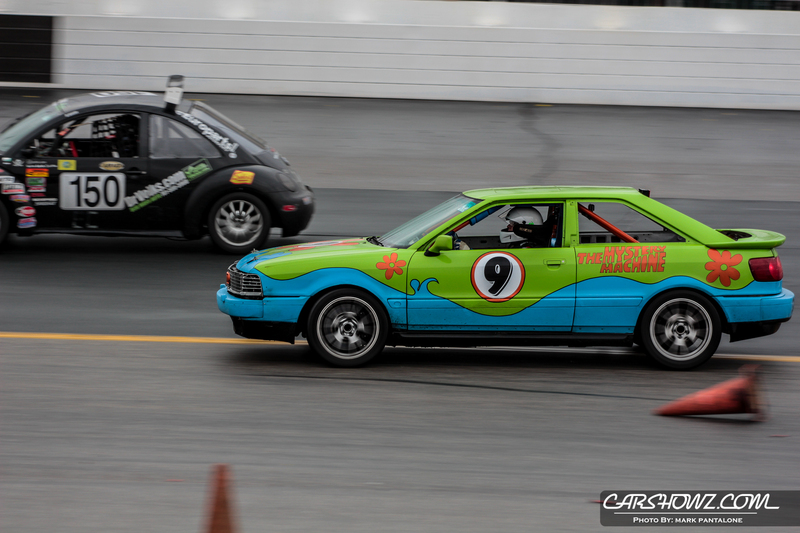 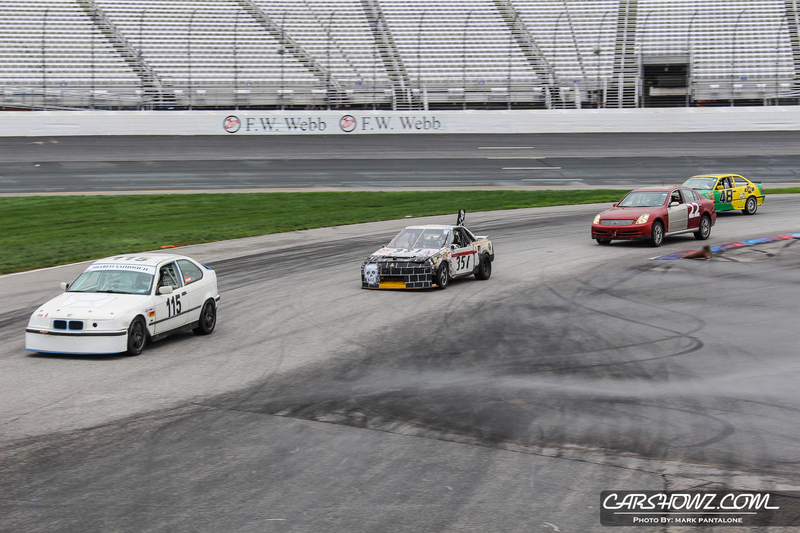 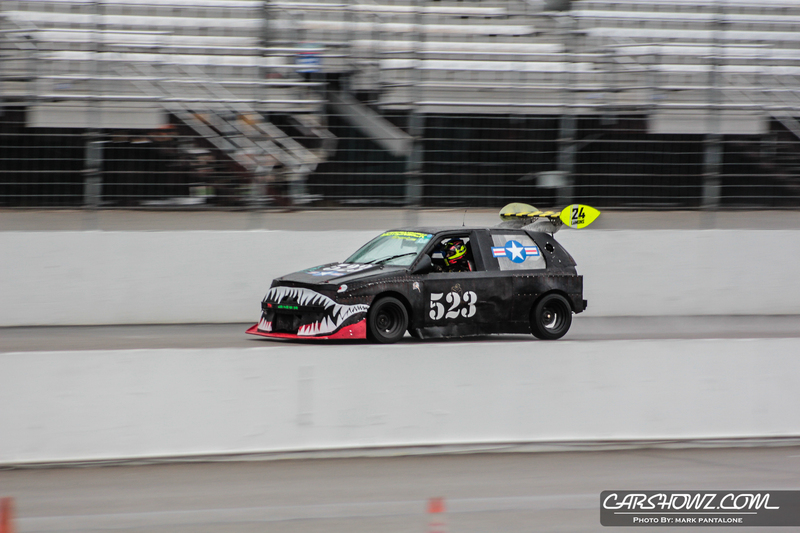 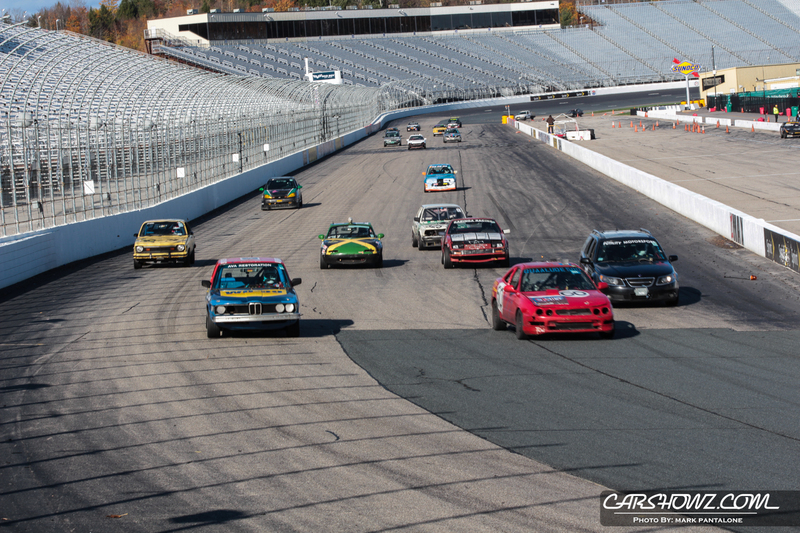 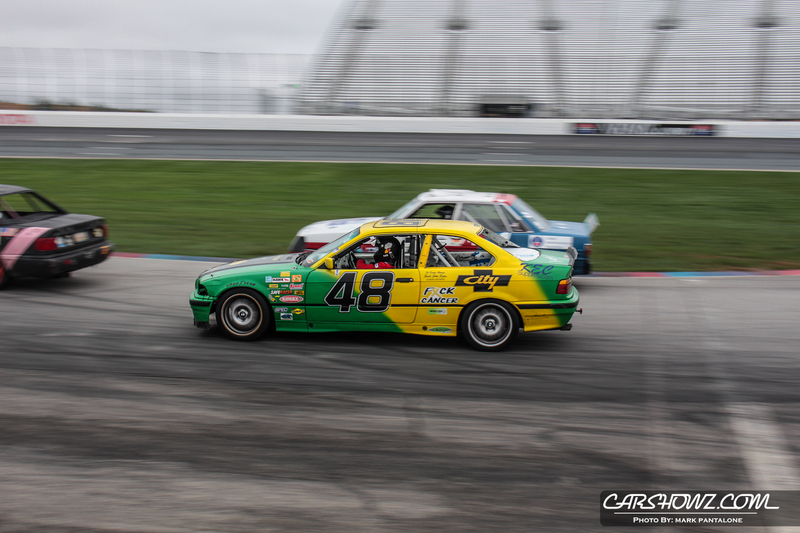 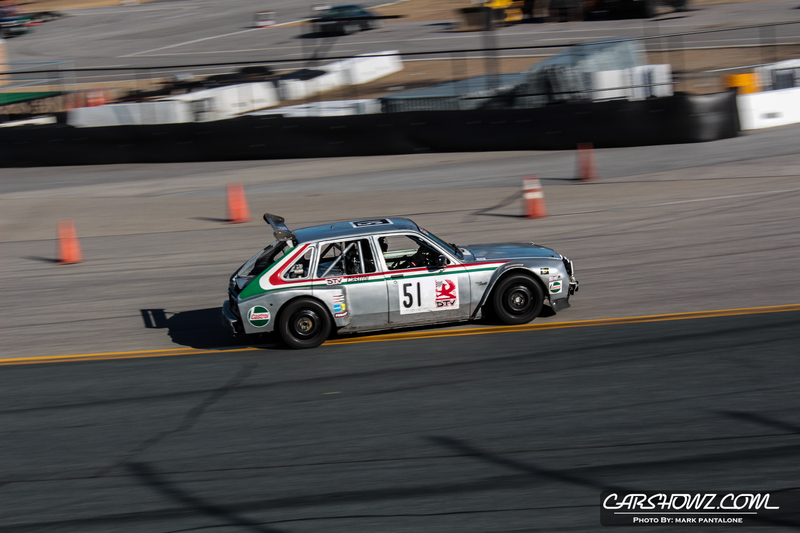 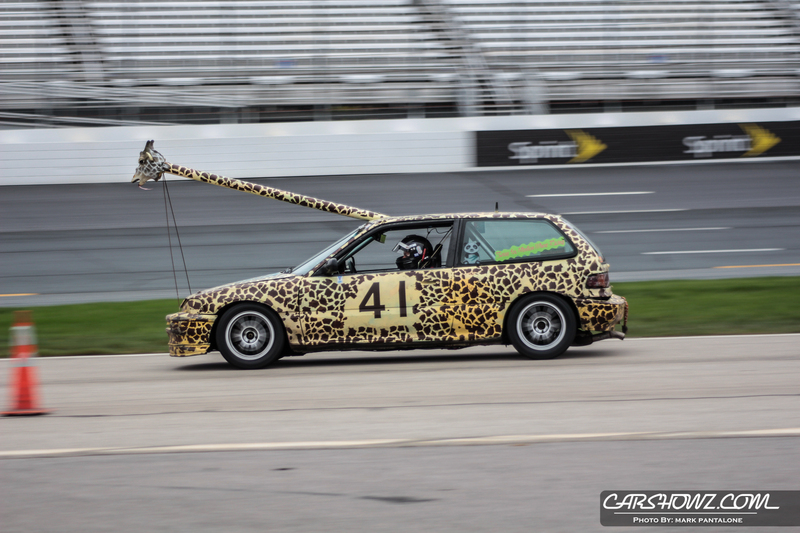 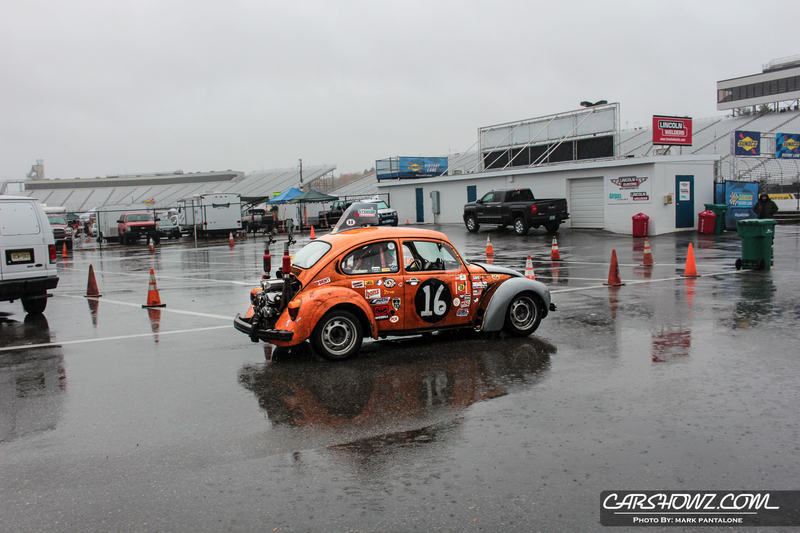 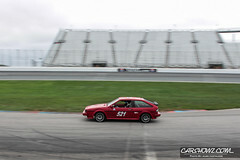 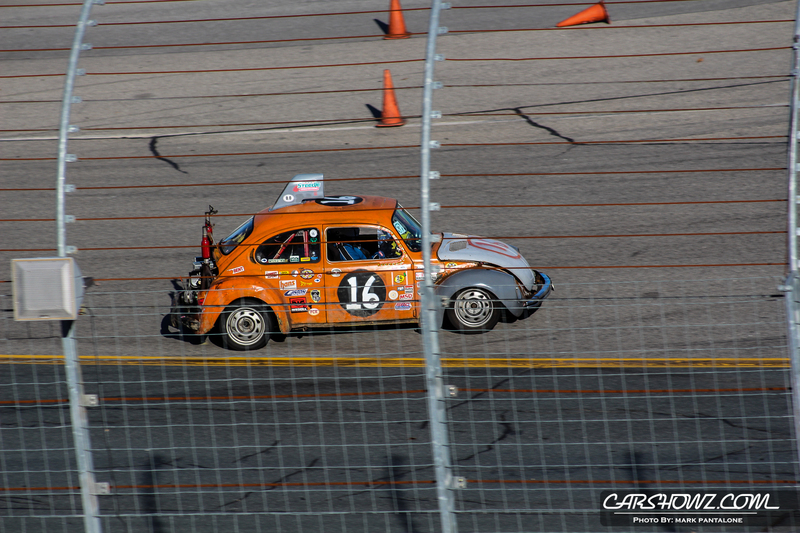 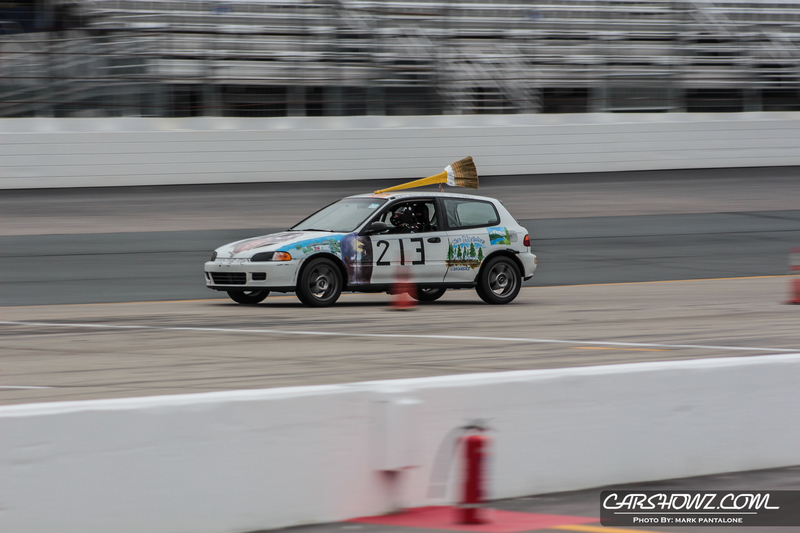 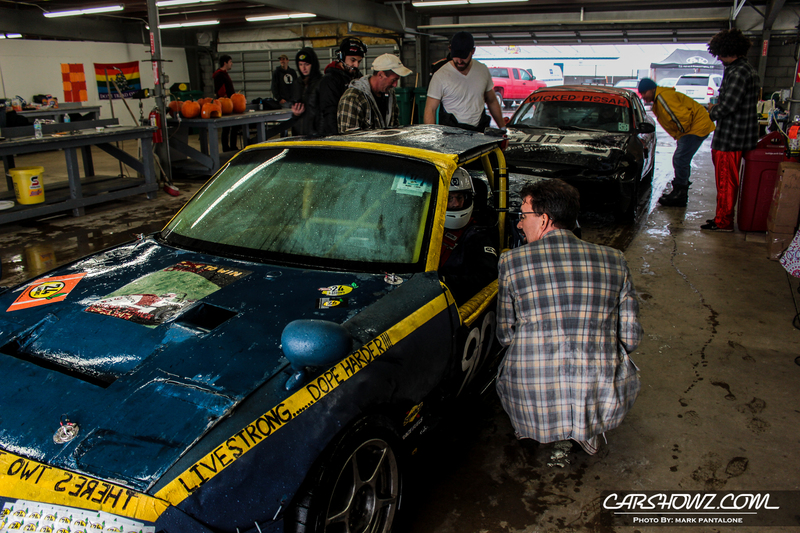 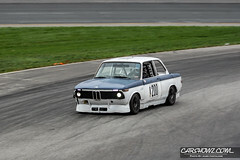 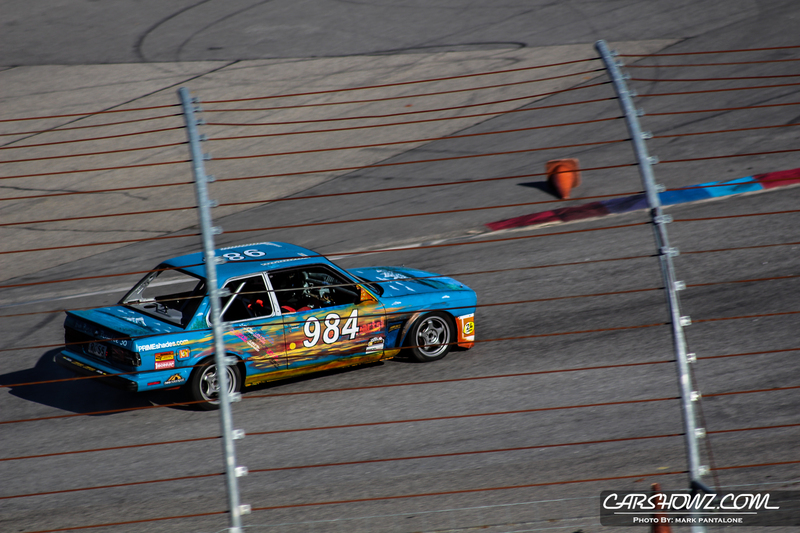 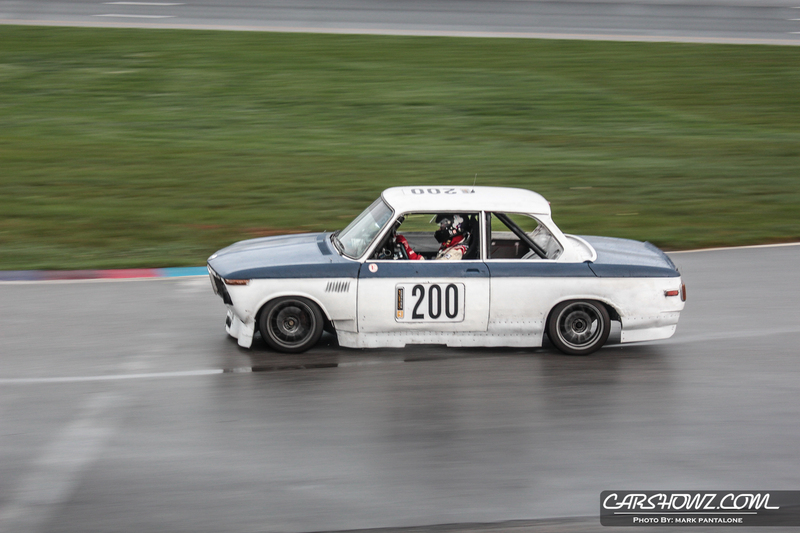 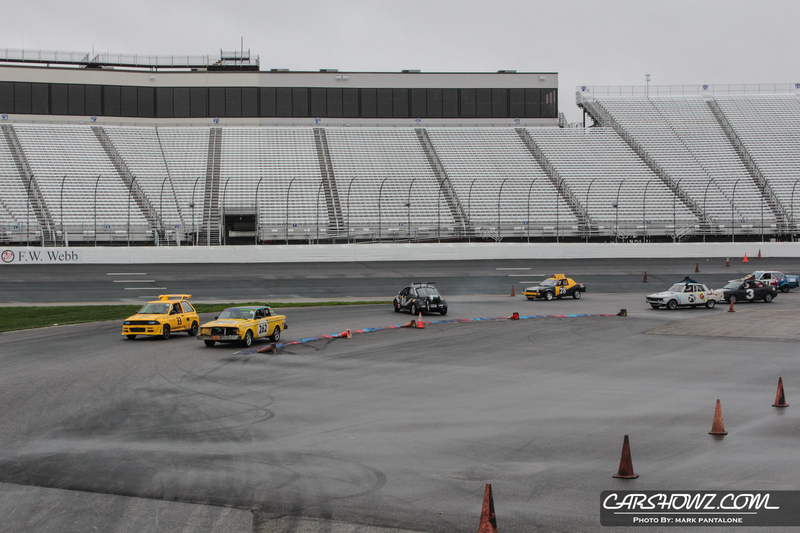 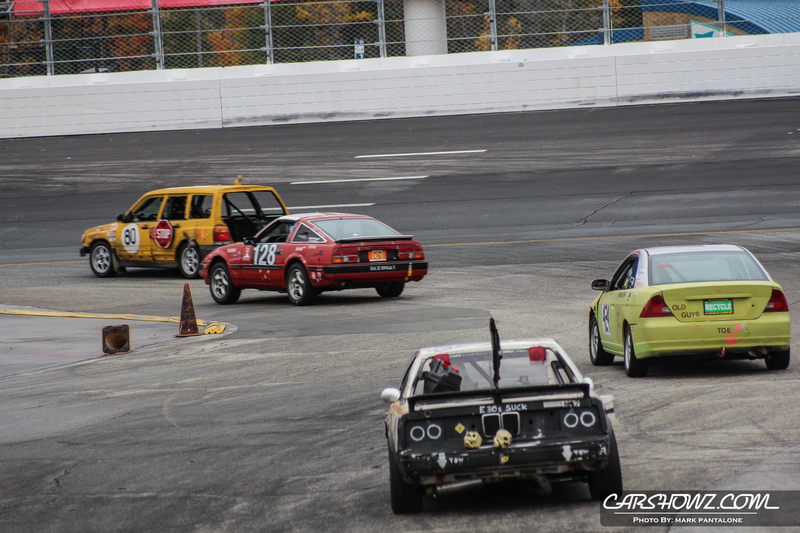 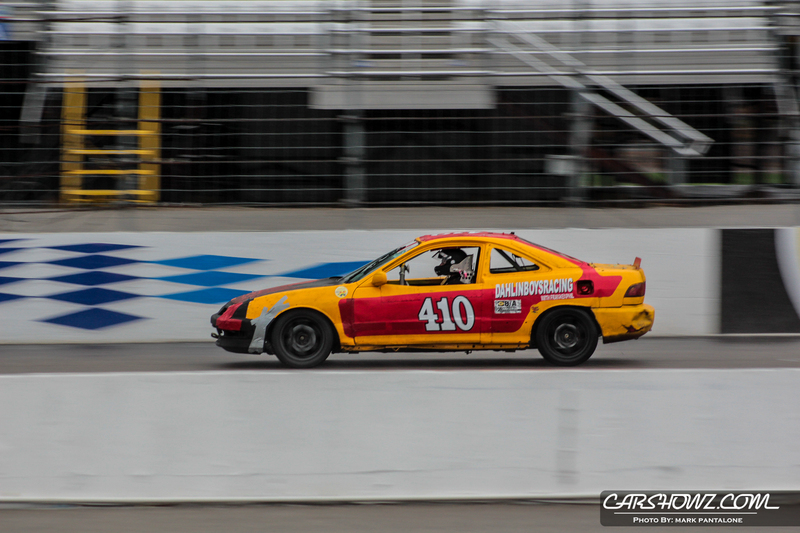 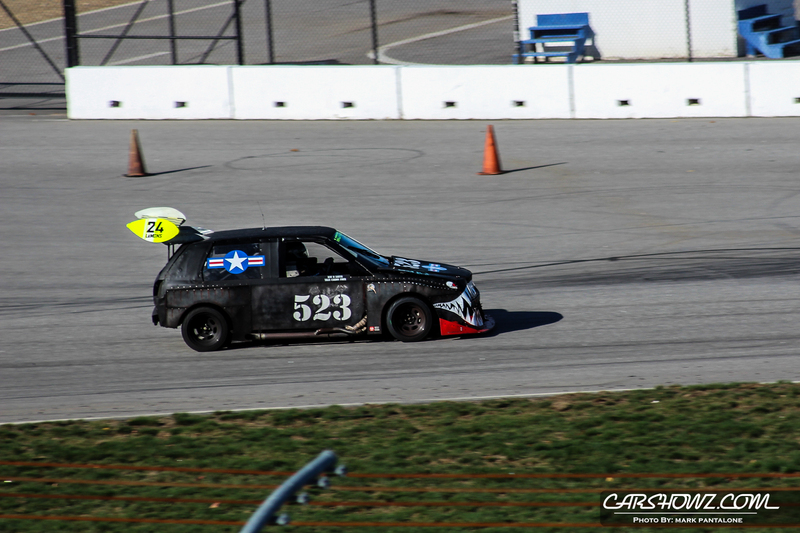 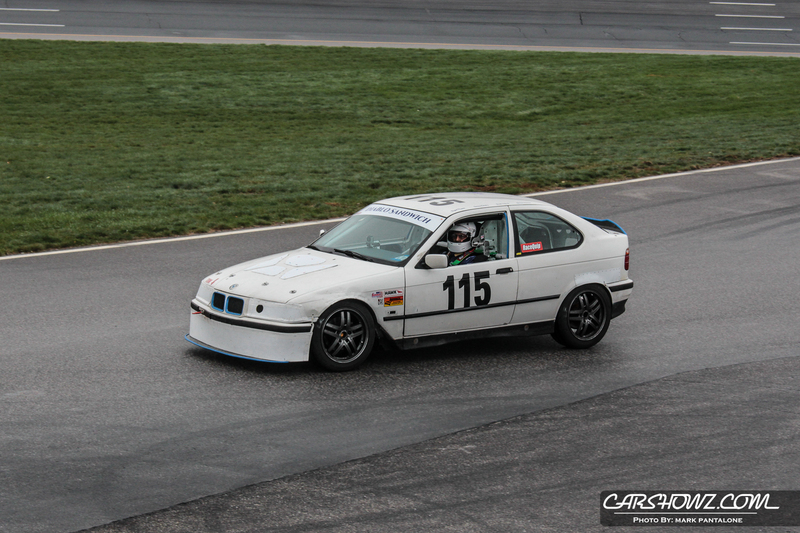 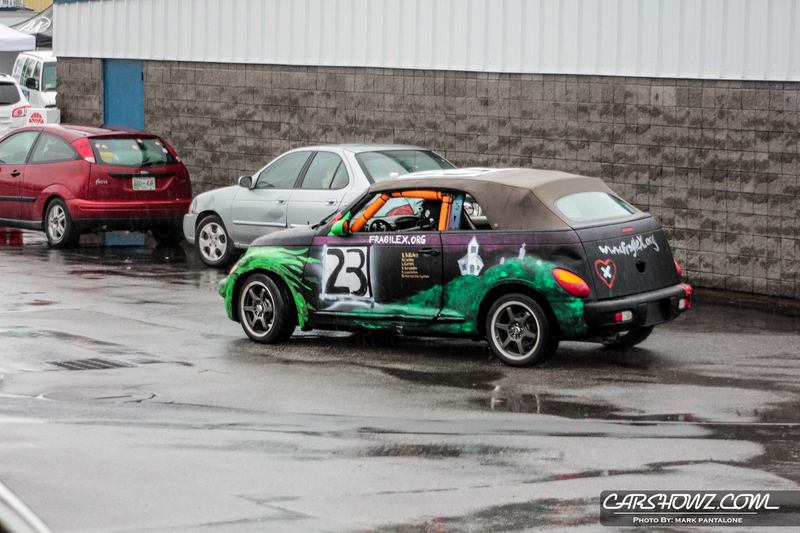 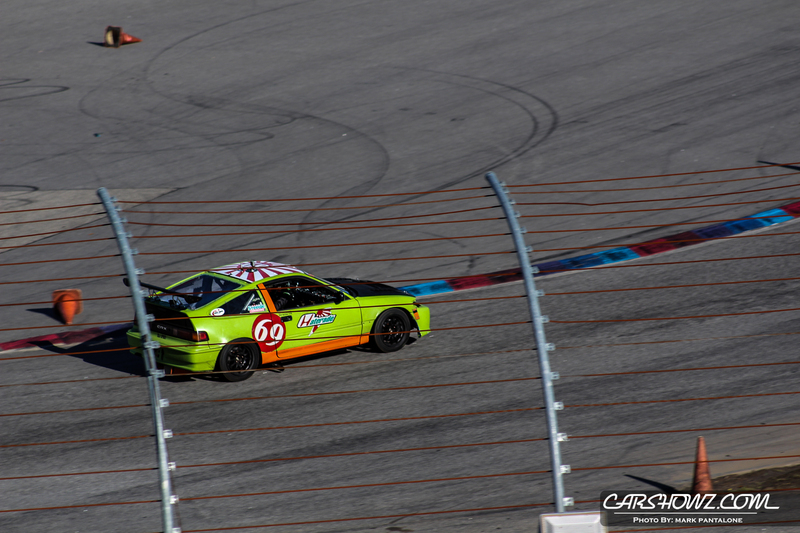 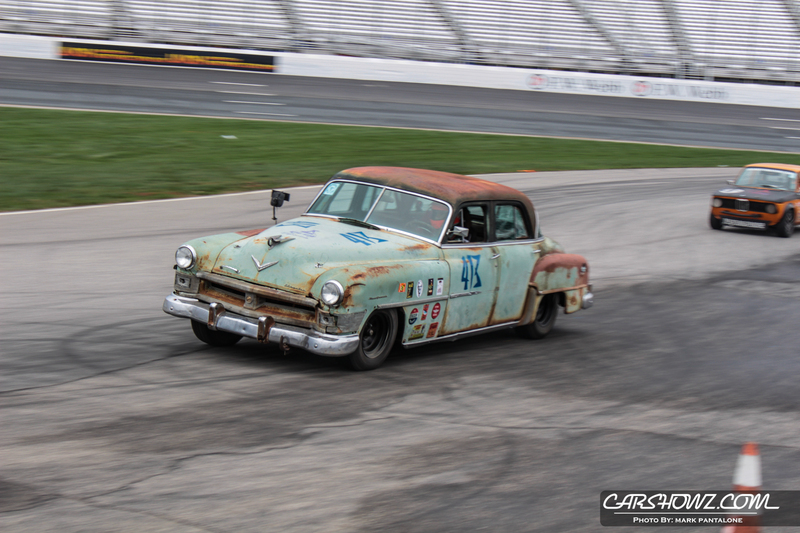 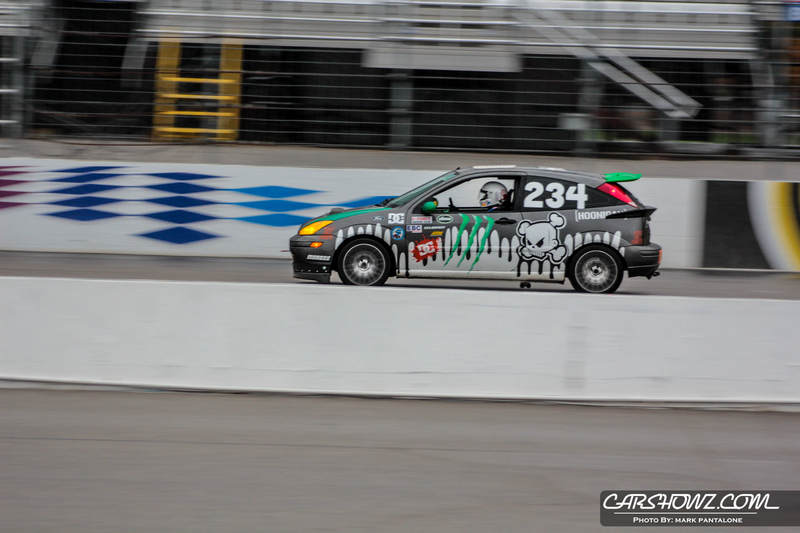 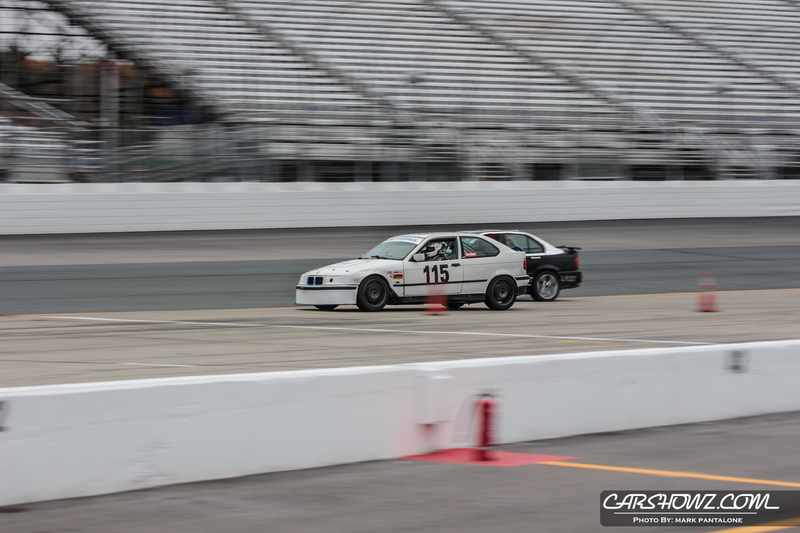 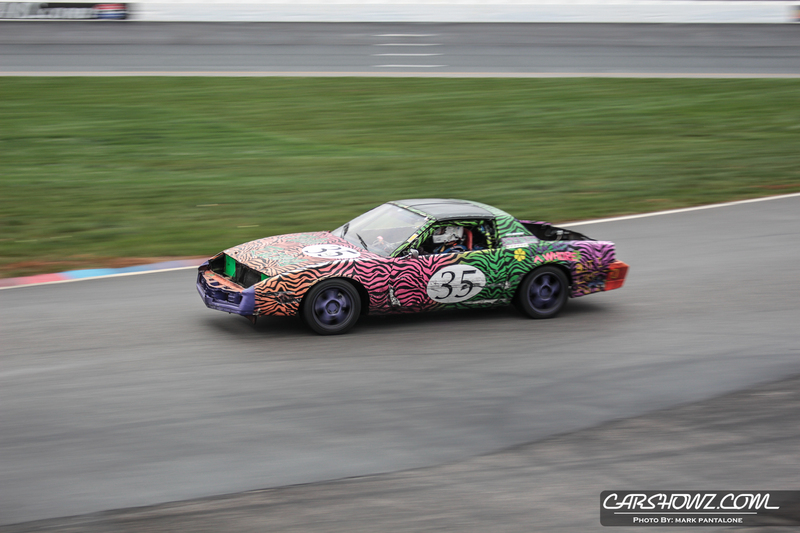 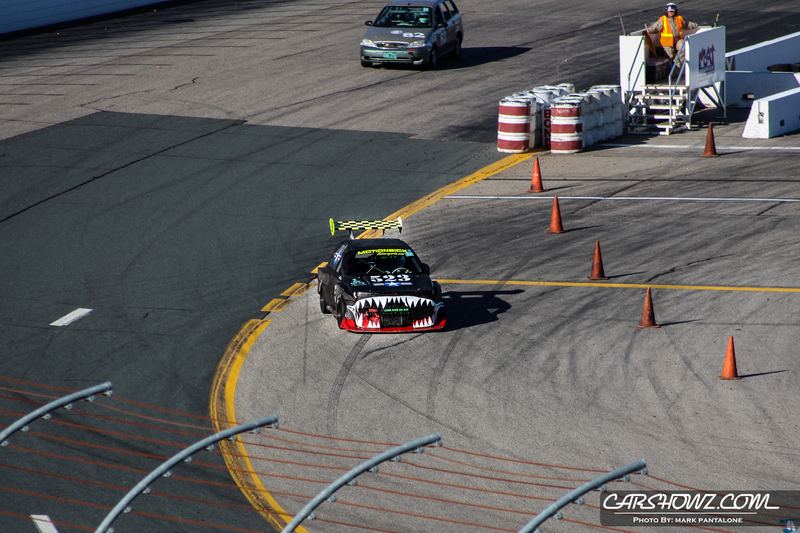 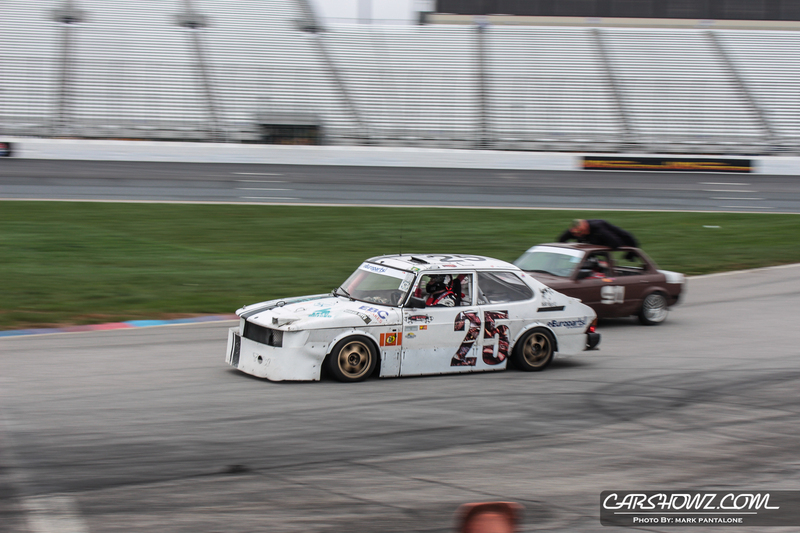 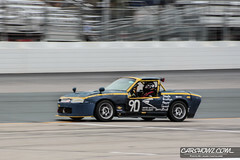 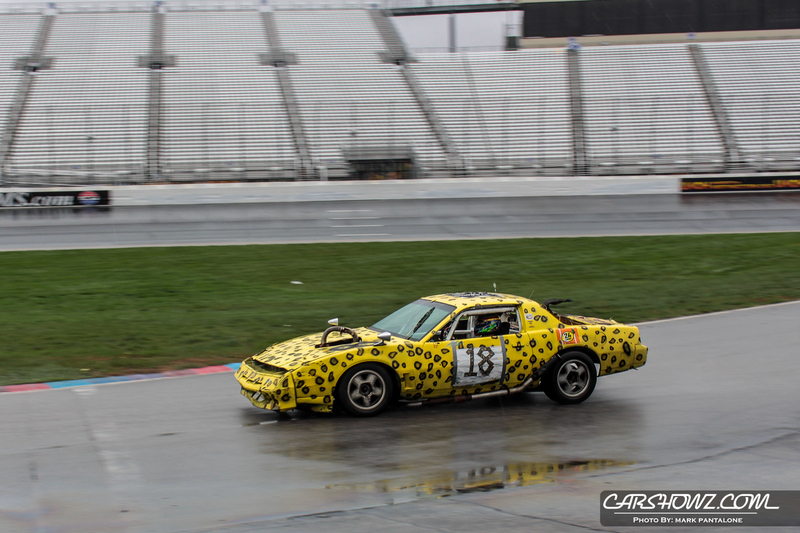 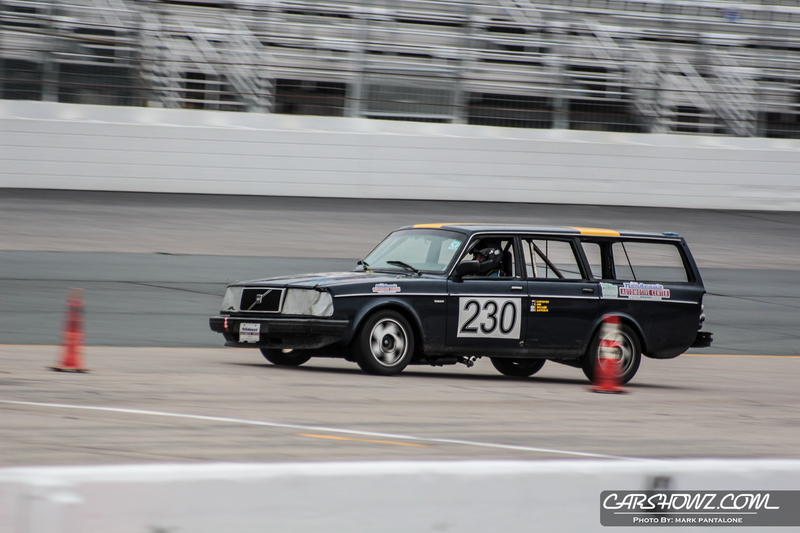 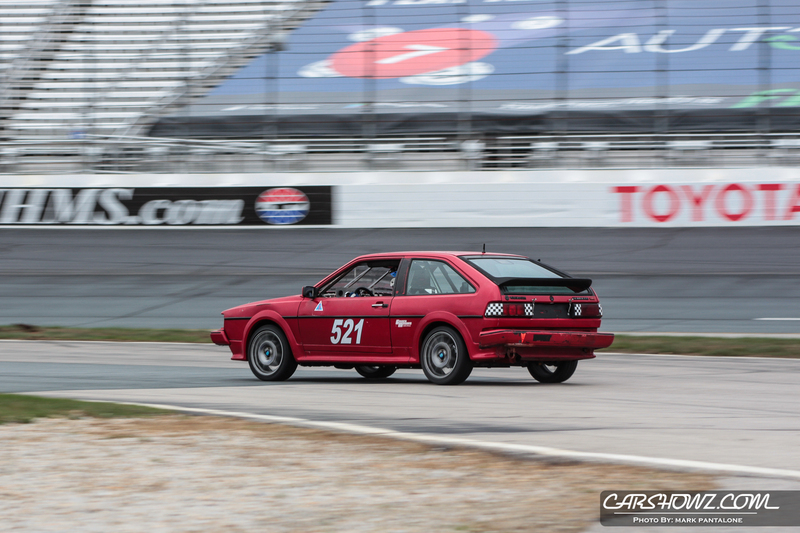 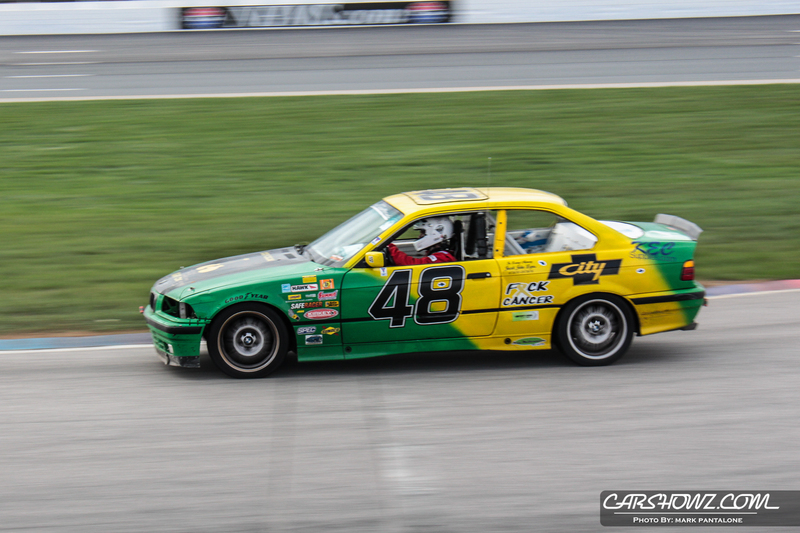 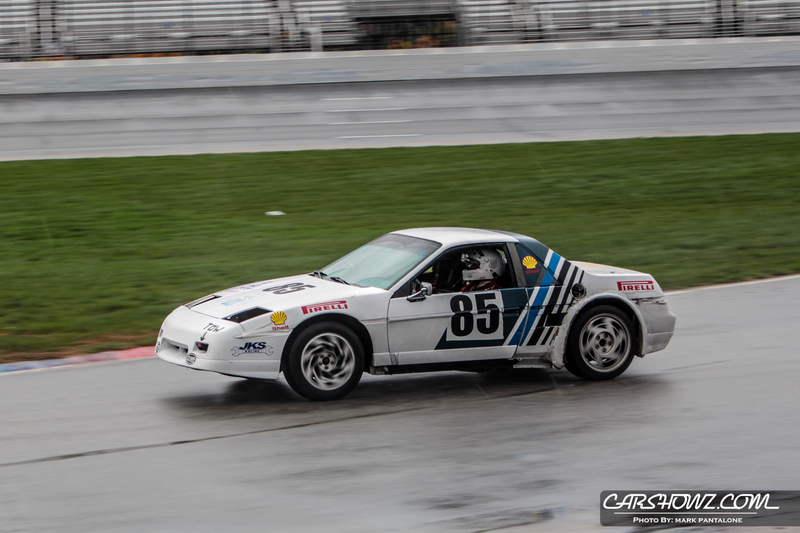 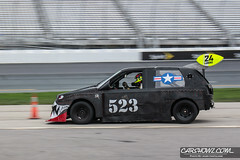 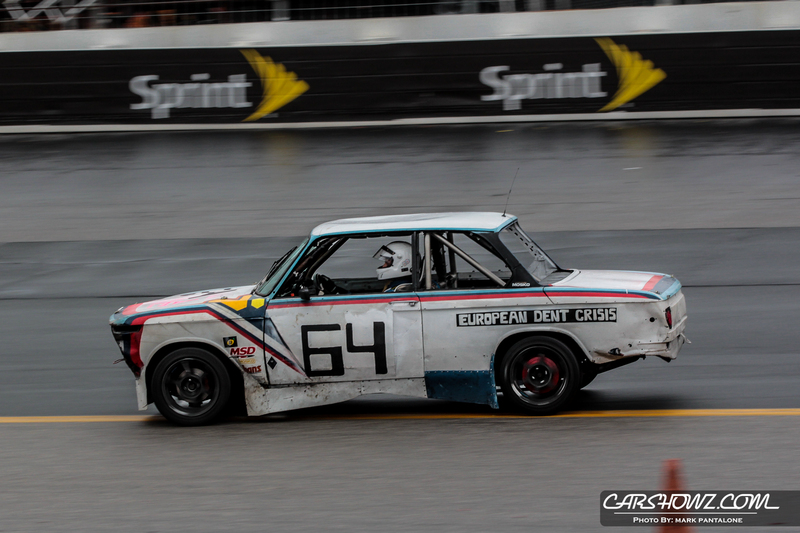 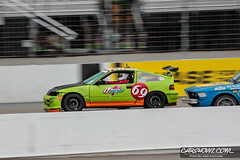 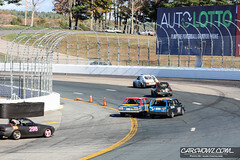 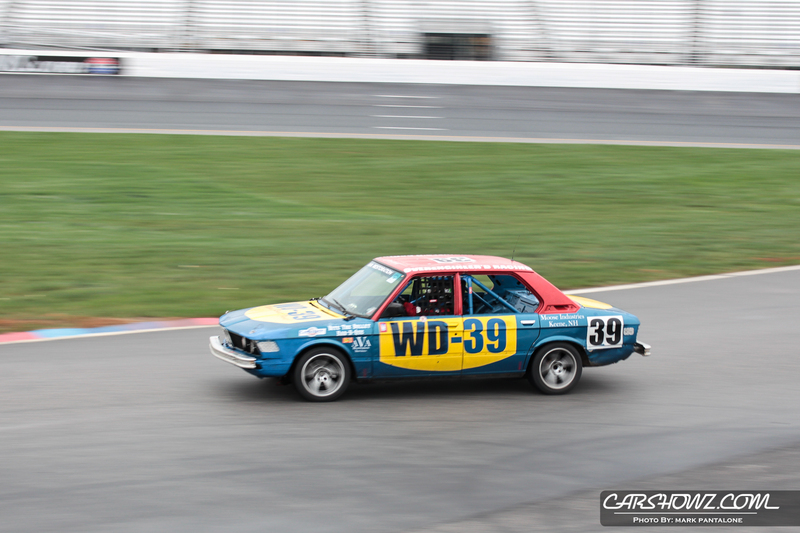 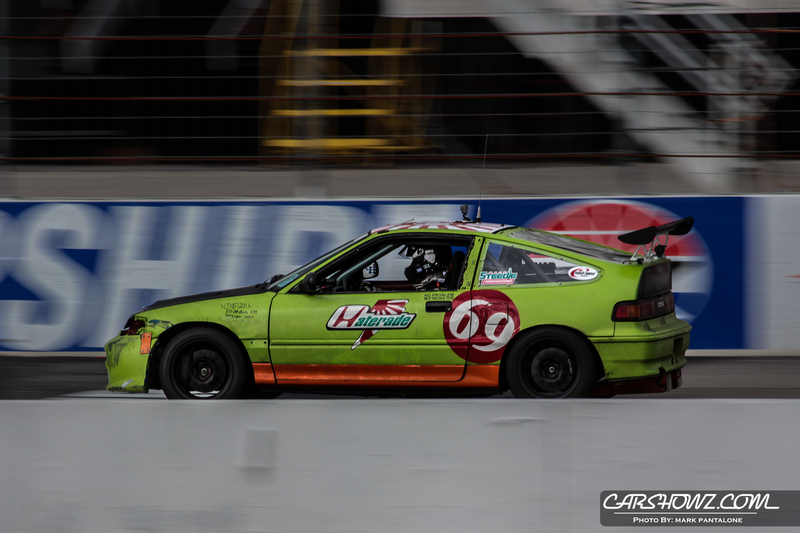 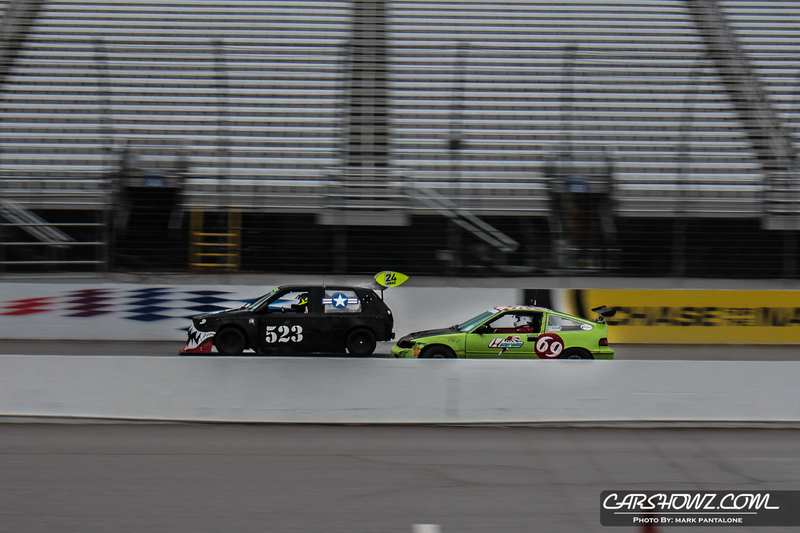 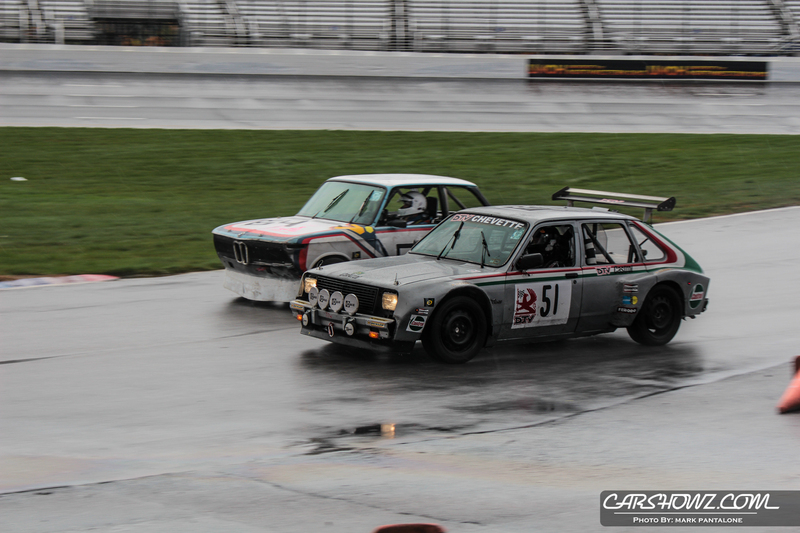 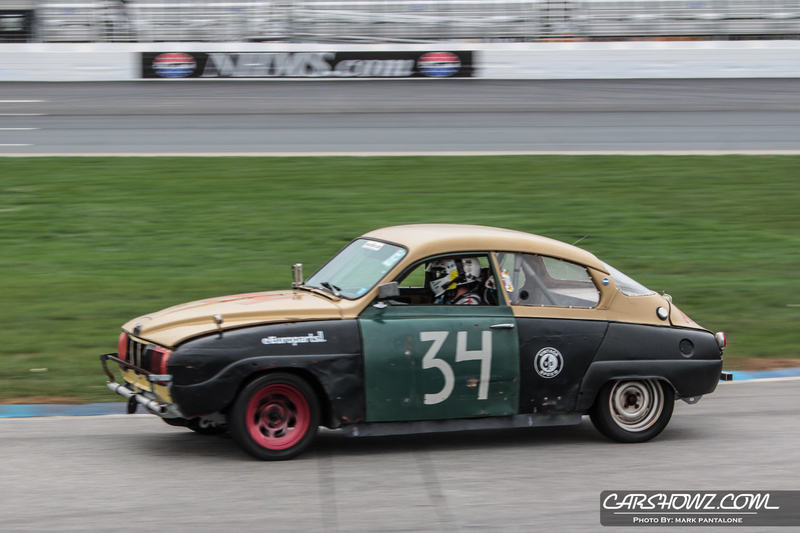 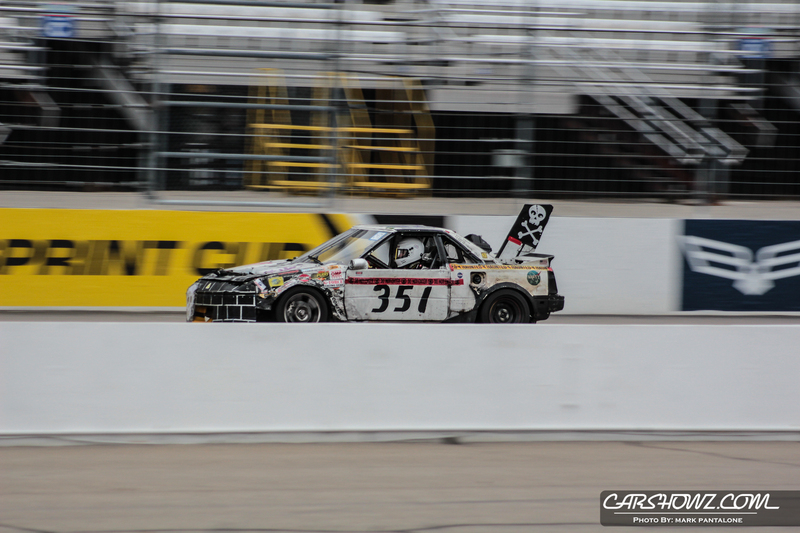 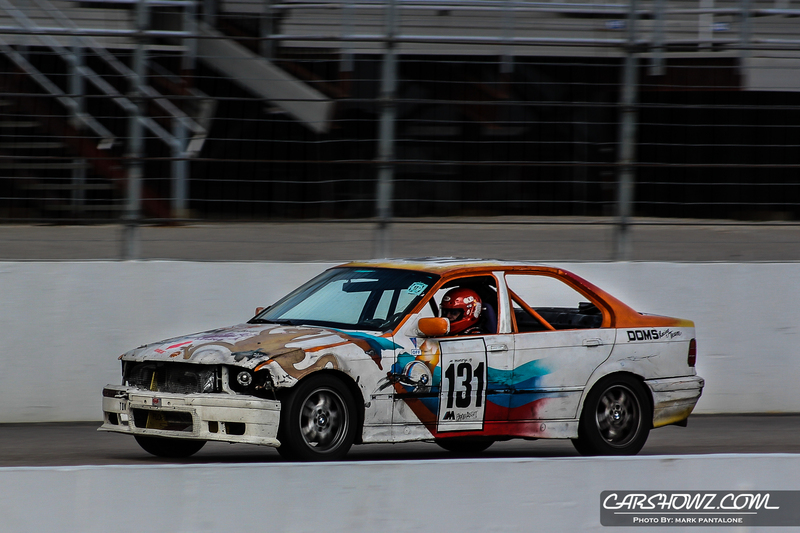 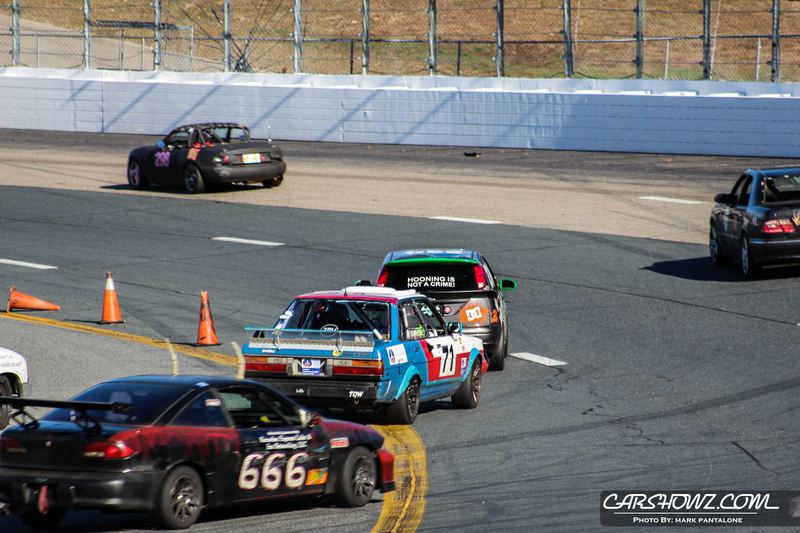 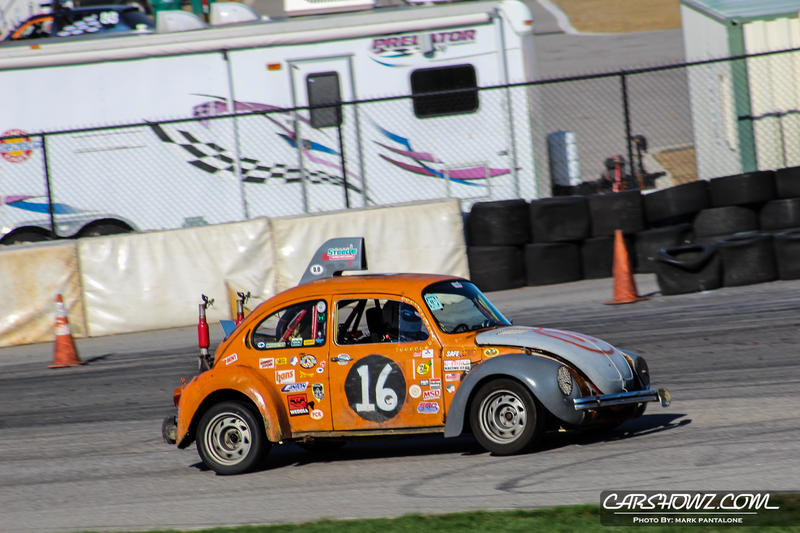 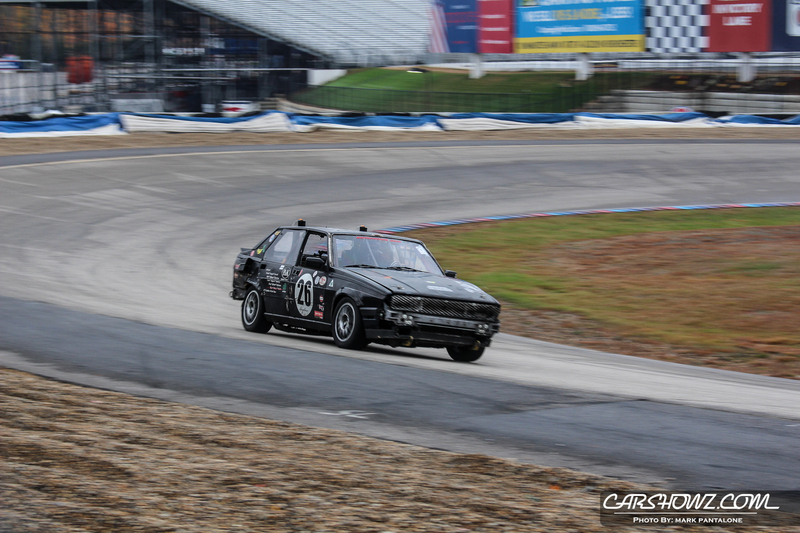 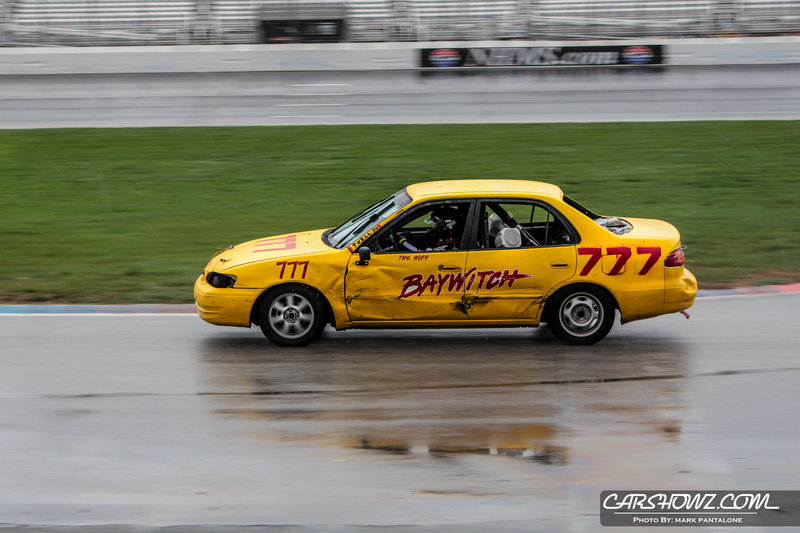 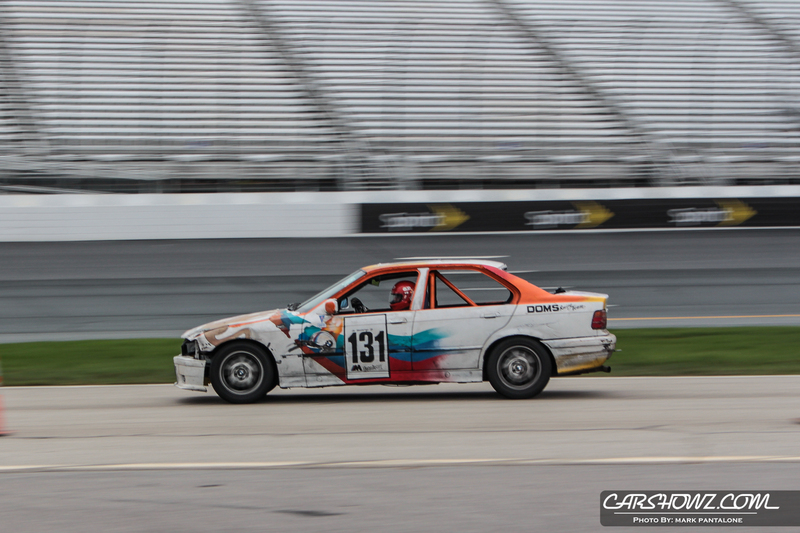 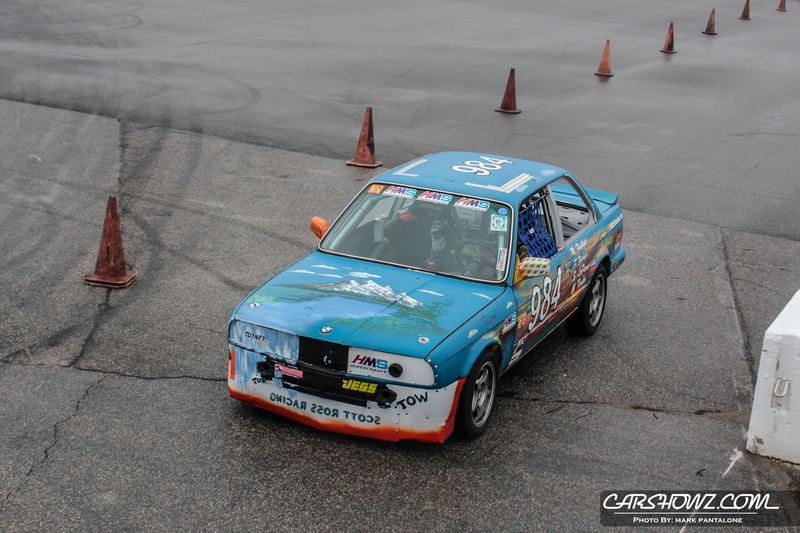 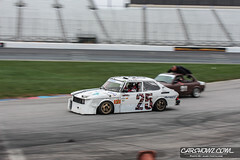 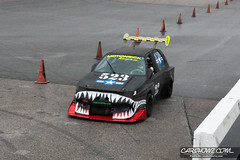 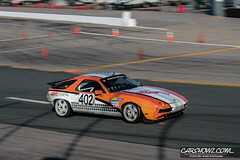 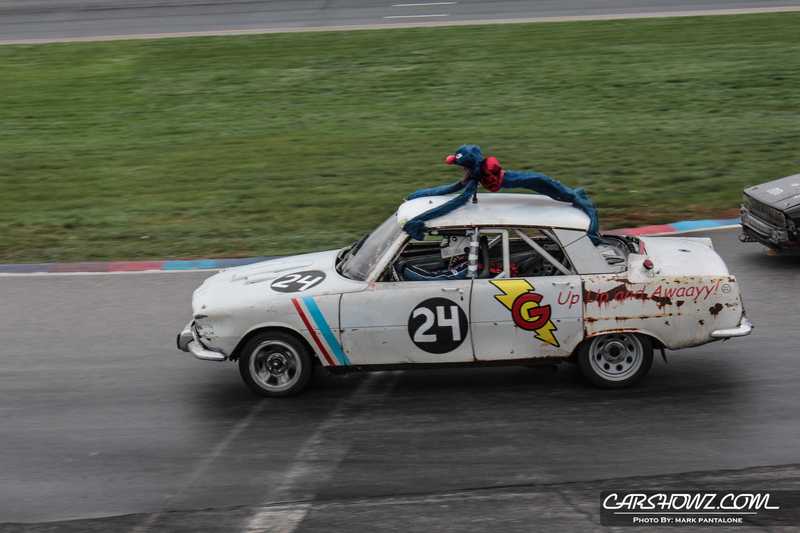 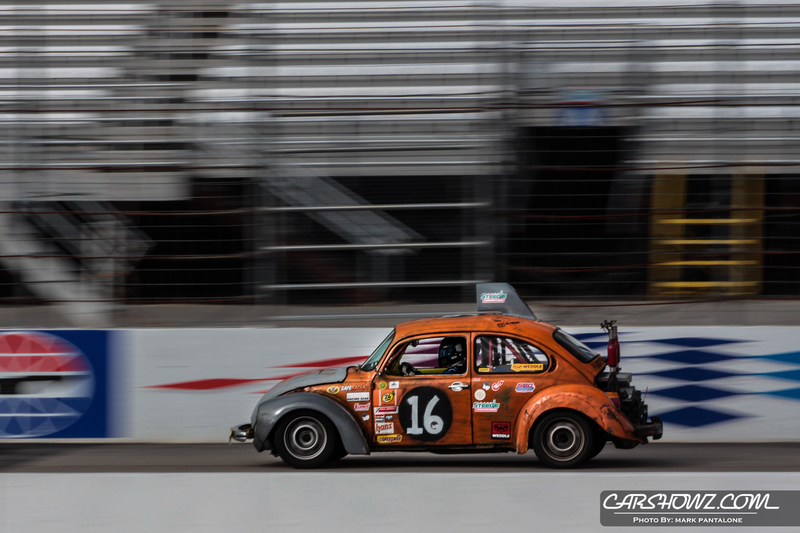 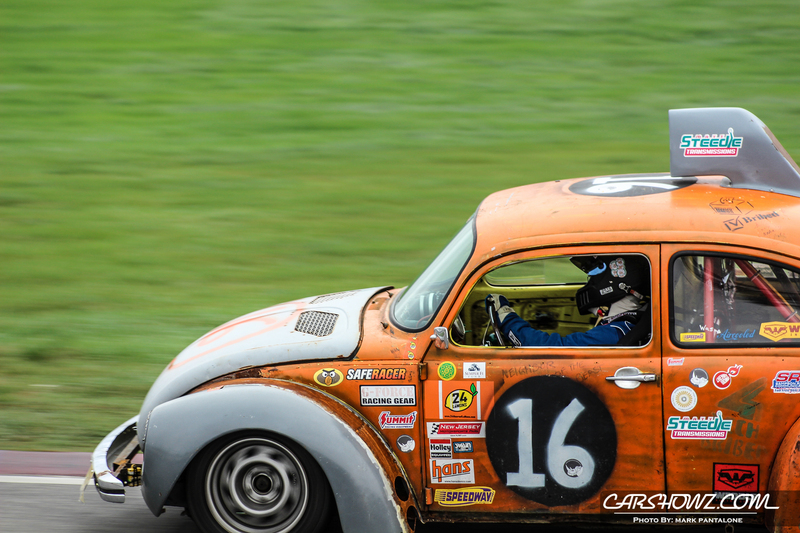 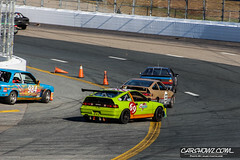 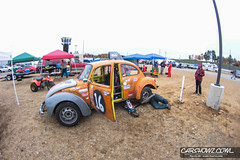 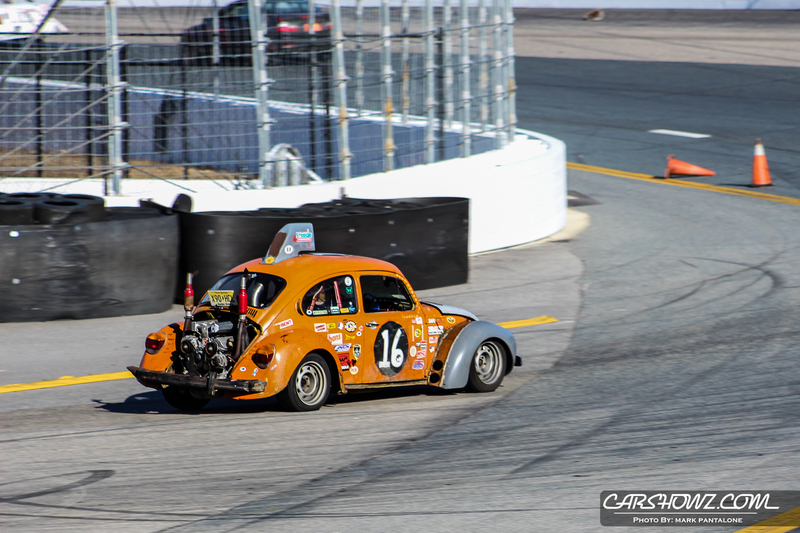 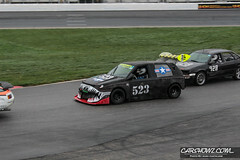 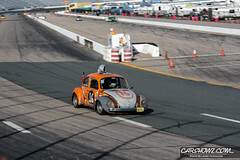 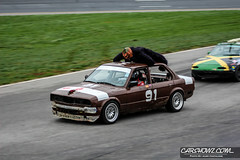 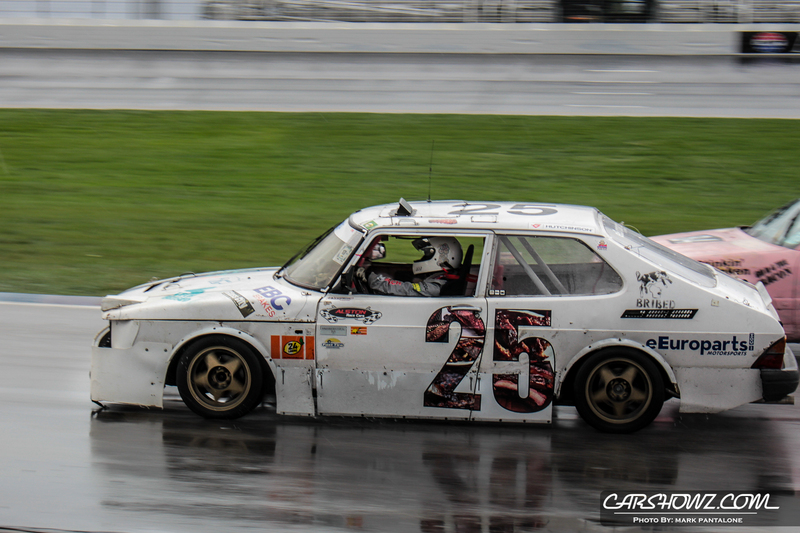 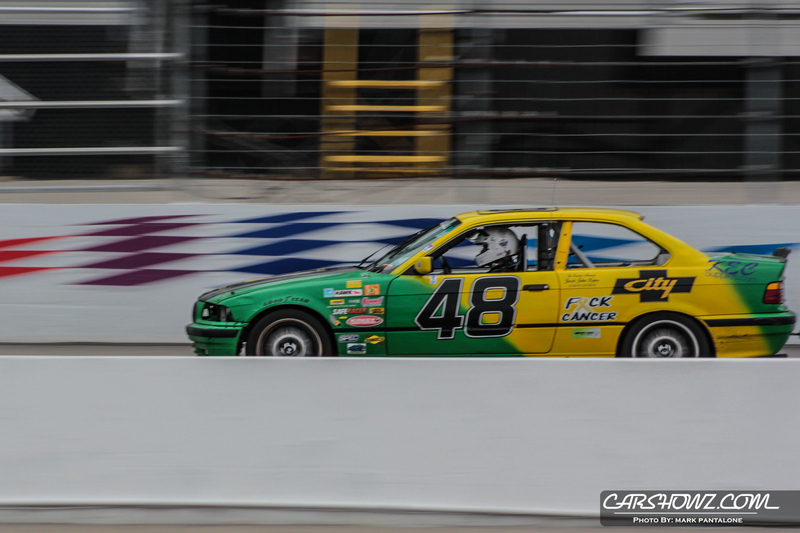 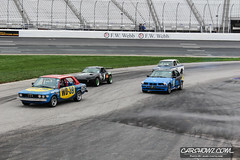 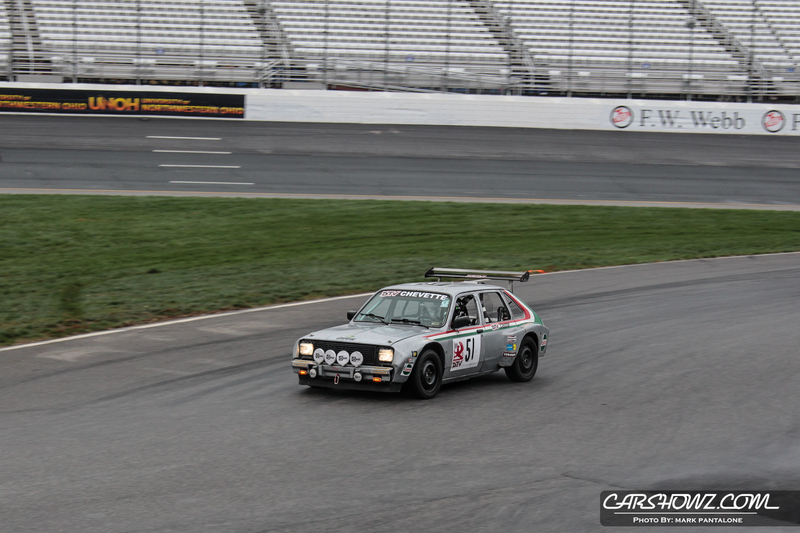 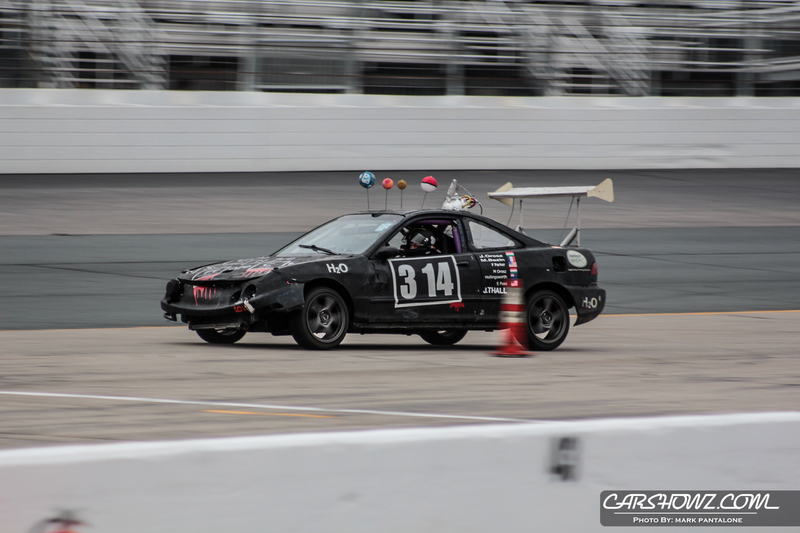 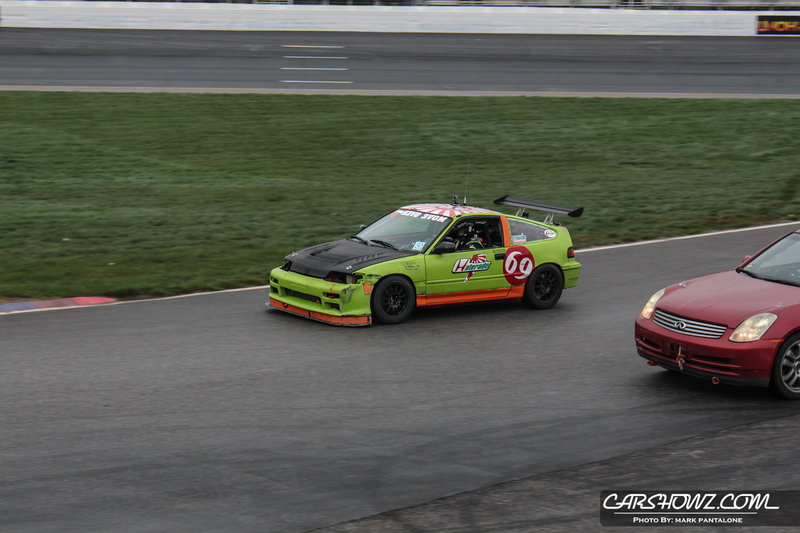 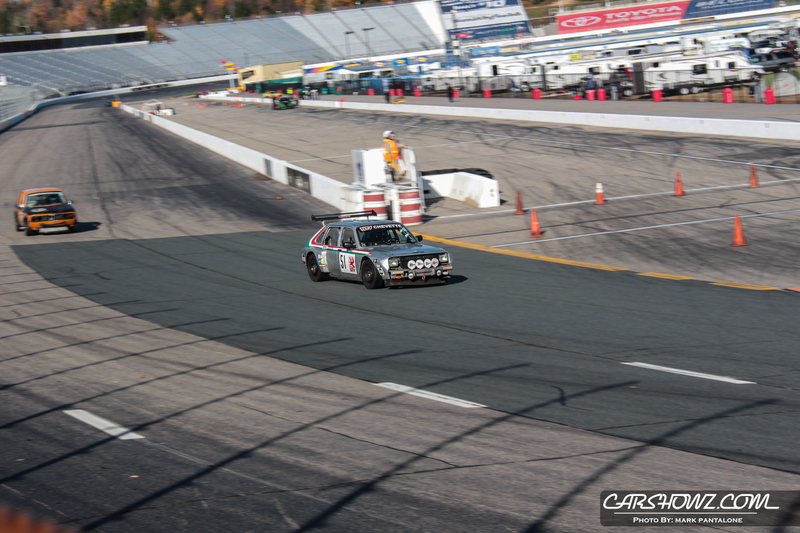 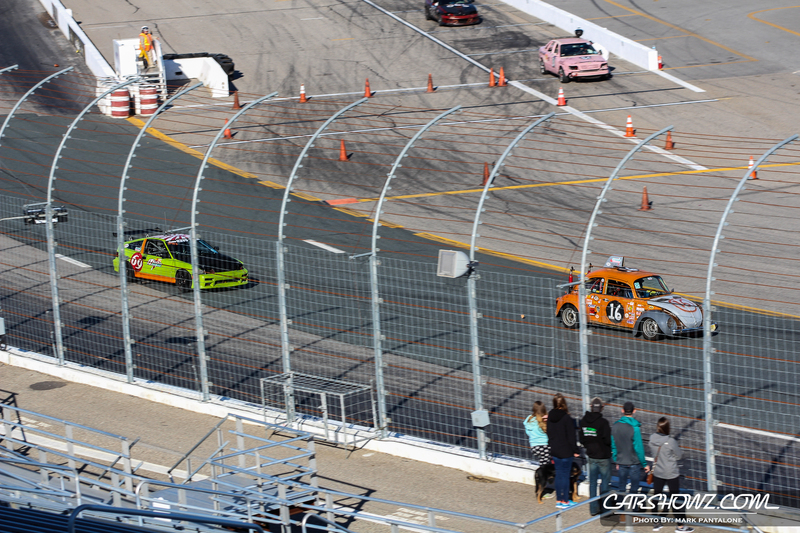 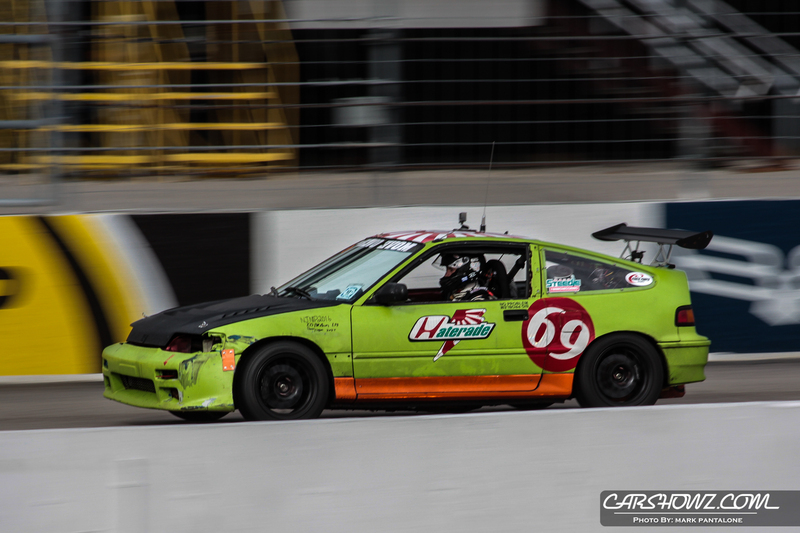 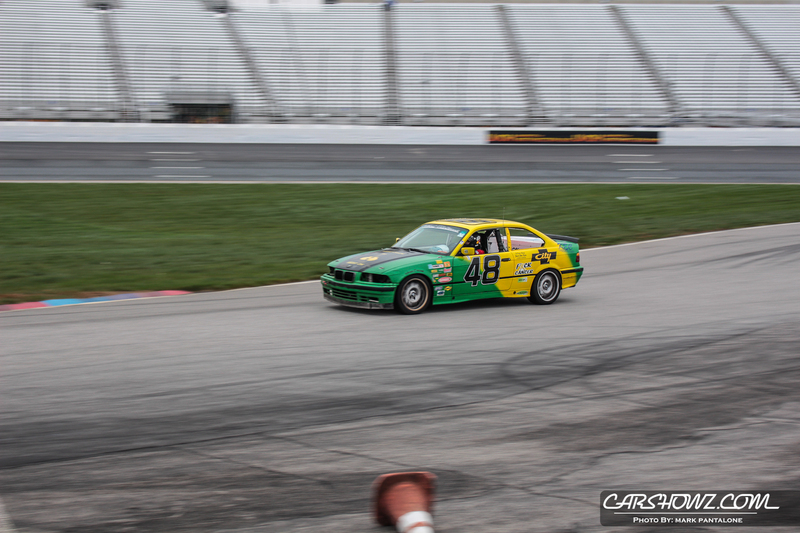 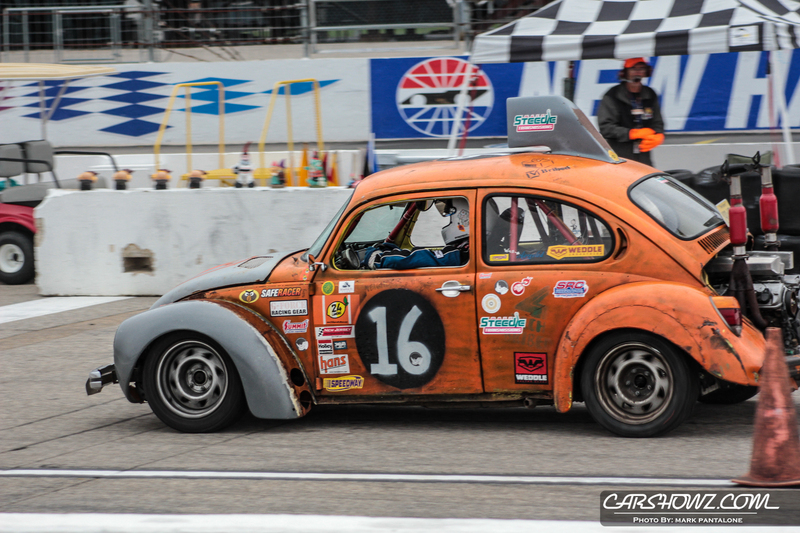 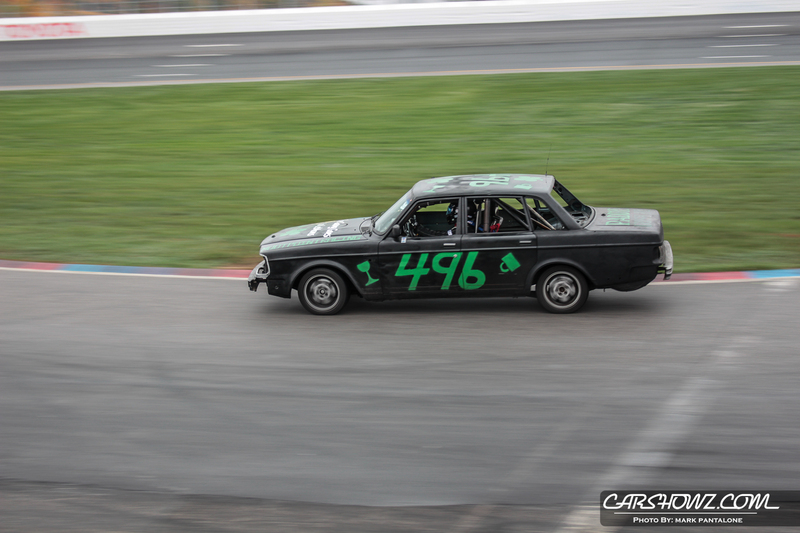 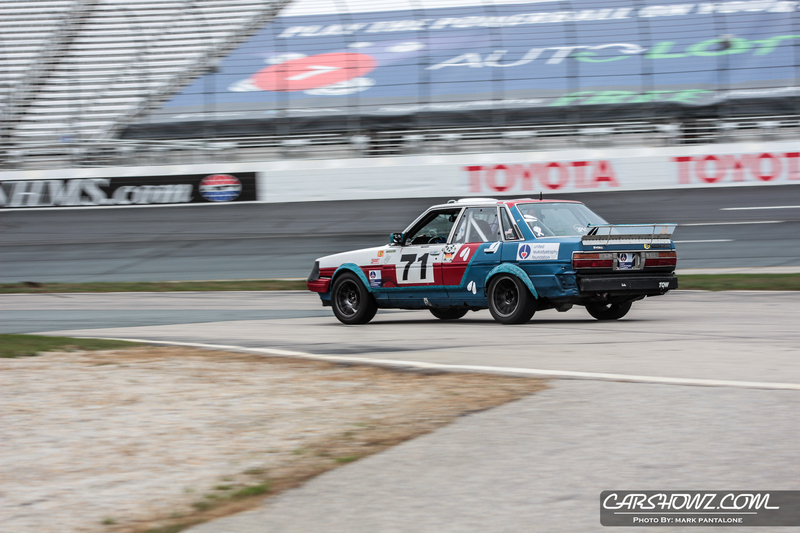 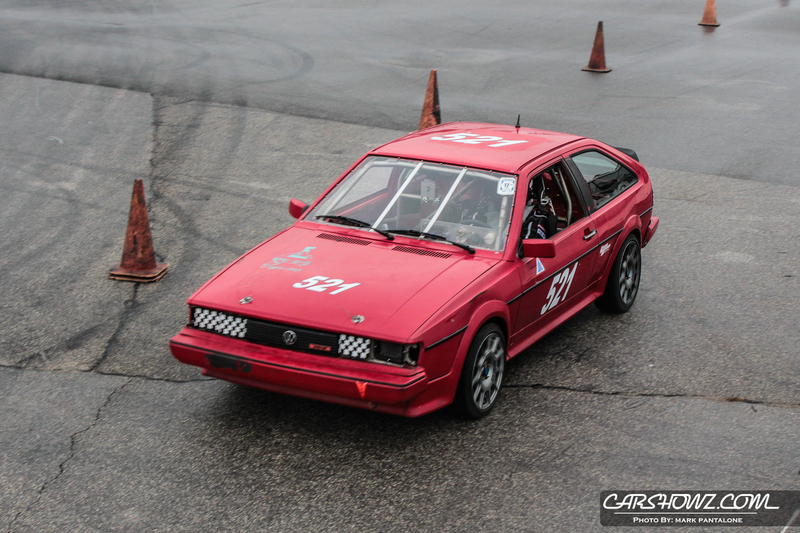 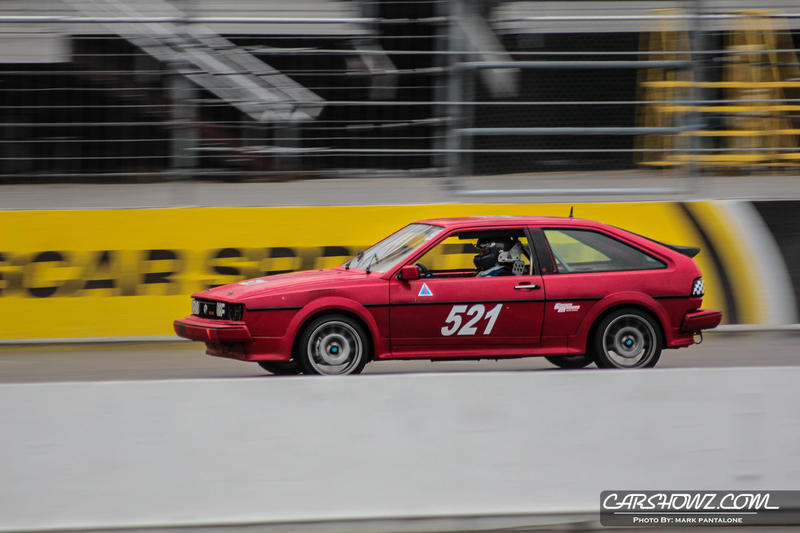 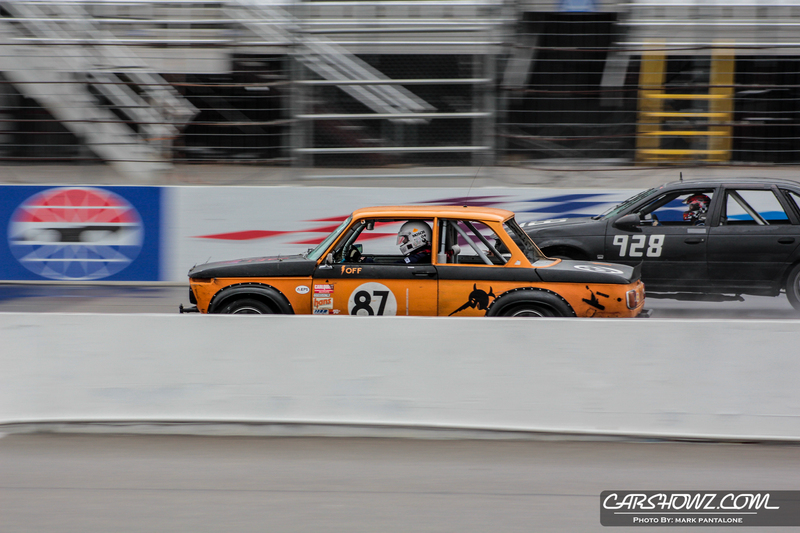 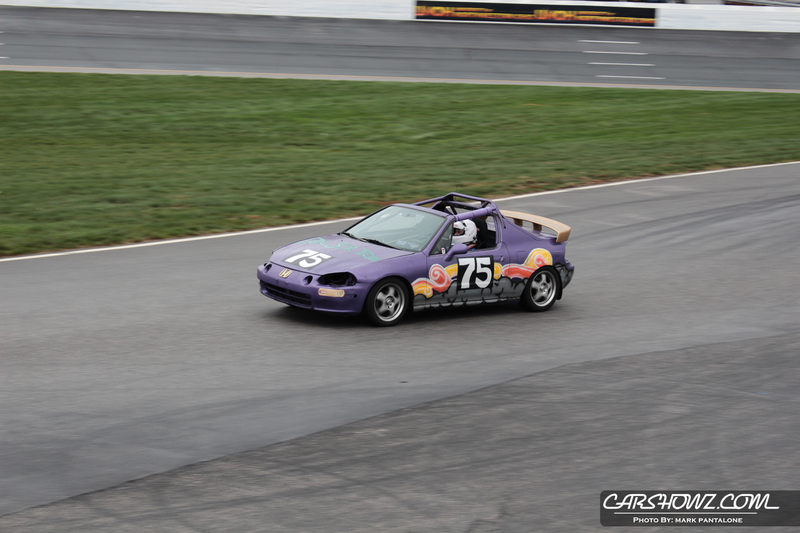 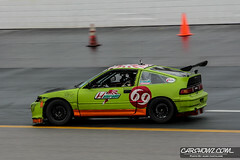 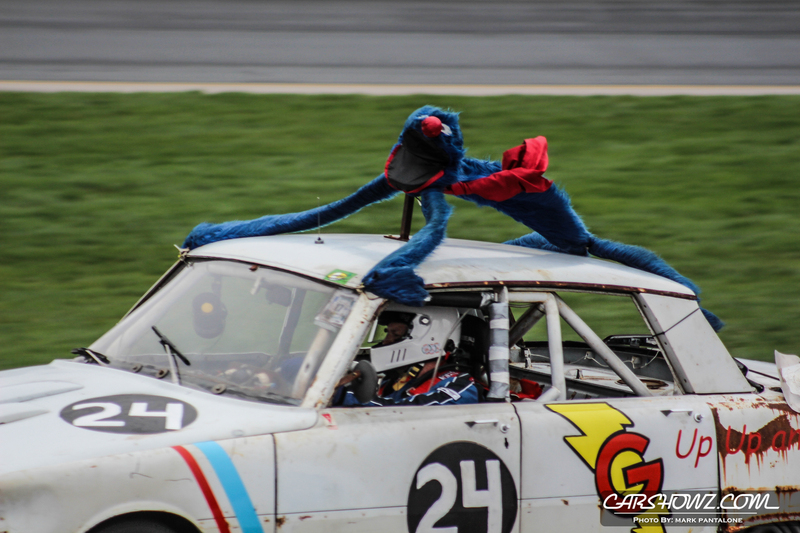 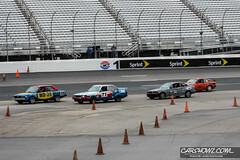 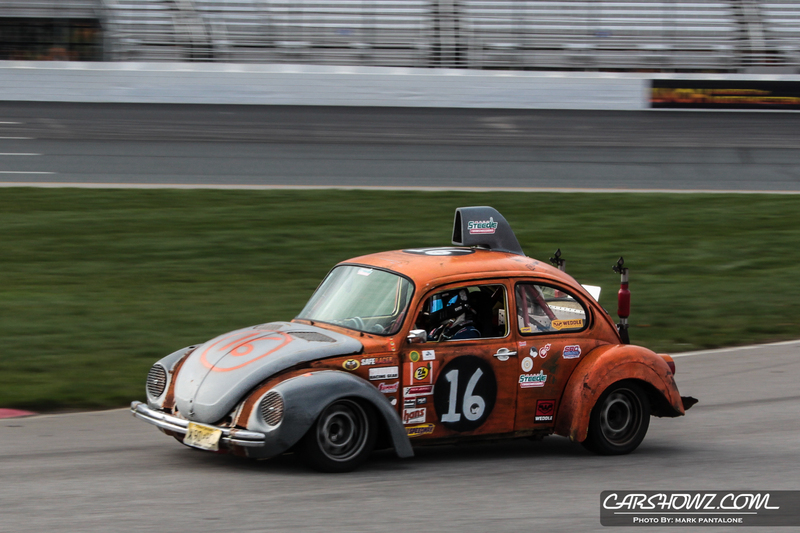 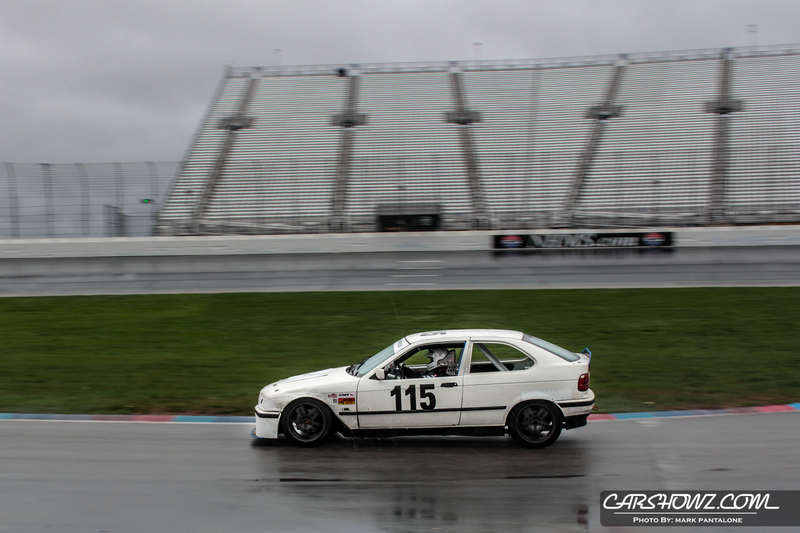 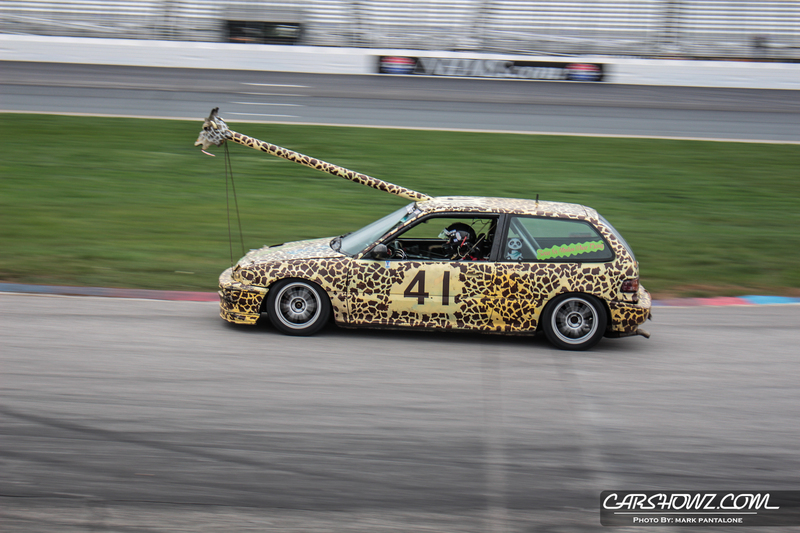 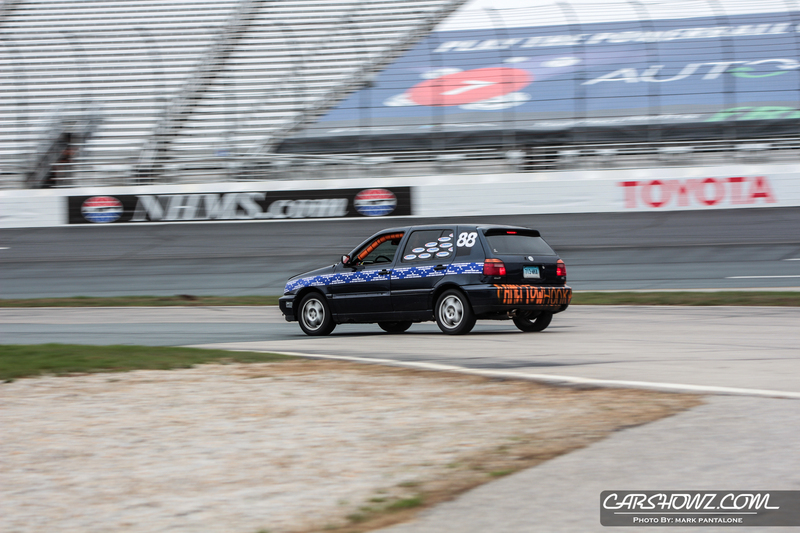 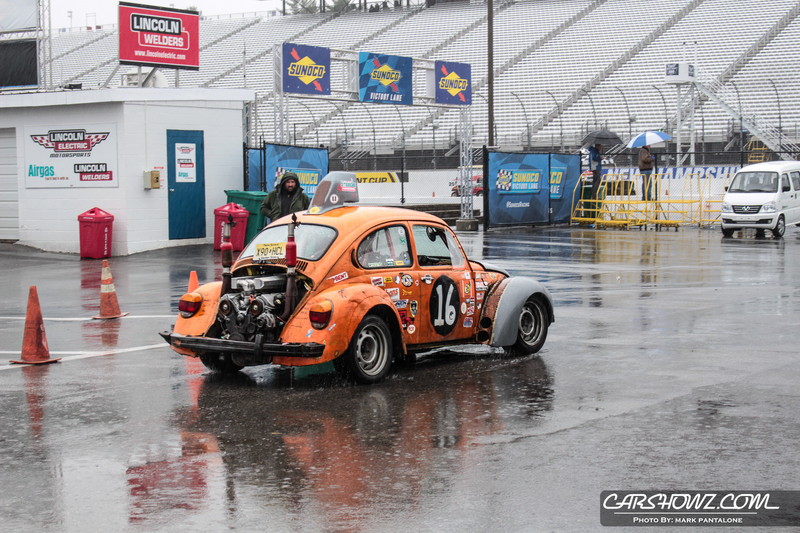 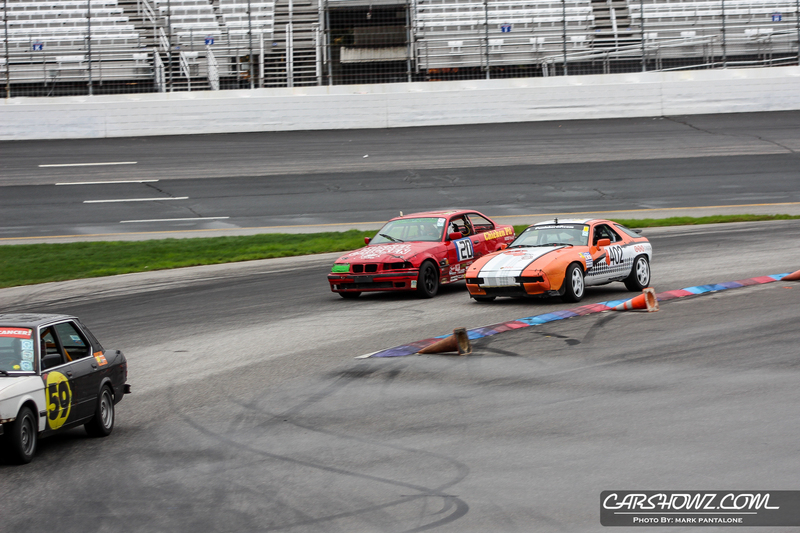 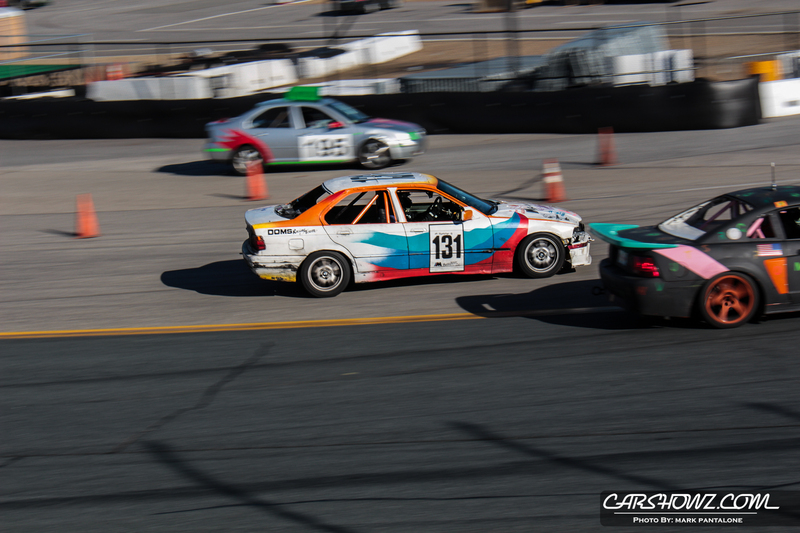 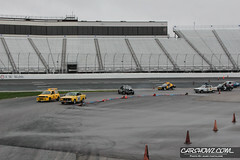 The 24 hours of LeMons Halloween Hooptiefest 2016 was held in Loudon, NH at the New Hampshire Motor Speedway. 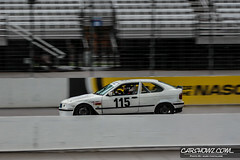 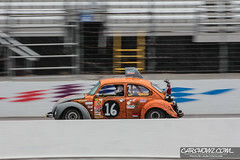 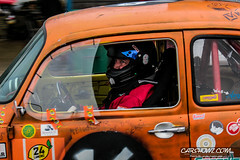 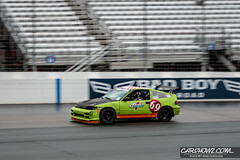 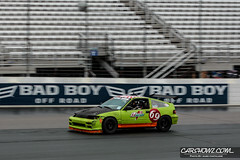 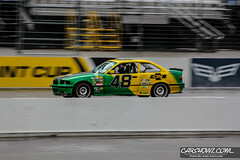 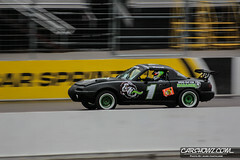 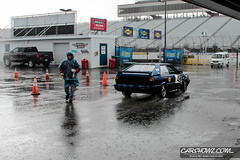 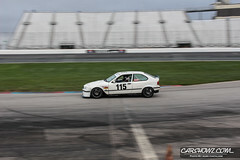 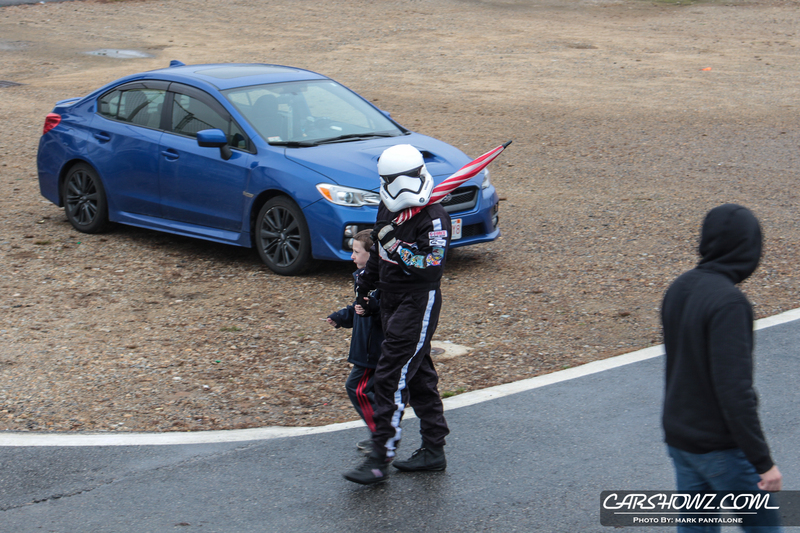 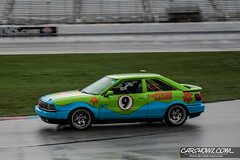 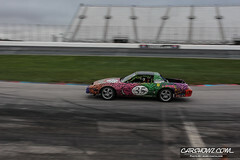 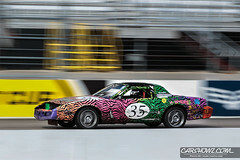 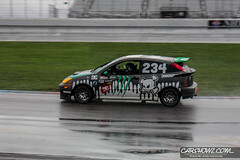 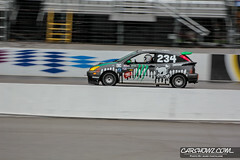 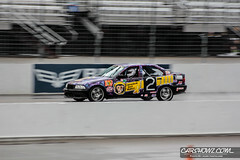 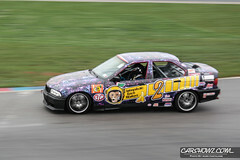 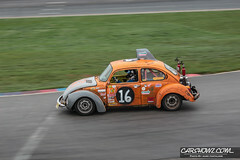 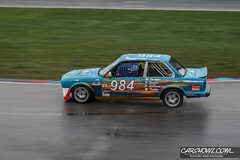 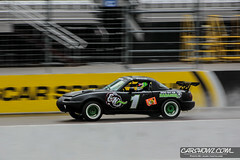 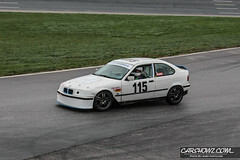 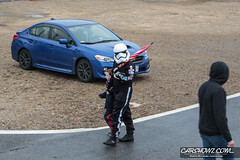 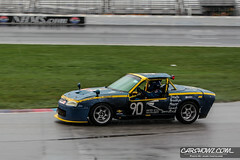 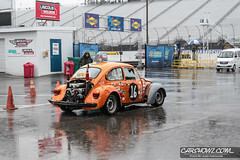 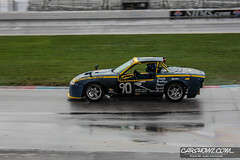 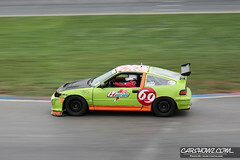 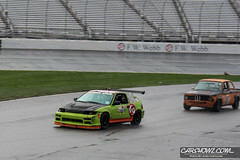 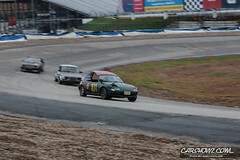 The weather started out with overcast skies and some rain but this didn’t stop participants from taking their unique rides to the track. 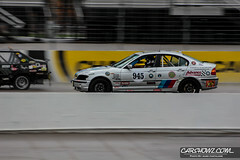 On track you could find a wide variety of race prepped very cheap cars with drivers doing there best to compete in the changeable weather. 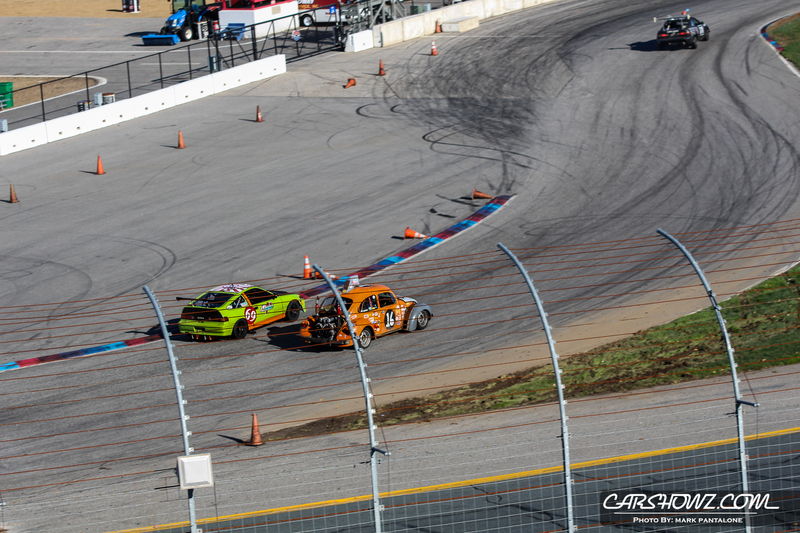 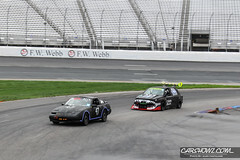 Luckily there were no major on track incidents of note and everyone seemed to have a fun time. 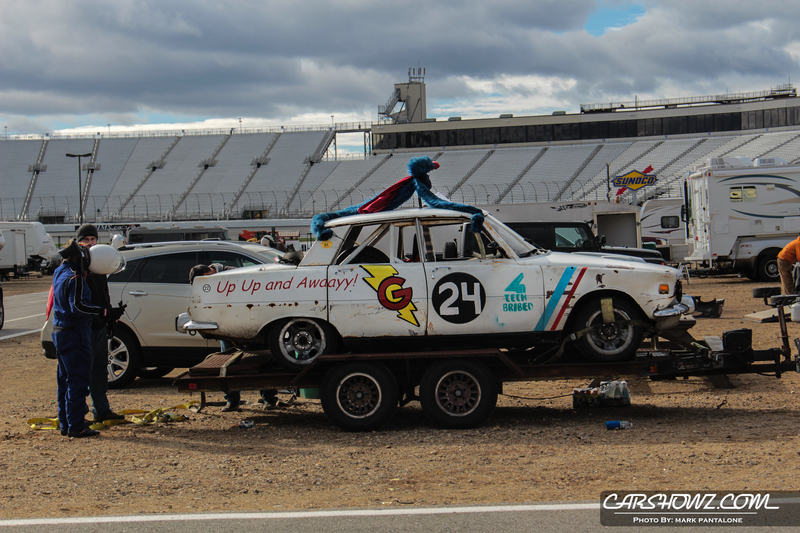 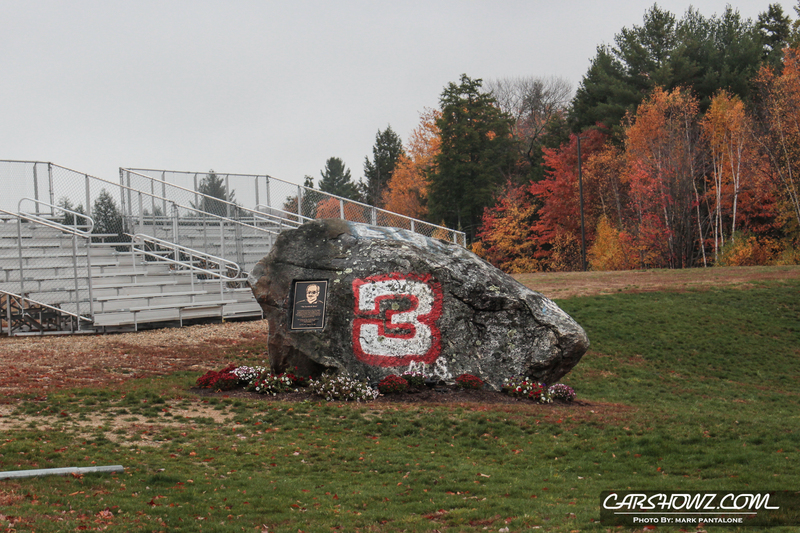 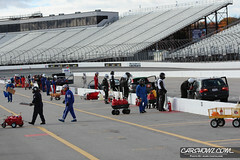 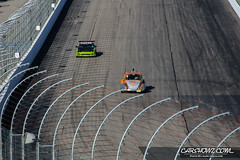 The event travels around the country from track to track and you never know what will show up on race day. 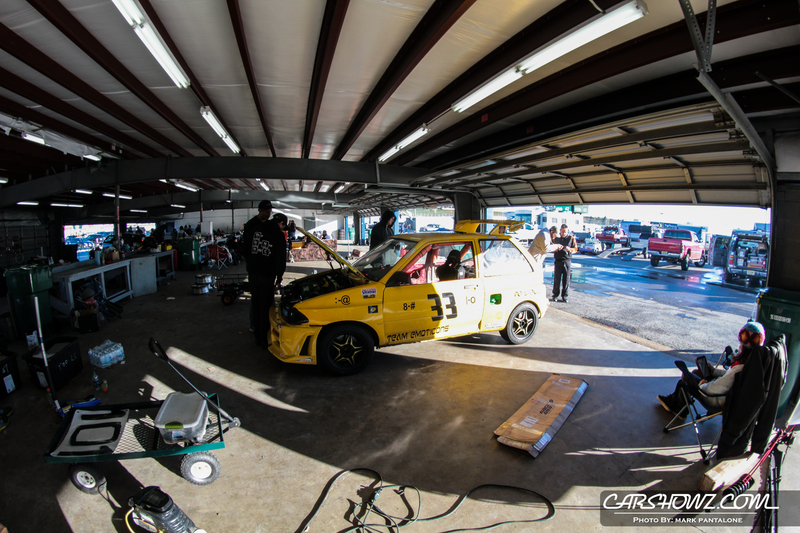 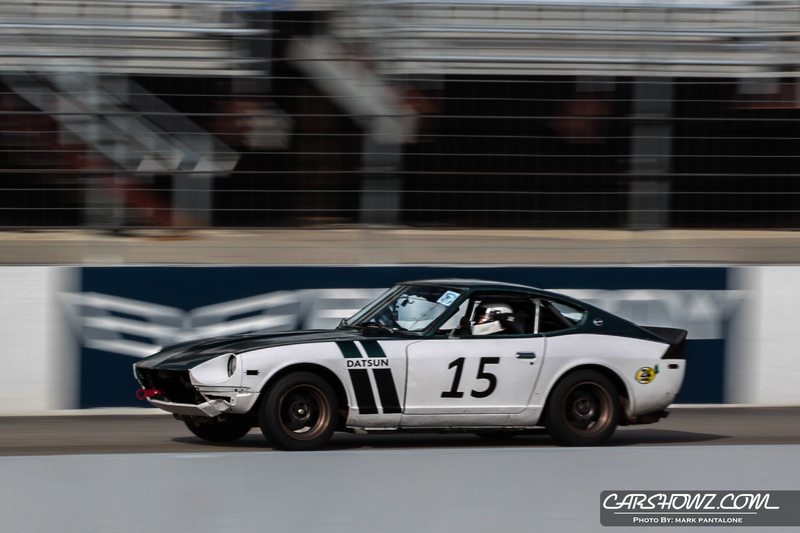 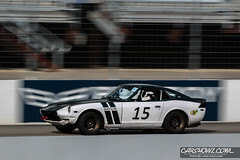 Everything from a 952 Chrysler New Yorker to a Datsun 280ZX 2+2 and everything you could imagine in between can be found in the paddock. 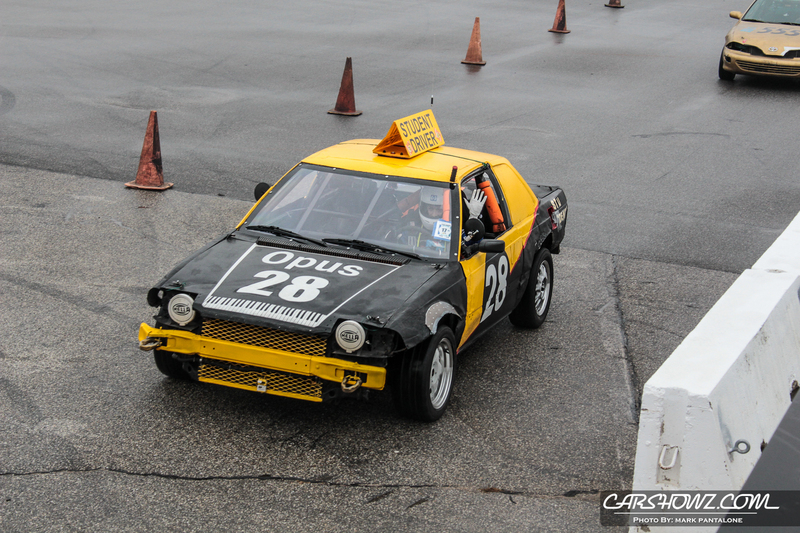 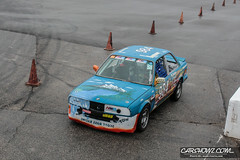 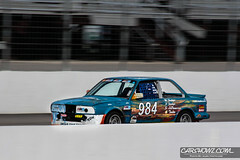 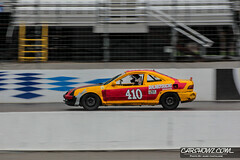 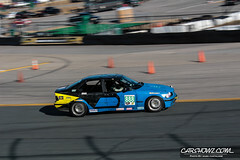 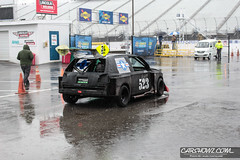 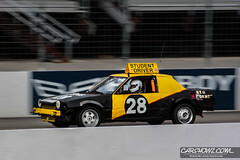 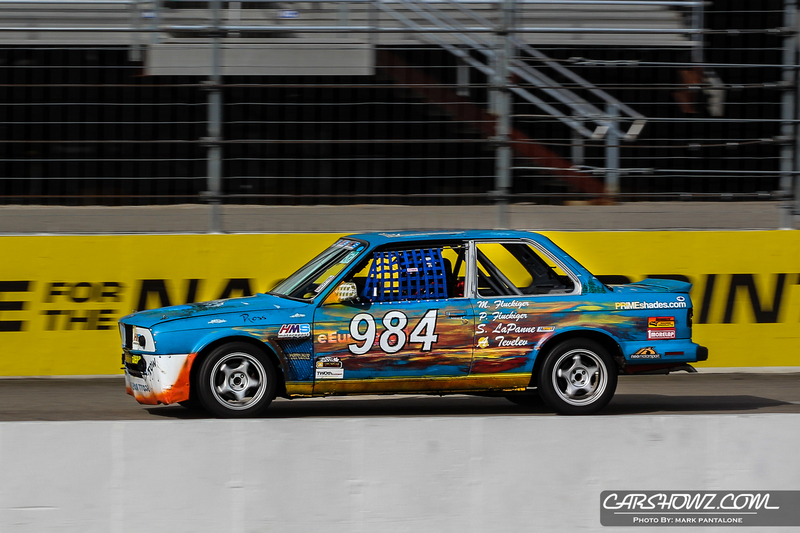 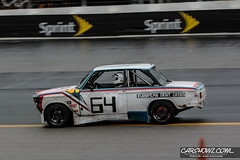 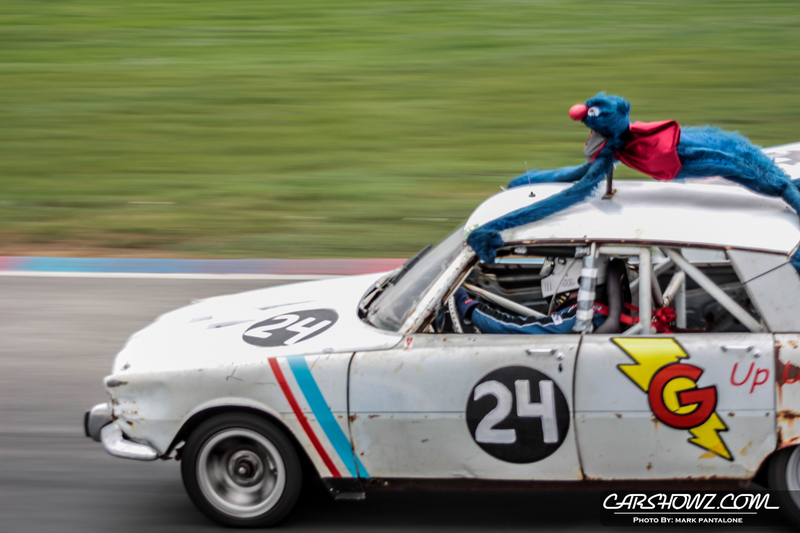 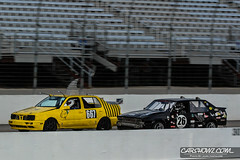 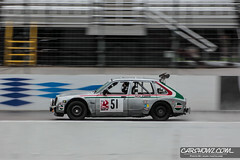 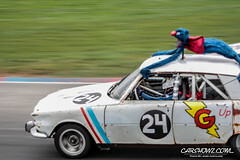 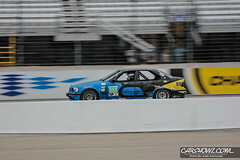 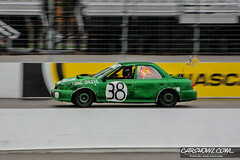 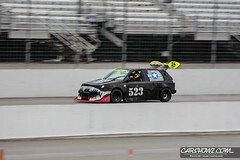 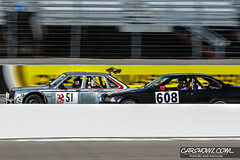 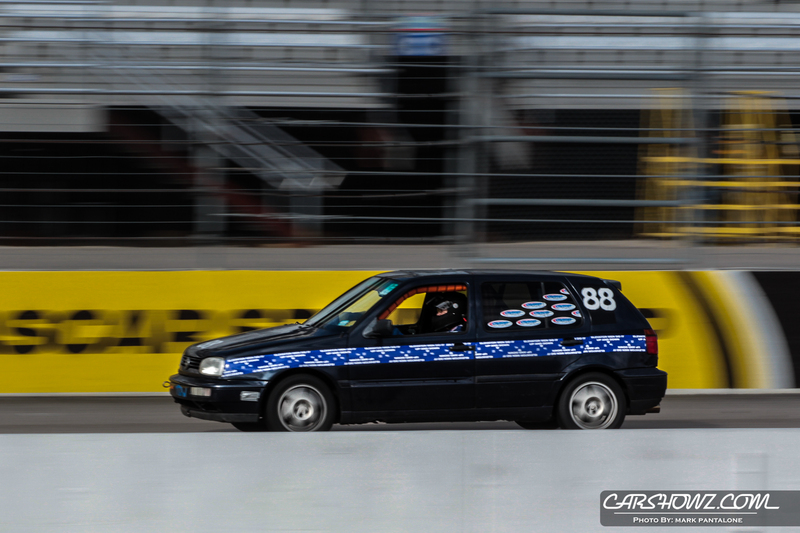 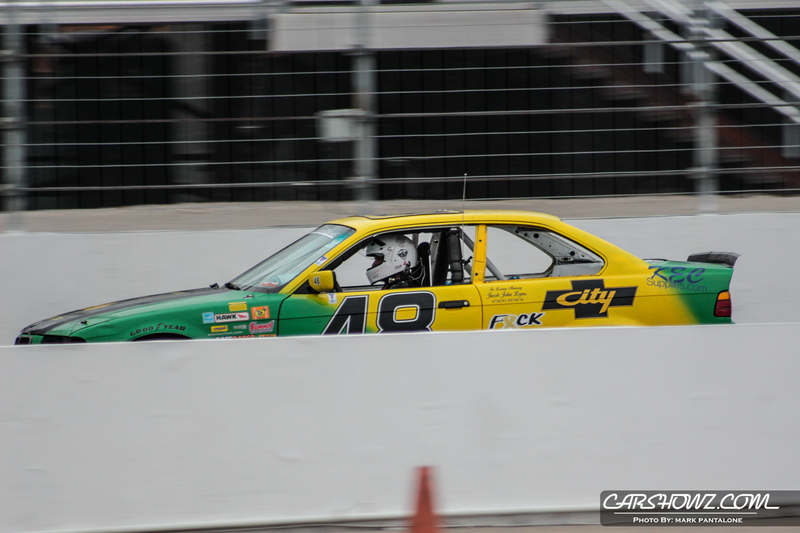 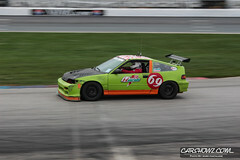 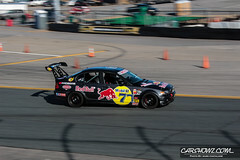 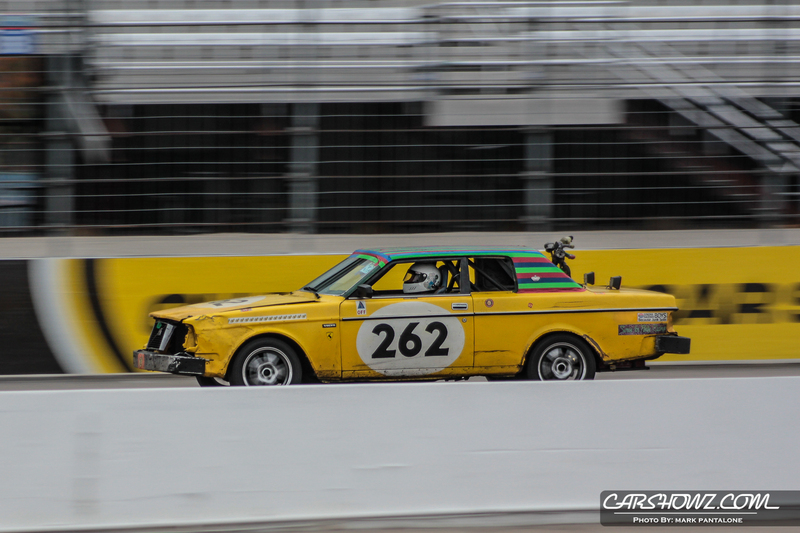 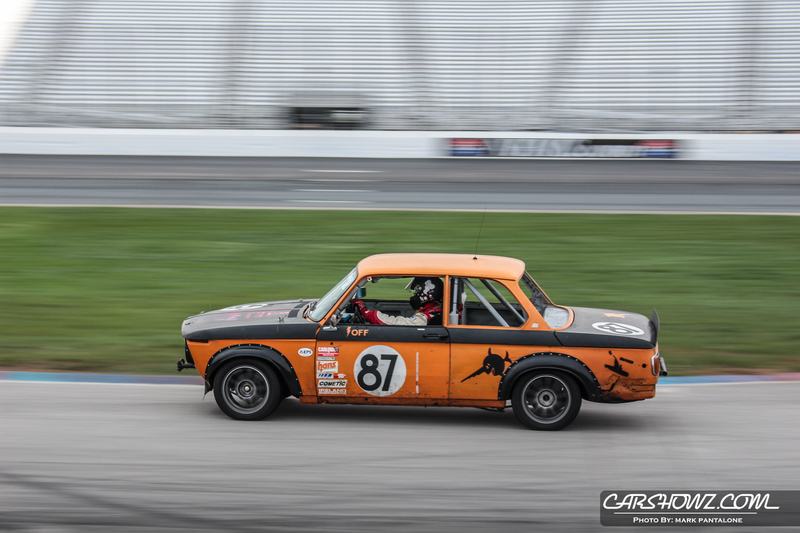 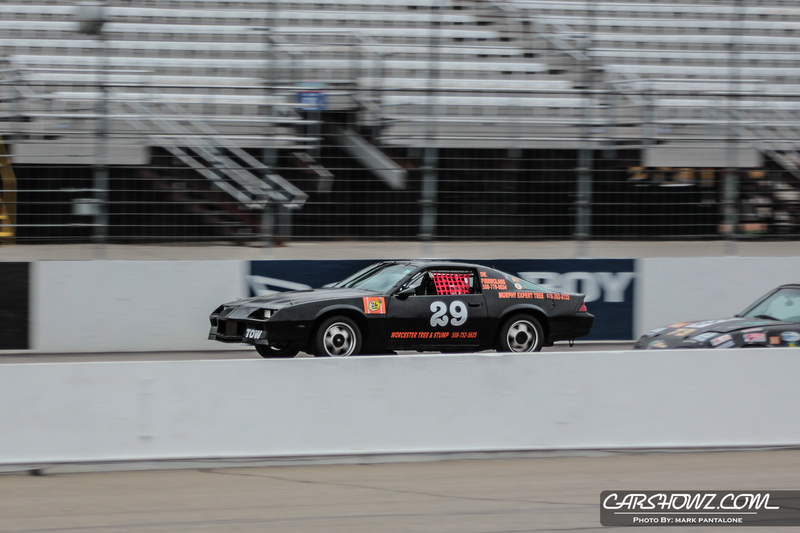 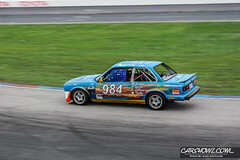 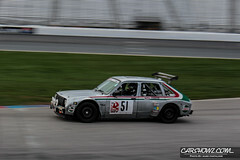 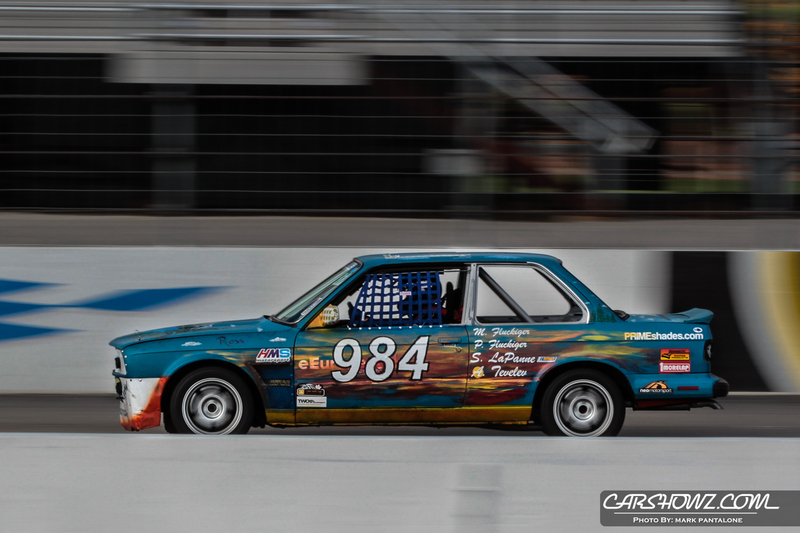 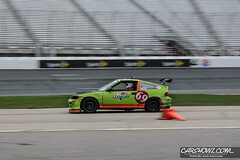 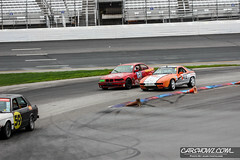 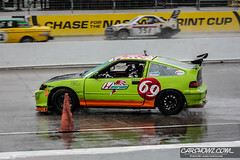 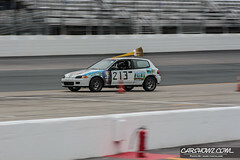 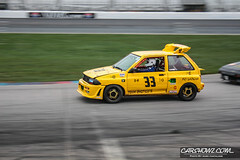 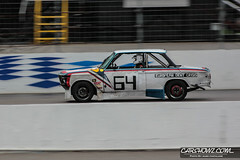 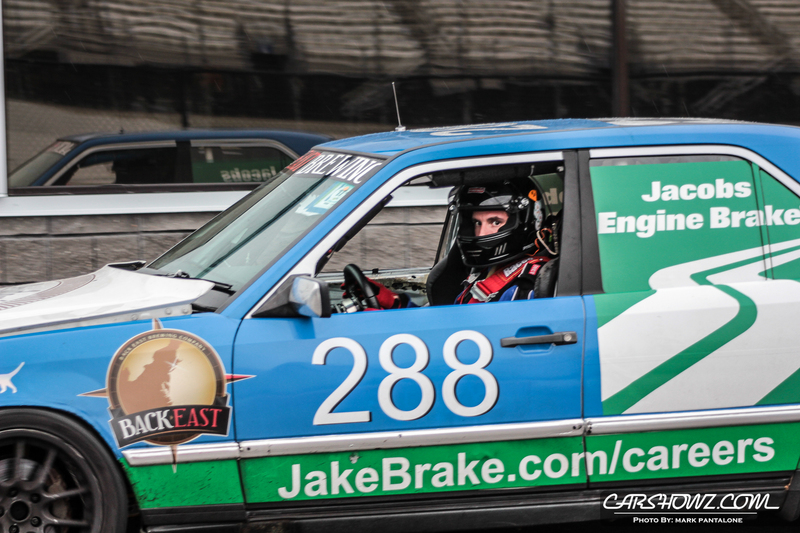 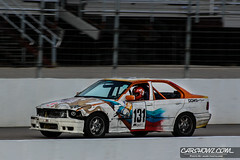 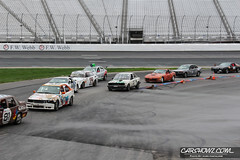 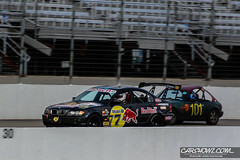 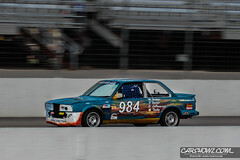 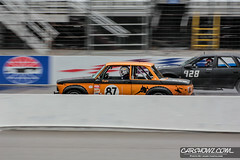 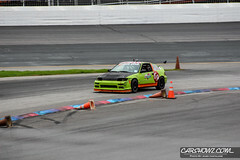 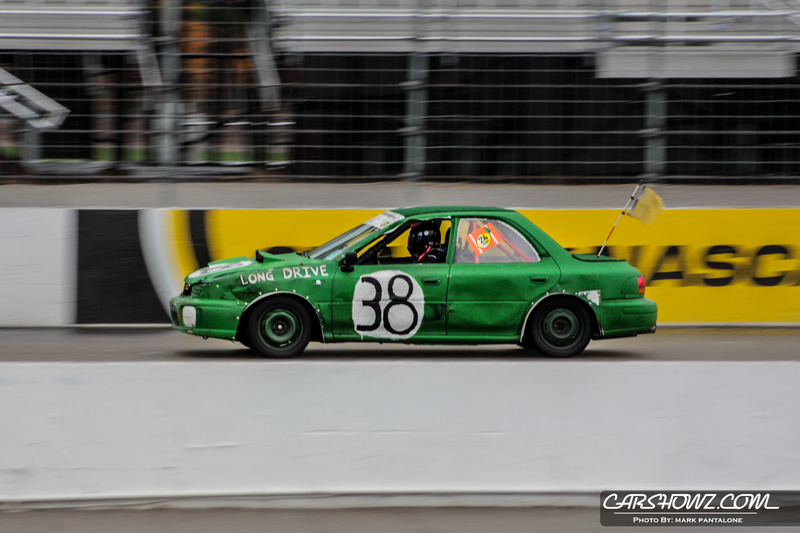 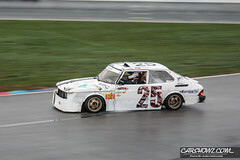 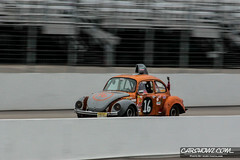 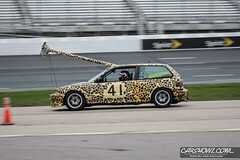 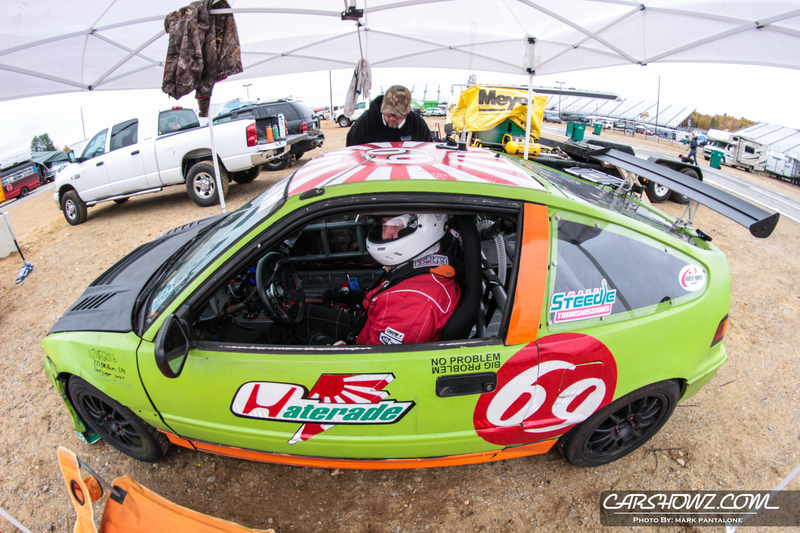 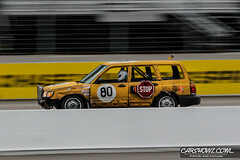 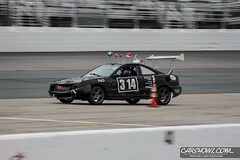 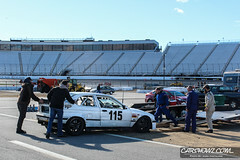 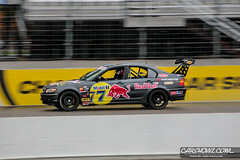 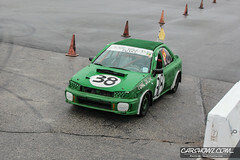 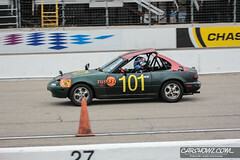 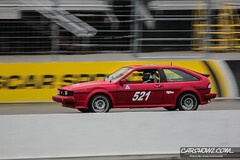 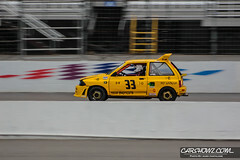 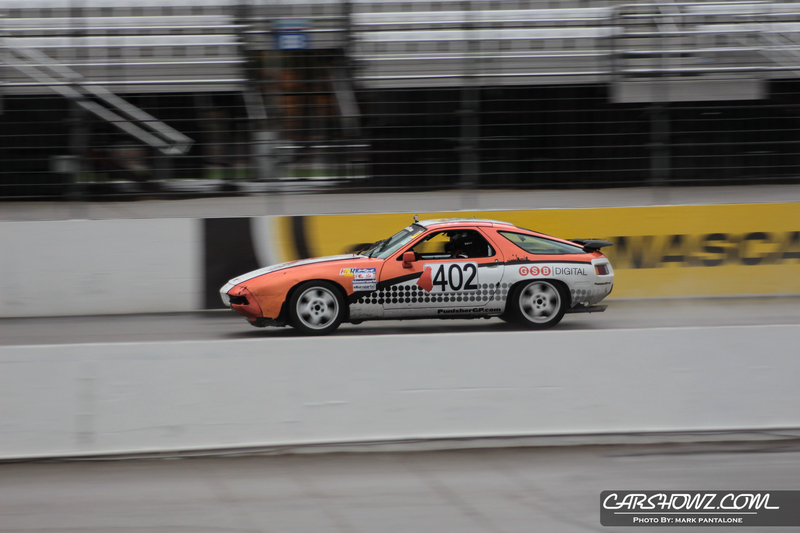 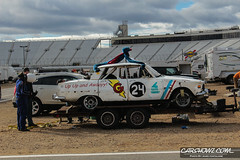 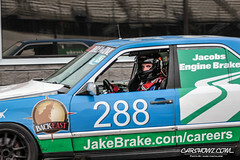 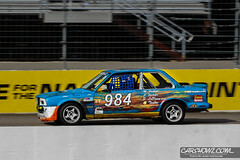 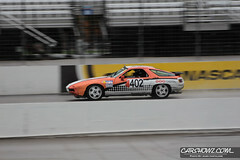 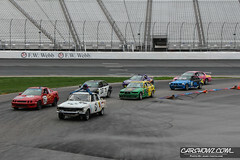 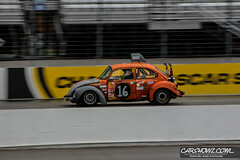 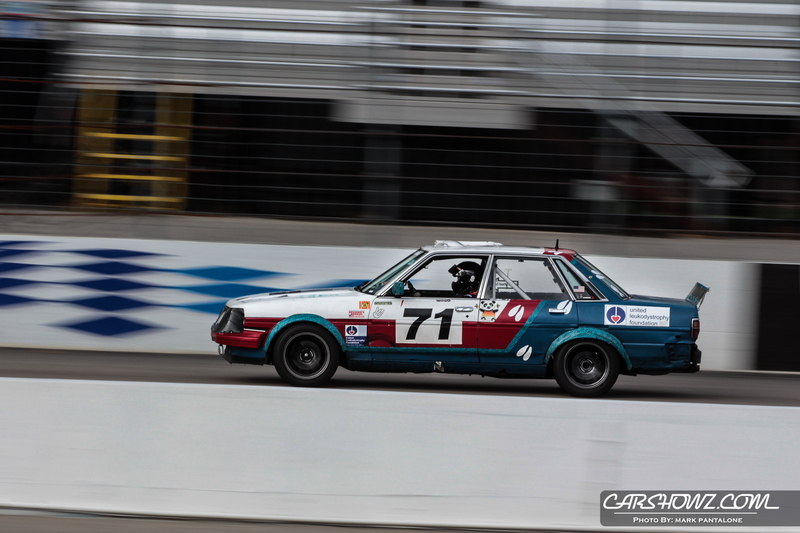 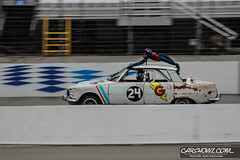 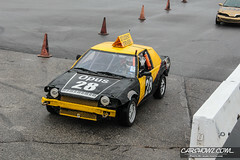 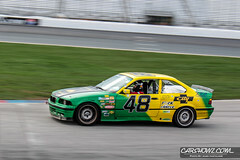 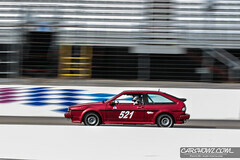 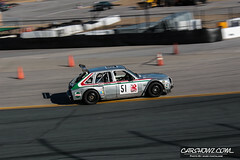 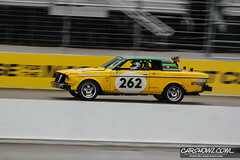 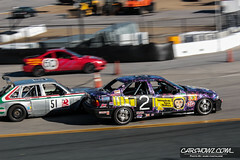 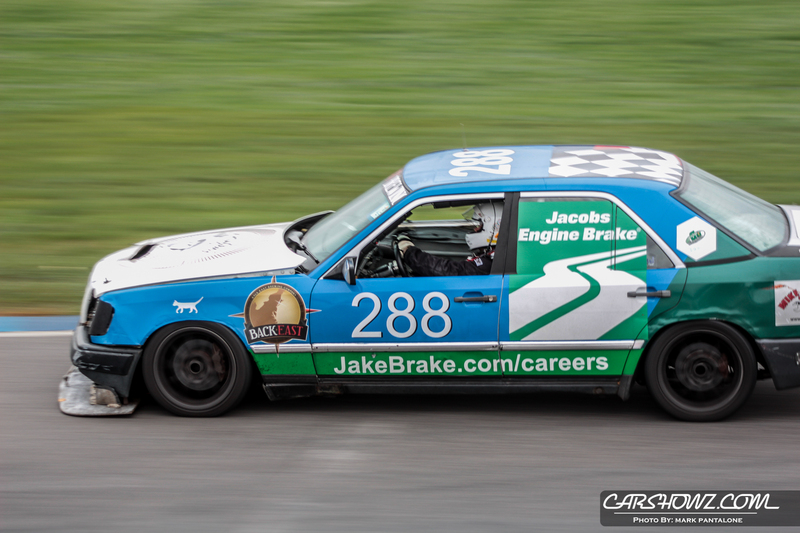 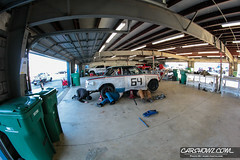 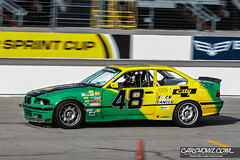 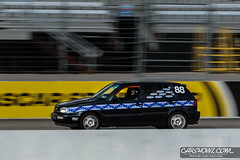 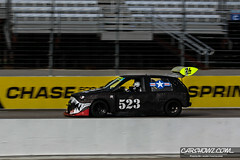 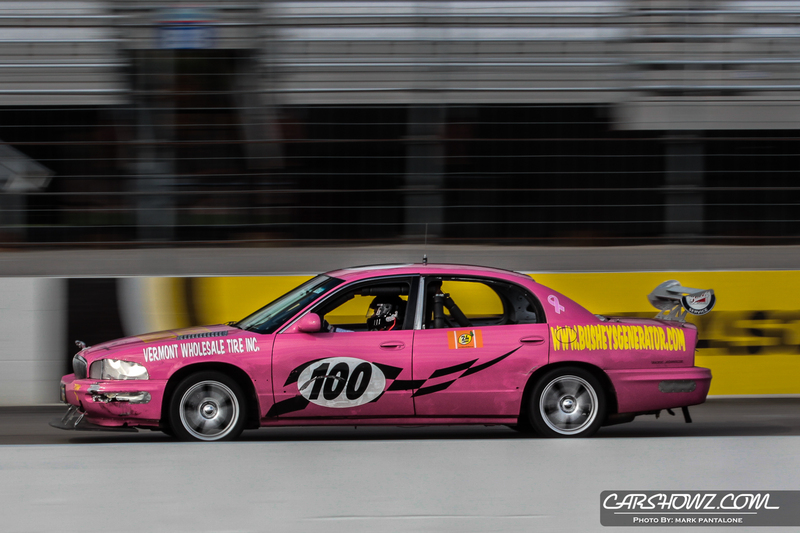 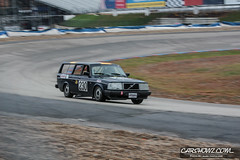 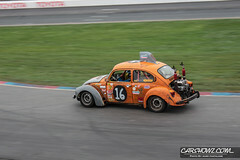 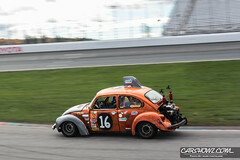 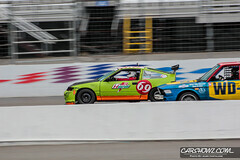 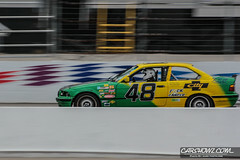 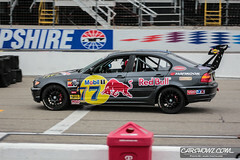 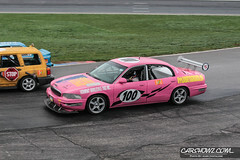 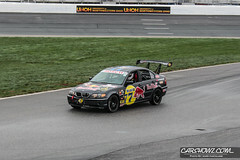 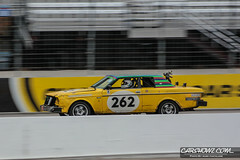 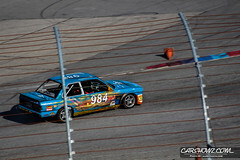 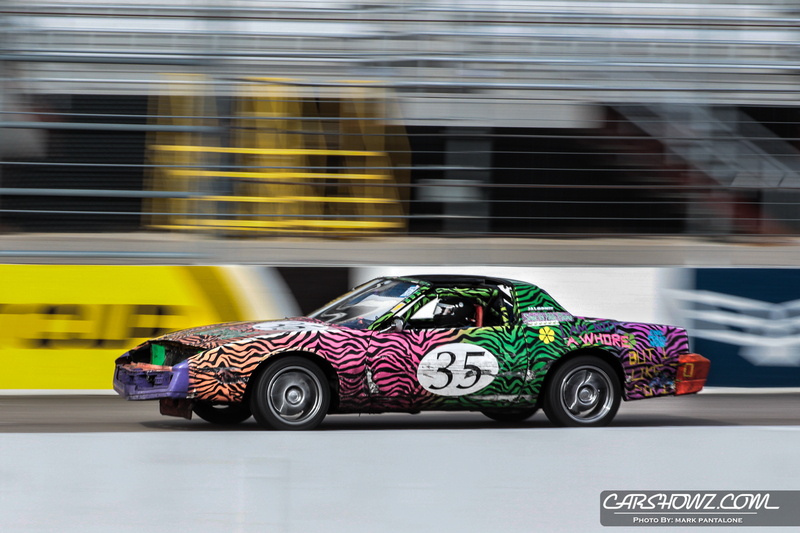 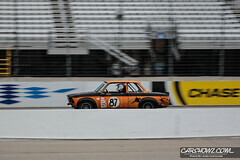 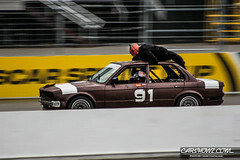 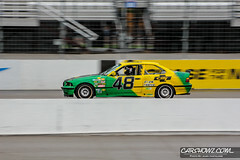 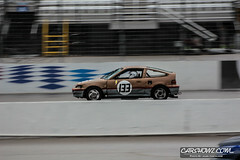 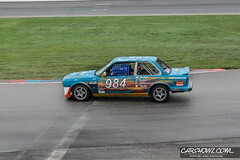 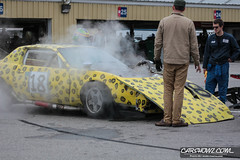 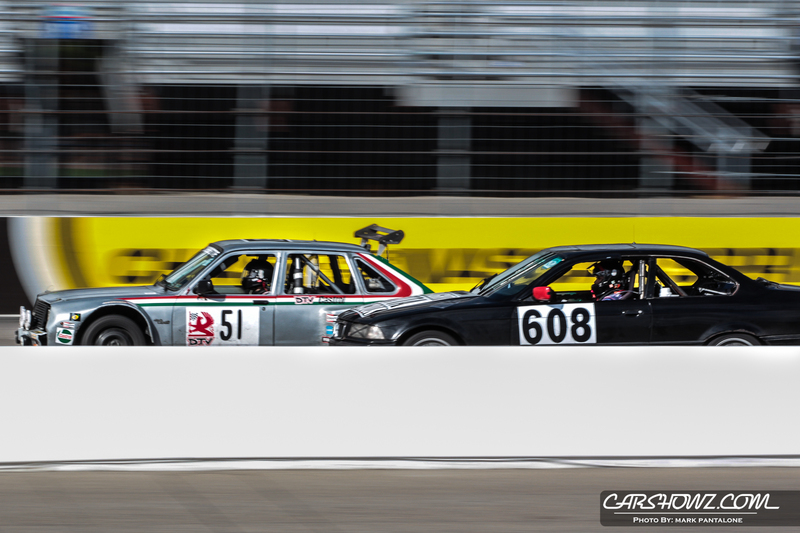 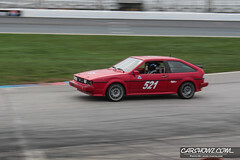 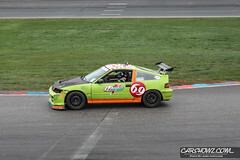 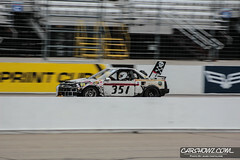 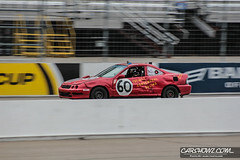 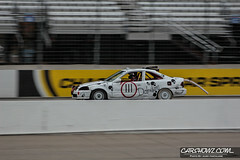 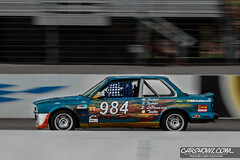 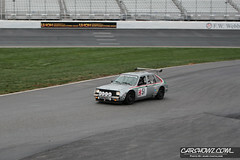 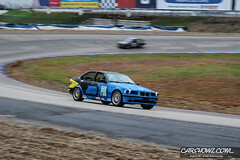 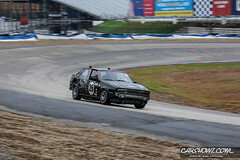 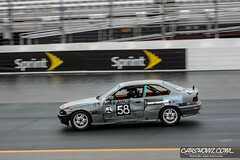 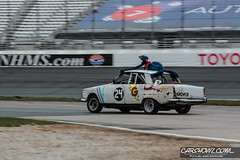 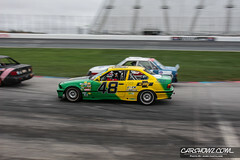 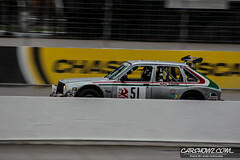 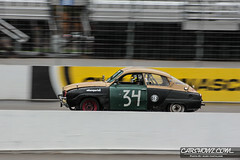 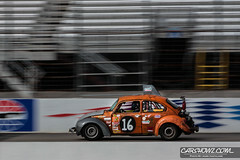 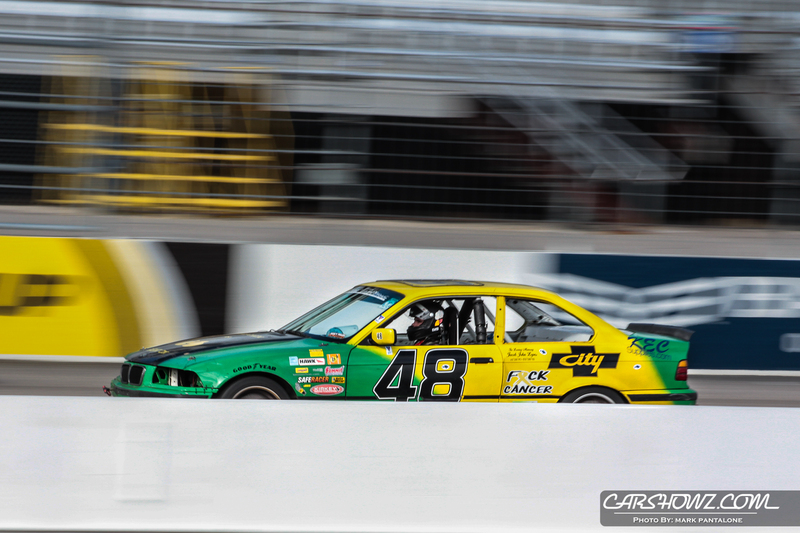 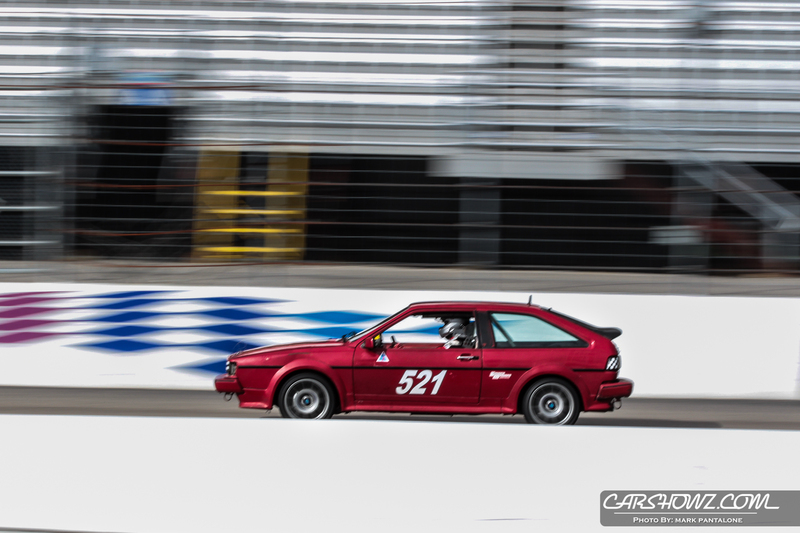 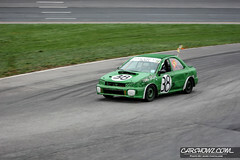 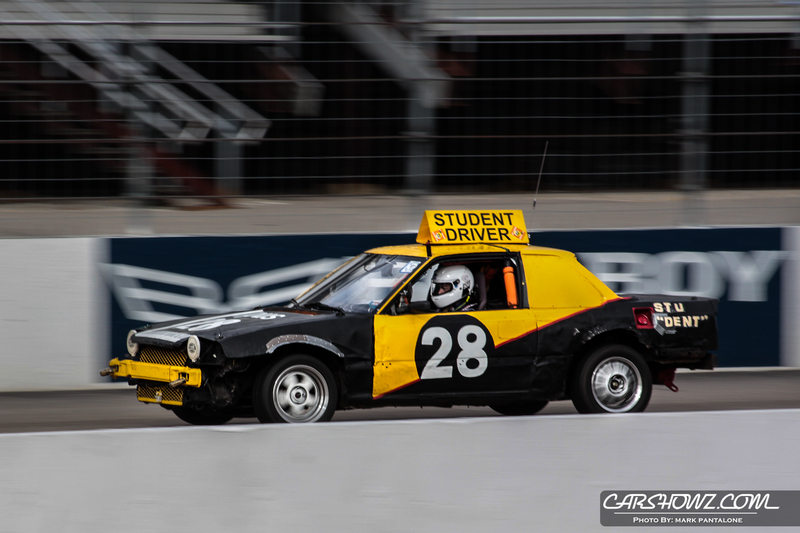 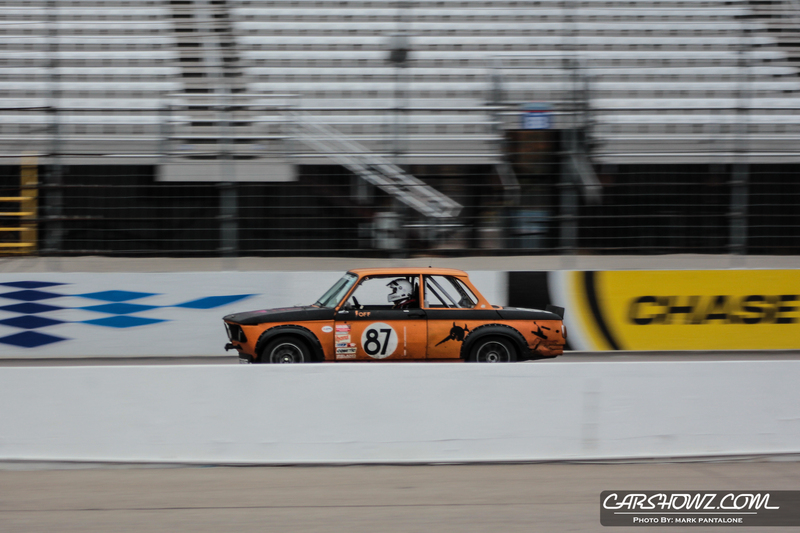 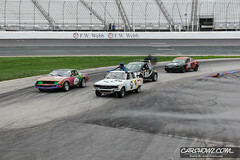 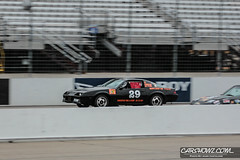 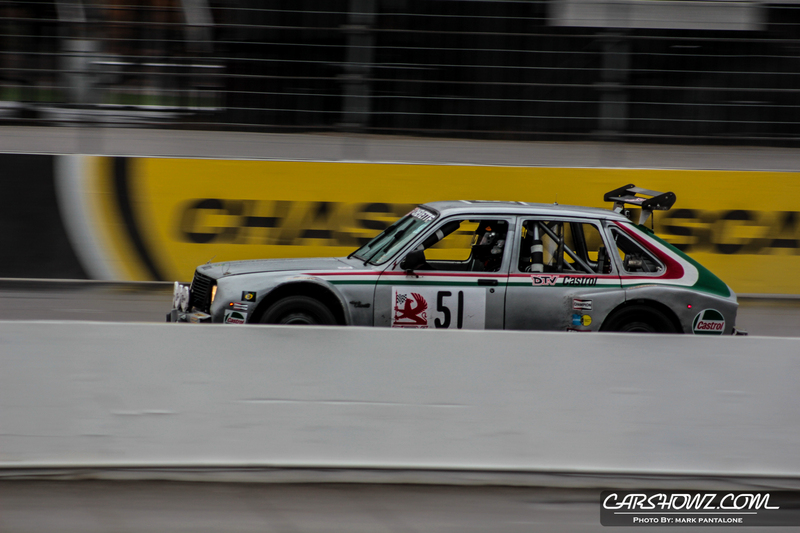 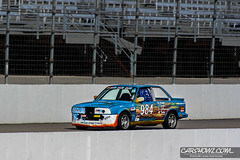 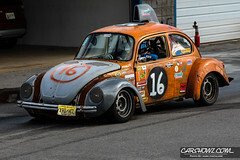 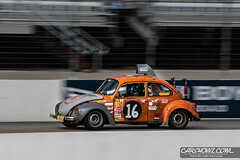 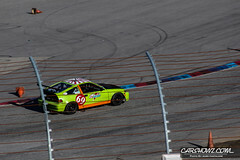 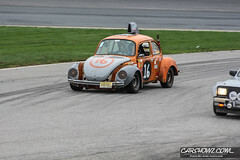 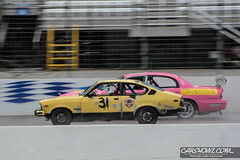 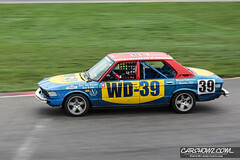 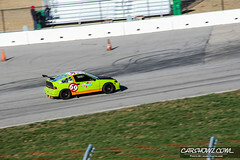 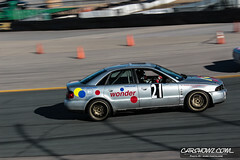 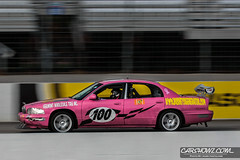 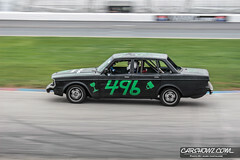 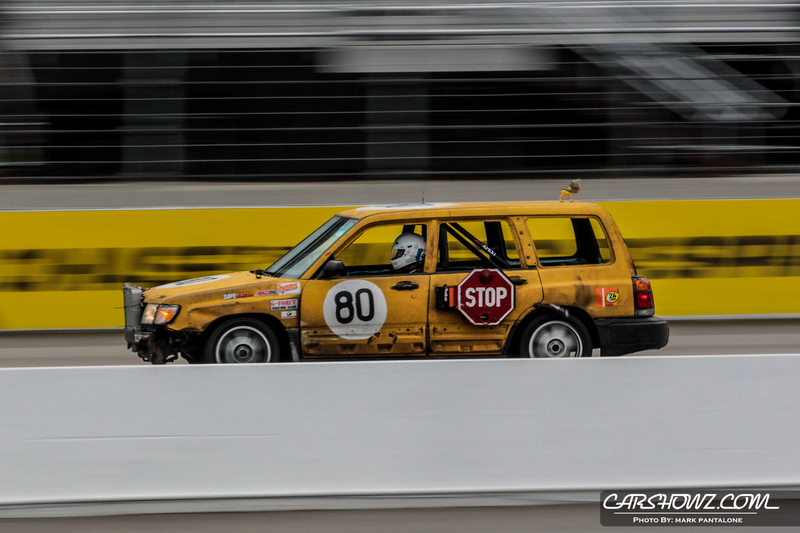 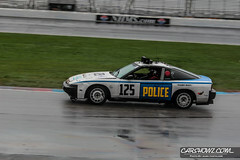 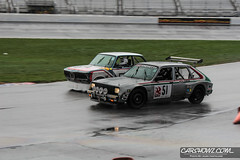 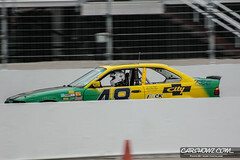 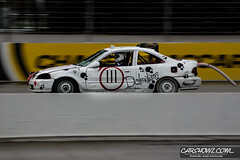 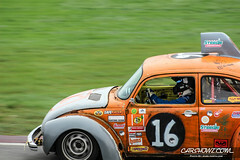 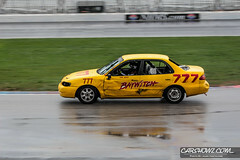 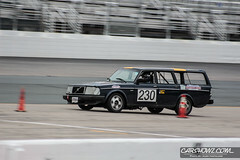 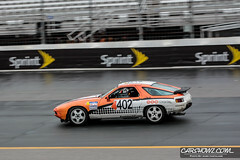 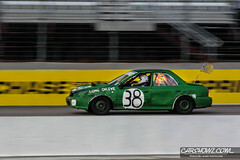 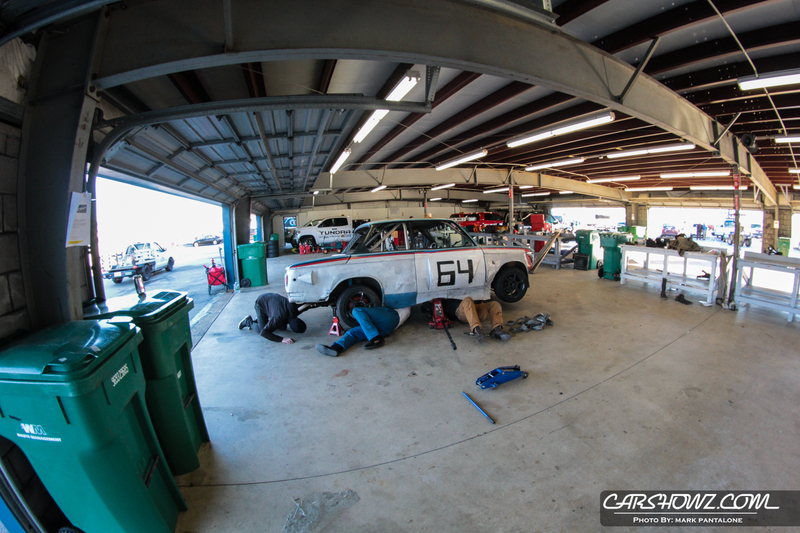 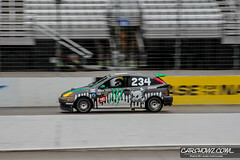 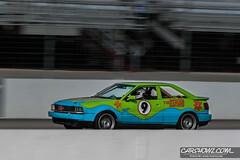 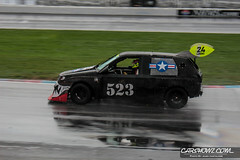 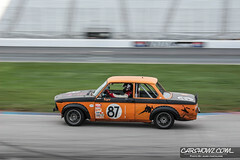 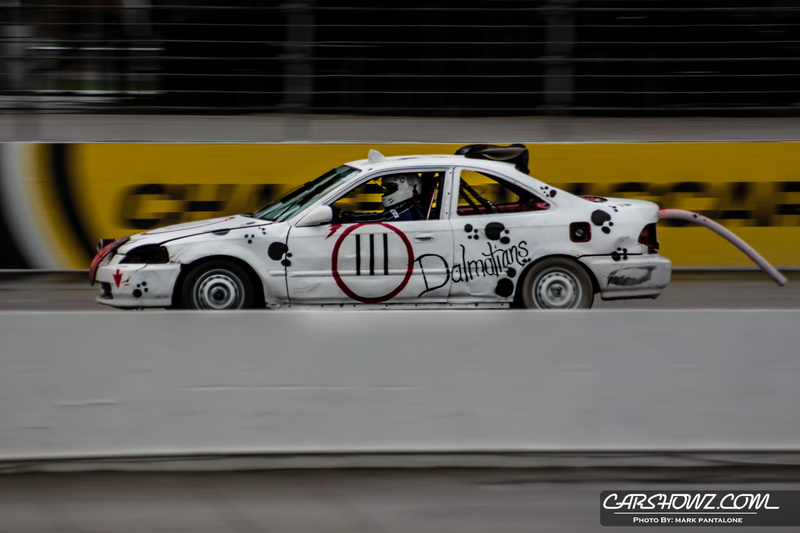 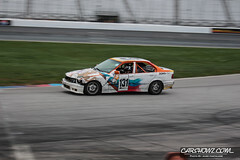 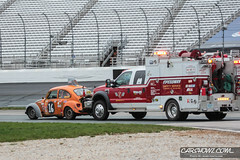 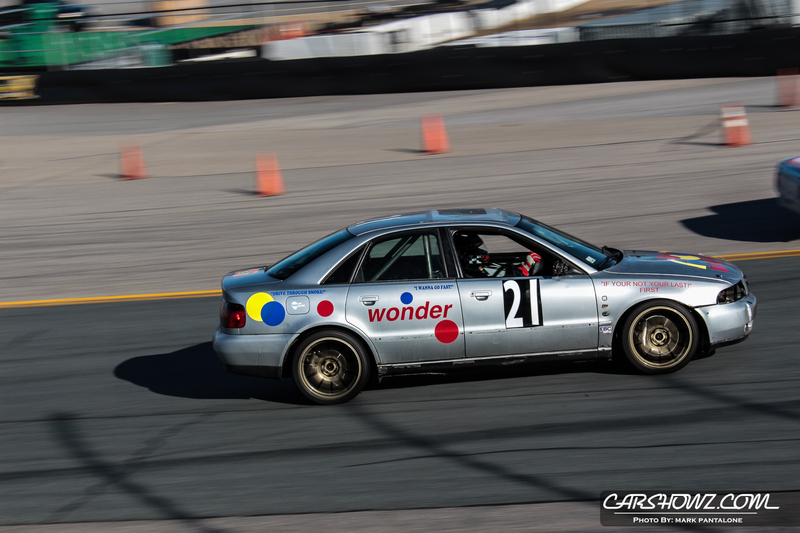 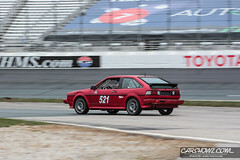 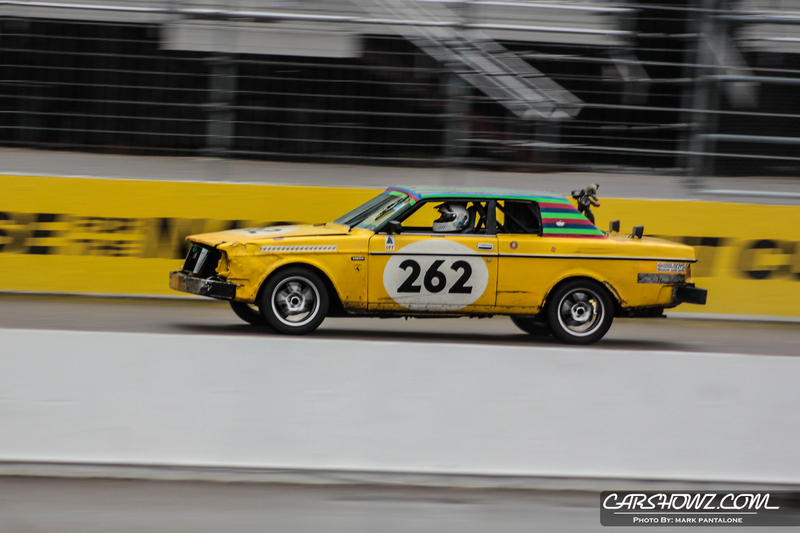 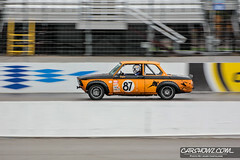 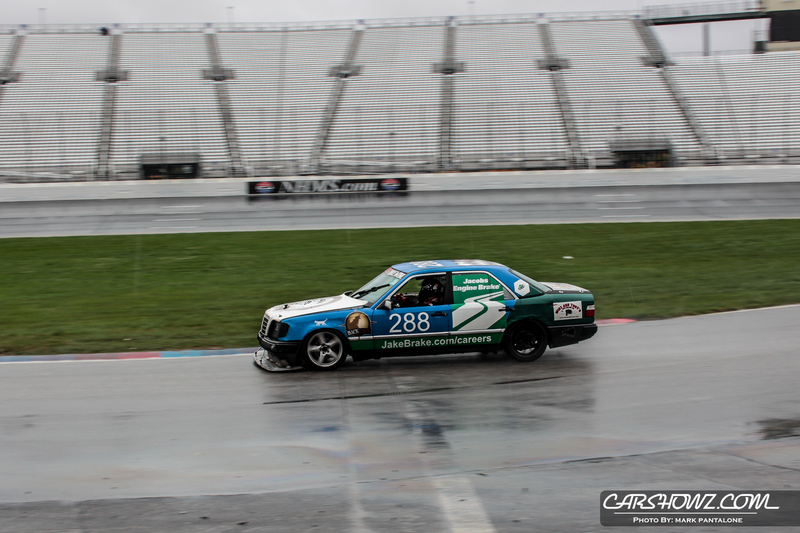 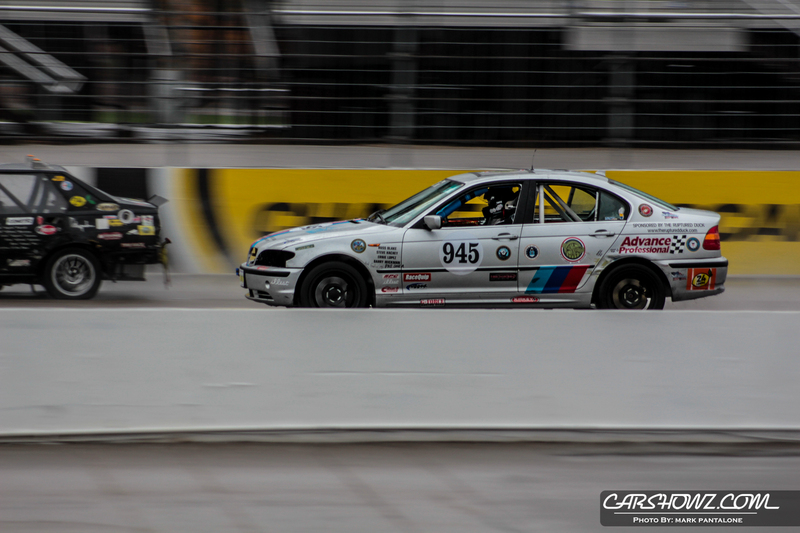 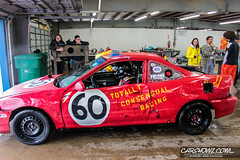 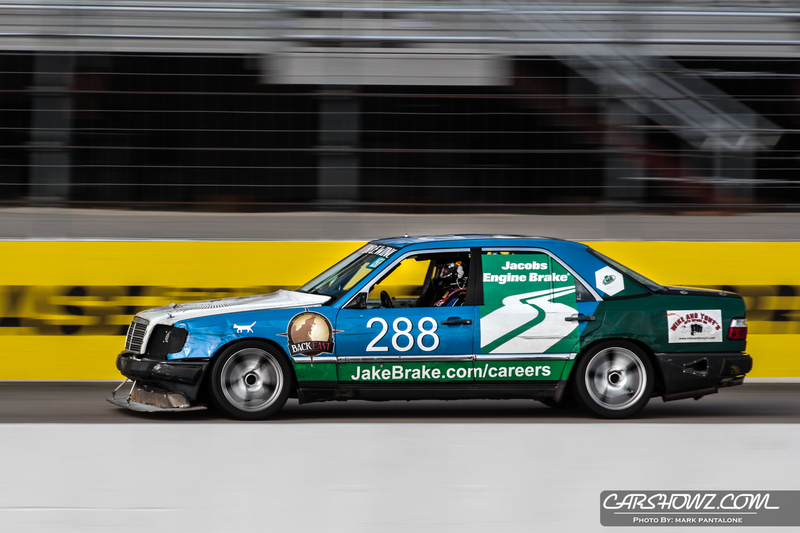 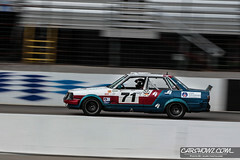 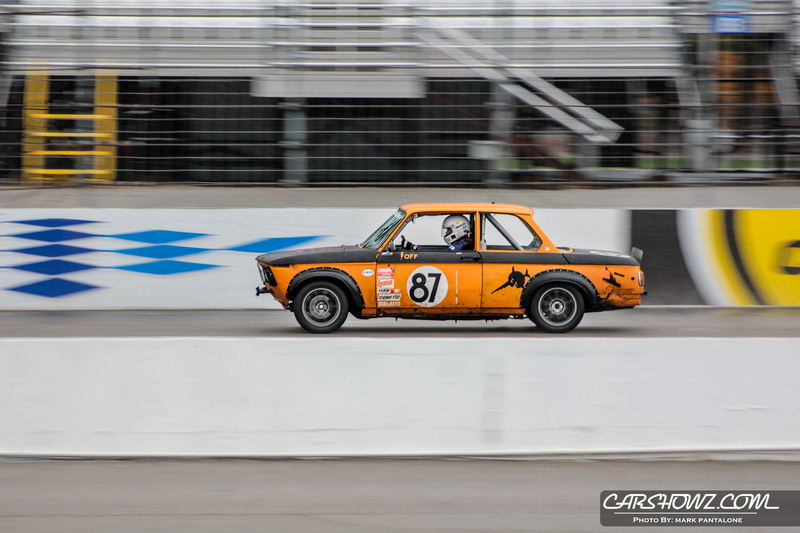 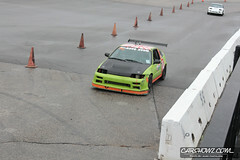 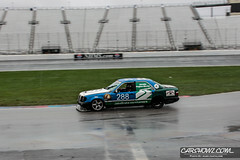 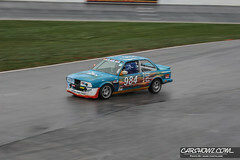 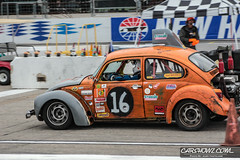 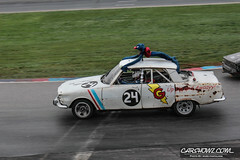 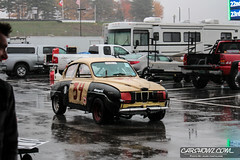 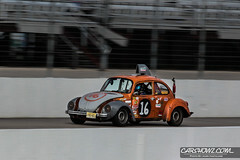 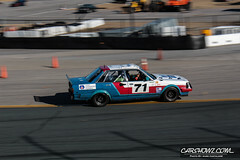 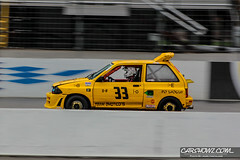 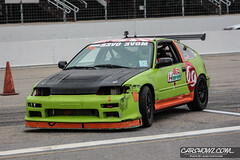 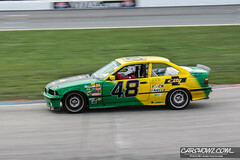 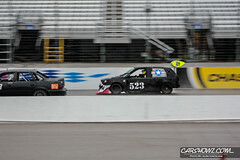 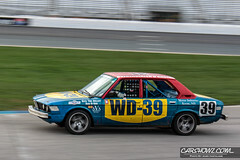 What is the 24 Hours of LeMons all about you might ask? 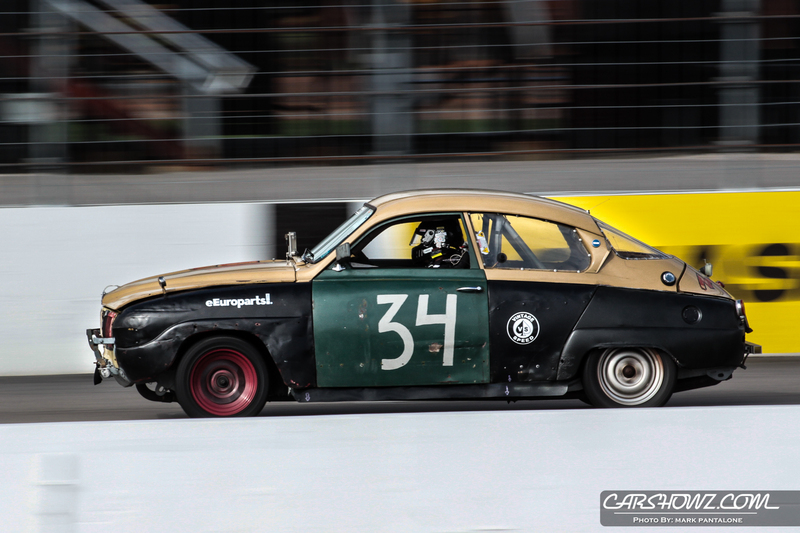 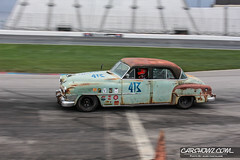 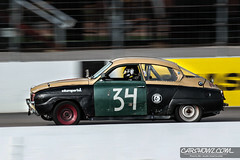 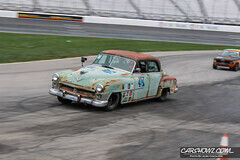 ERM Racing, 1952 Chrysler New Yorker.